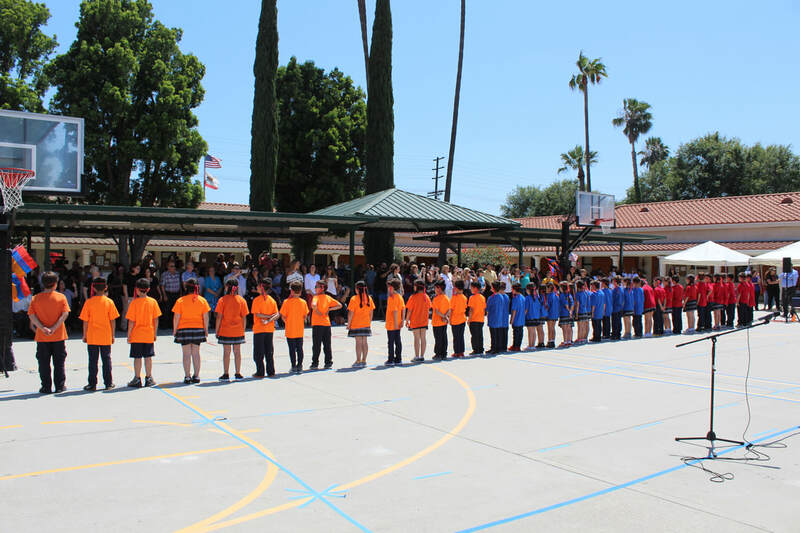 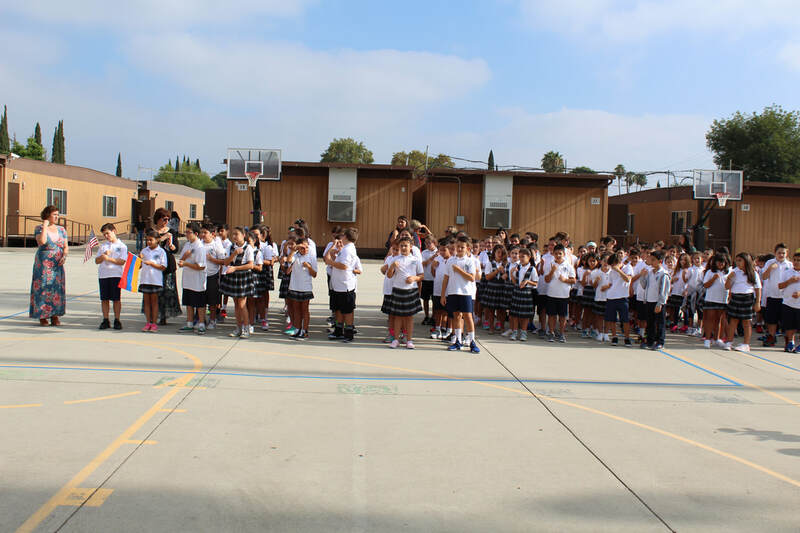 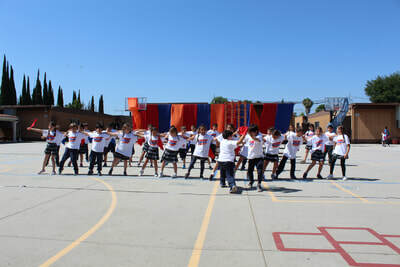 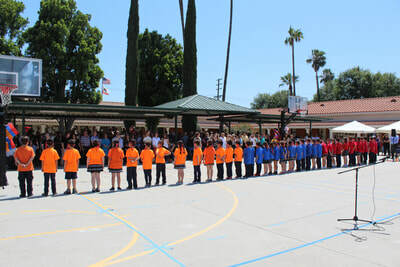 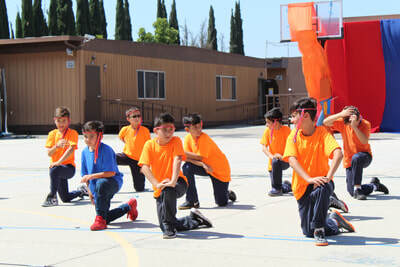 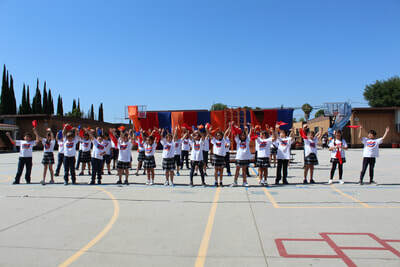 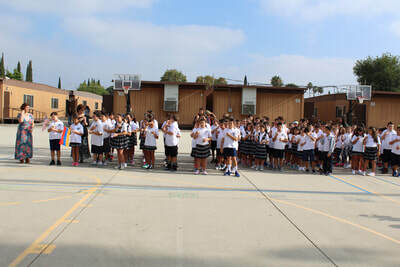 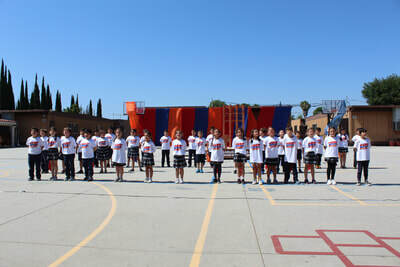 Cabayan students stand “UNITED” to welcome back the Apex team to start off our fun run week! 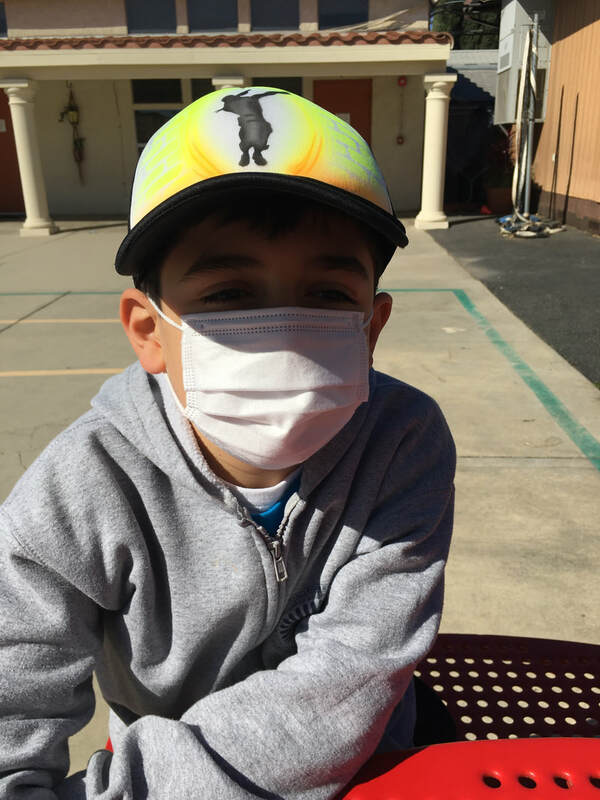 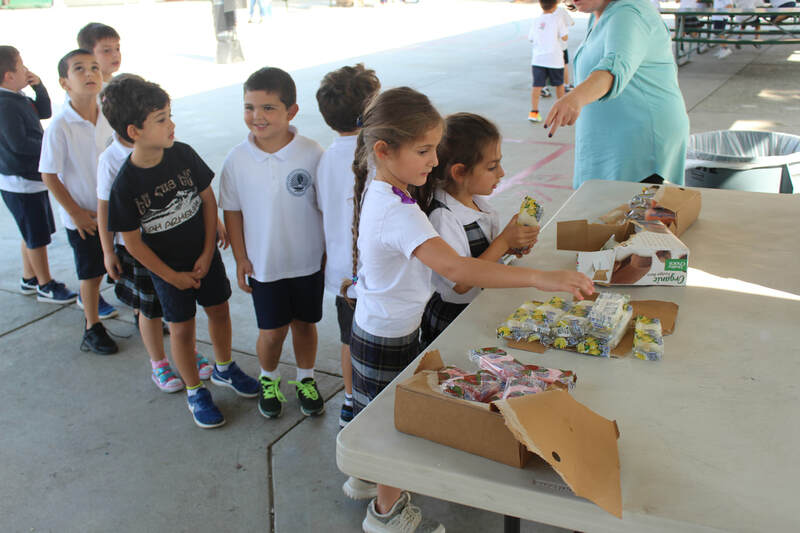 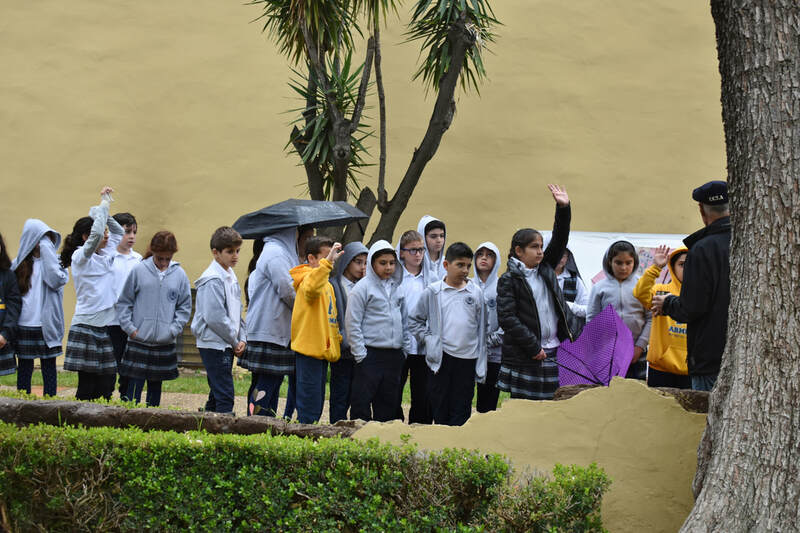 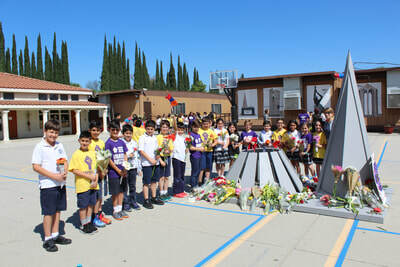 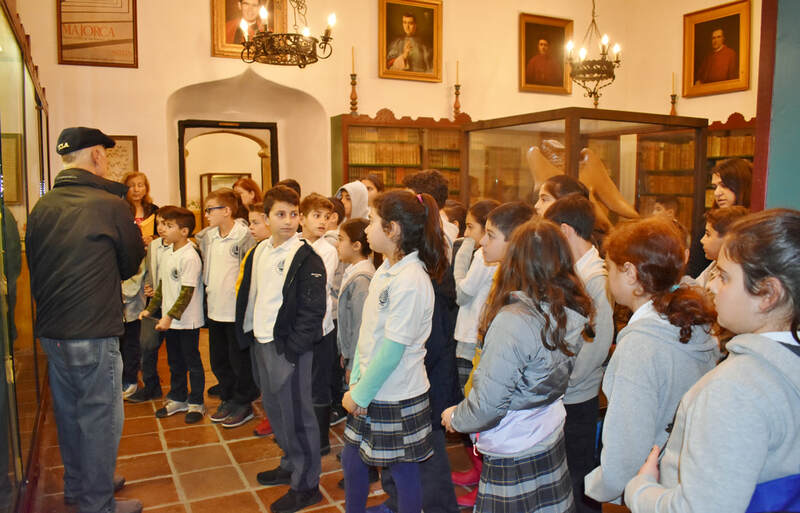 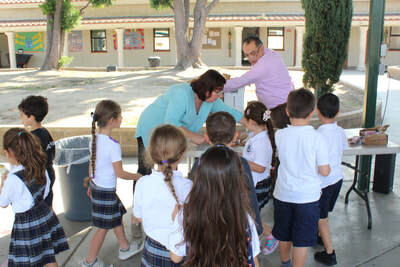 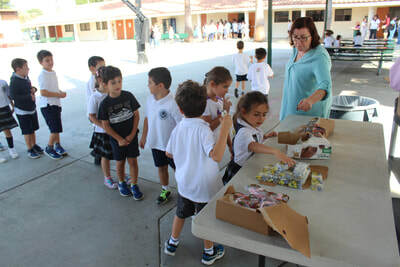 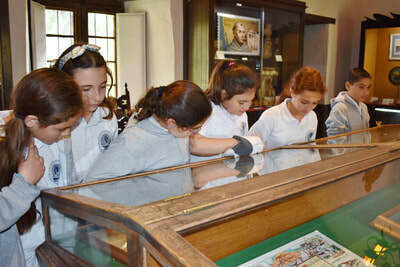 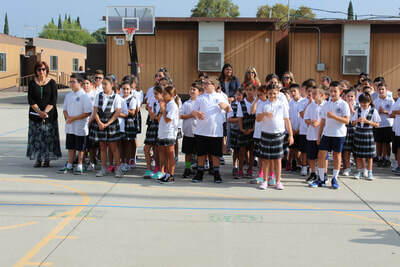 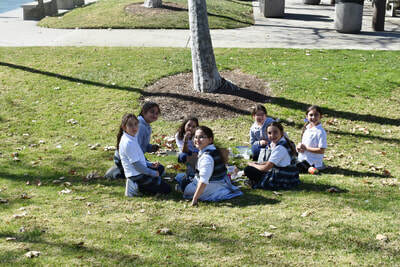 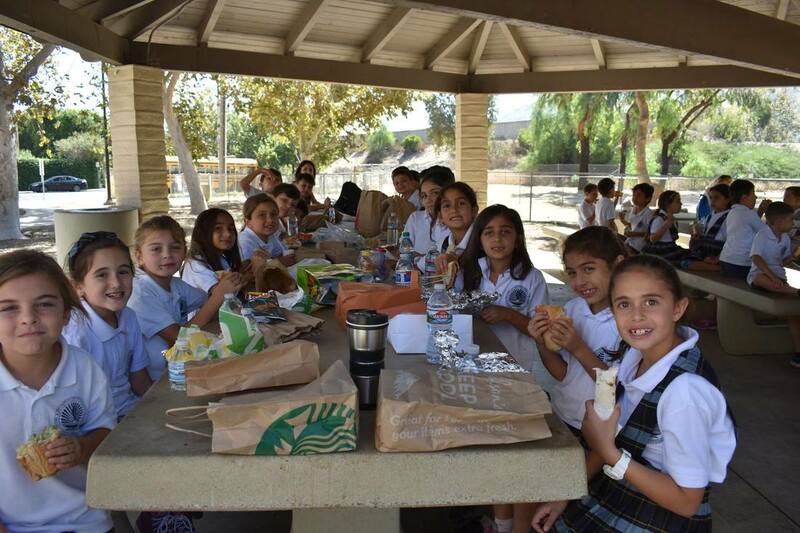 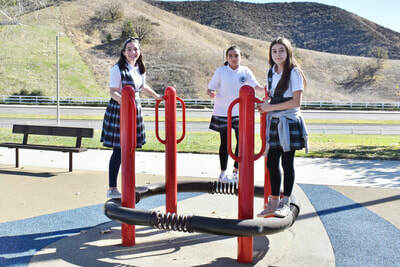 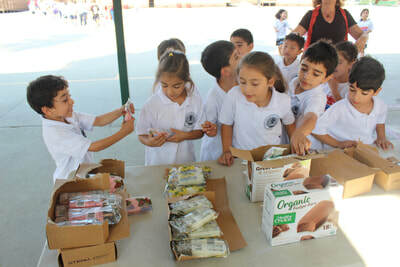 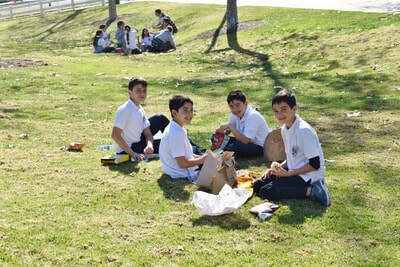 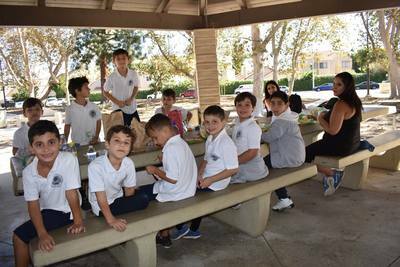 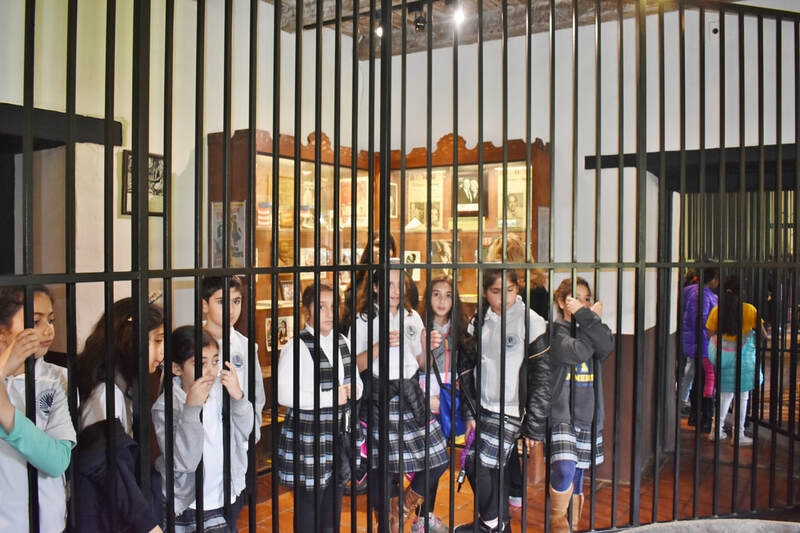 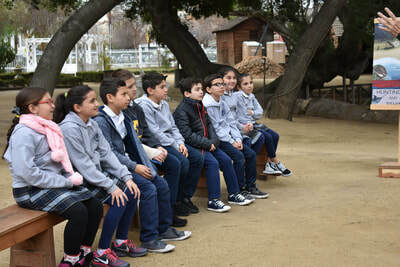 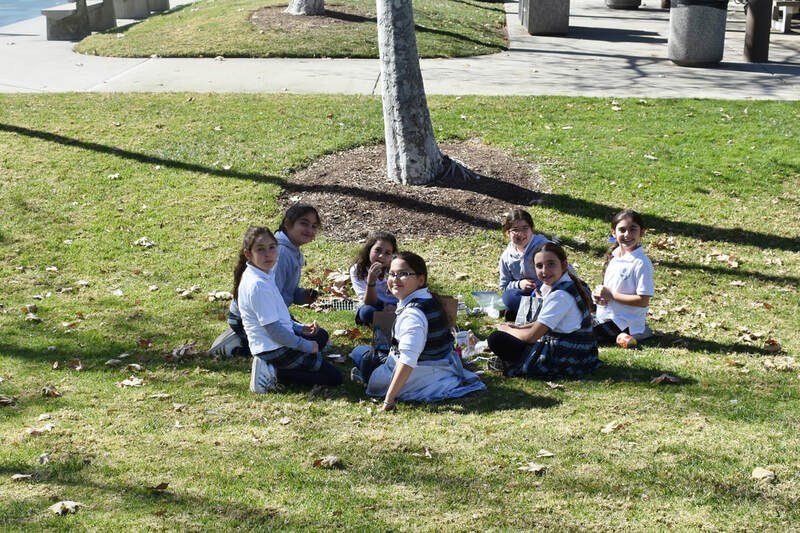 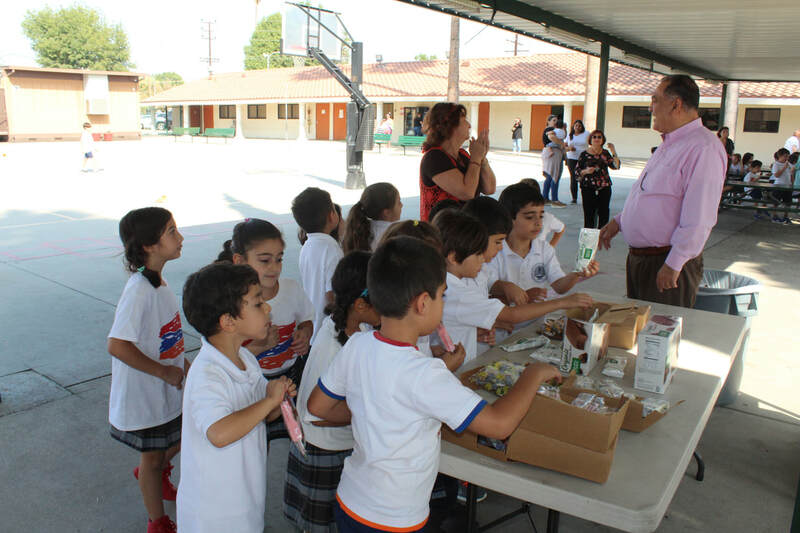 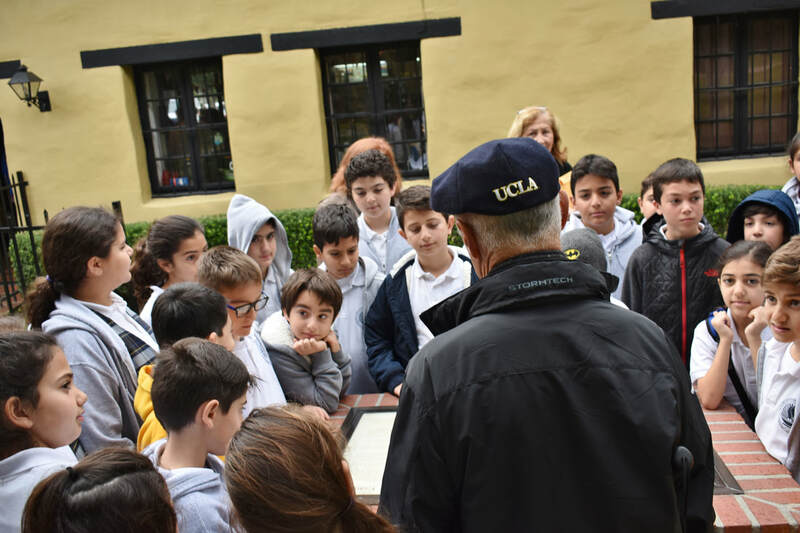 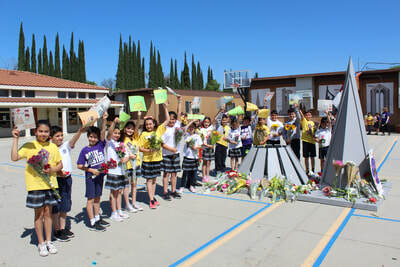 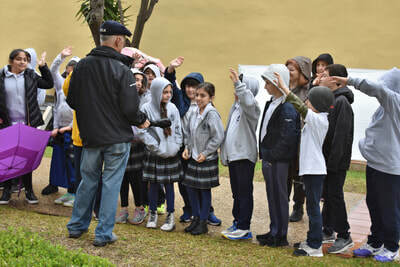 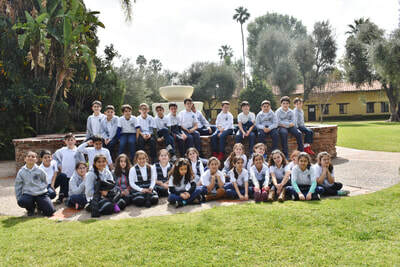 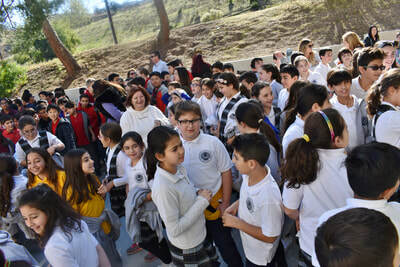 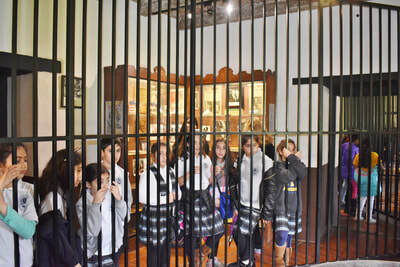 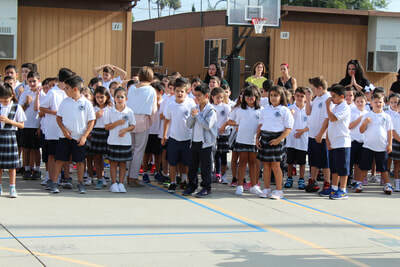 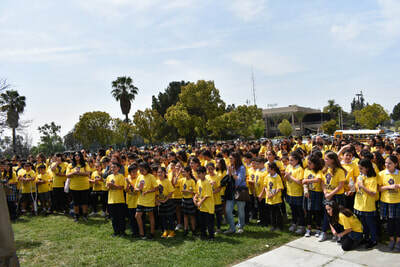 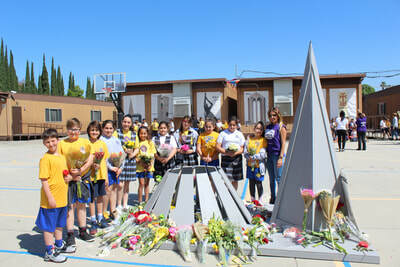 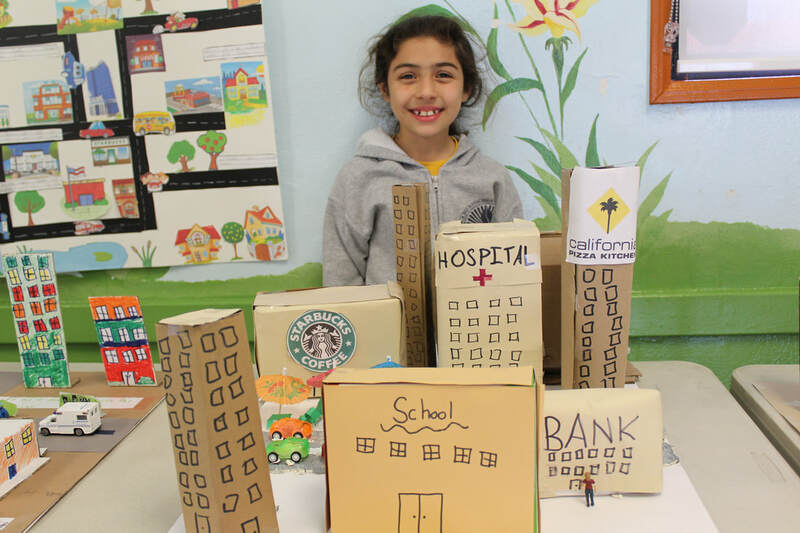 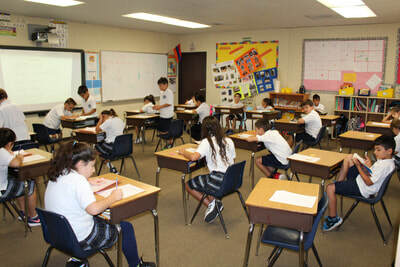 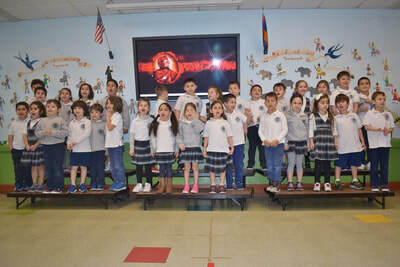 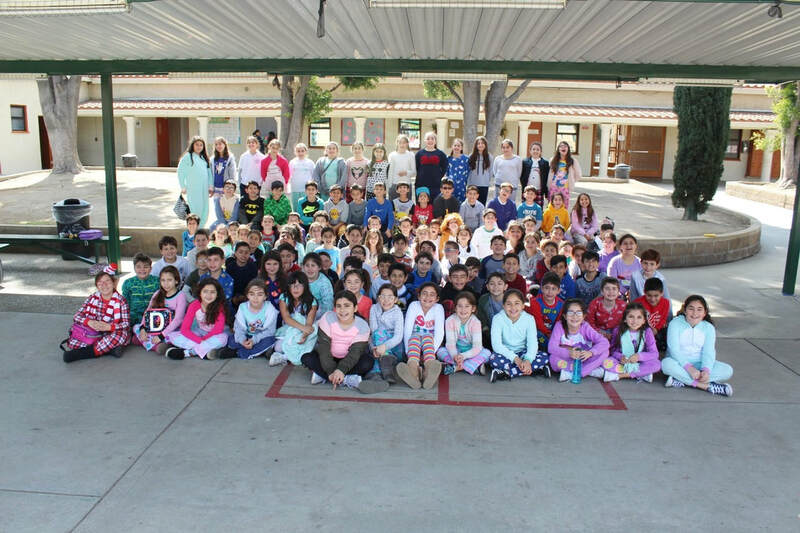 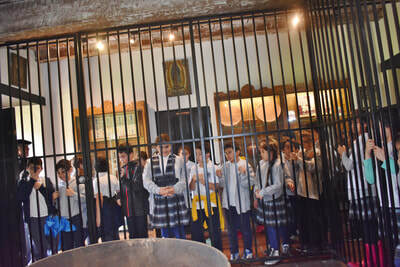 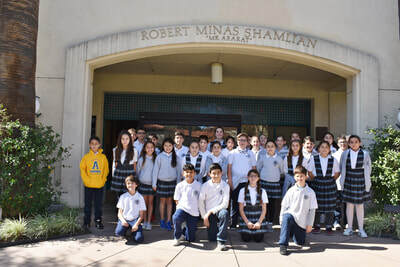 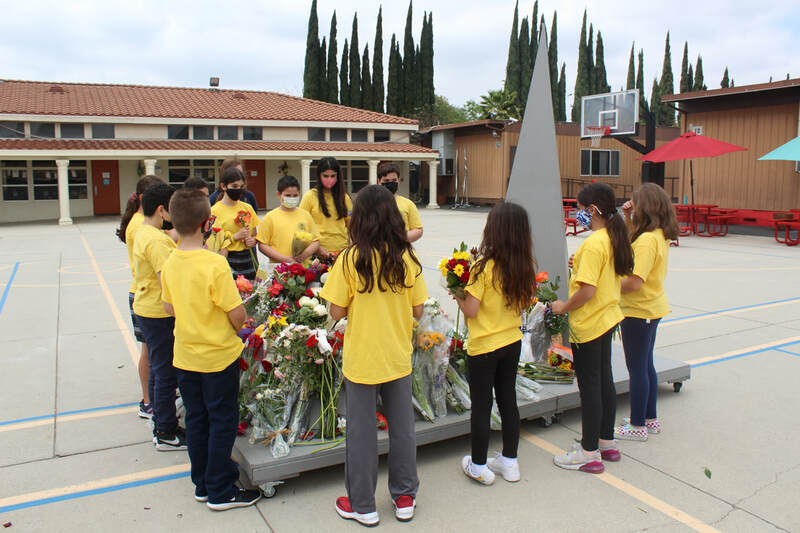 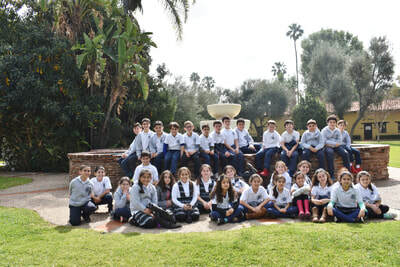 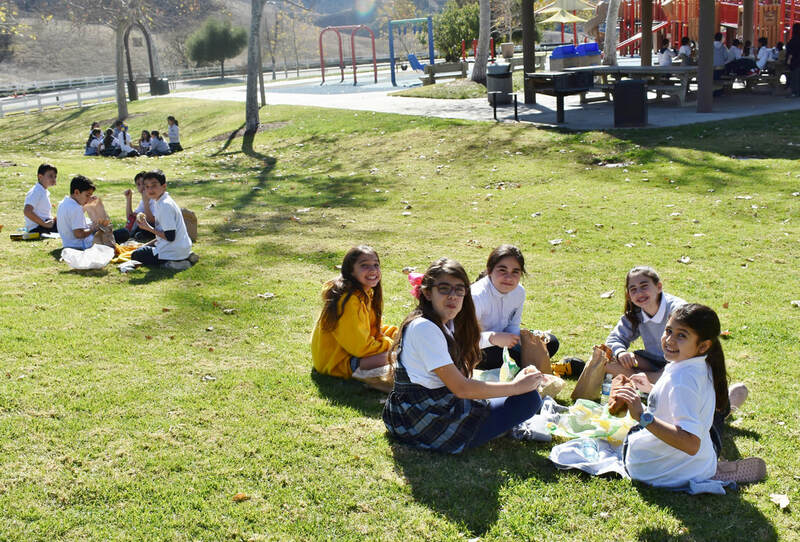 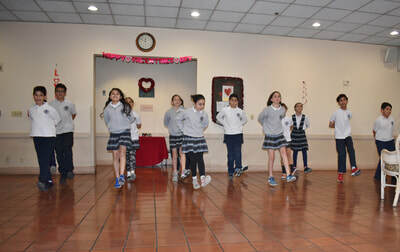 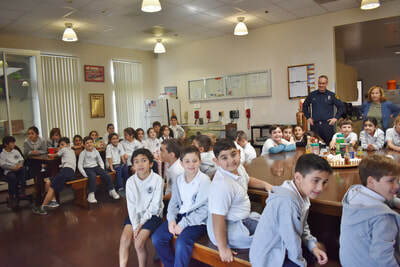 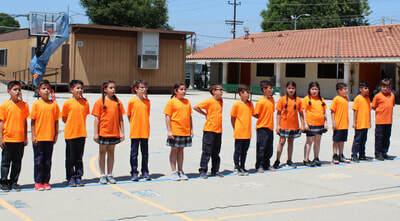 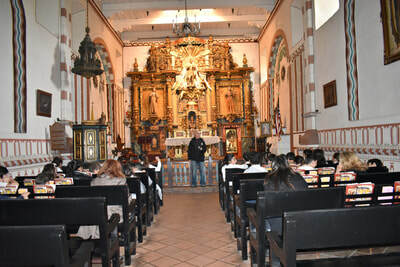 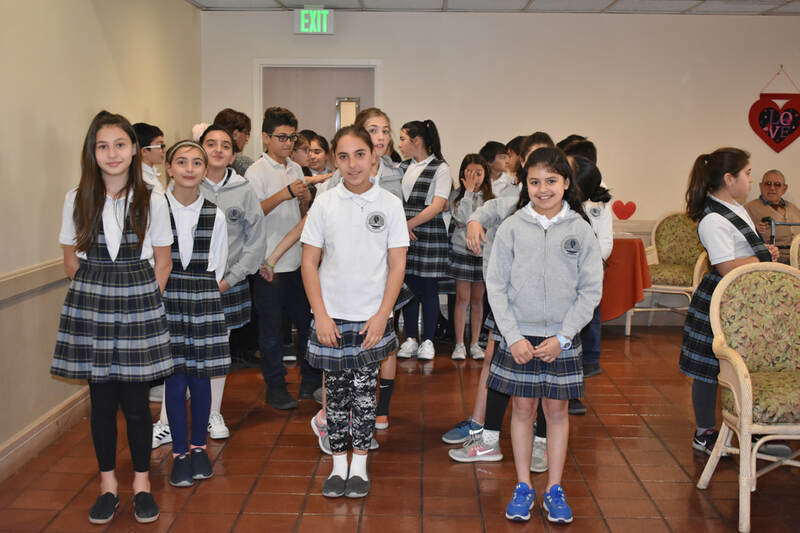 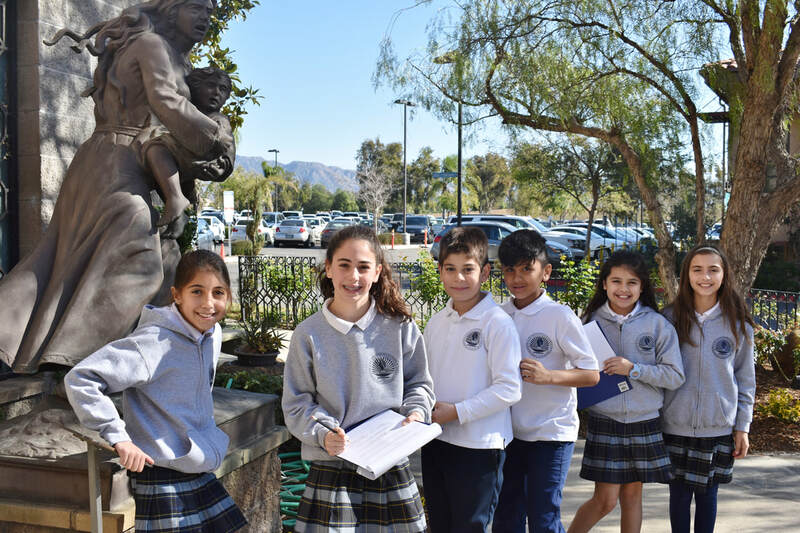 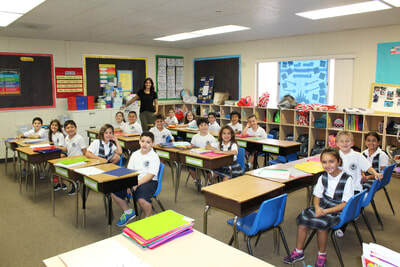 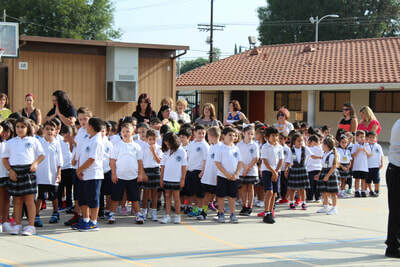 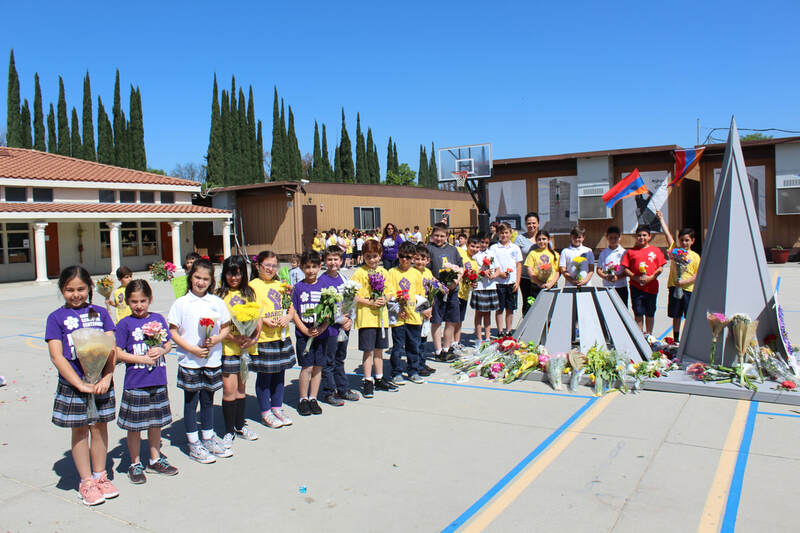 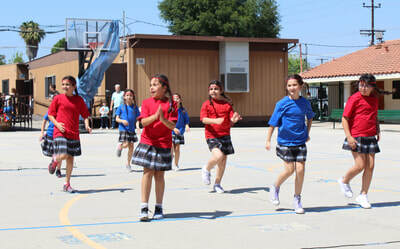 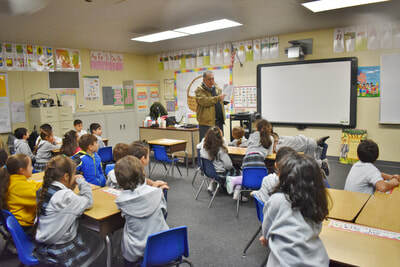 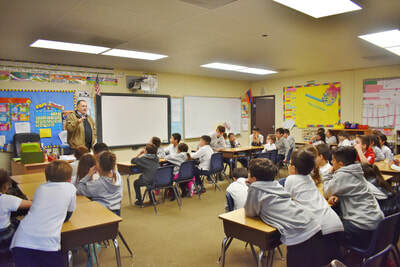 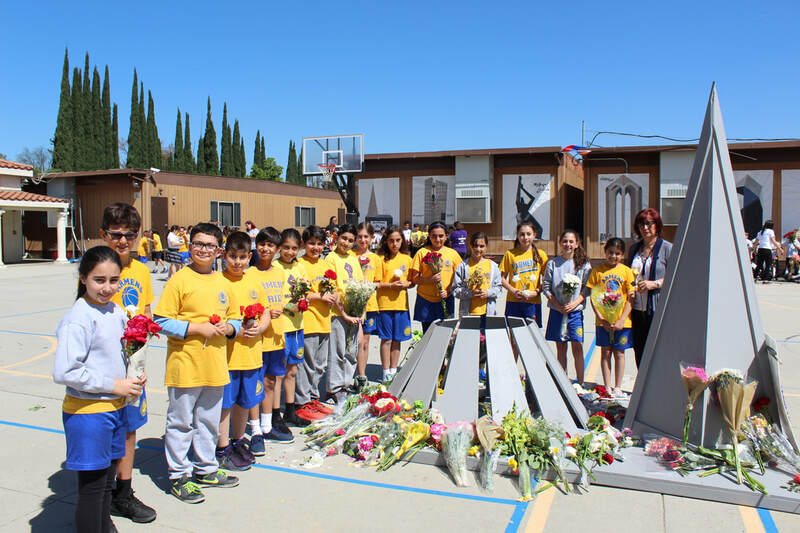 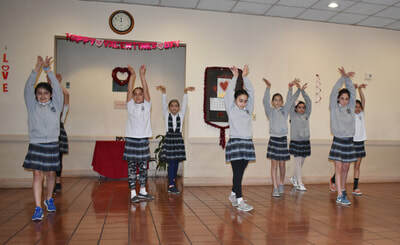 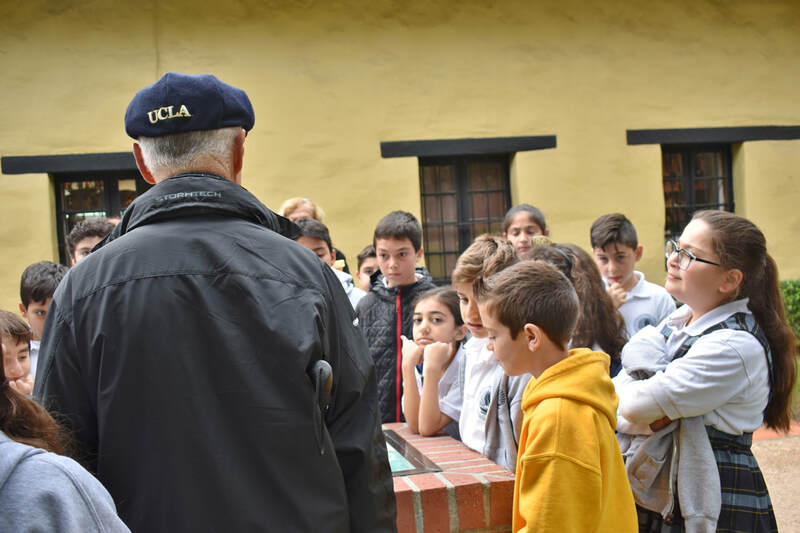 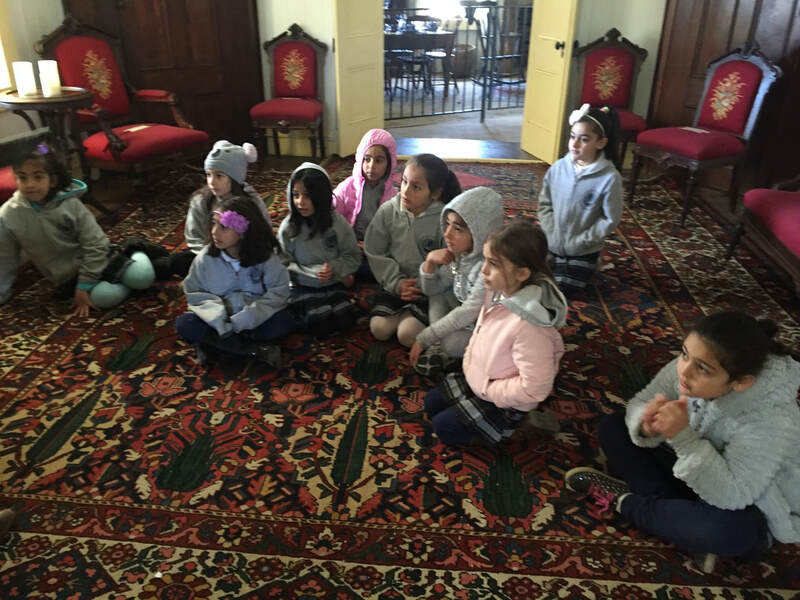 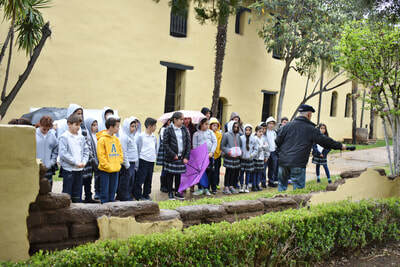 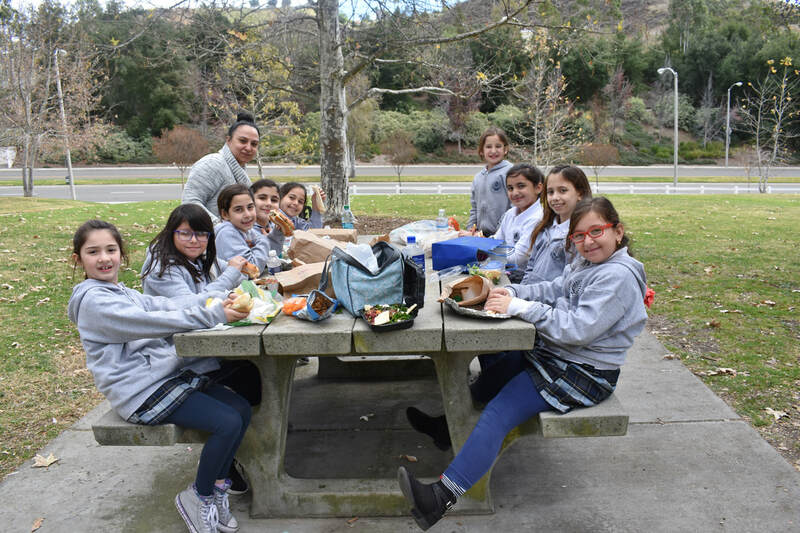 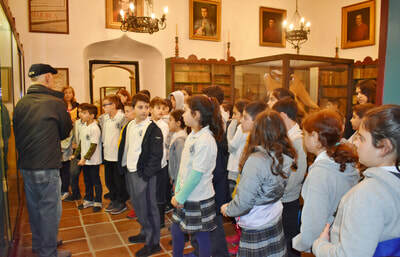 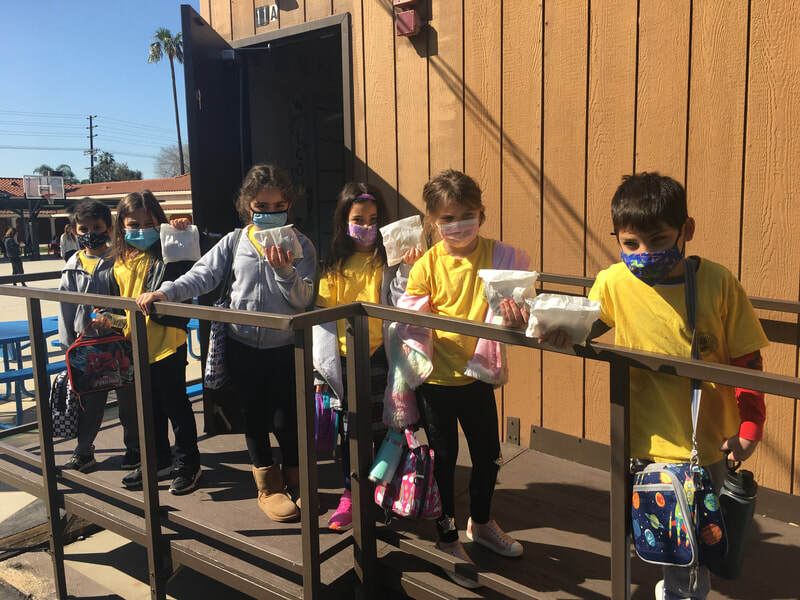 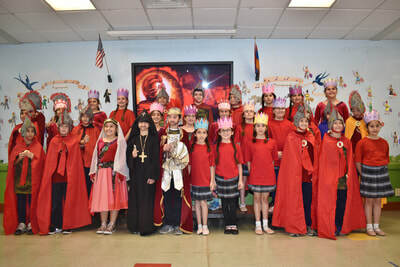 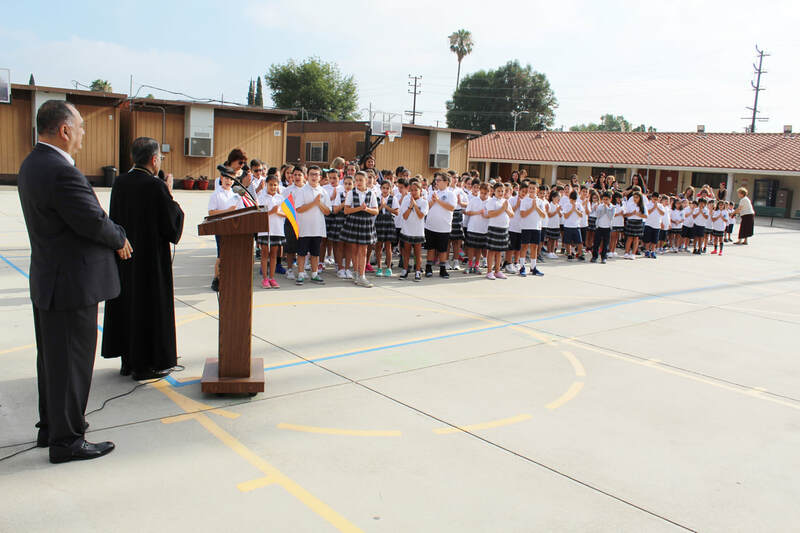 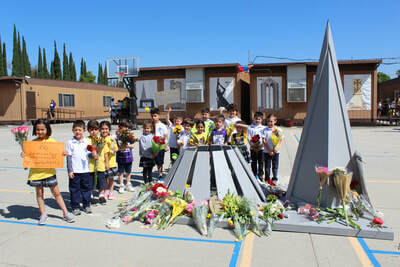 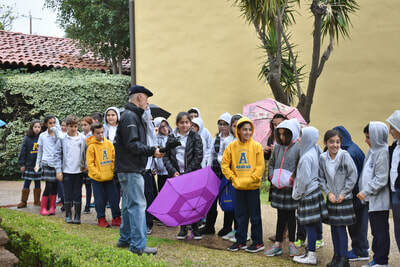 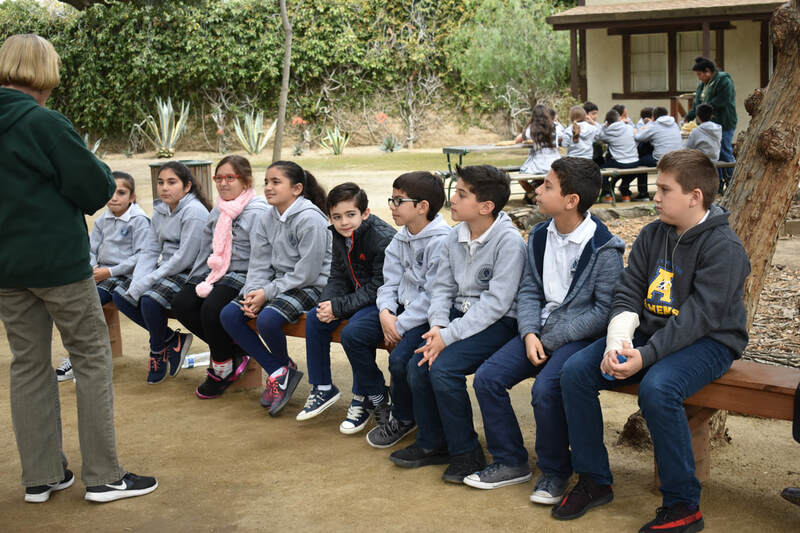 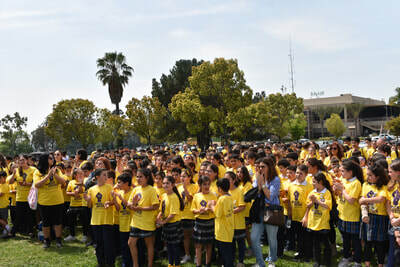 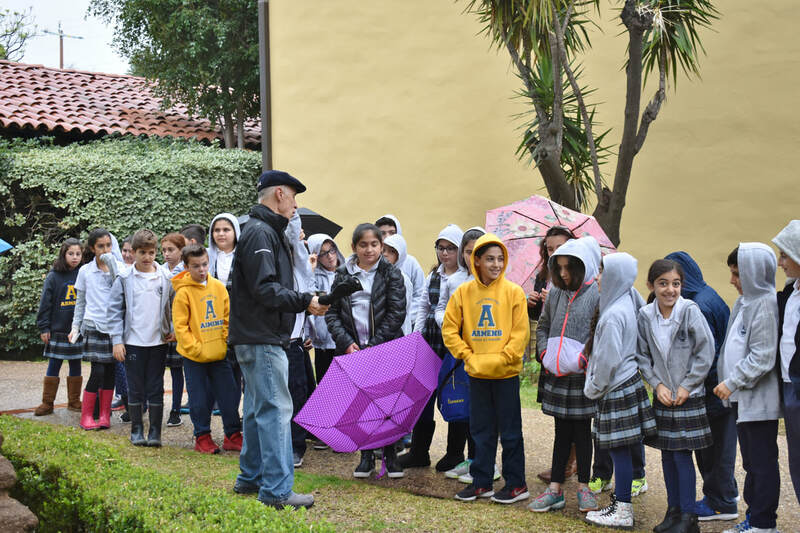 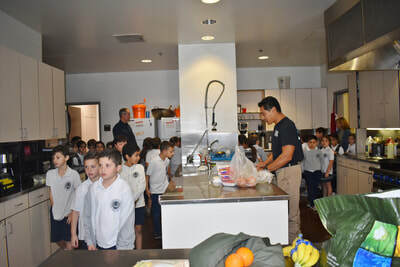 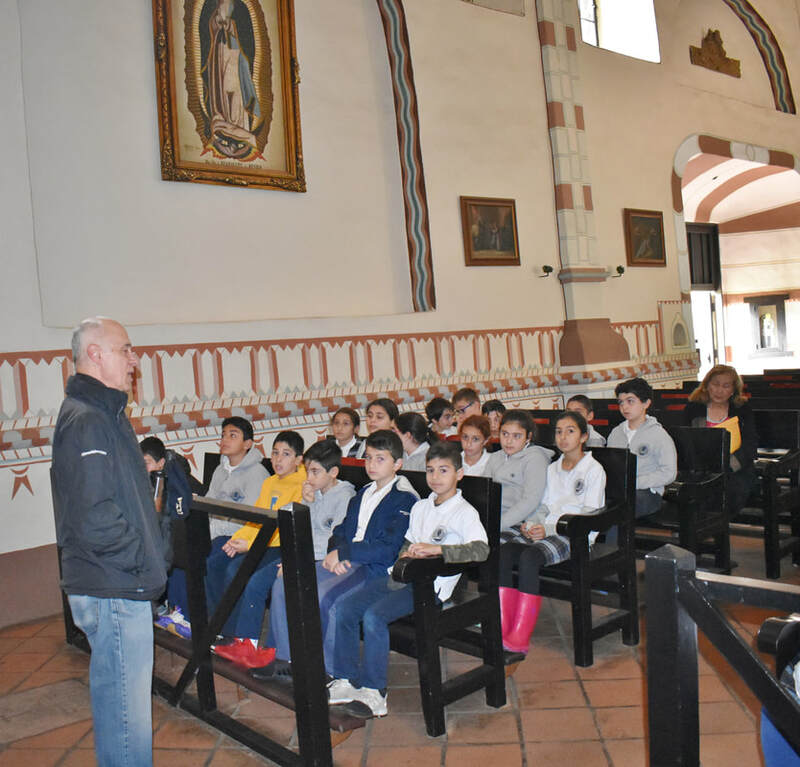 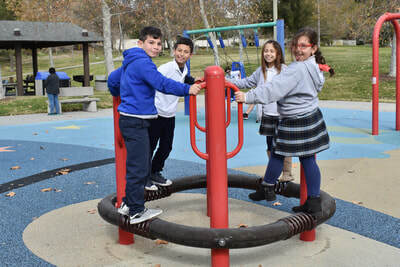 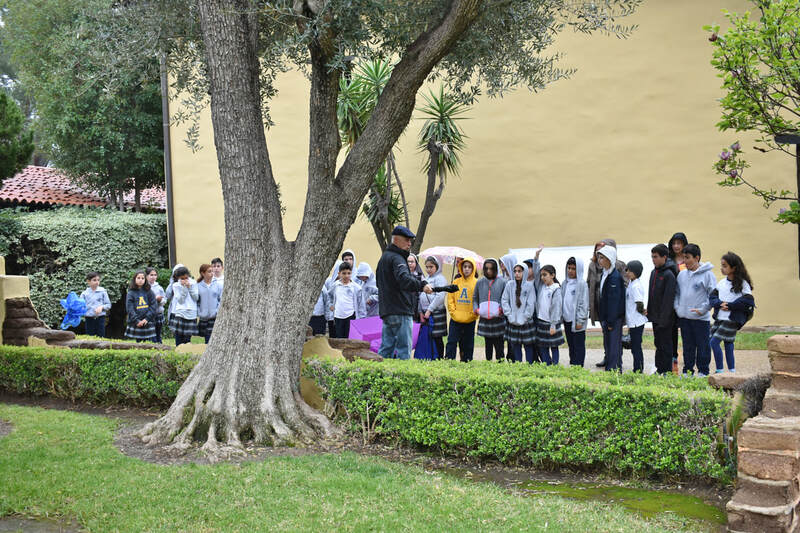 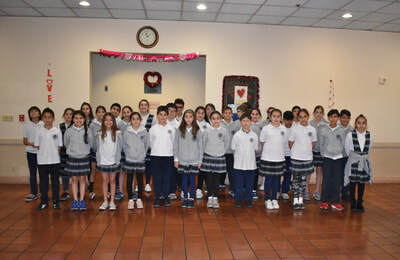 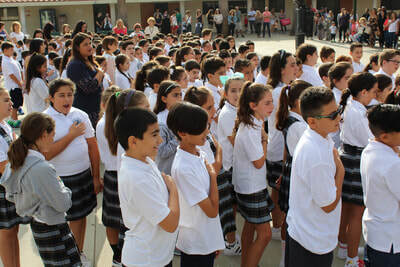 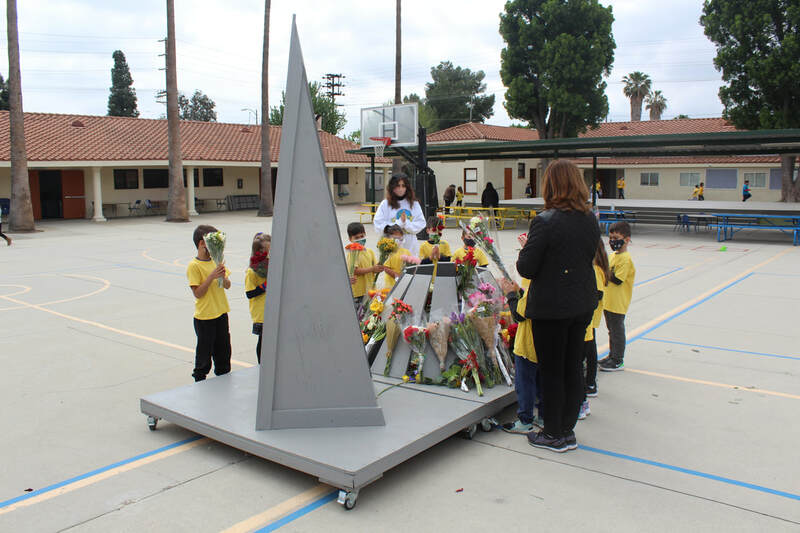 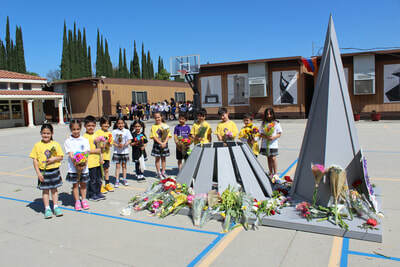 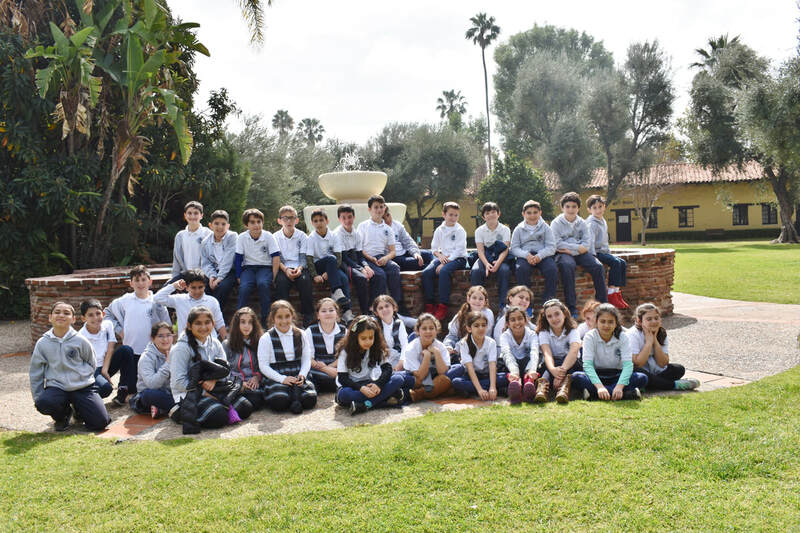 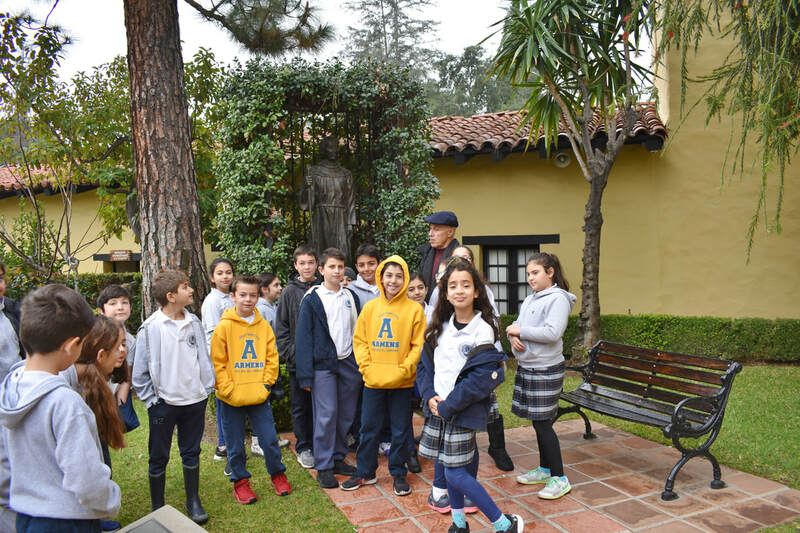 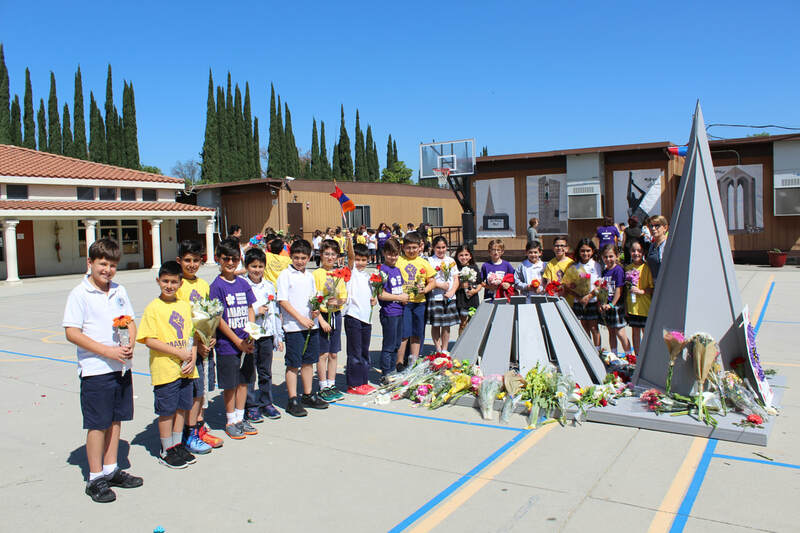 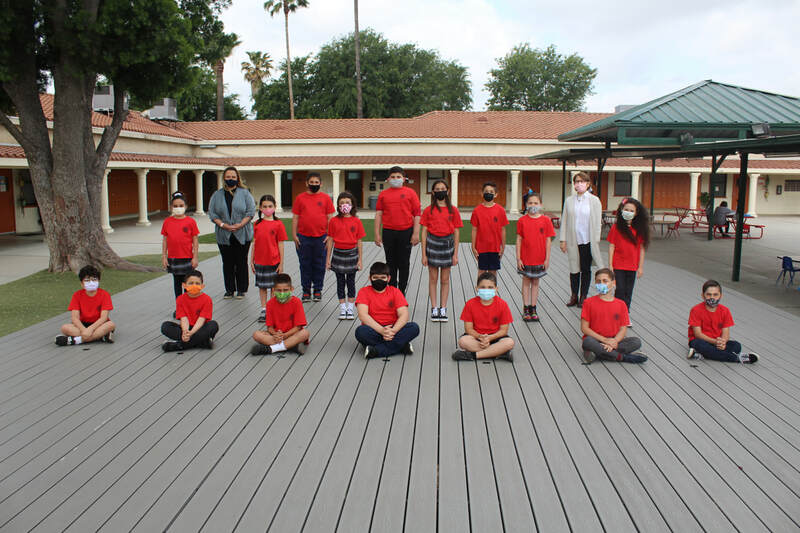 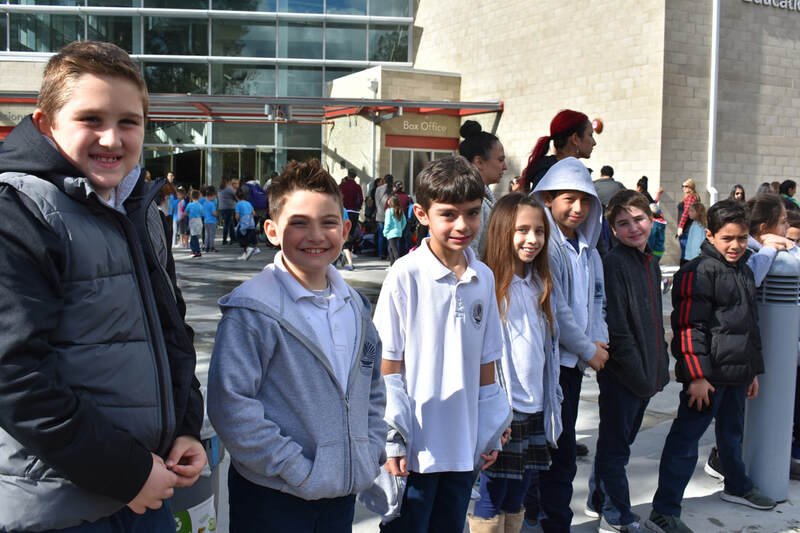 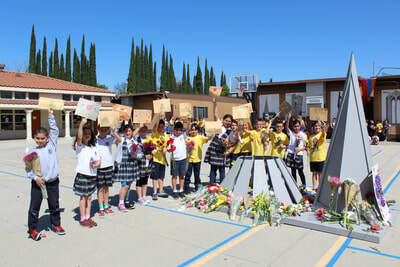 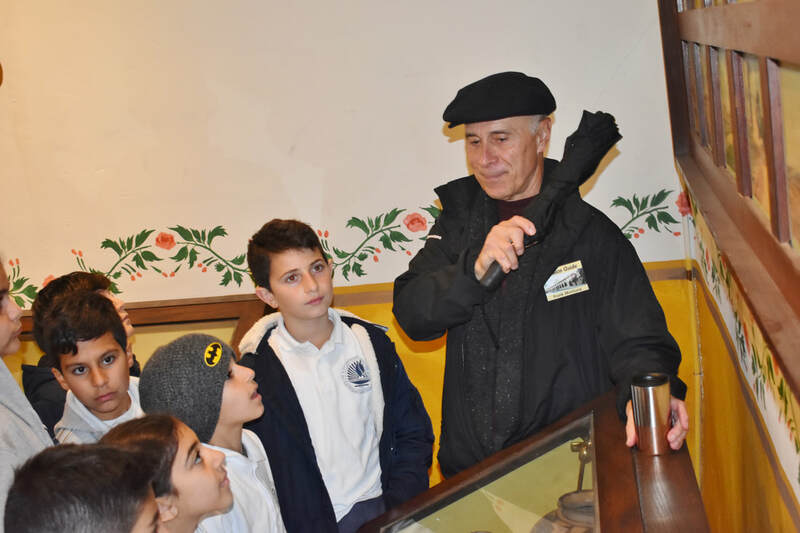 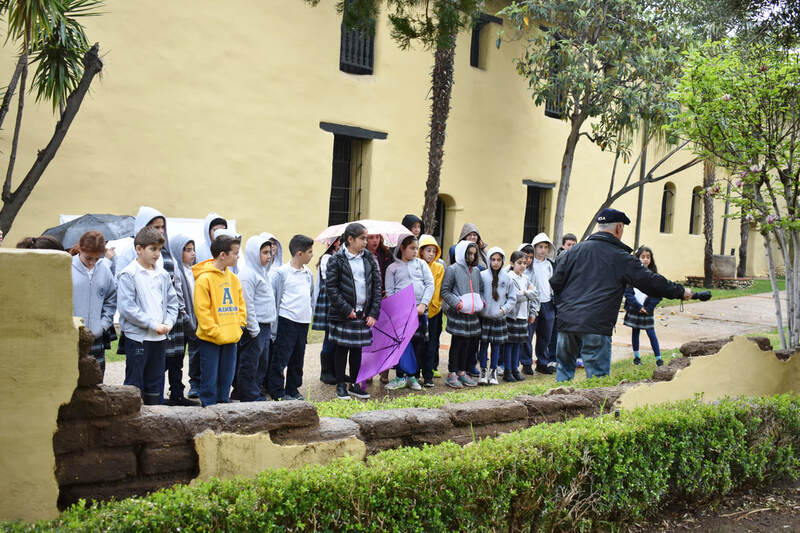 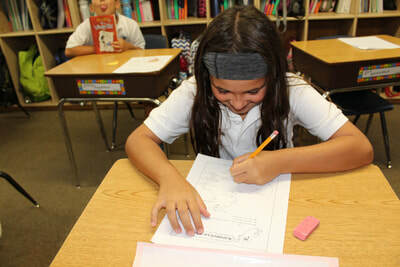 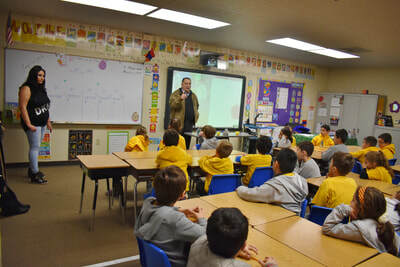 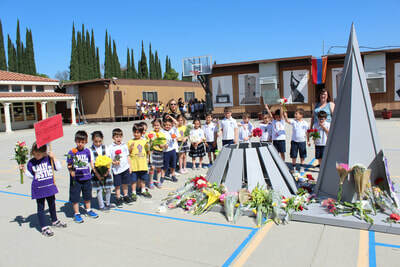 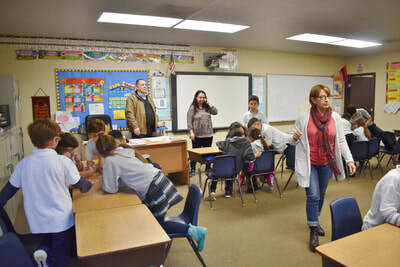 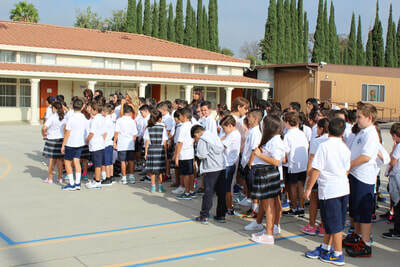 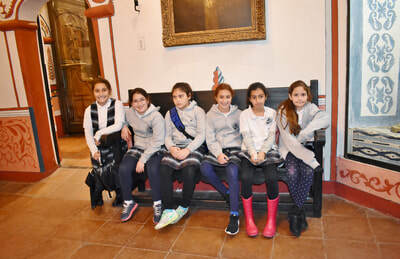 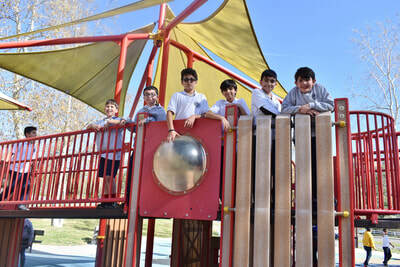 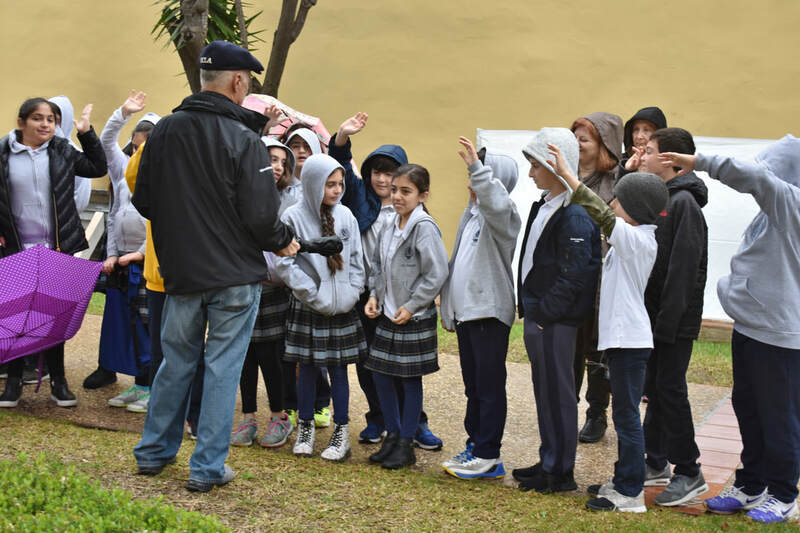 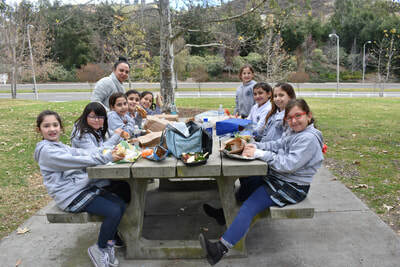 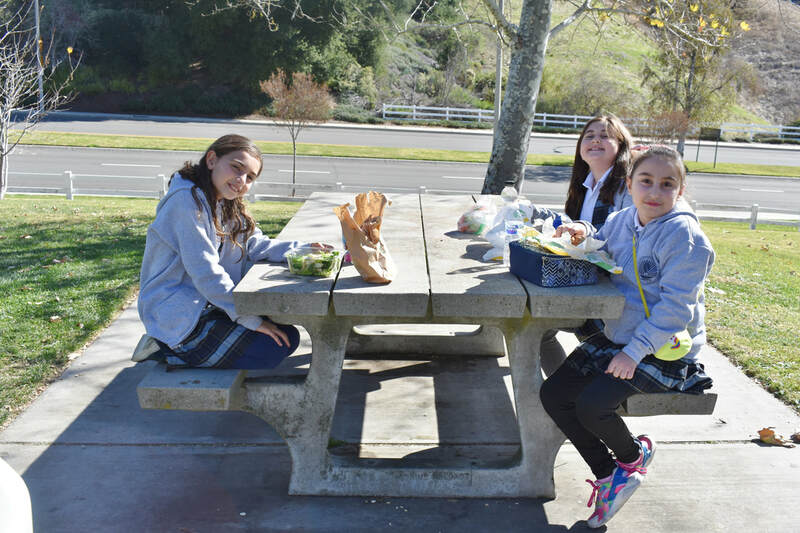 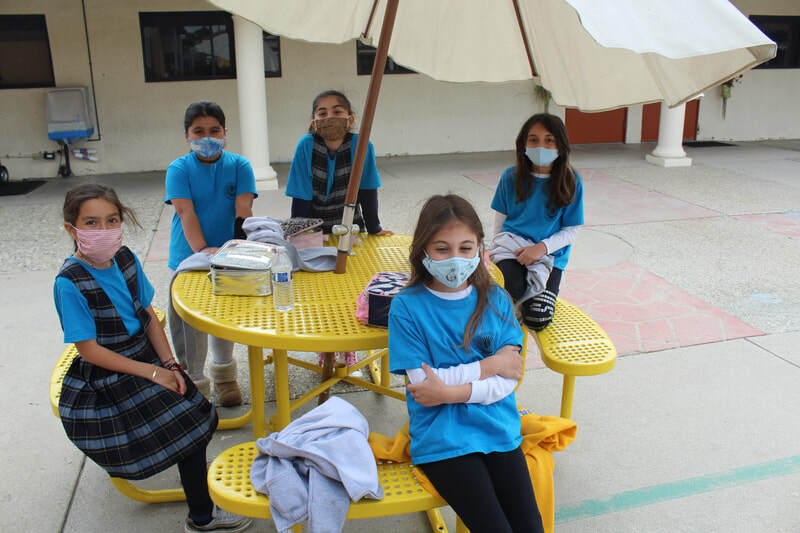 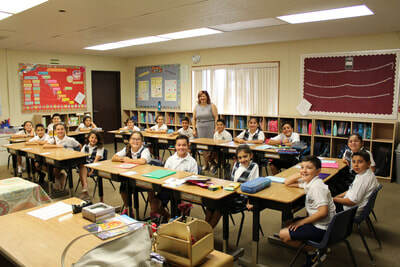 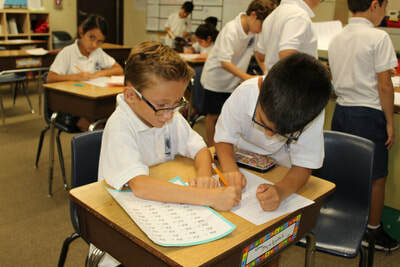 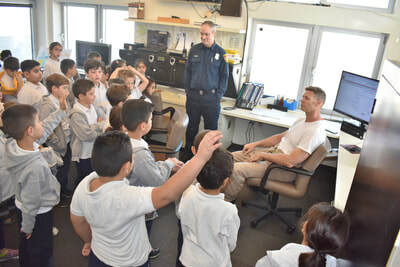 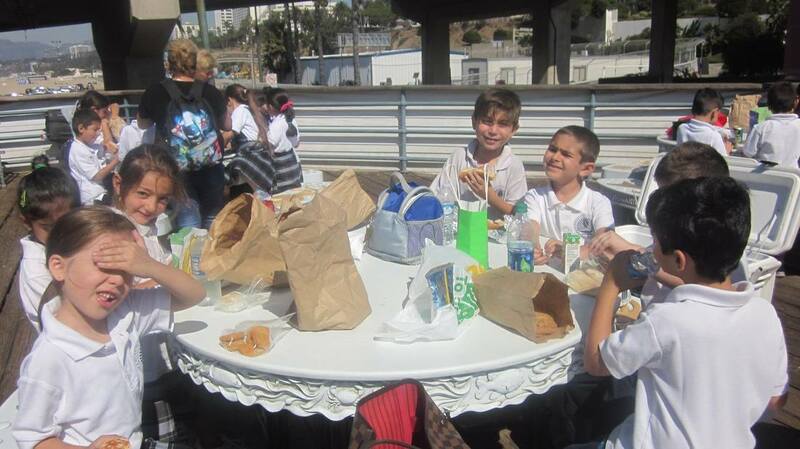 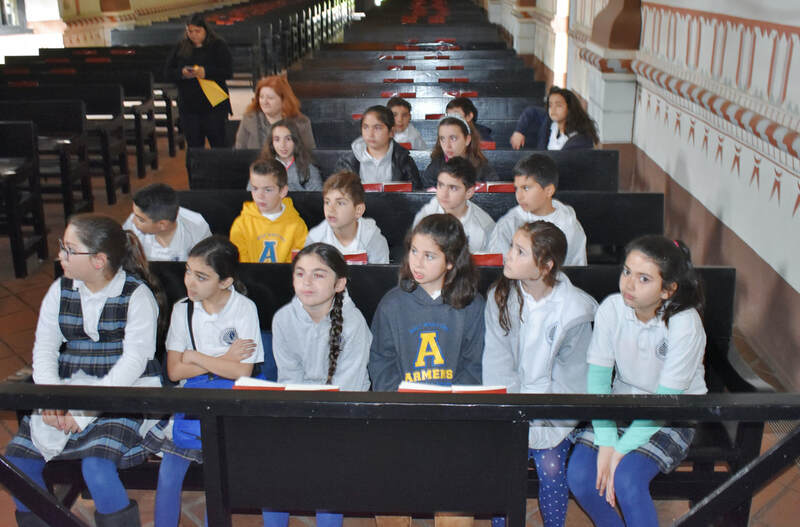 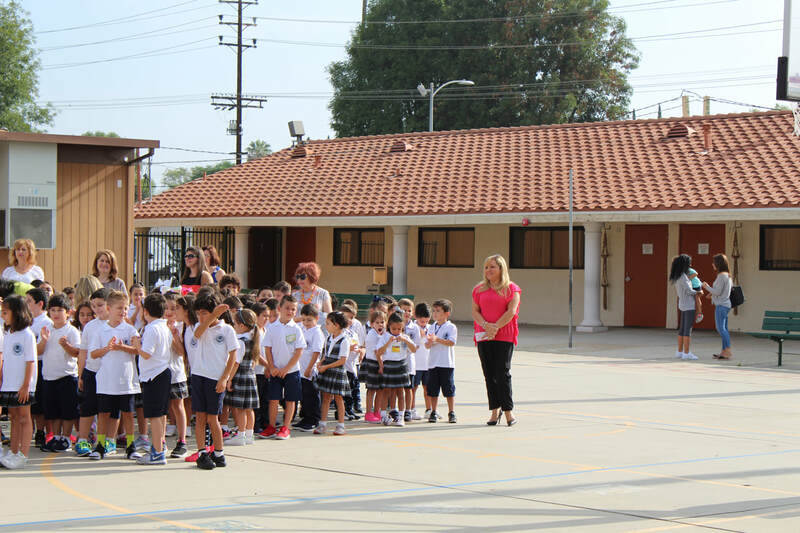 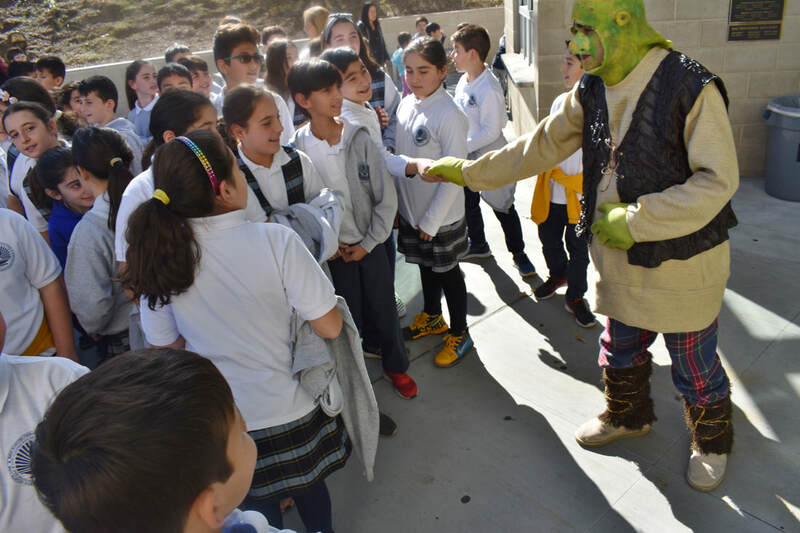 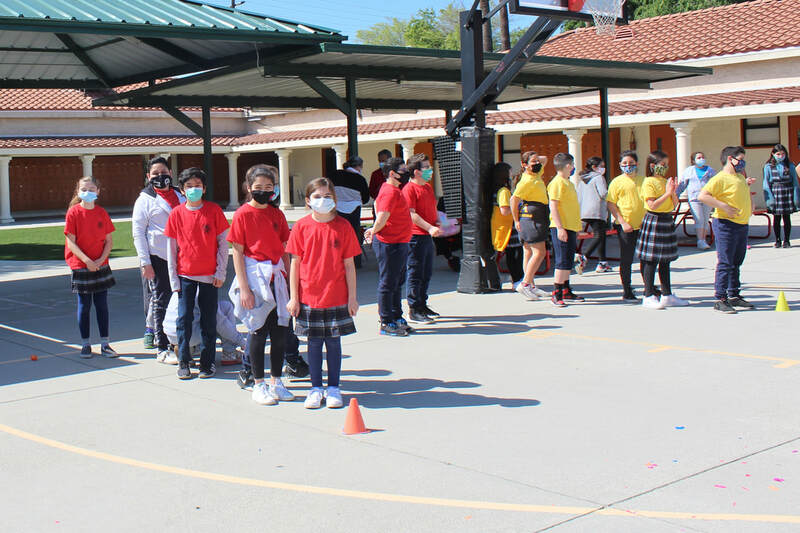 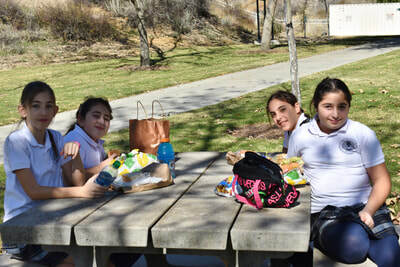 On Tuesday, March 13, the fourth grade students visited the nearby San Fernando Mission. 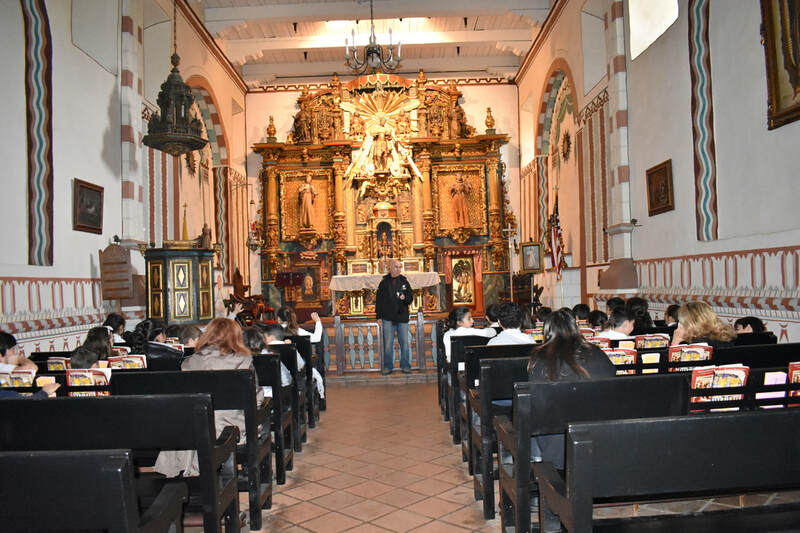 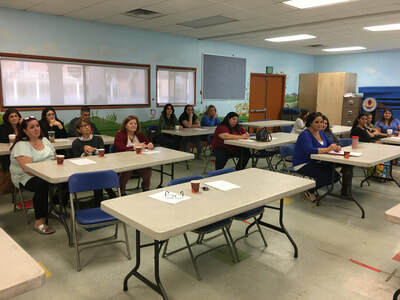 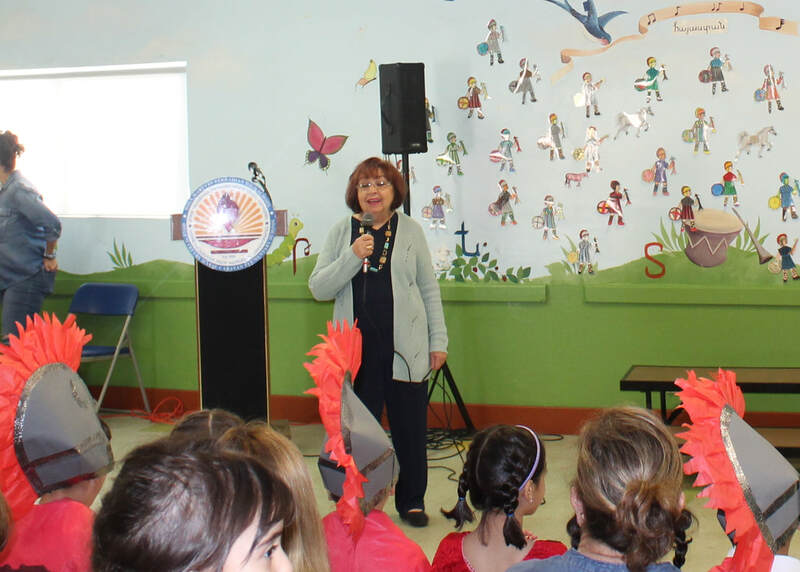 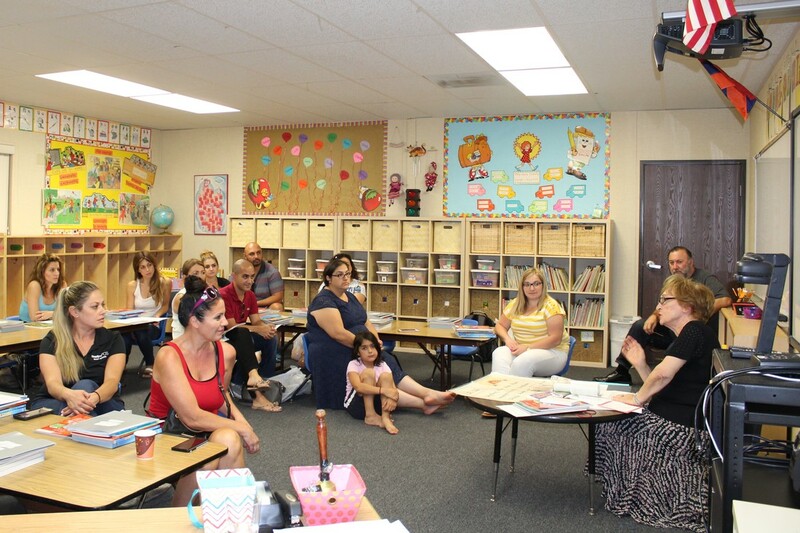 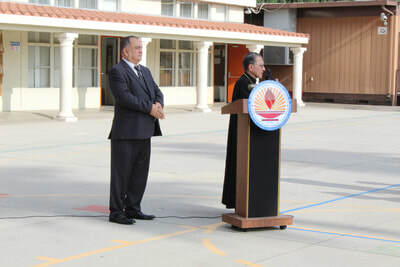 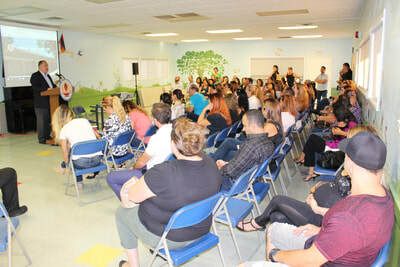 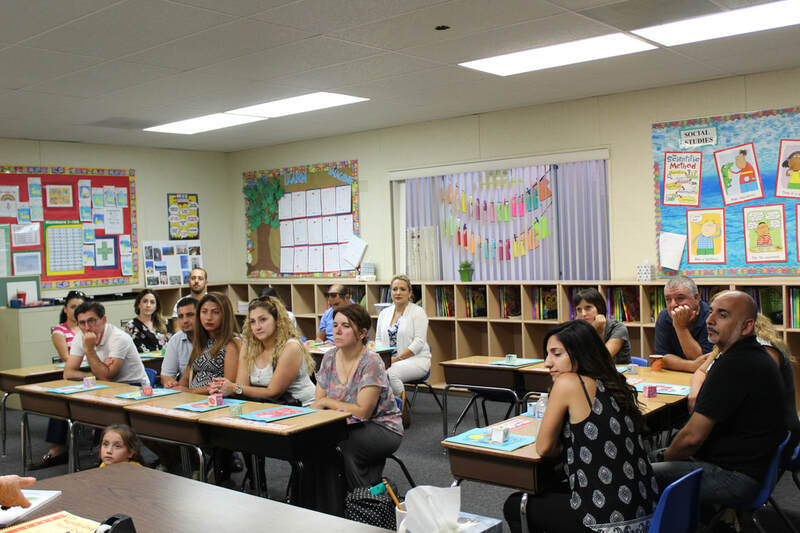 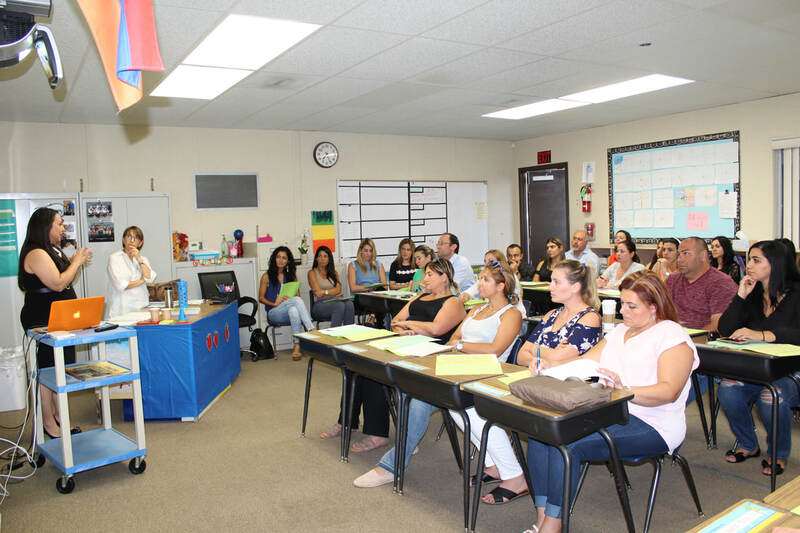 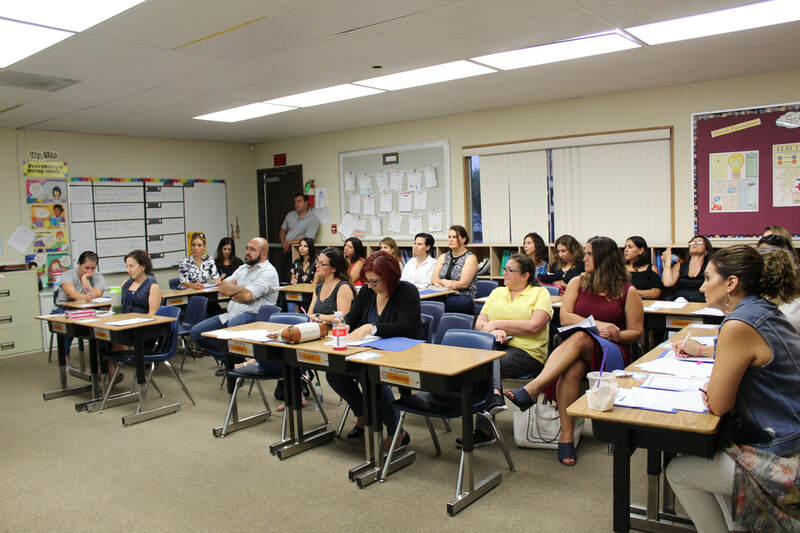 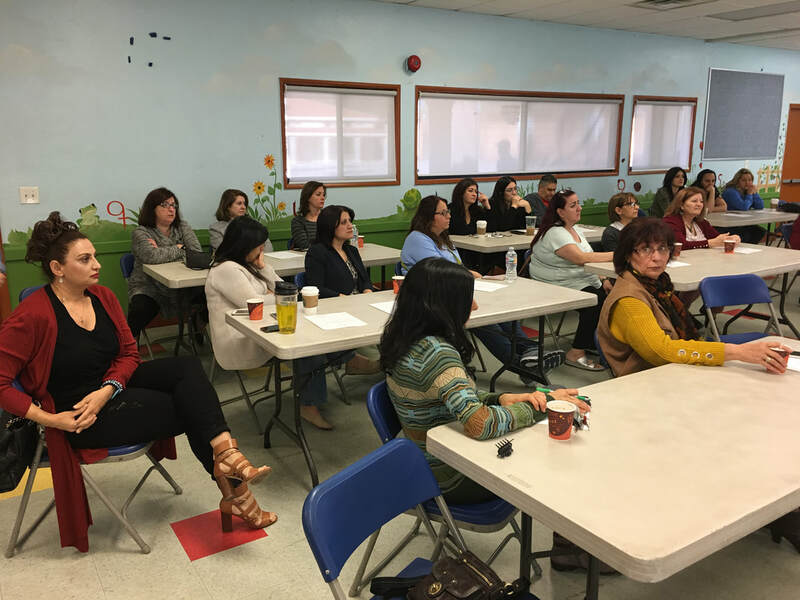 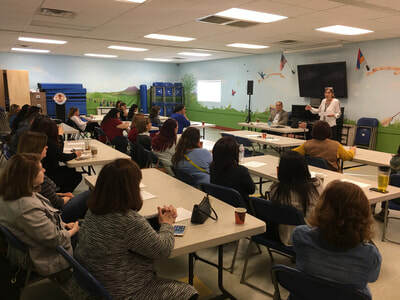 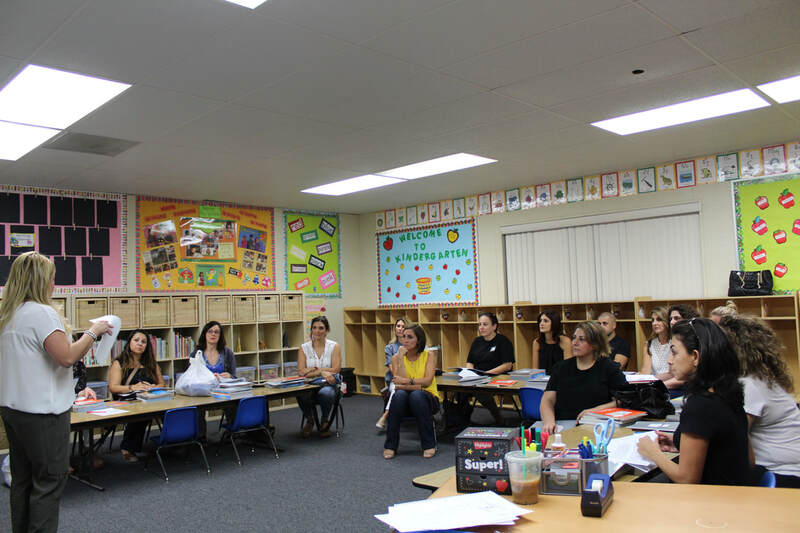 The Students were introduced to the significance and impact of the Spanish mission system on California’s history. 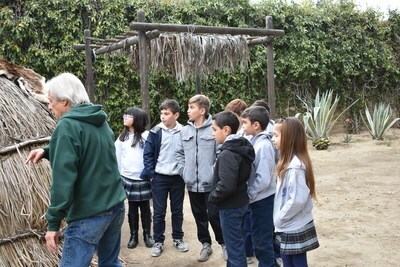 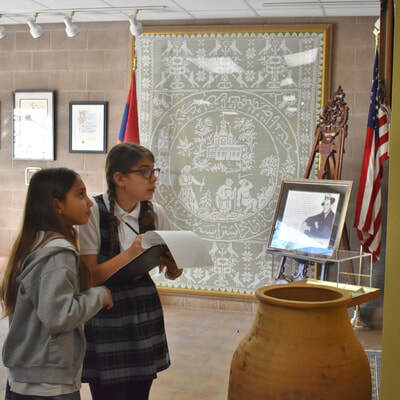 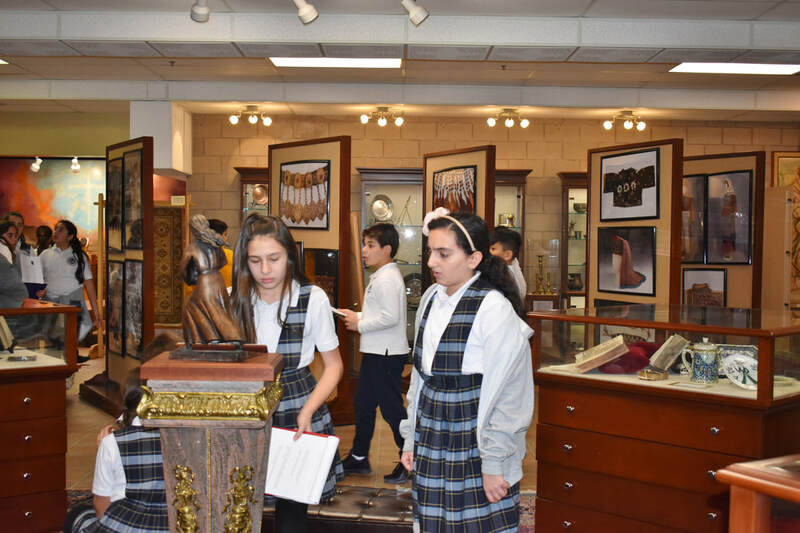 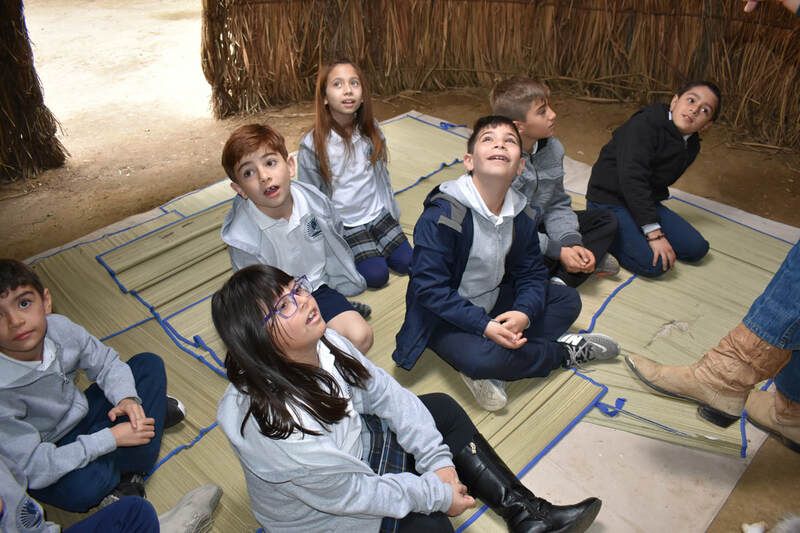 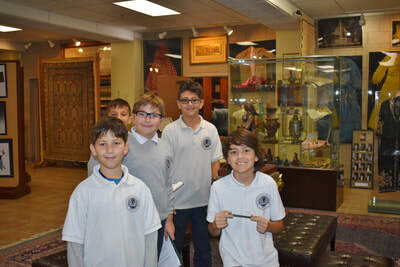 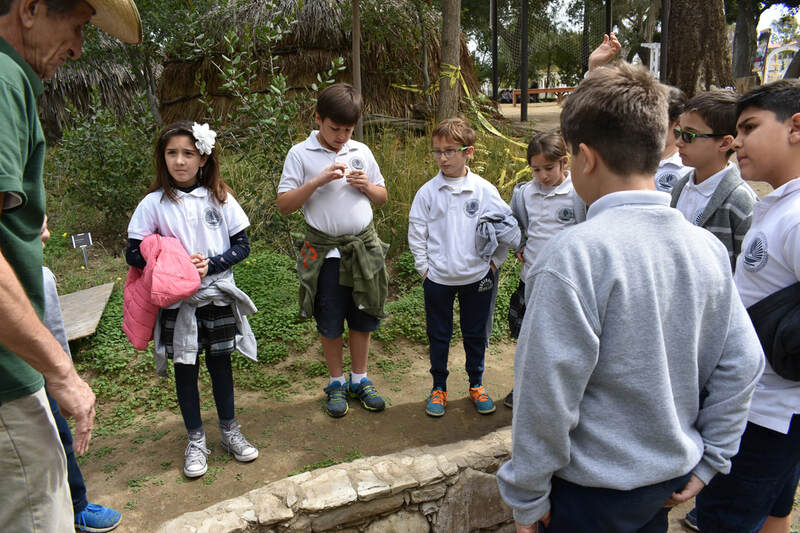 They were able to take a tour of the grounds and the museum as they learned about various artifacts the Indians and missionaries used in their daily life. 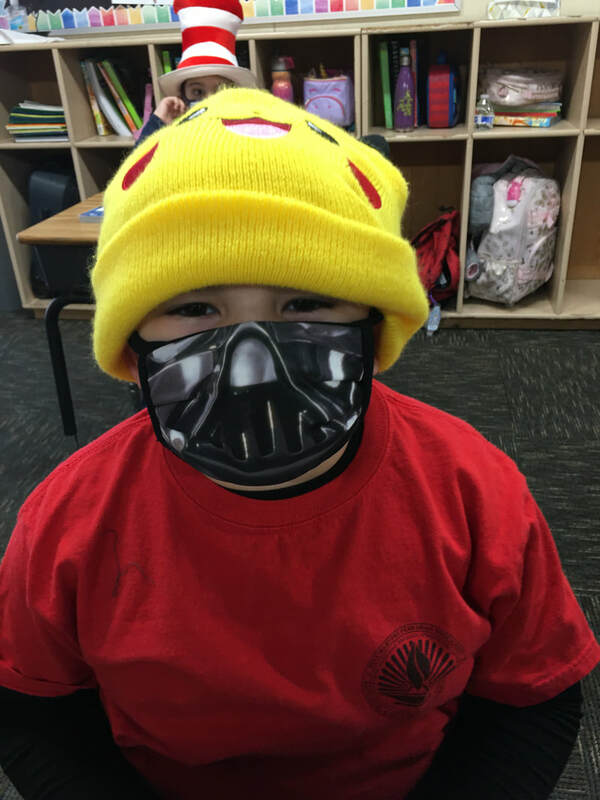 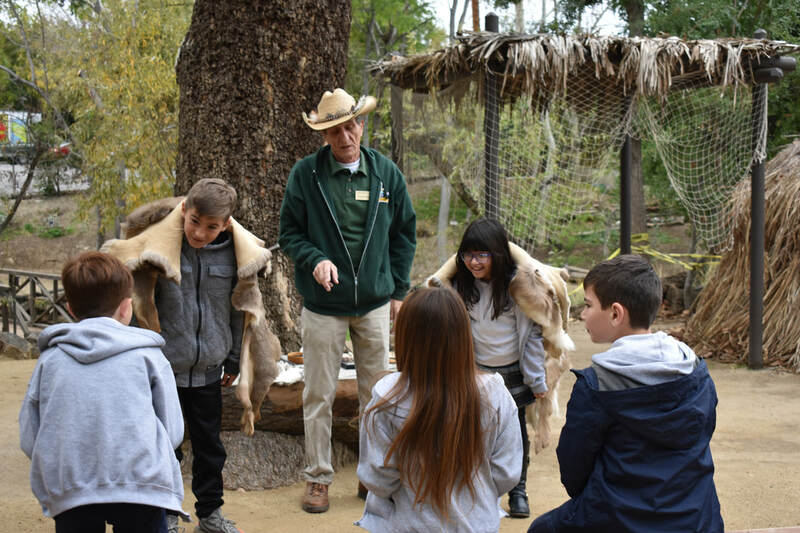 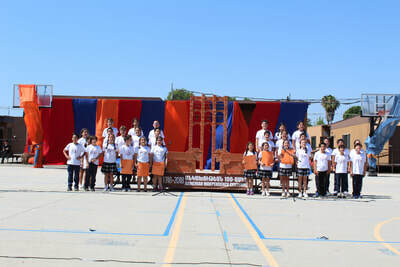 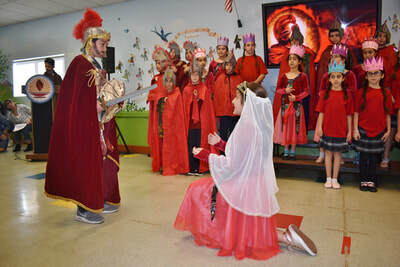 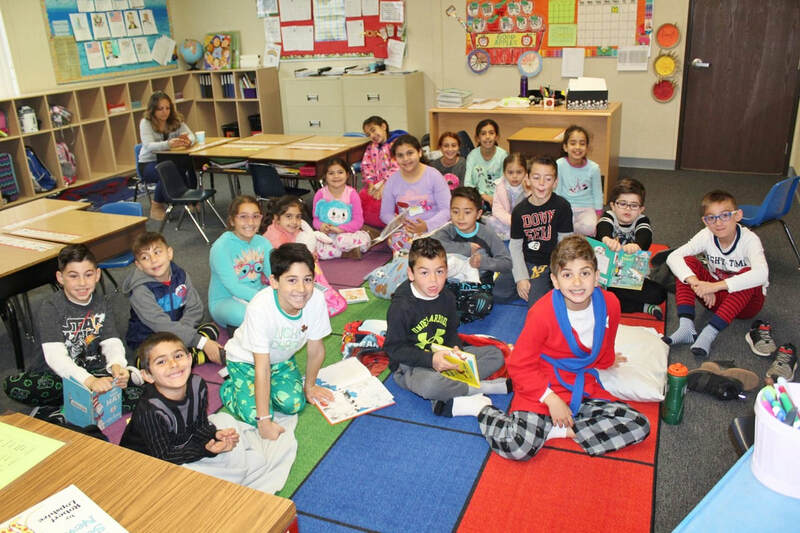 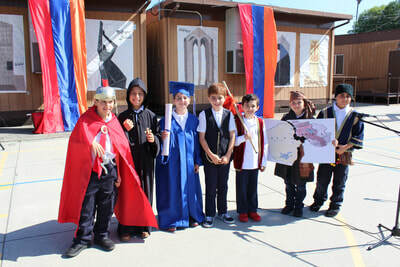 The third grade students traveled back in time to experience the life of the Chumash tribe. 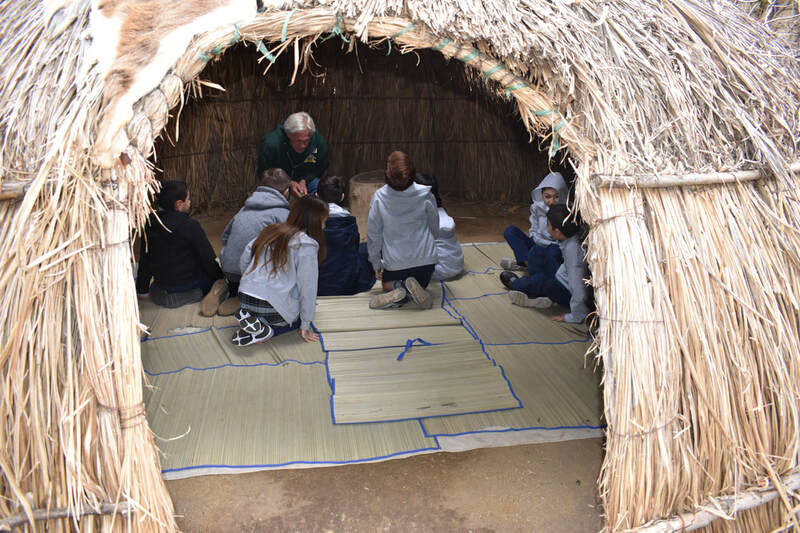 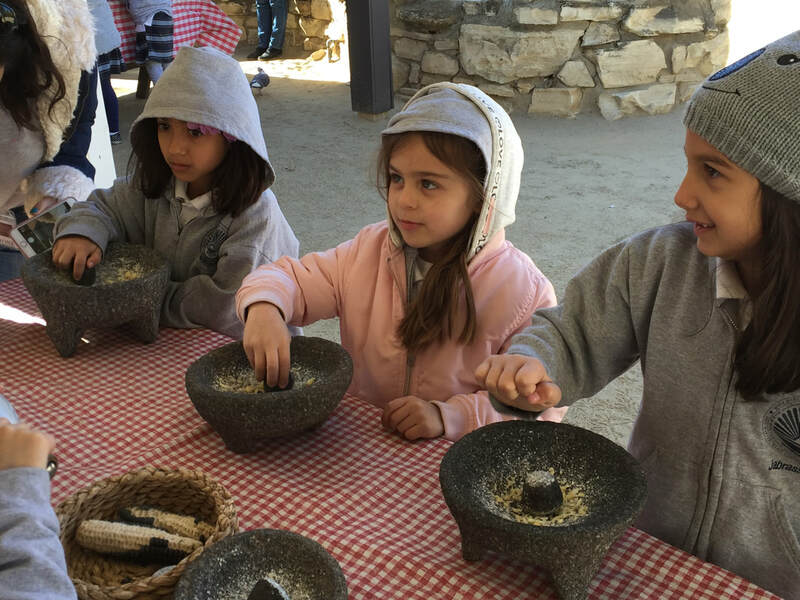 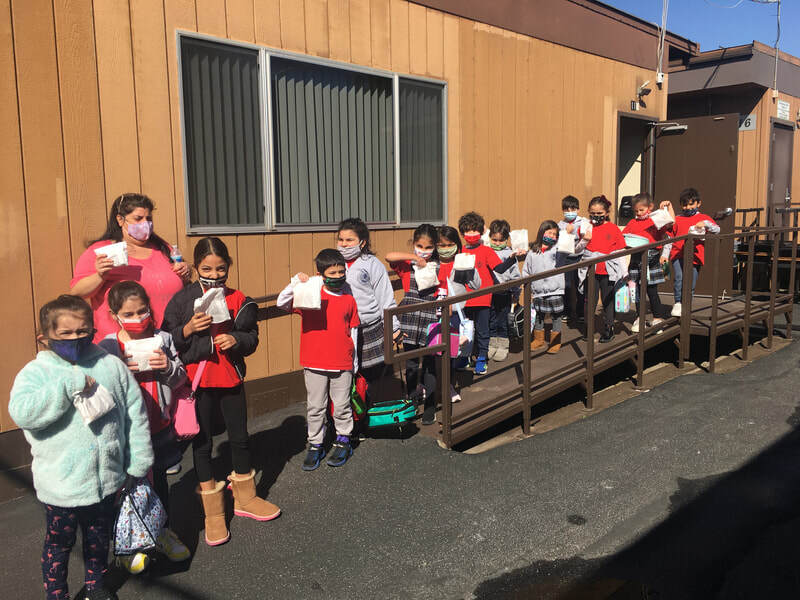 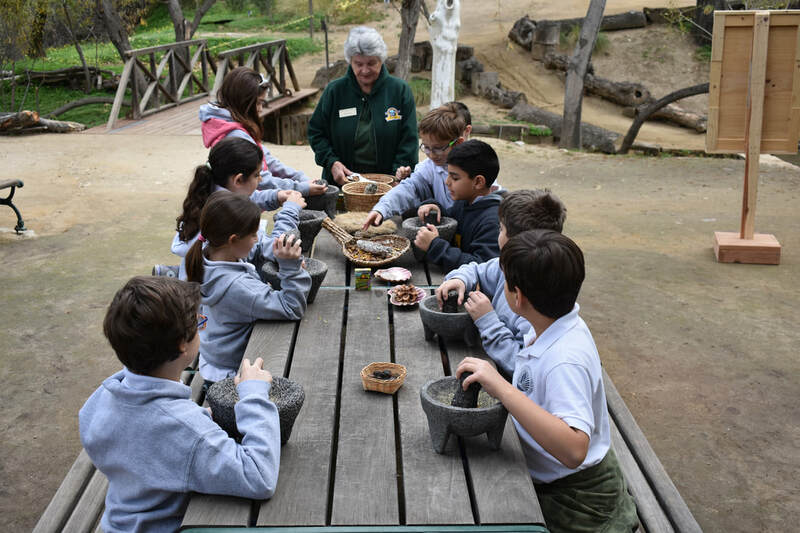 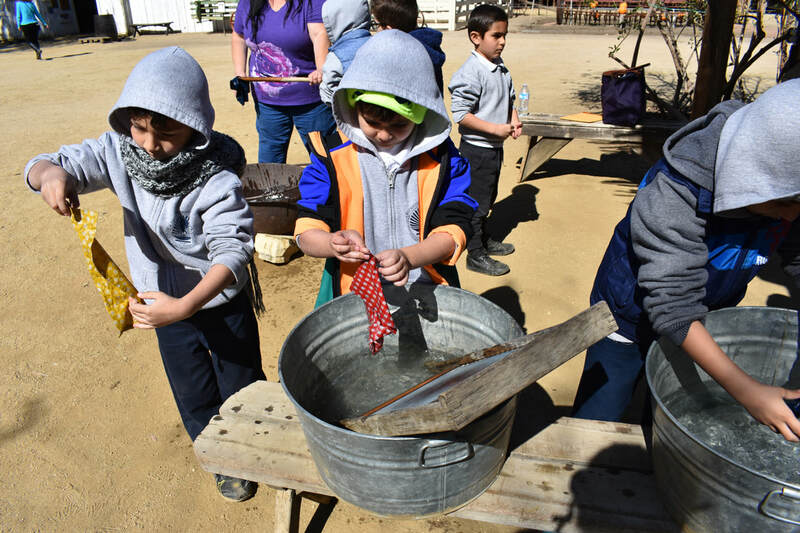 They visited a Chumash village, where they learned how to make necklaces and acorn mush. They practiced hunting skills and listened to stories that were told by the elders. 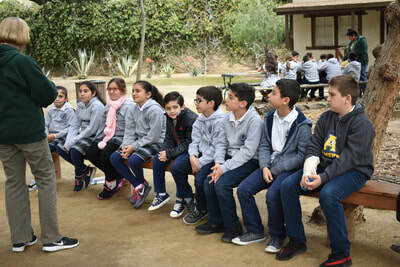 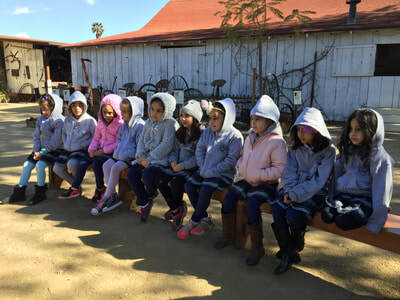 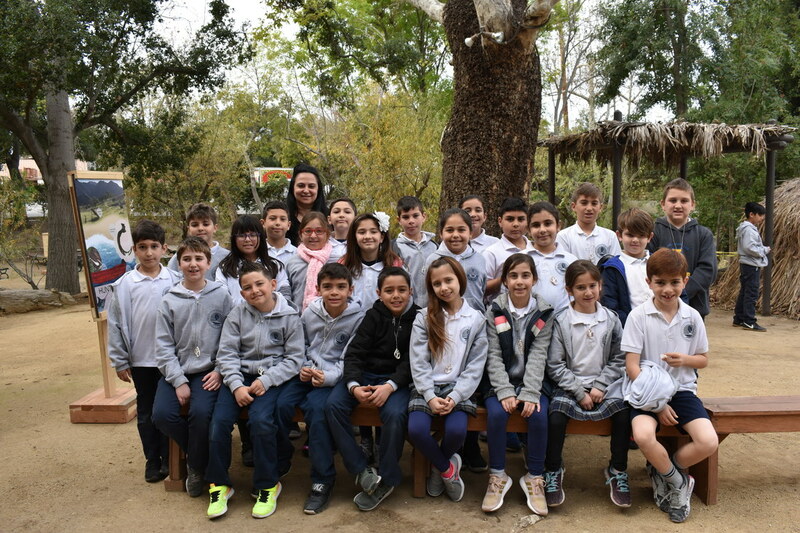 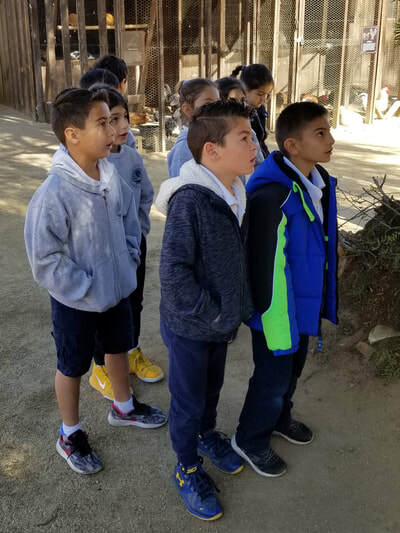 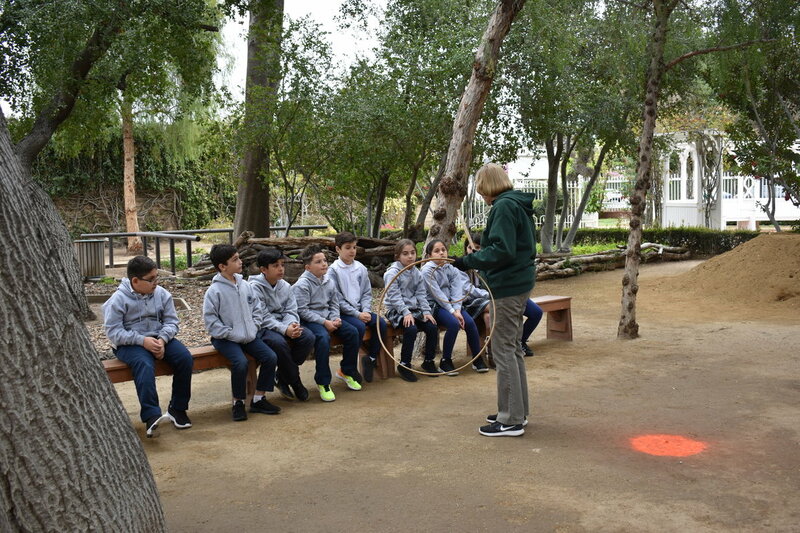 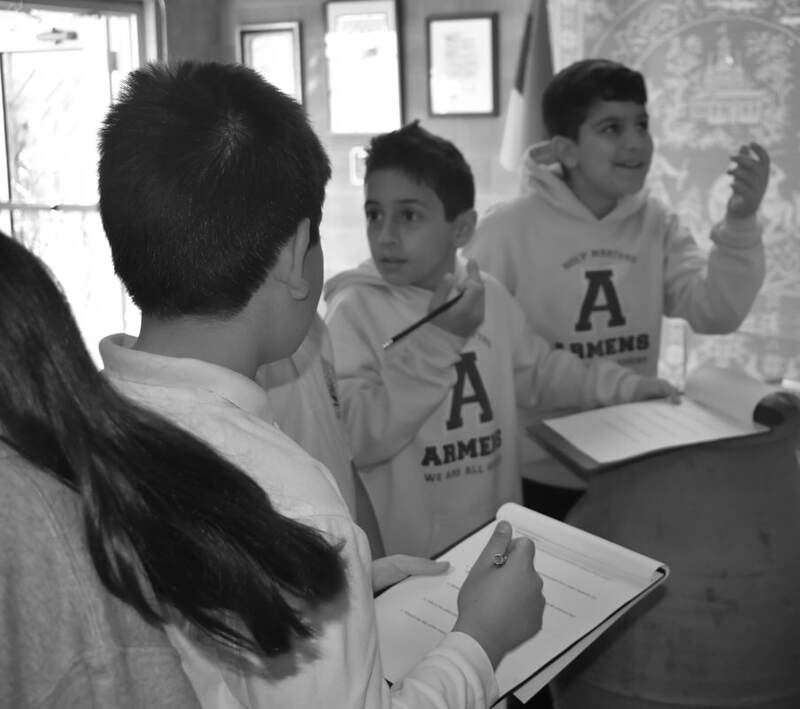 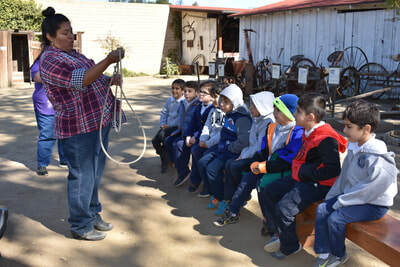 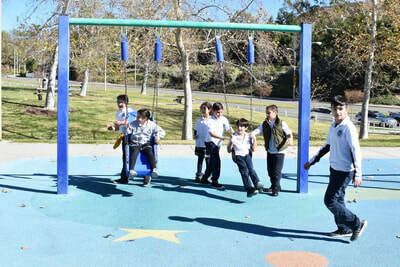 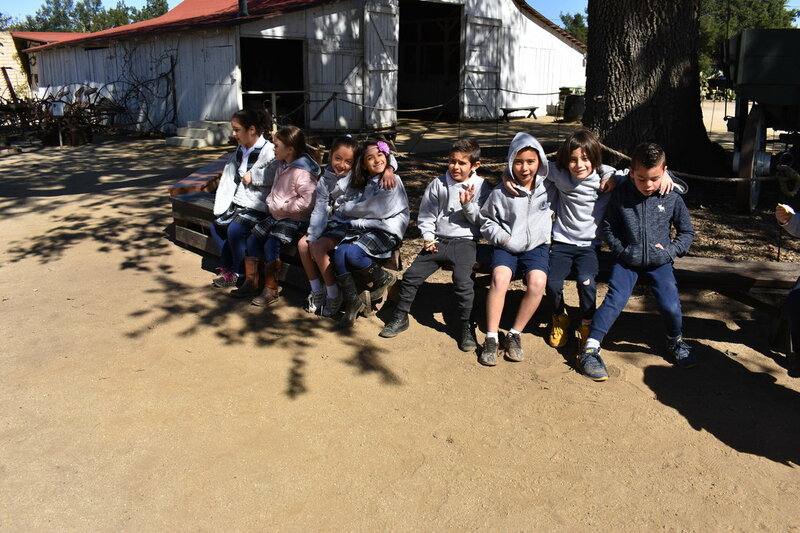 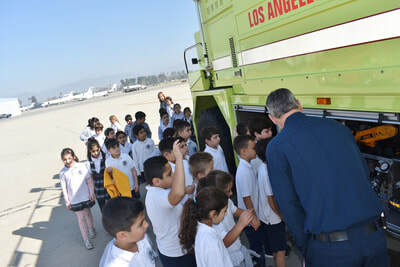 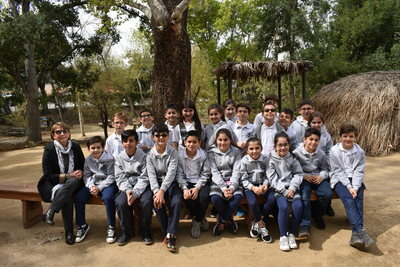 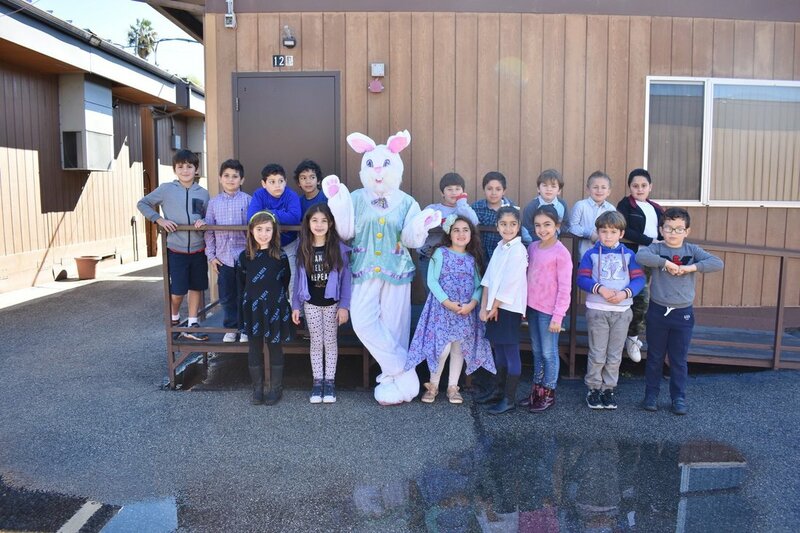 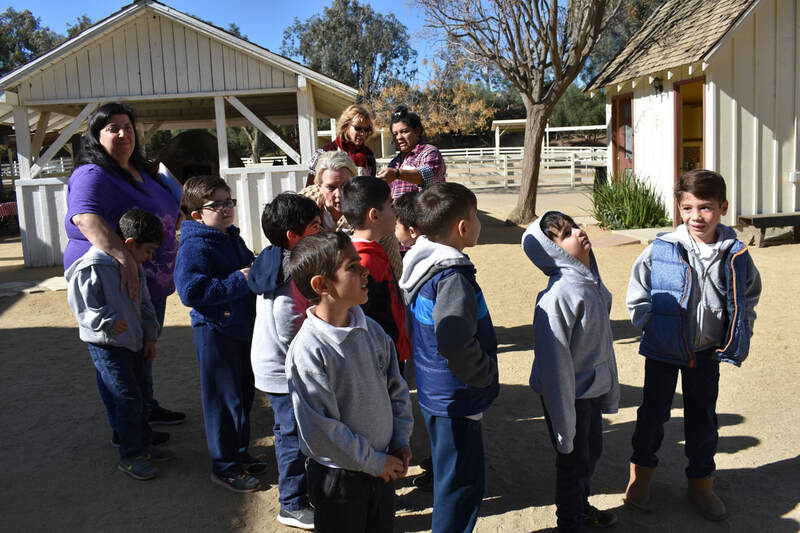 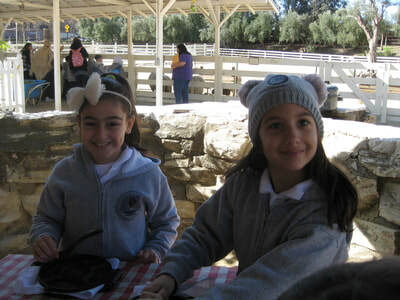 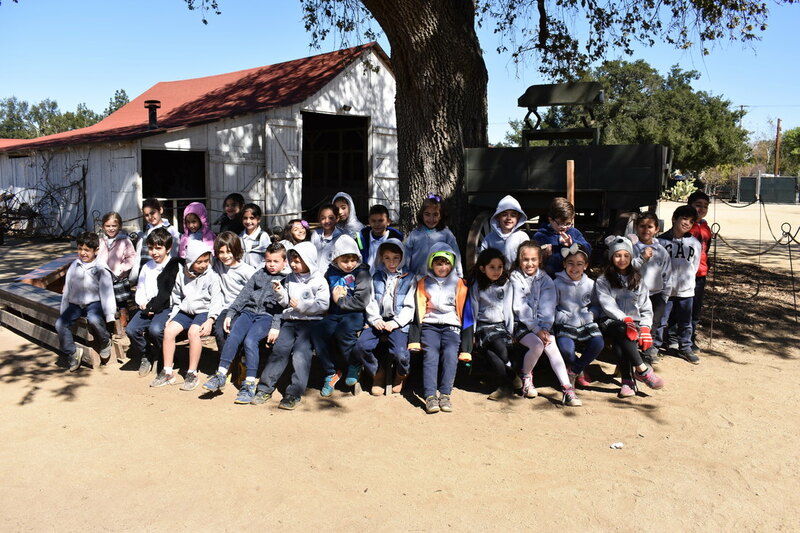 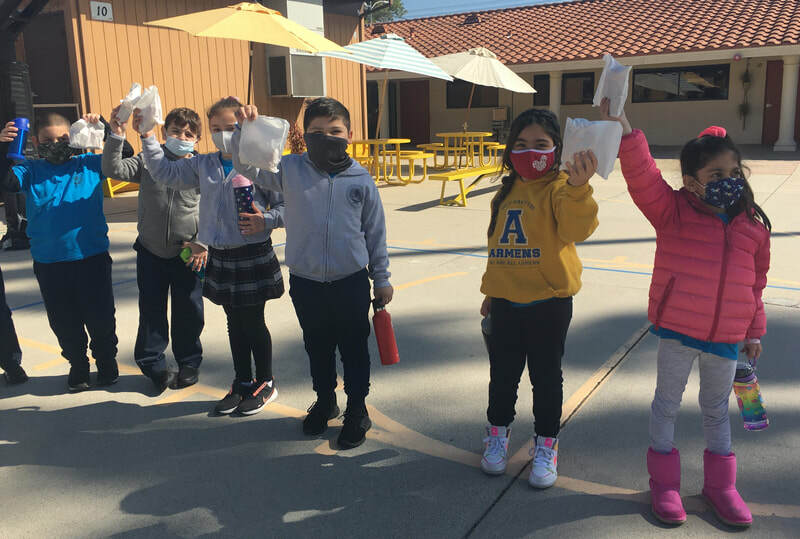 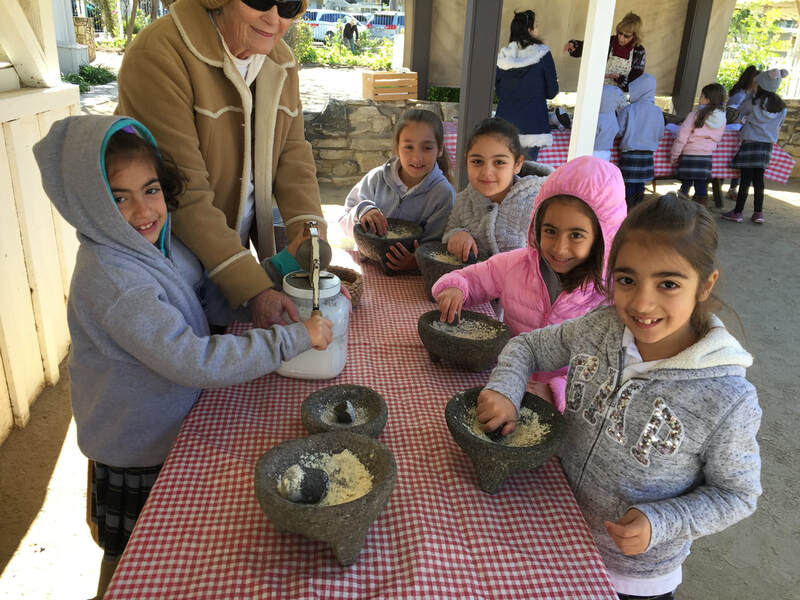 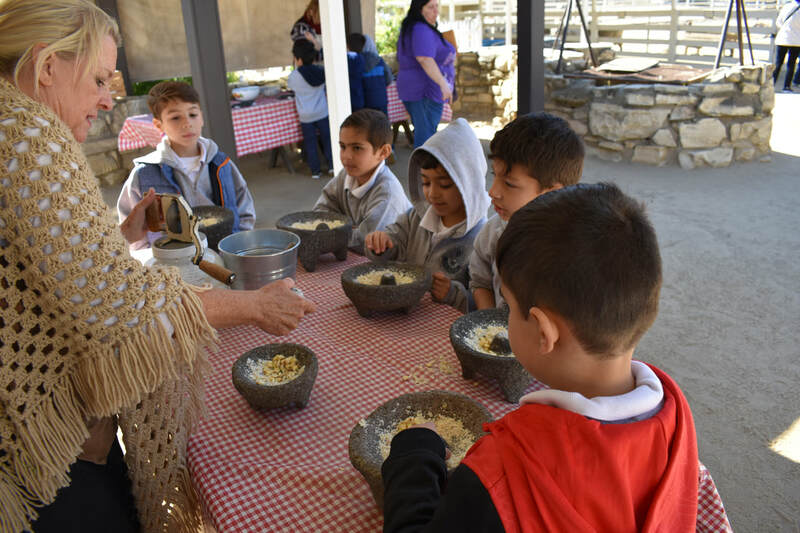 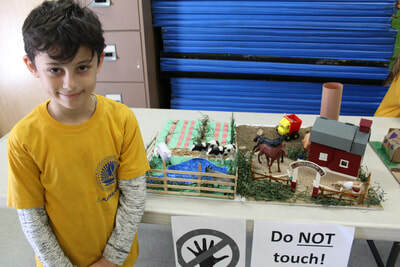 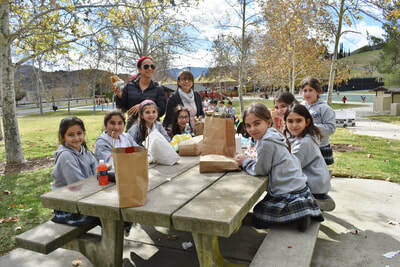 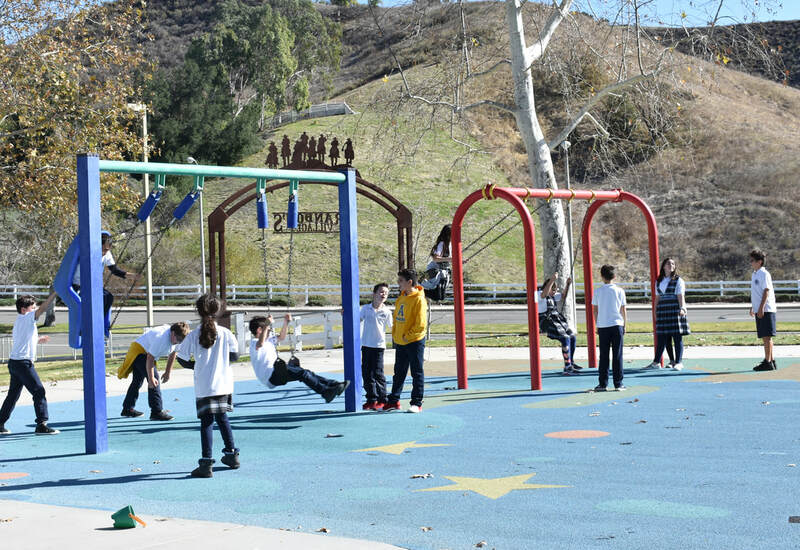 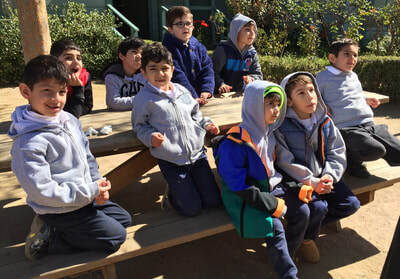 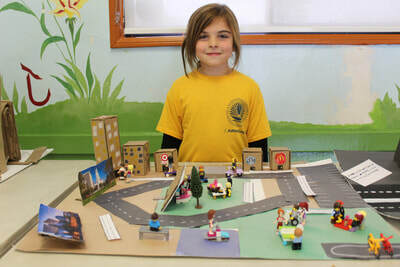 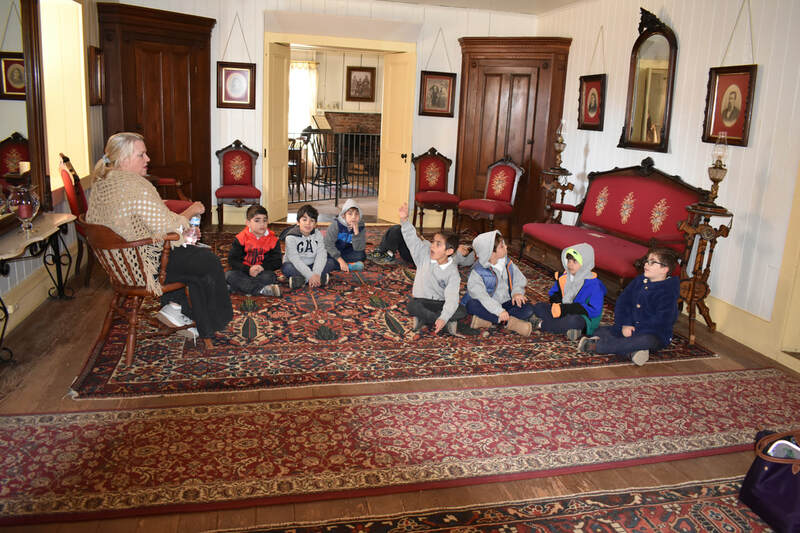 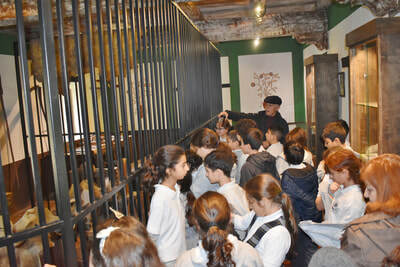 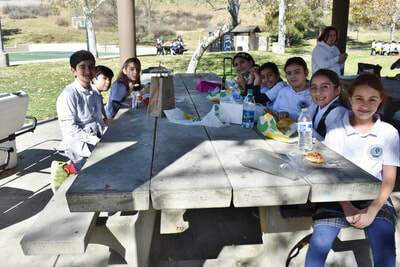 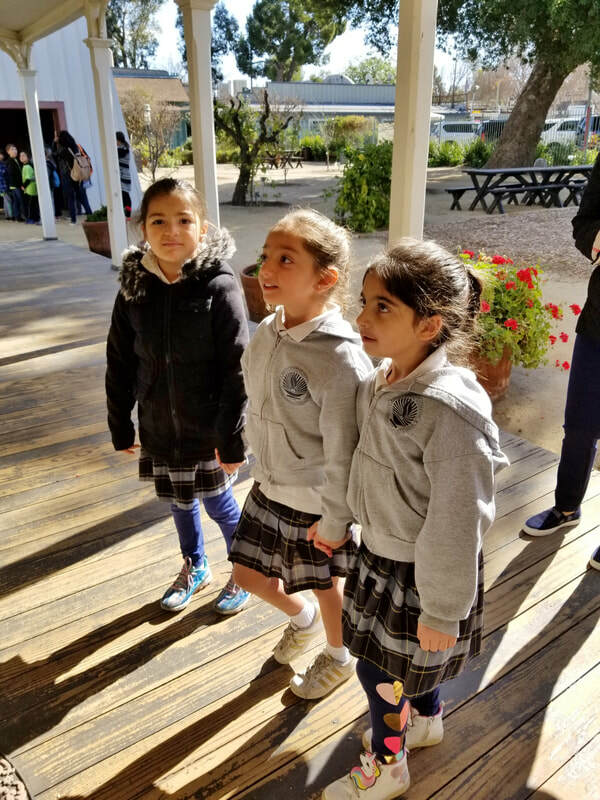 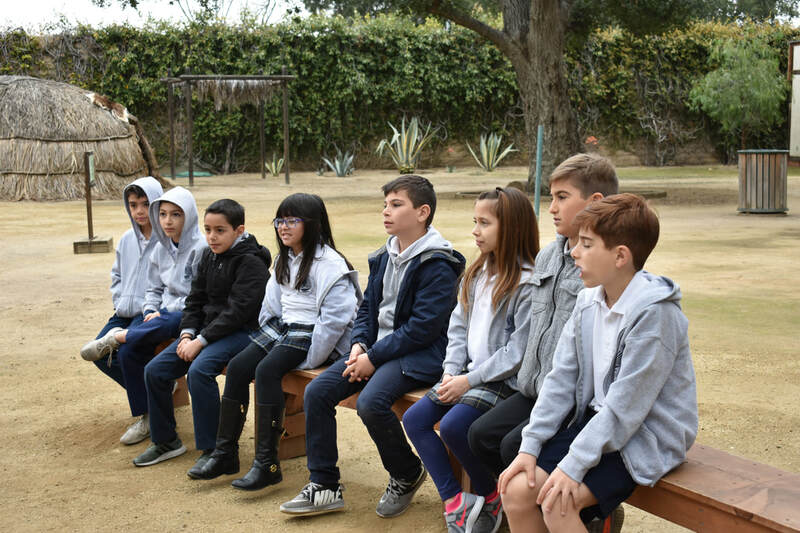 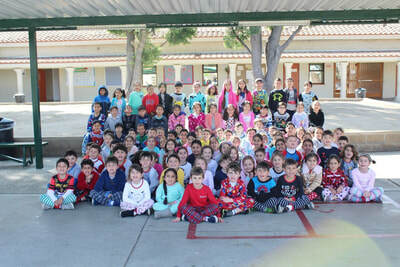 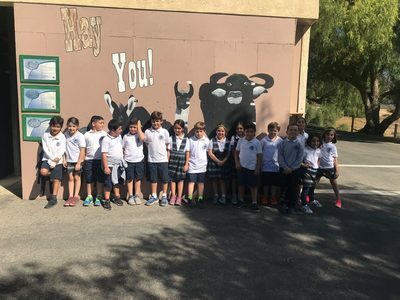 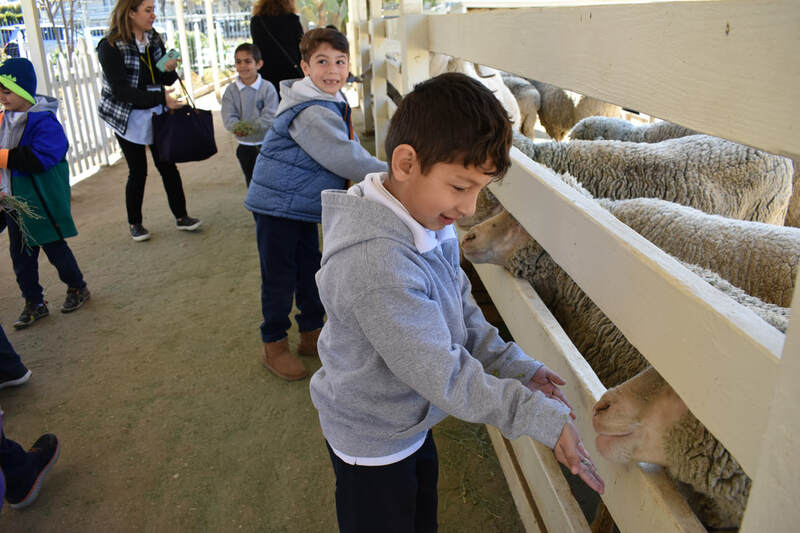 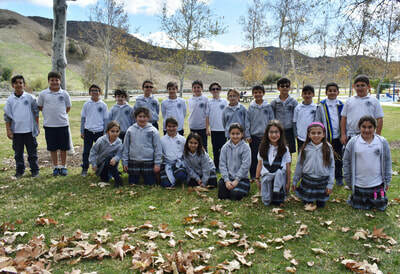 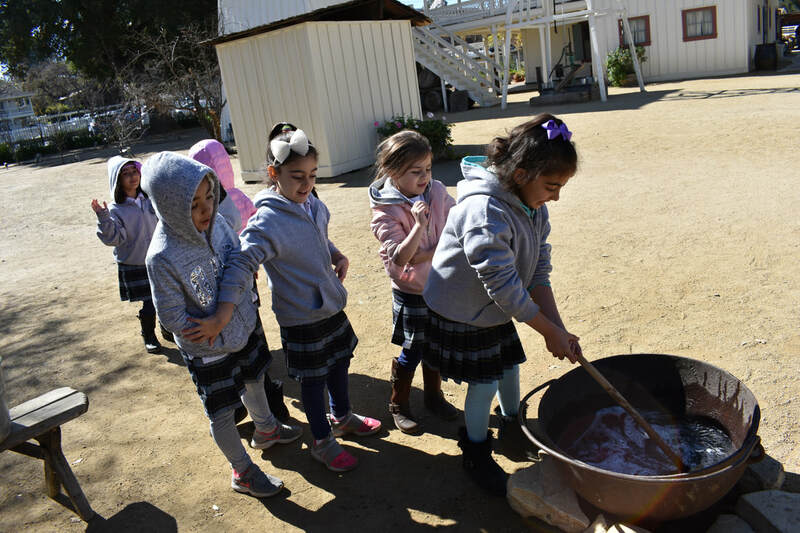 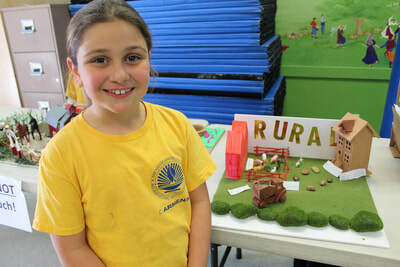 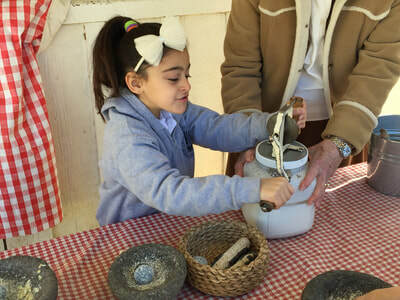 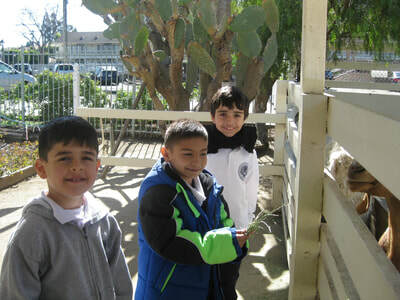 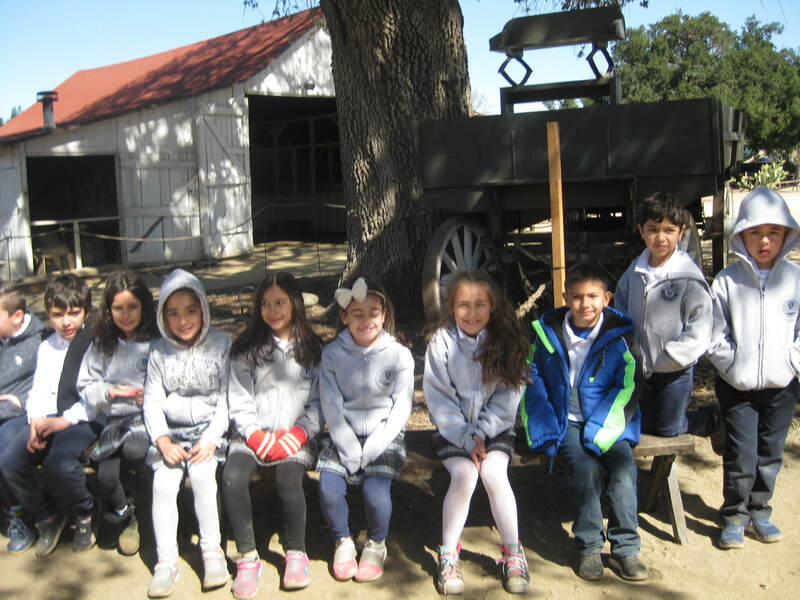 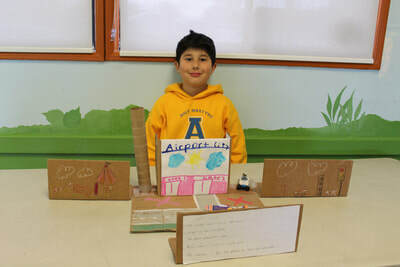 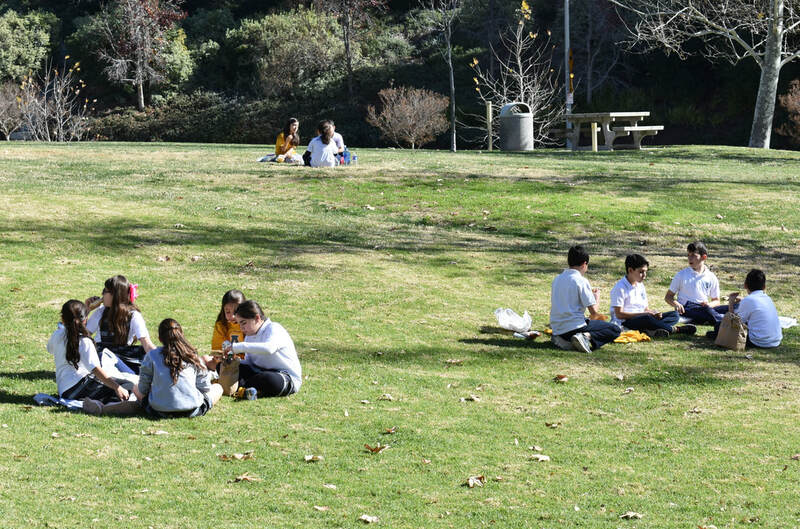 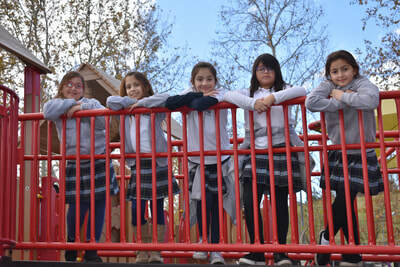 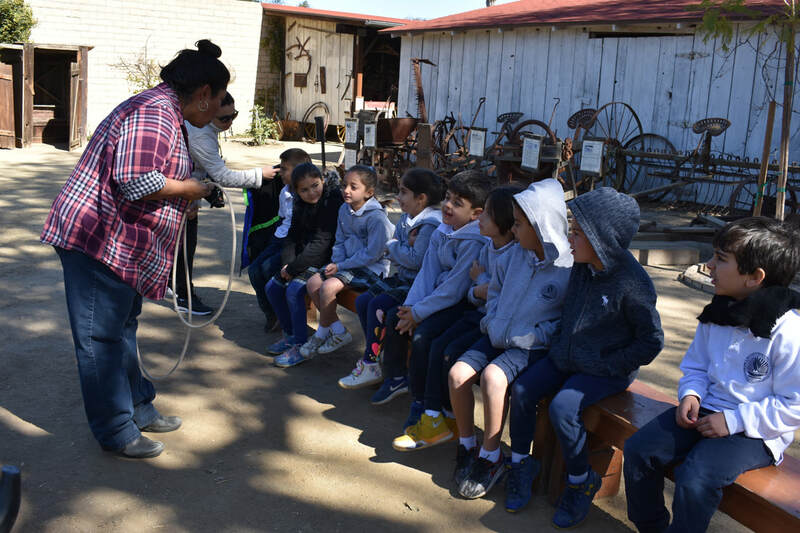 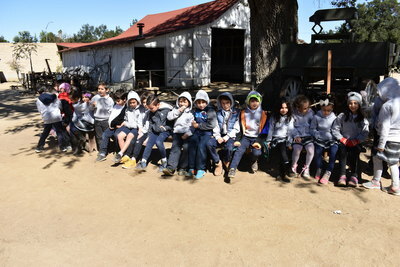 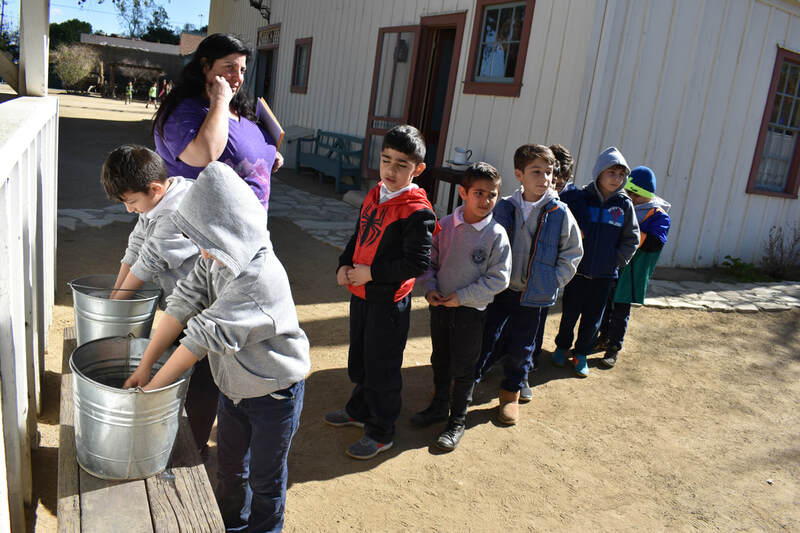 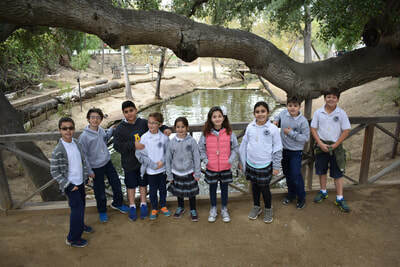 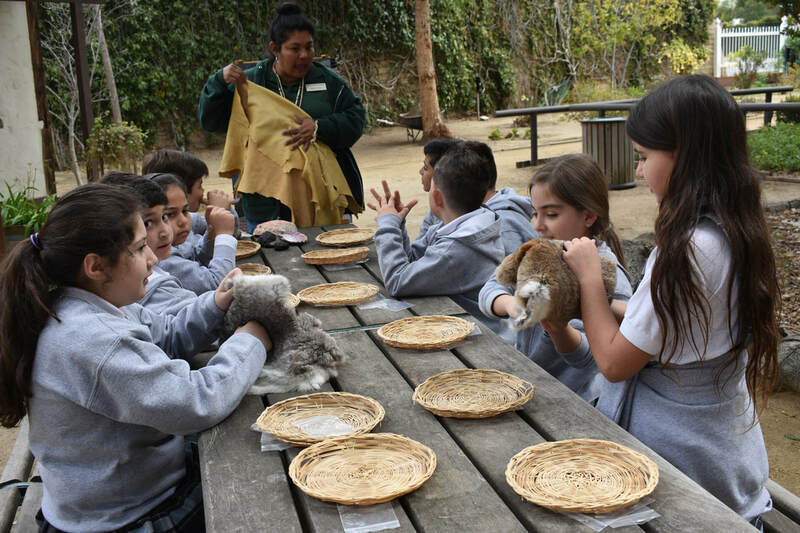 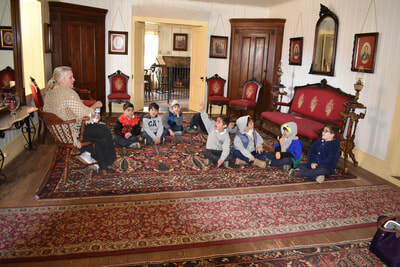 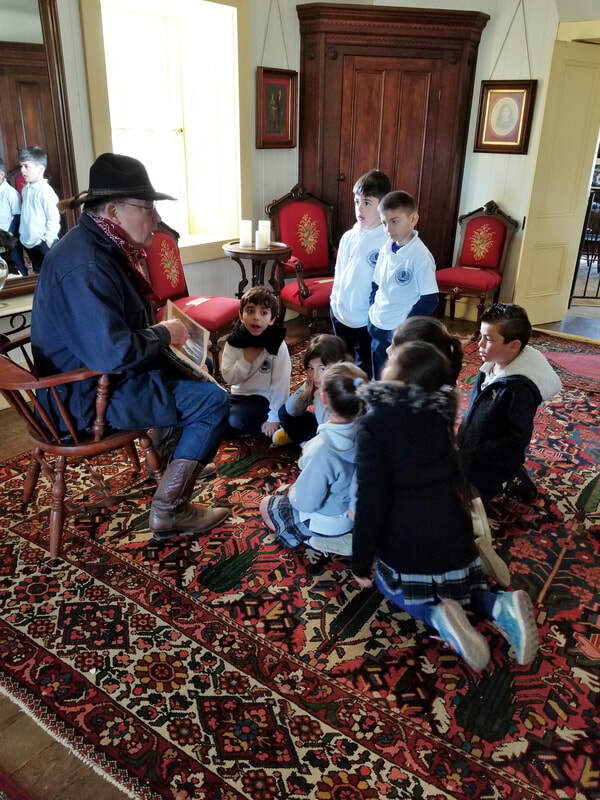 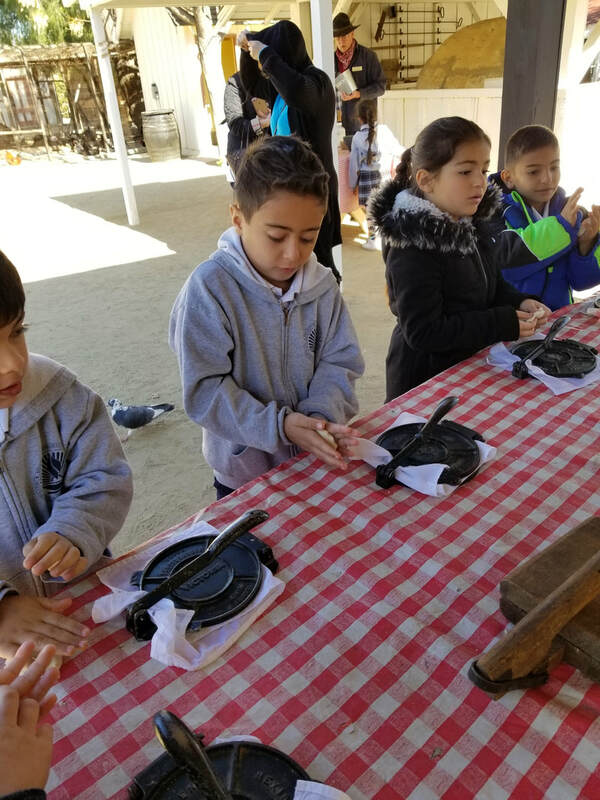 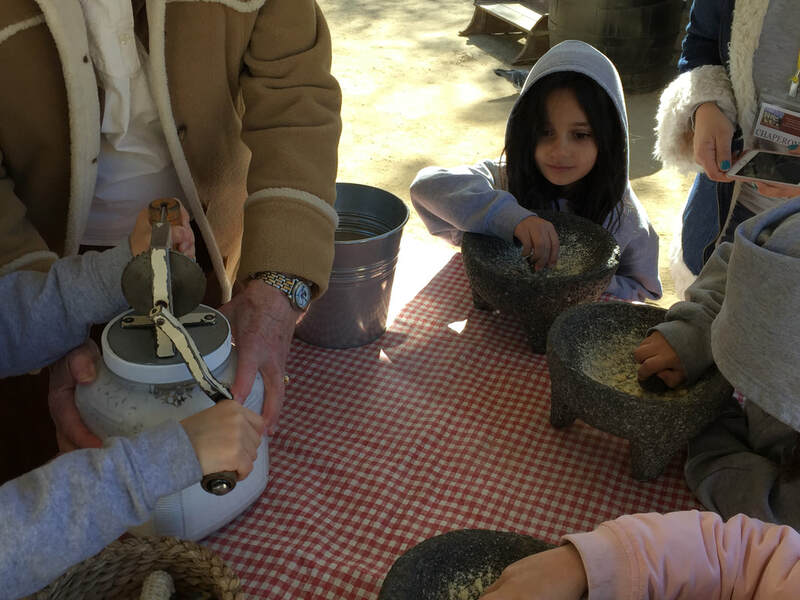 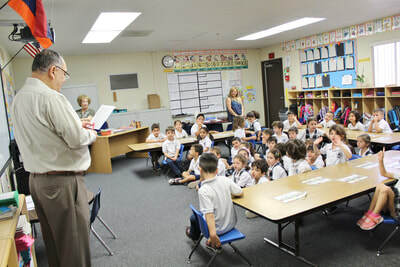 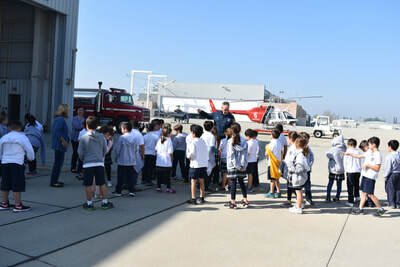 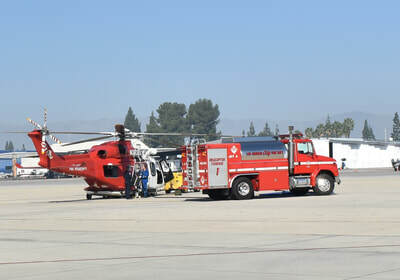 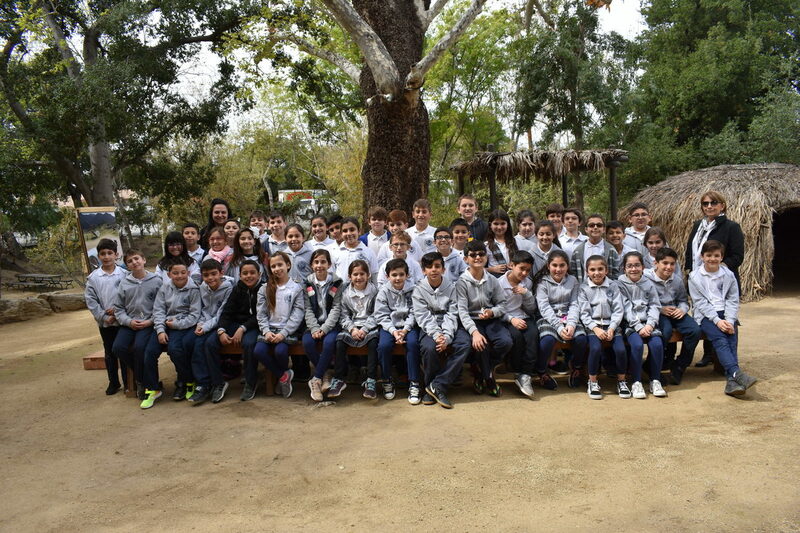 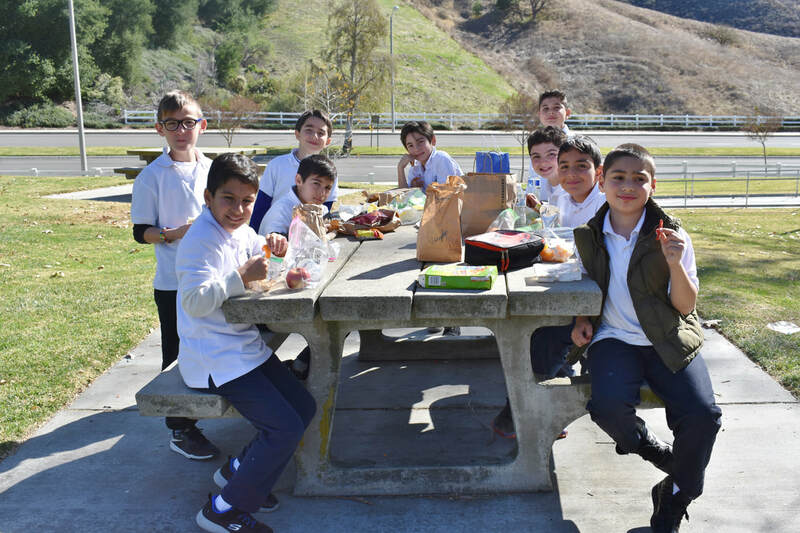 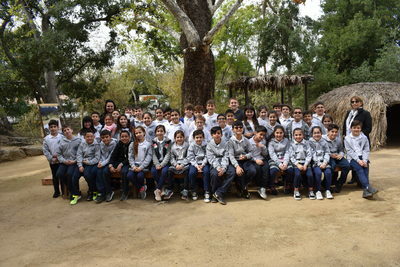 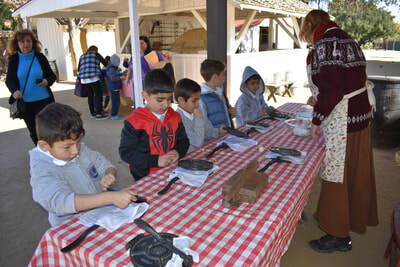 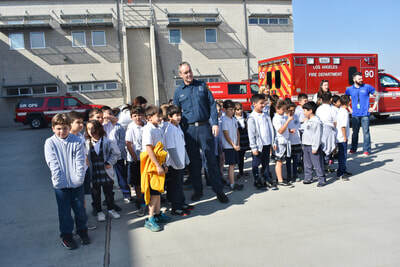 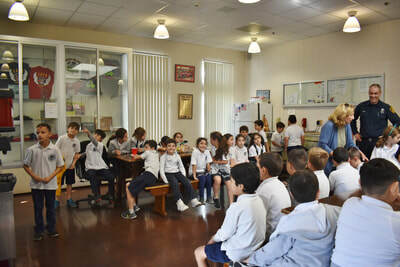 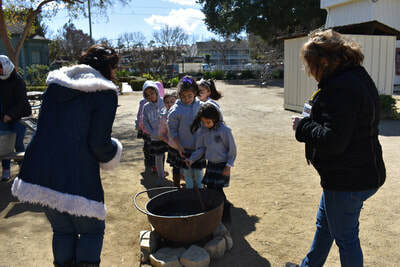 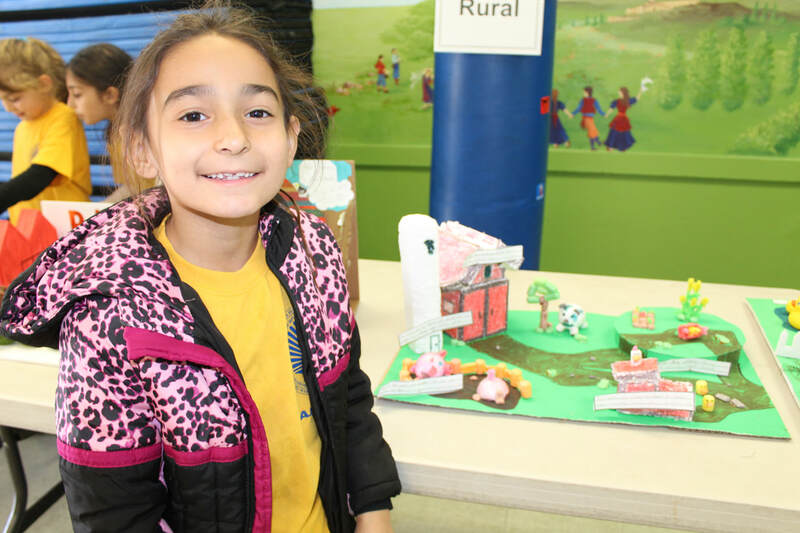 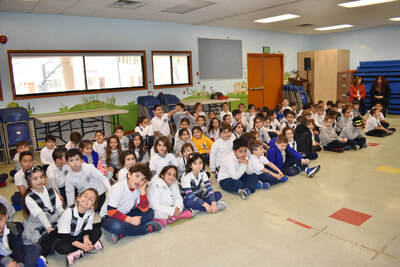 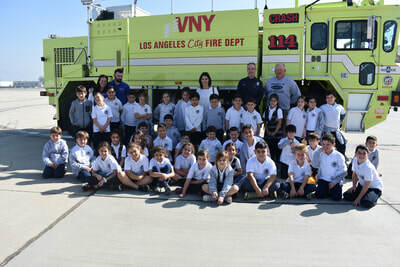 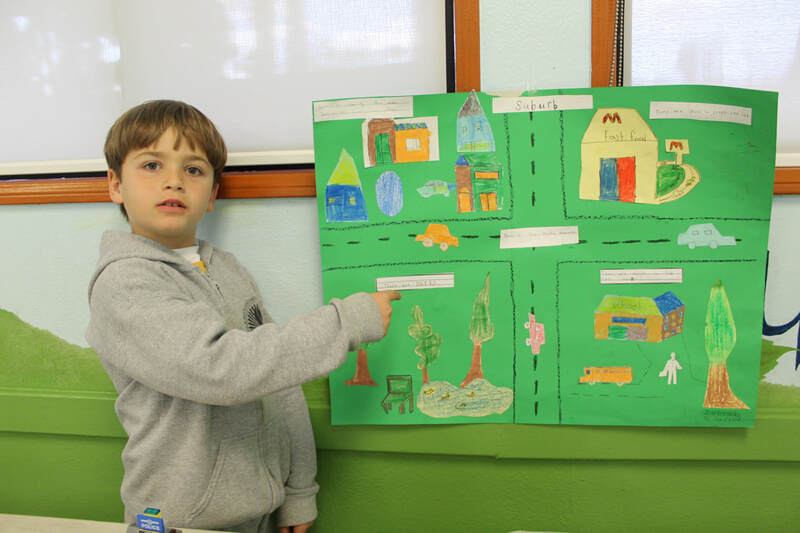 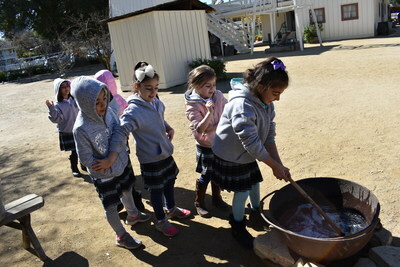 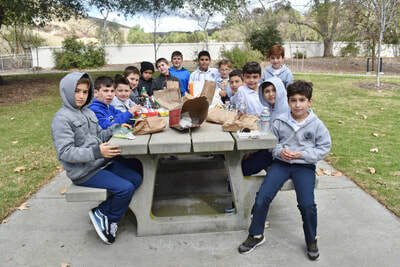 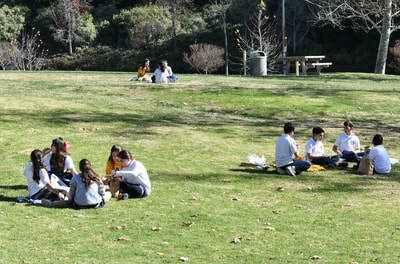 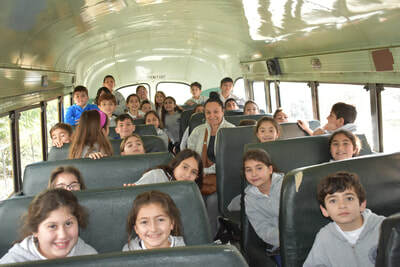 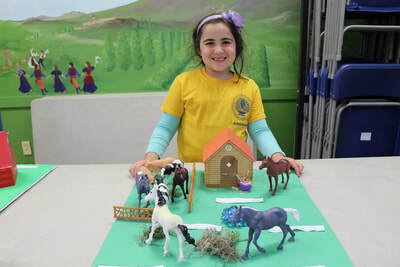 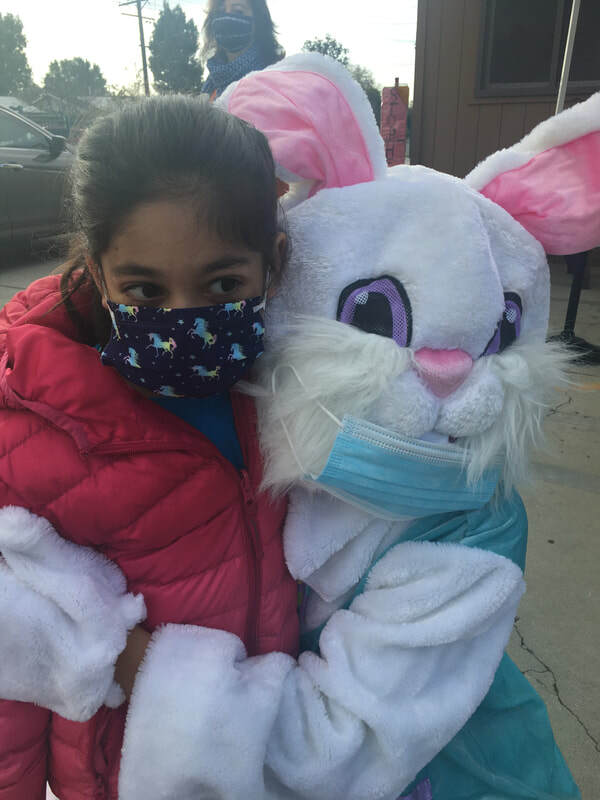 ​On Friday, February 23, the first graders went on a field trip to the Leonis Adobe Museum in Calabasas. 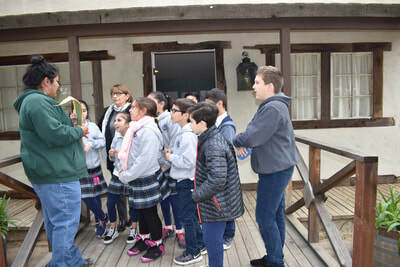 The students toured the adobe home and saw first-hand what a ranch home of the 1800’s looked like. There they learned how the Vaqueros worked and lived on a ranch. 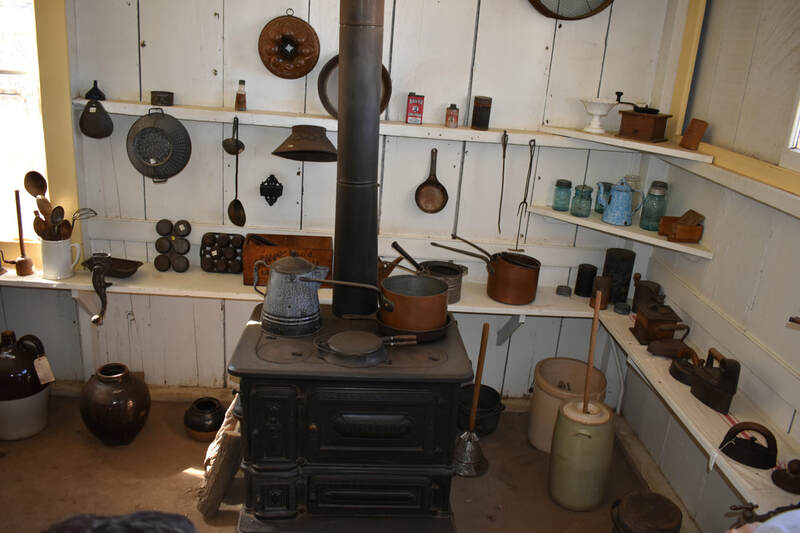 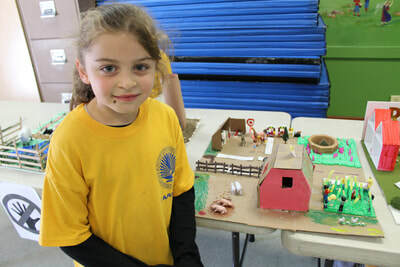 The children learned hands-on how to rope cattle, feed the goats and sheep, churn butter, make tortillas, pump water from the well, and do laundry, as would have been their job living on a ranch. 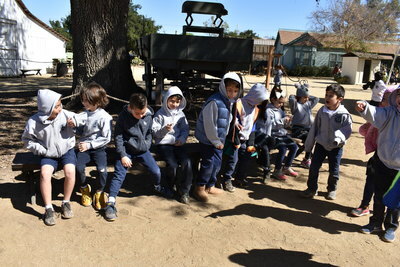 They had a marvelous time learning about living in the past. 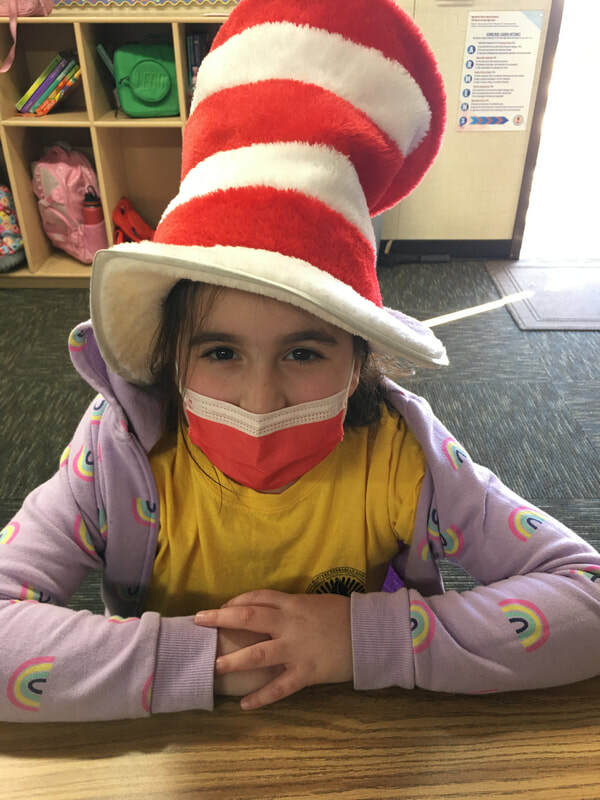 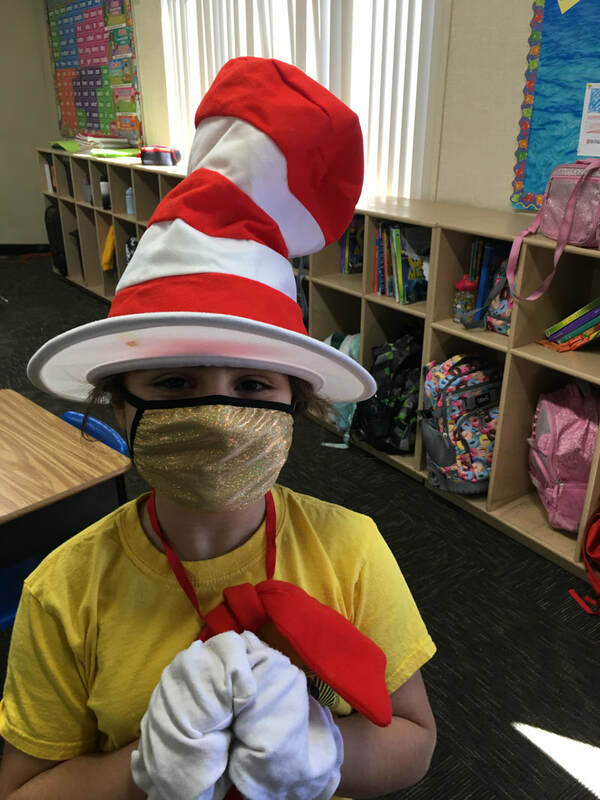 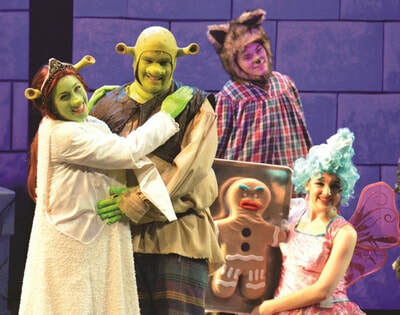 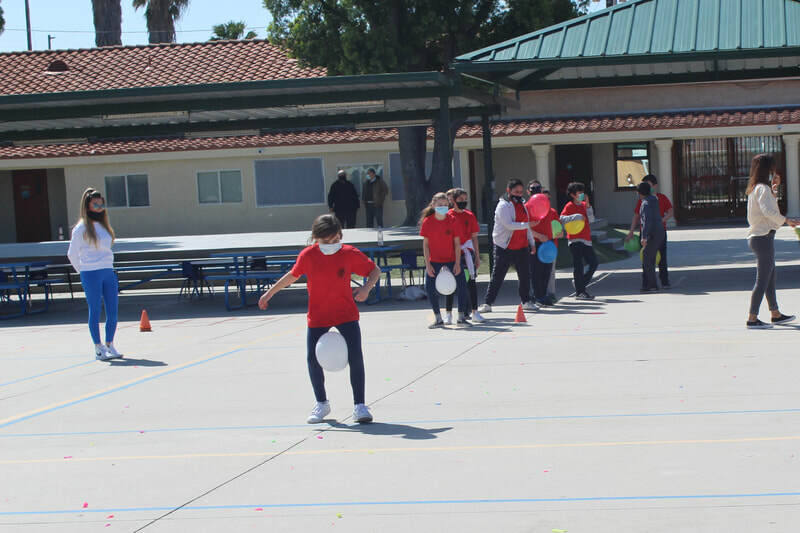 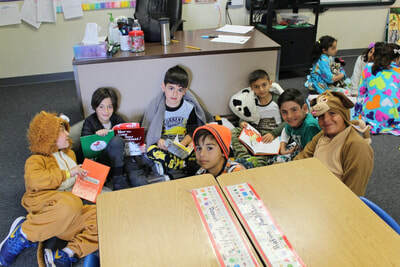 In Celebration of Dr. Seuss's Birthday, the Cabayan Elementary students continued in his 'wacky" footsteps and made green eggs and ham. 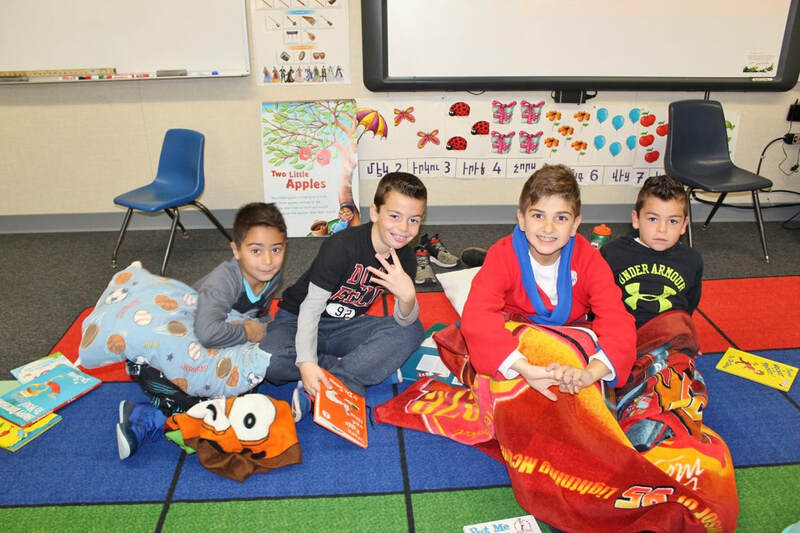 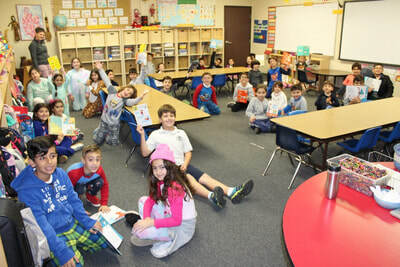 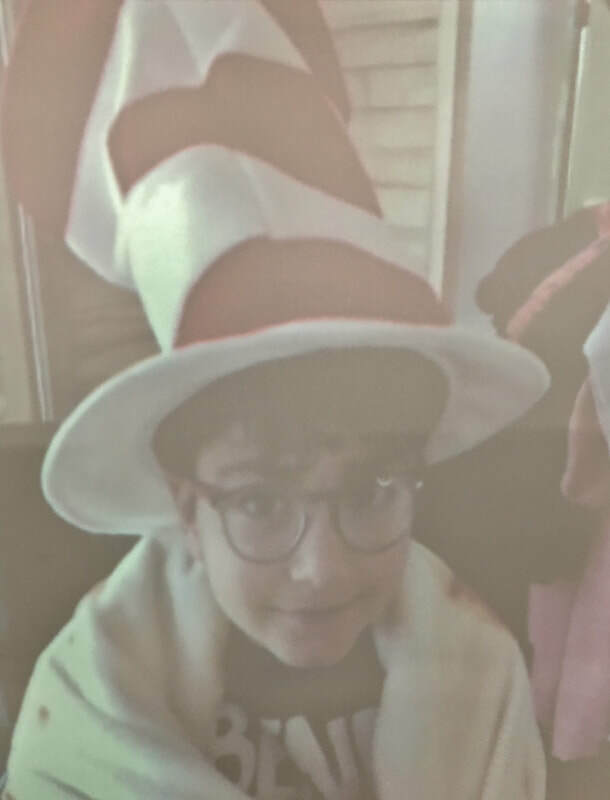 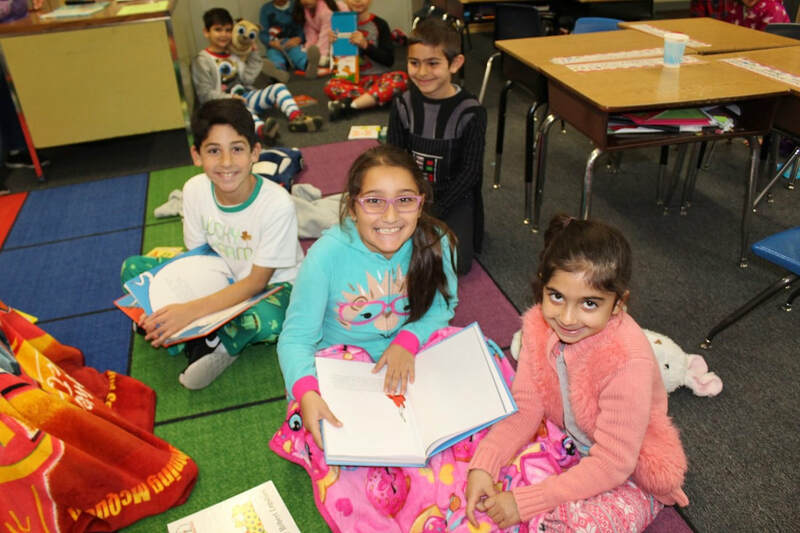 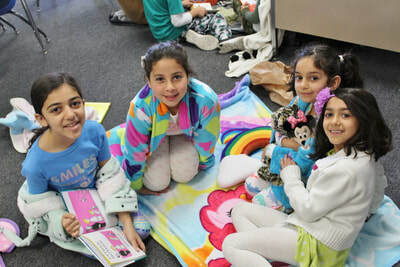 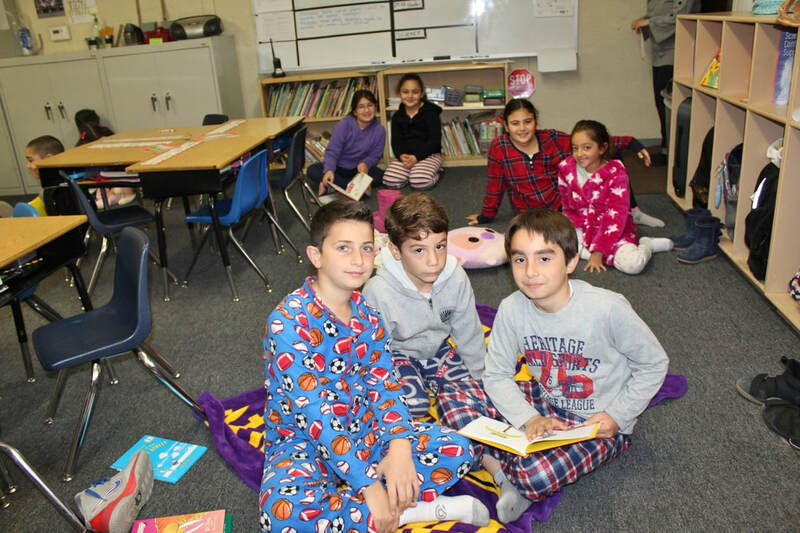 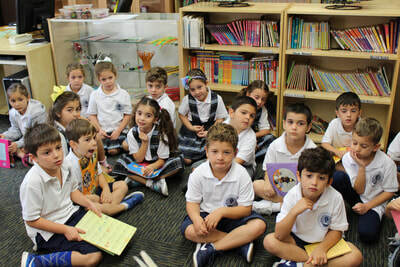 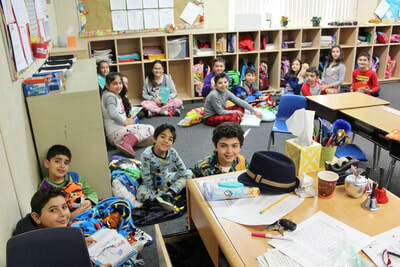 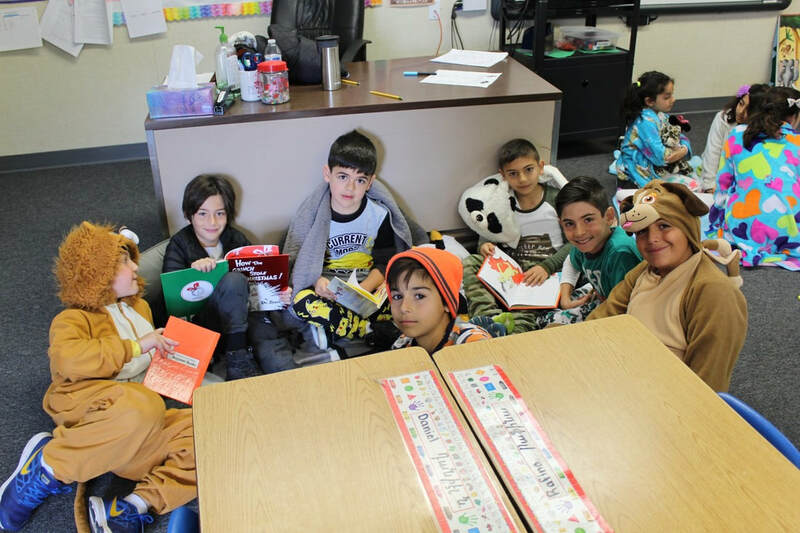 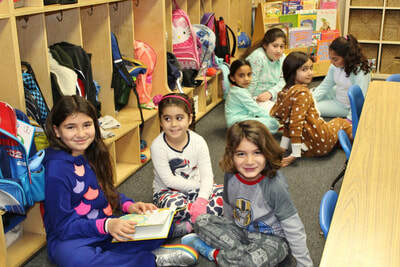 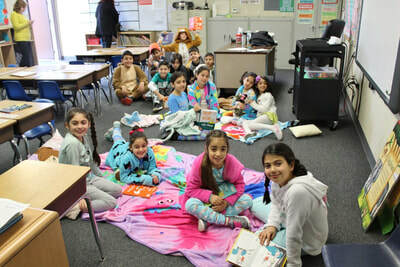 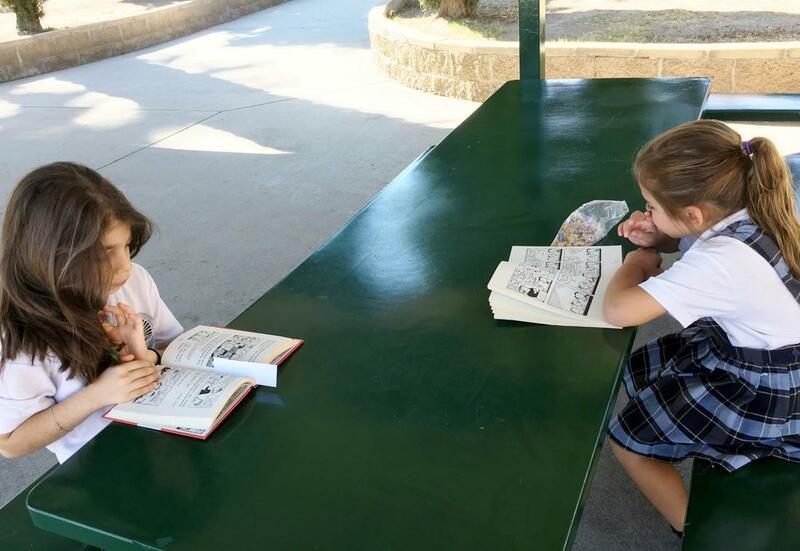 The upper elementary students spent the morning peer reading Dr. Seuss books with the primary grades. 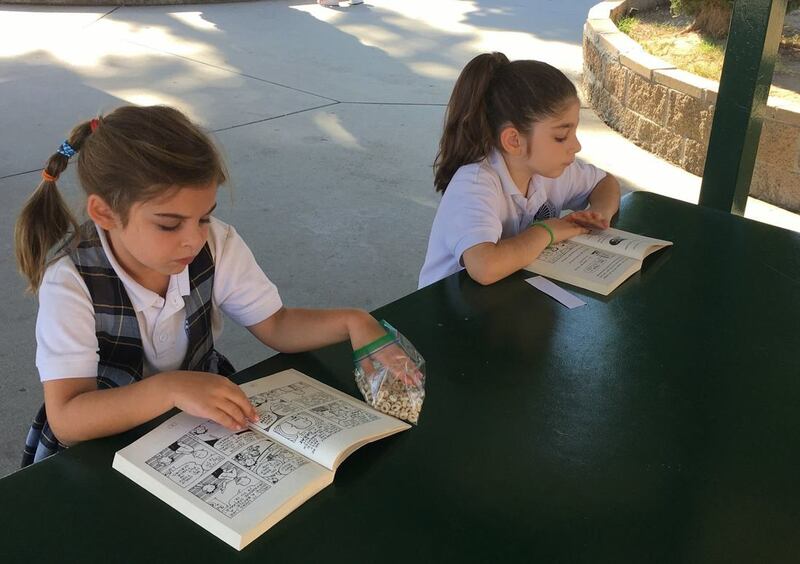 As Dr. Seuss says, "The more that you read the more things you will know. 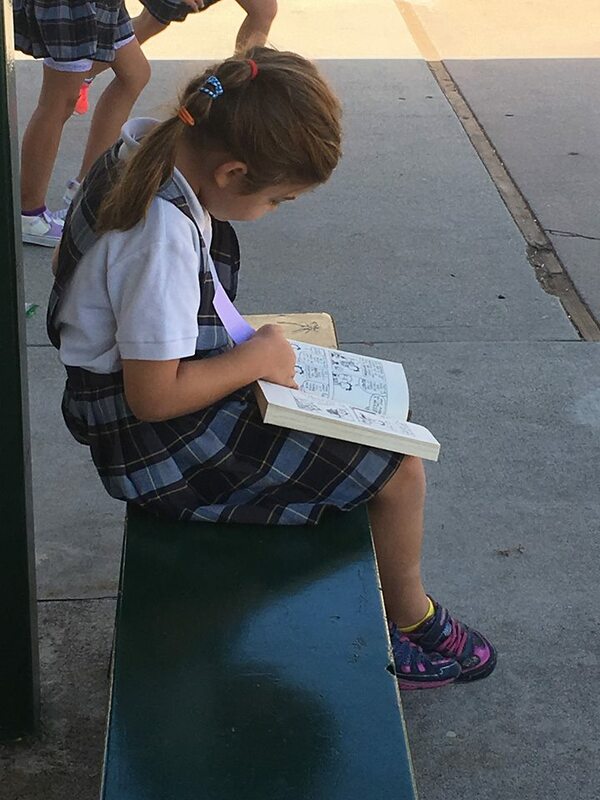 The more that you learn. The more places you'll go." 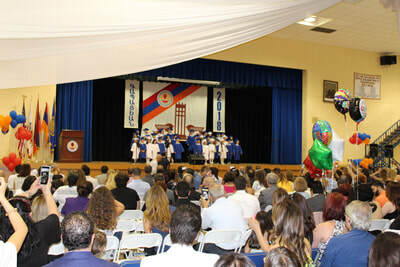 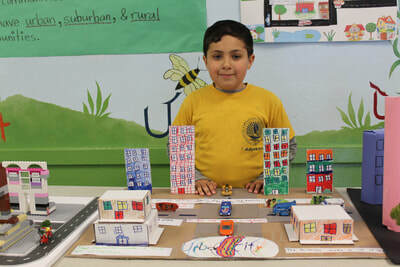 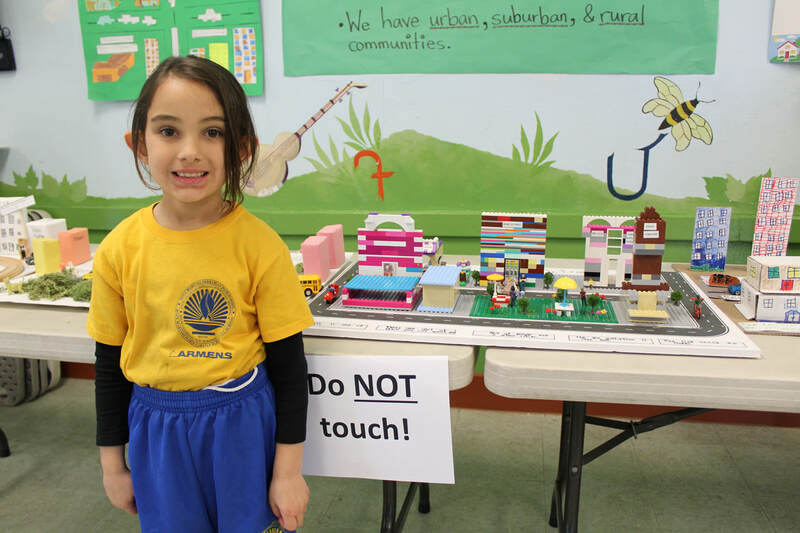 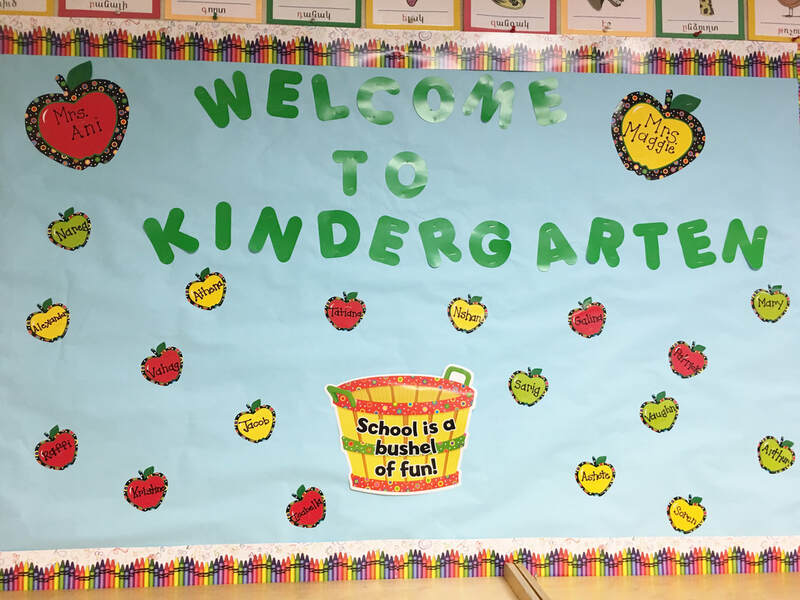 We can't wait to see what amazing places our students will go! 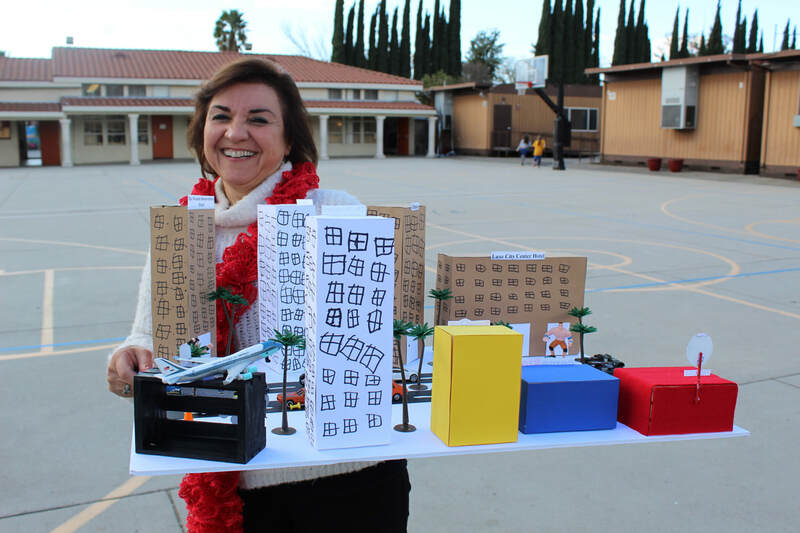 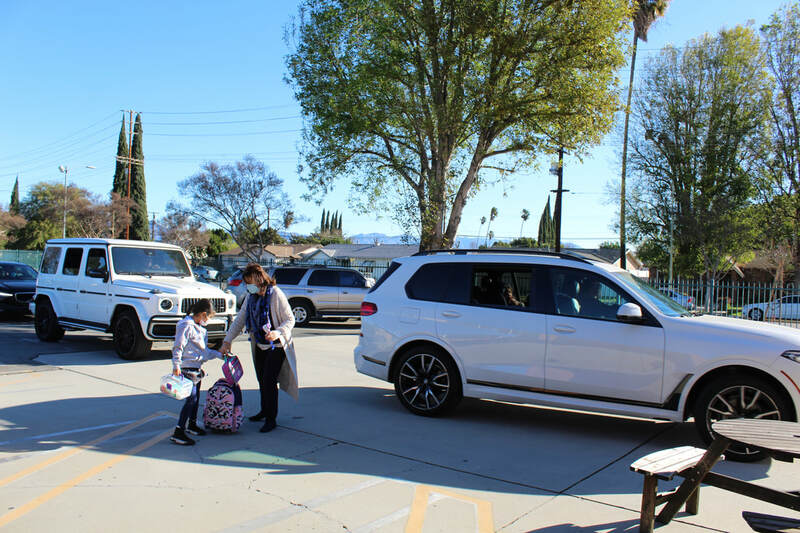 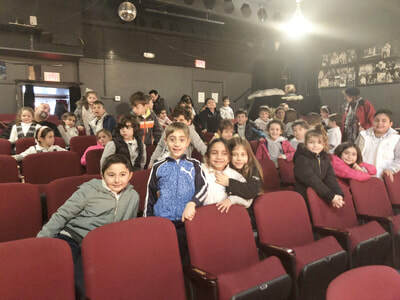 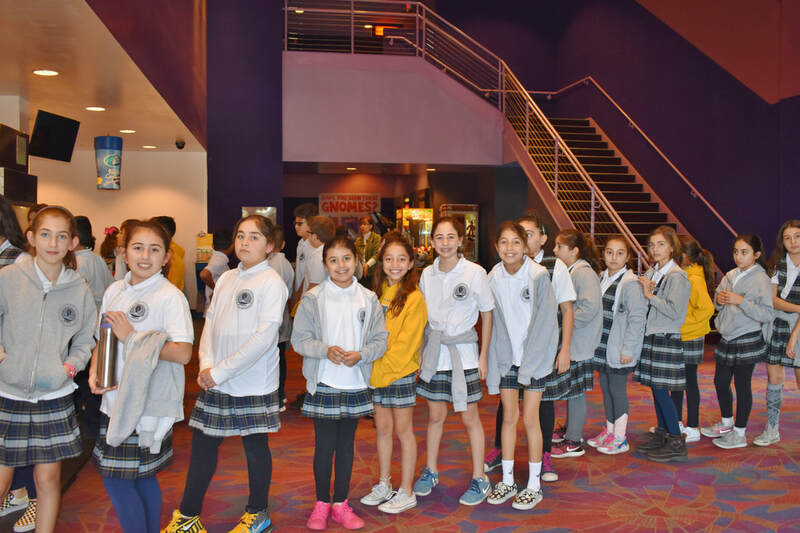 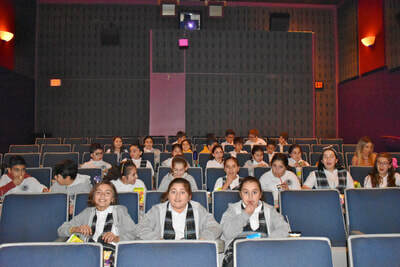 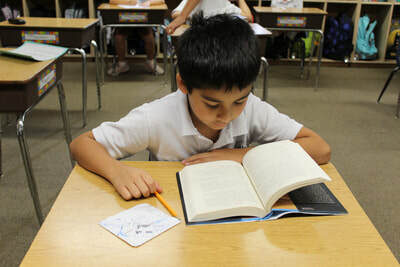 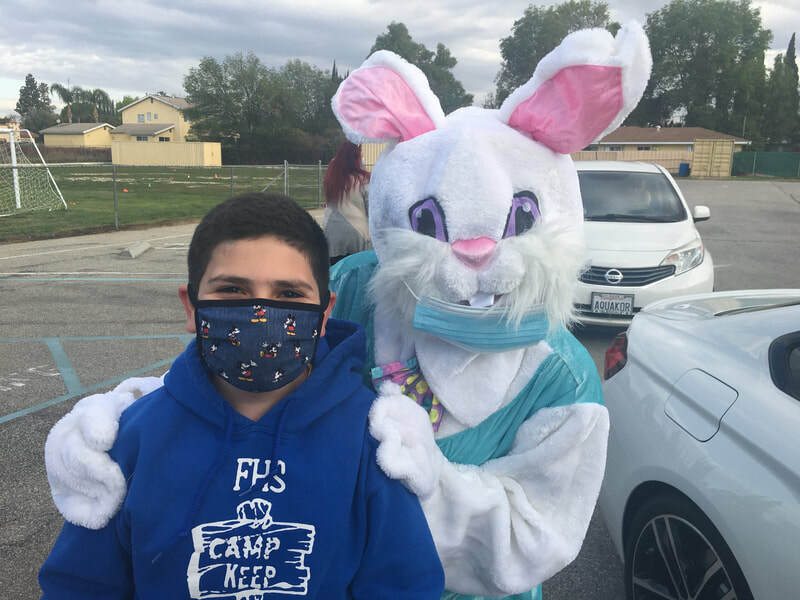 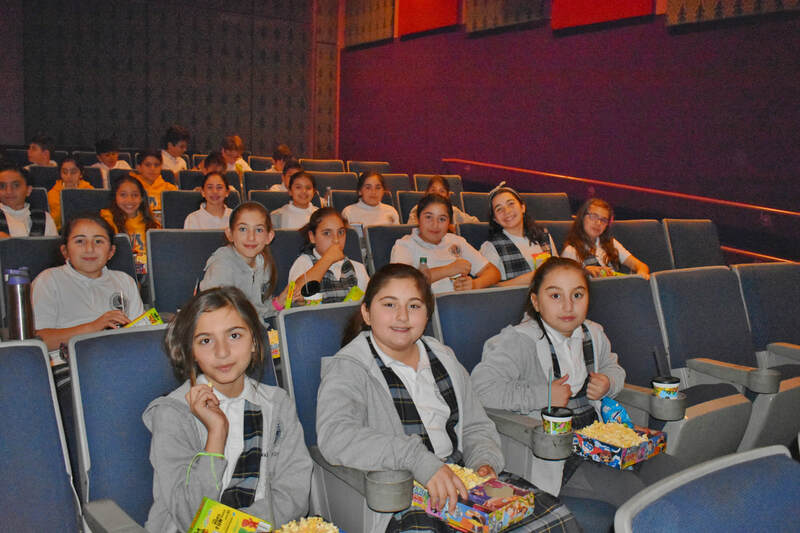 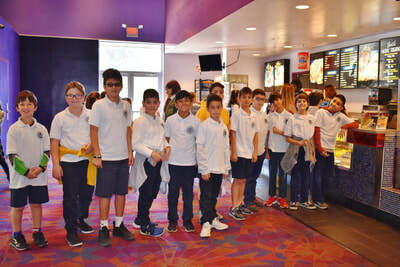 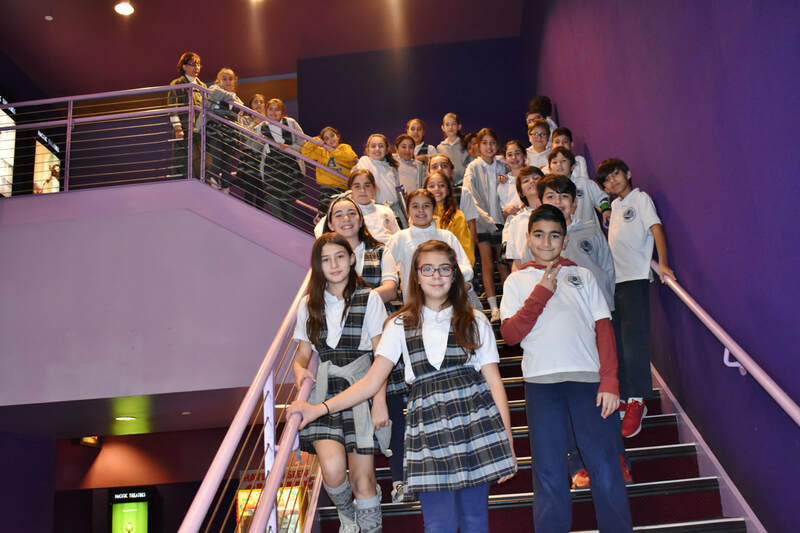 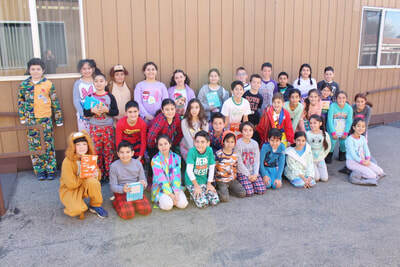 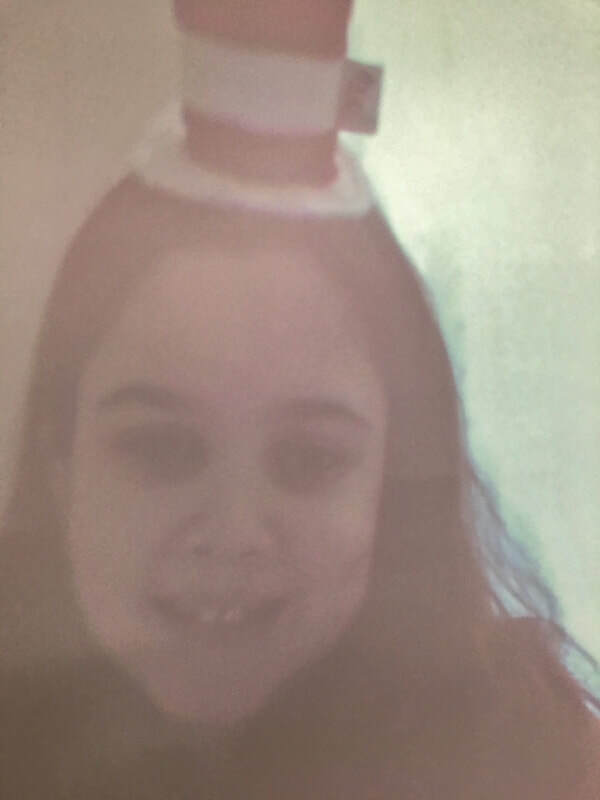 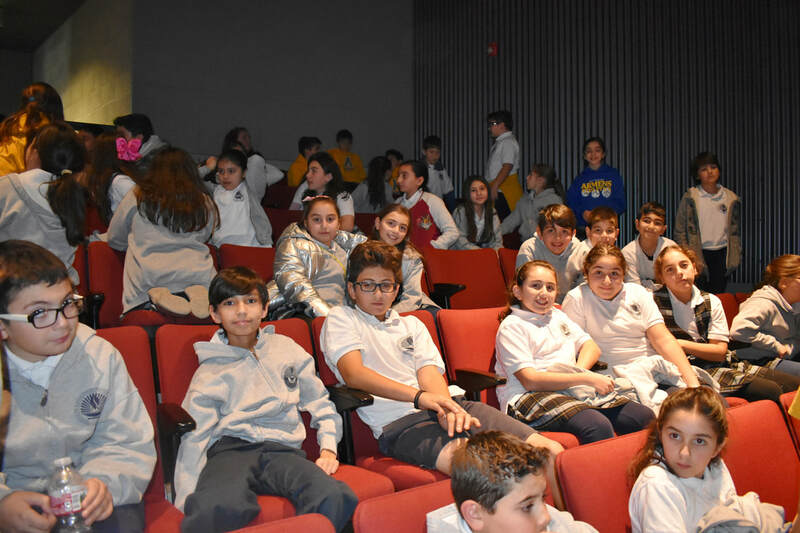 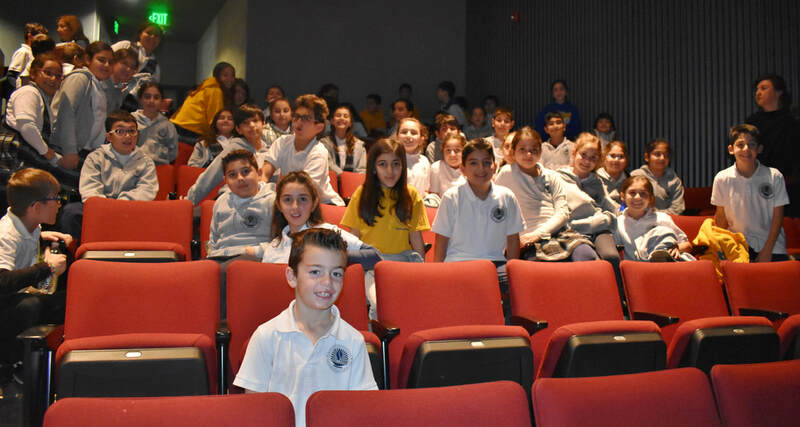 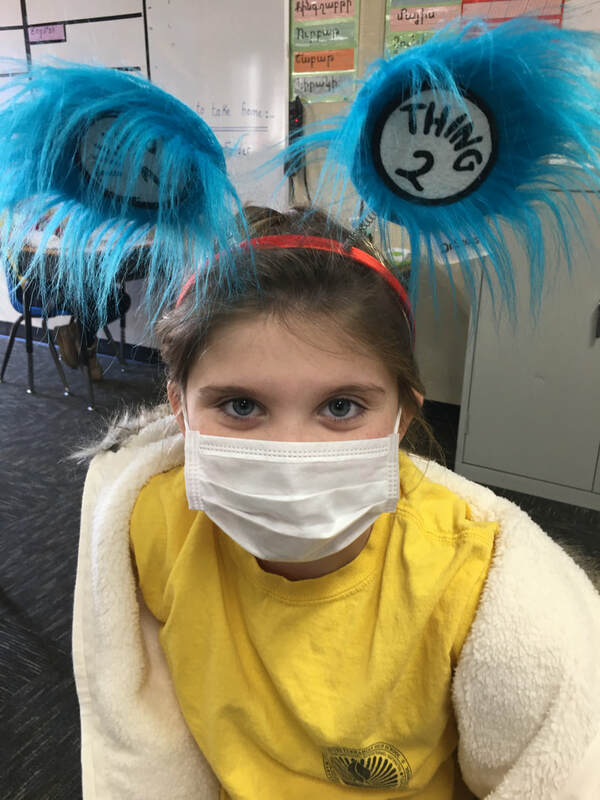 After successfully reading the novel, Wonder by R.J. Palacio, the fifth grade students had the opportunity to see the book come to life at the movies. 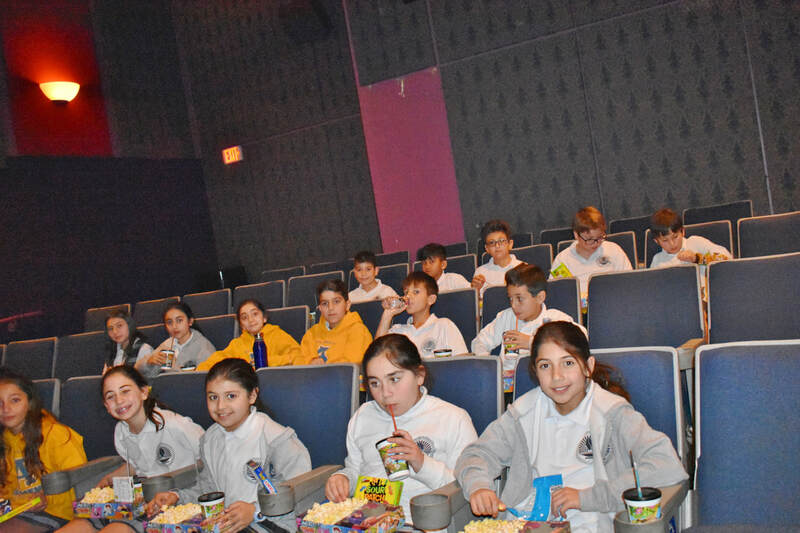 Watching the movie after reading the book allowed the students to think critically about how each medium presented roughly the same information in different ways. 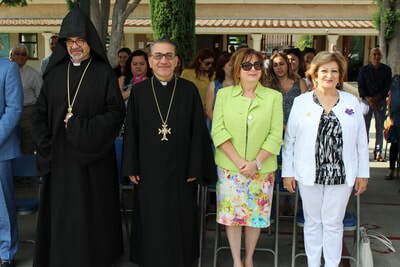 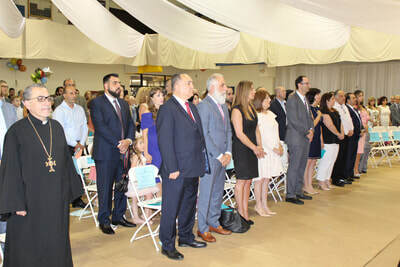 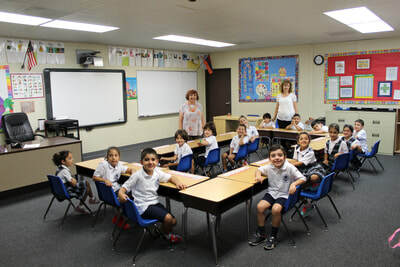 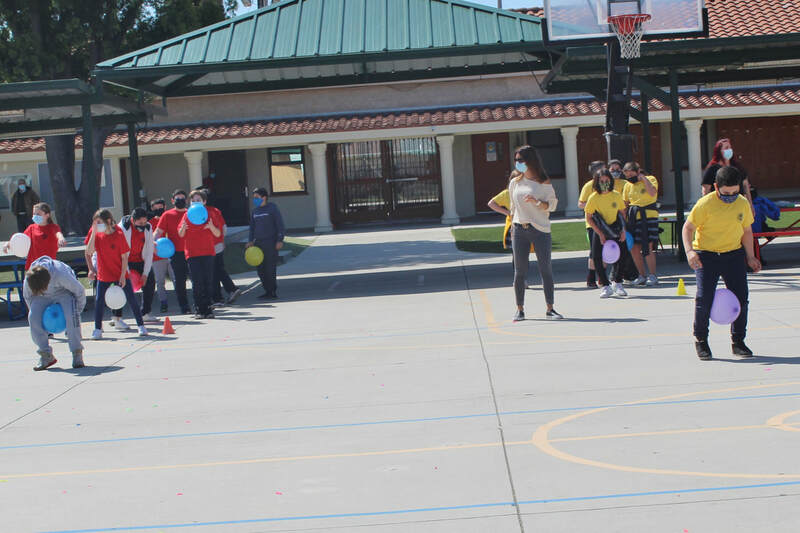 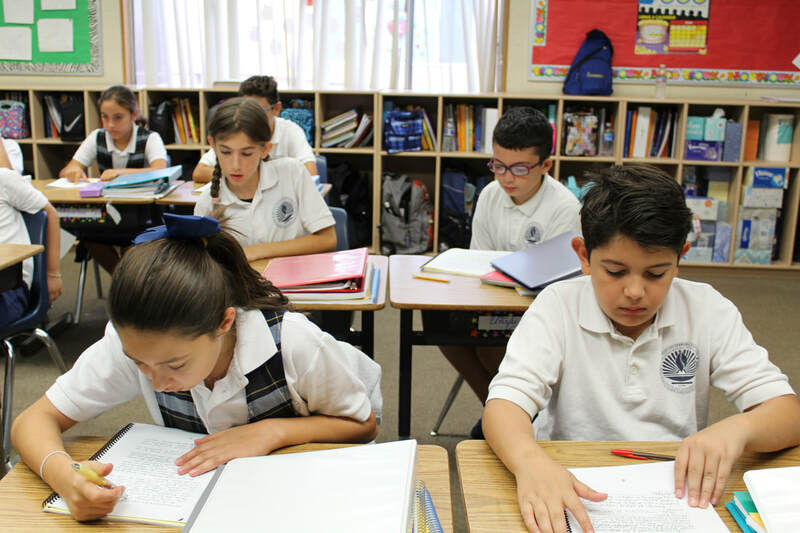 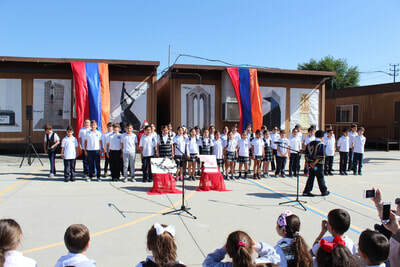 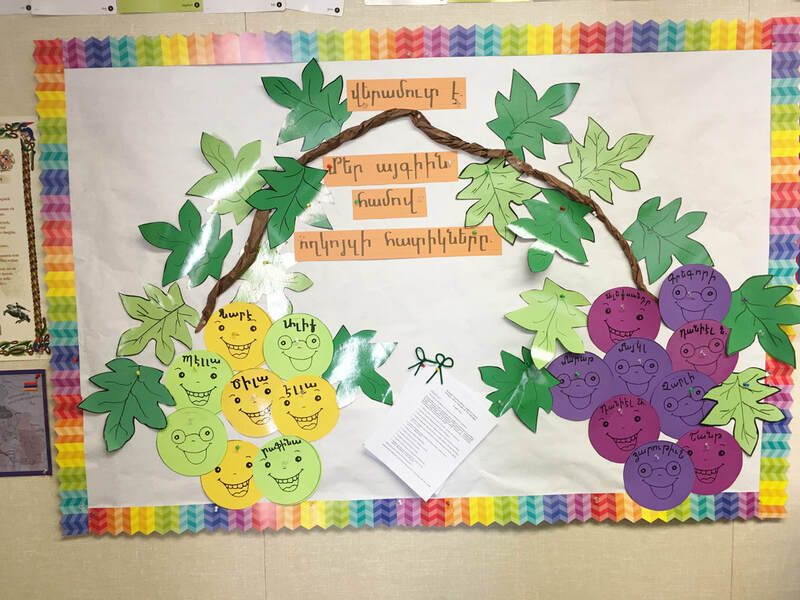 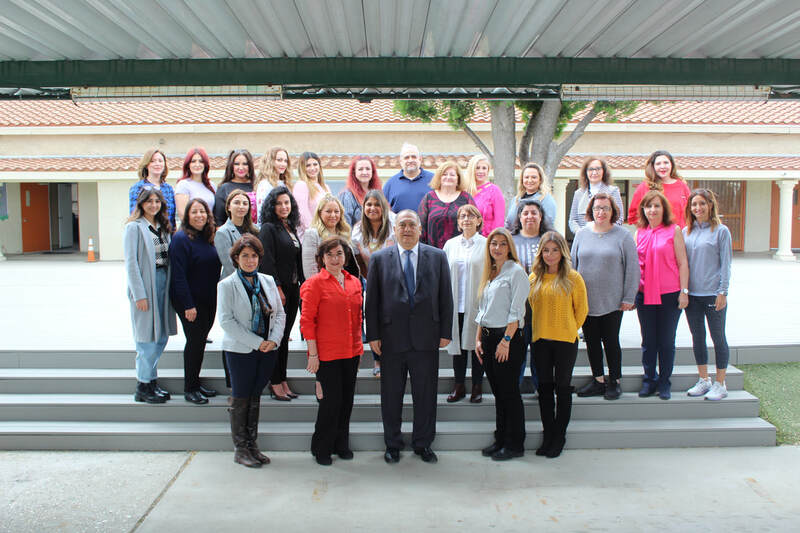 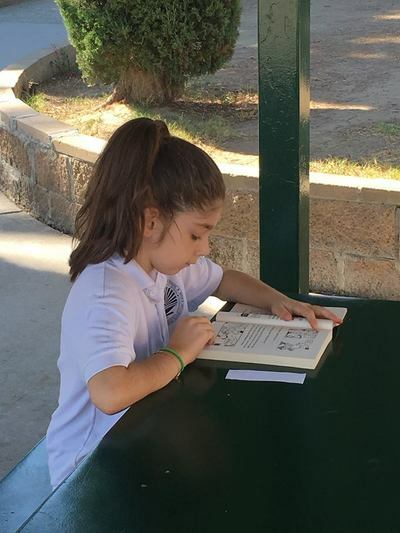 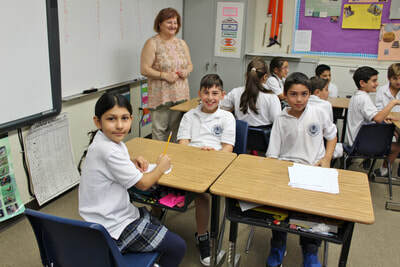 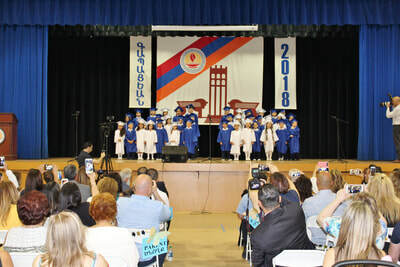 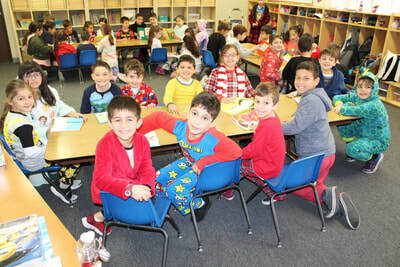 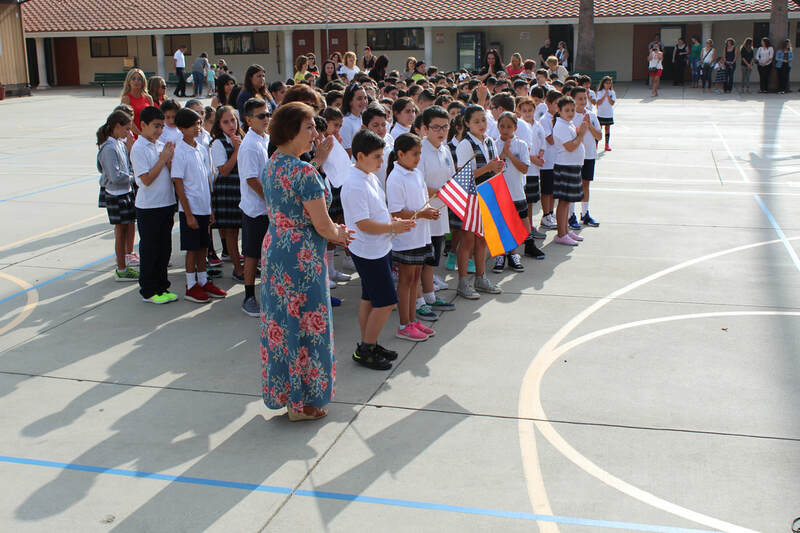 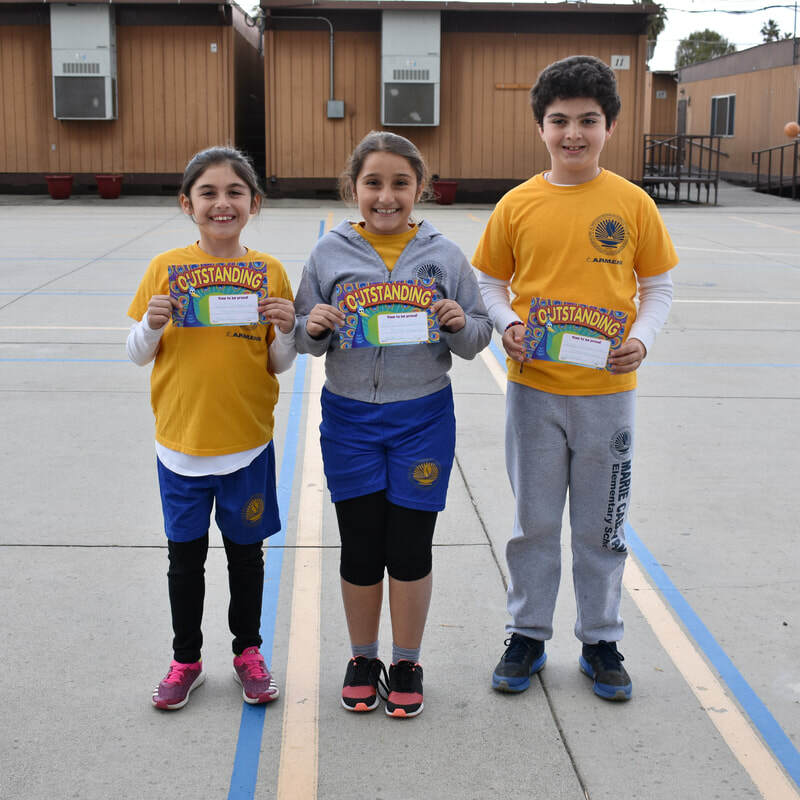 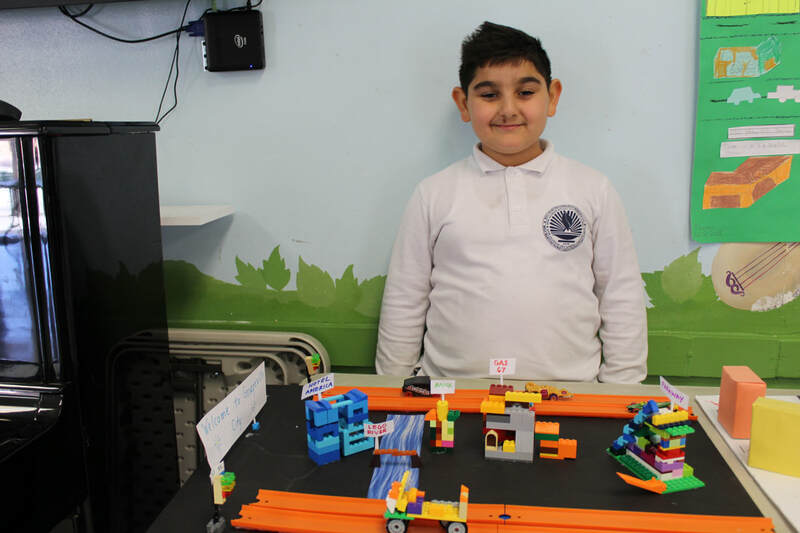 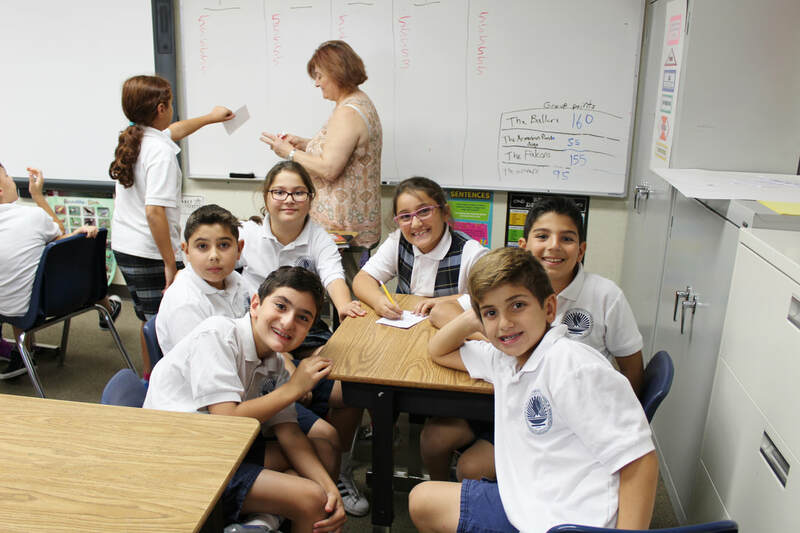 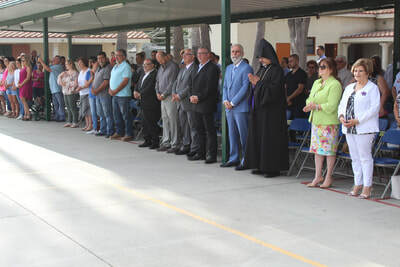 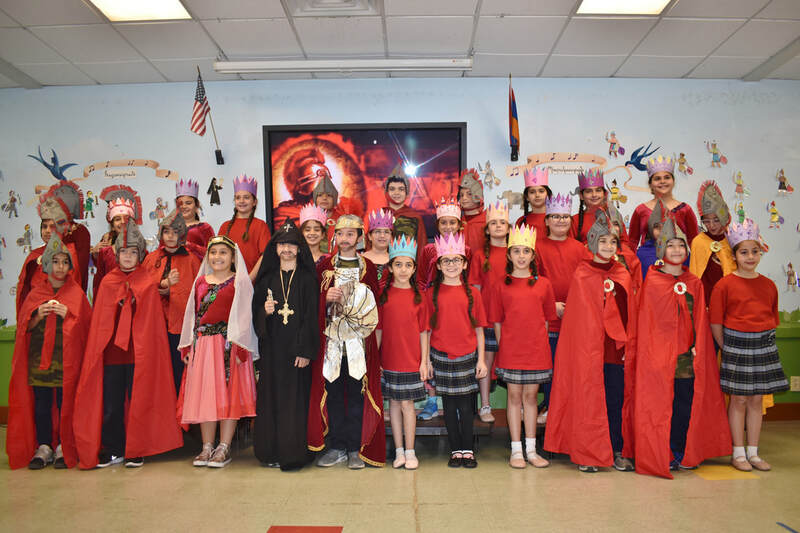 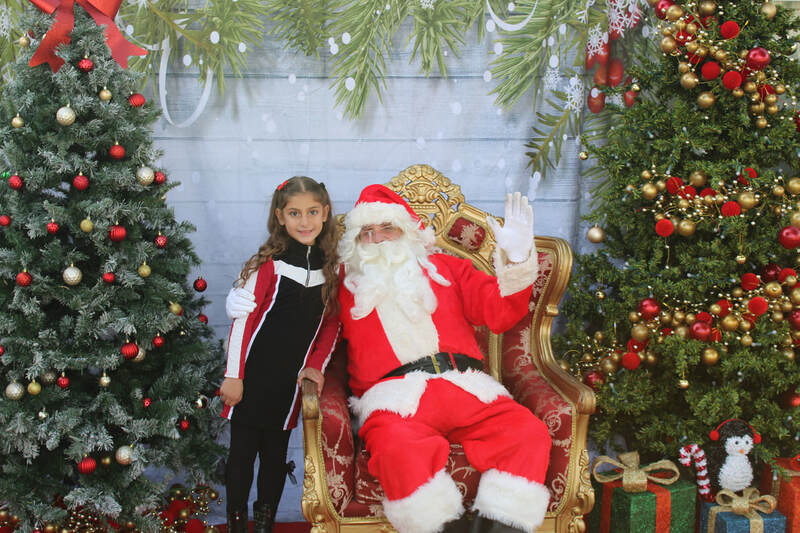 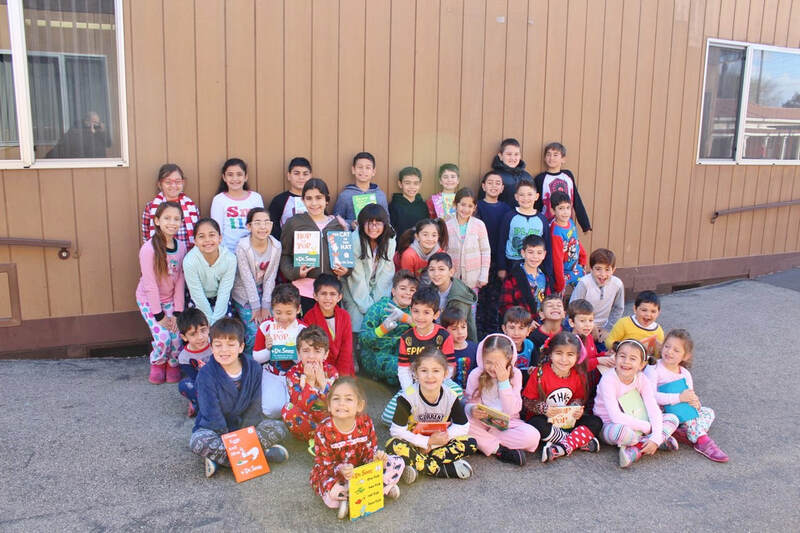 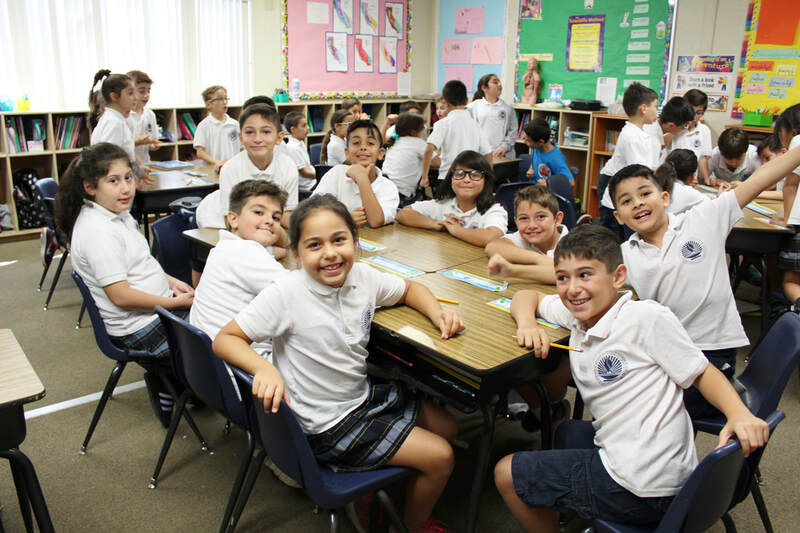 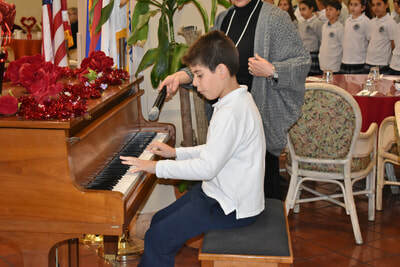 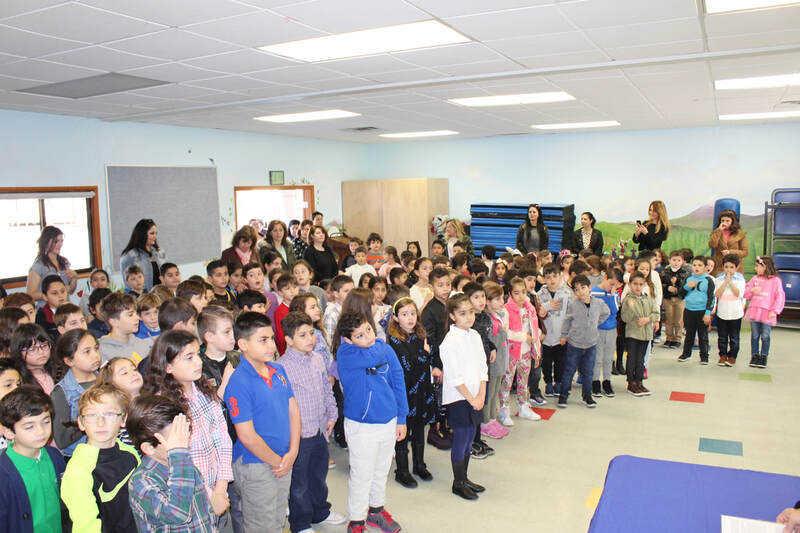 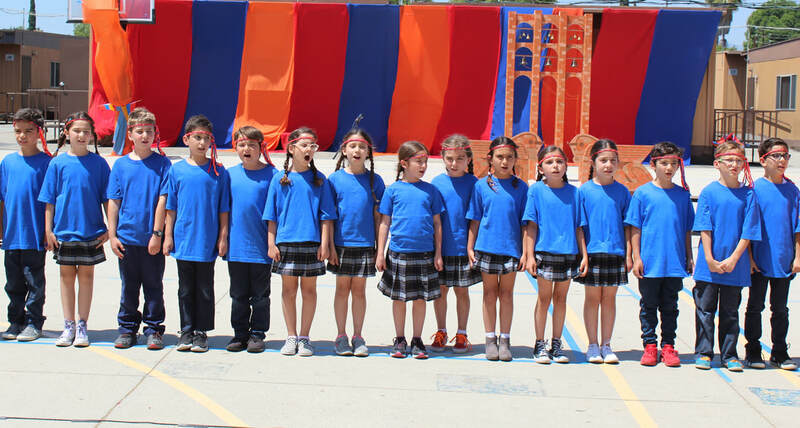 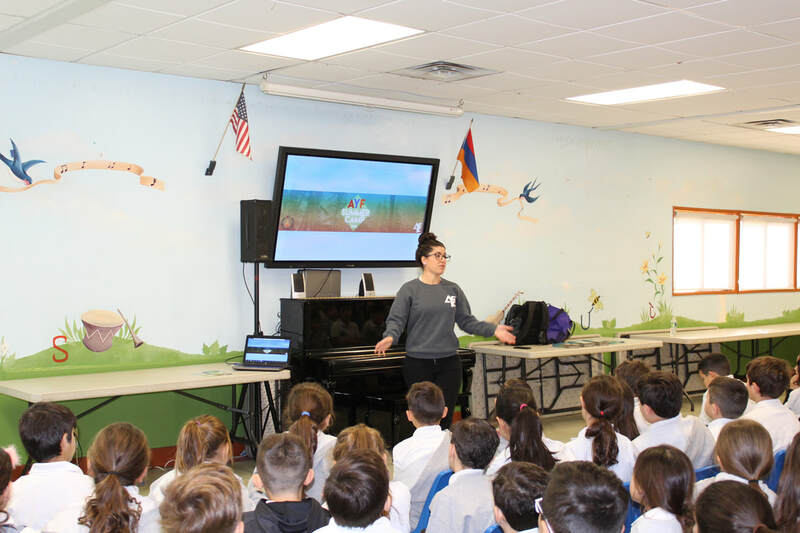 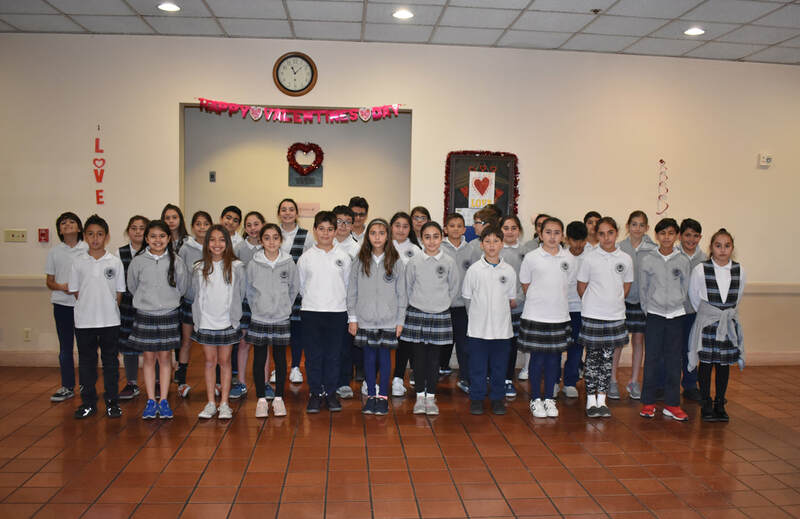 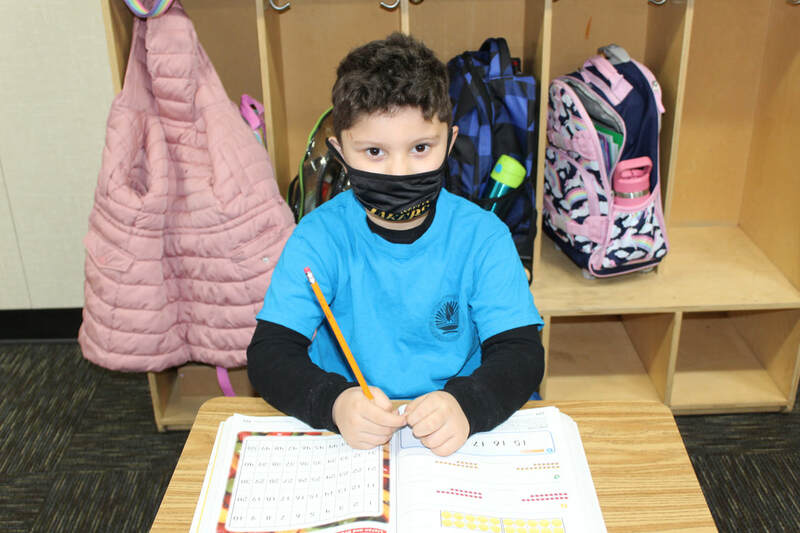 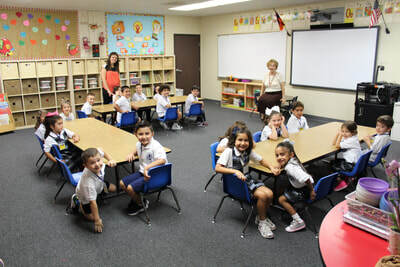 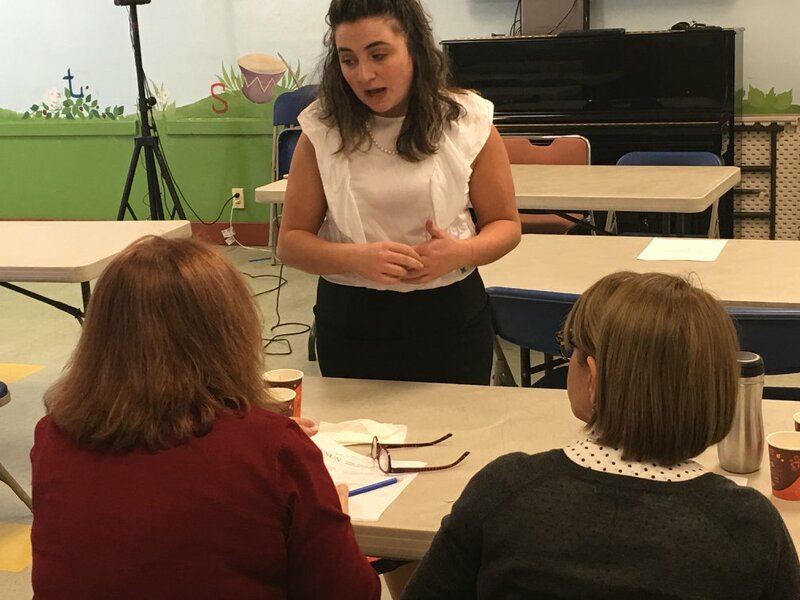 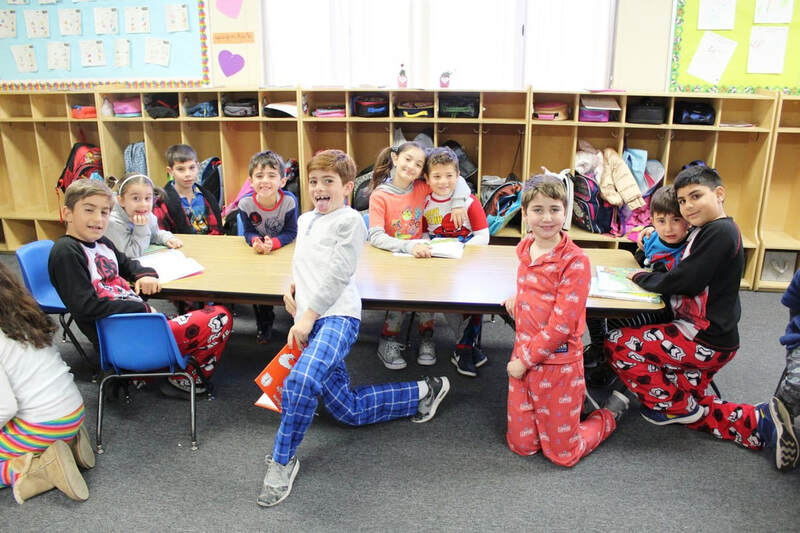 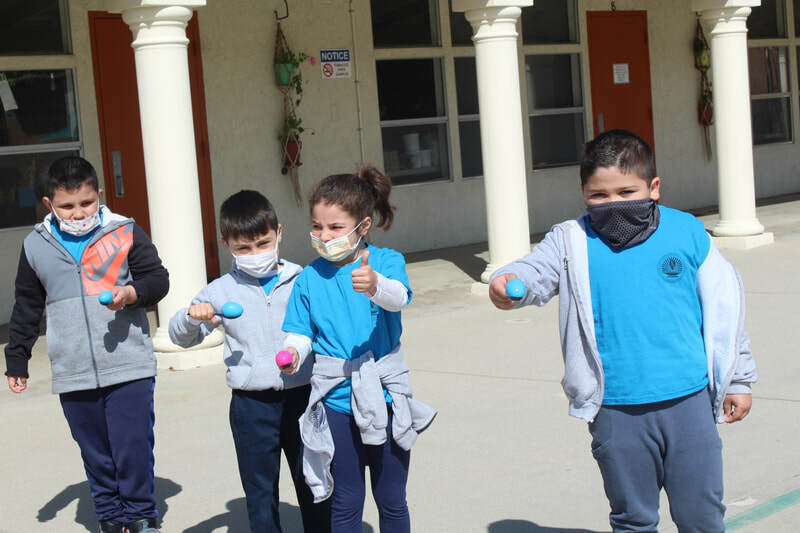 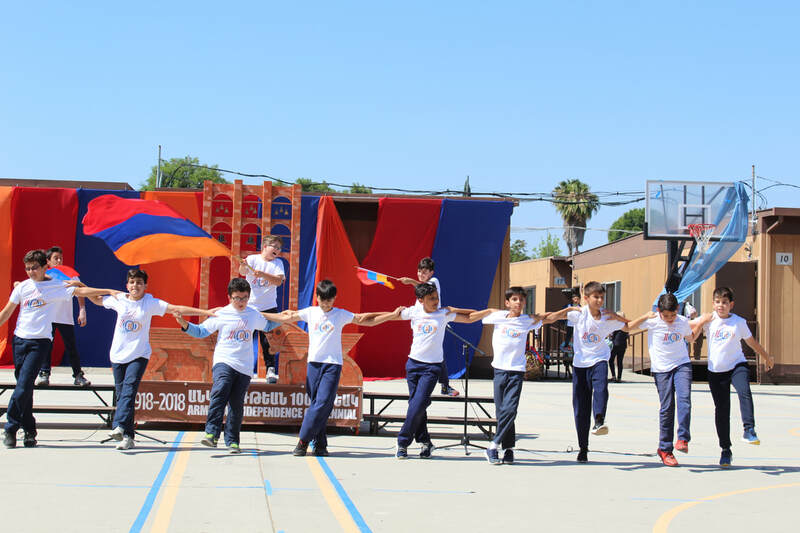 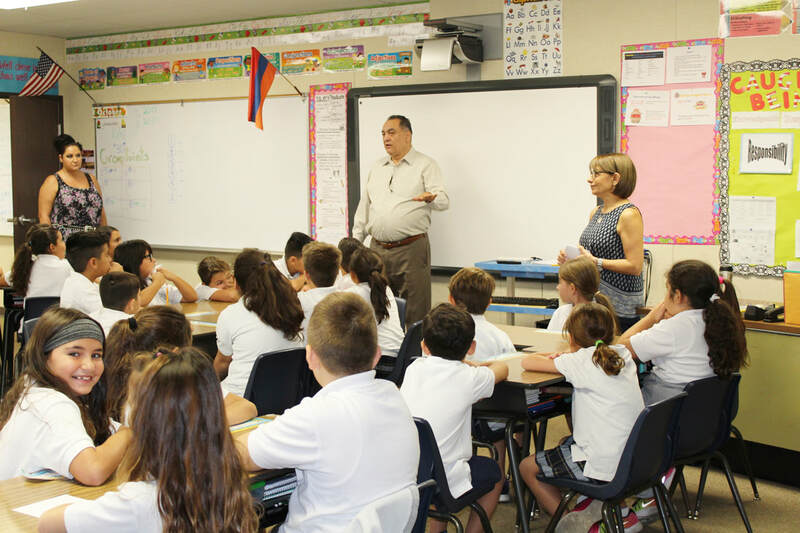 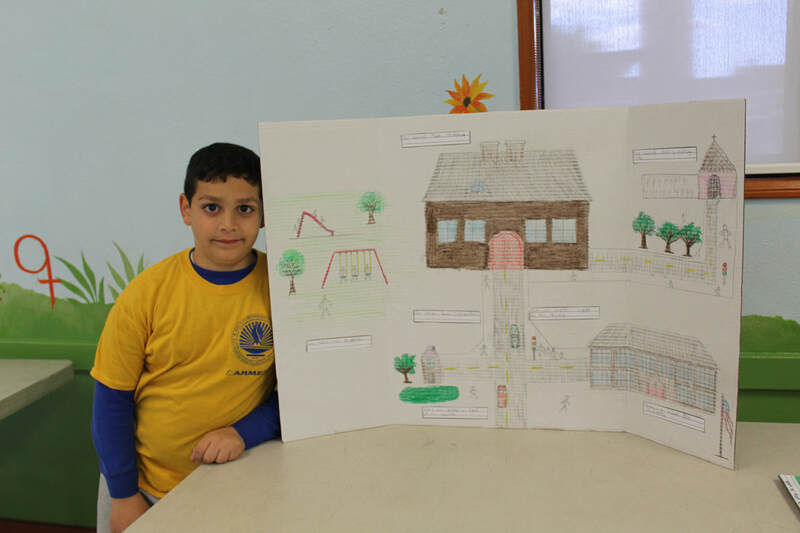 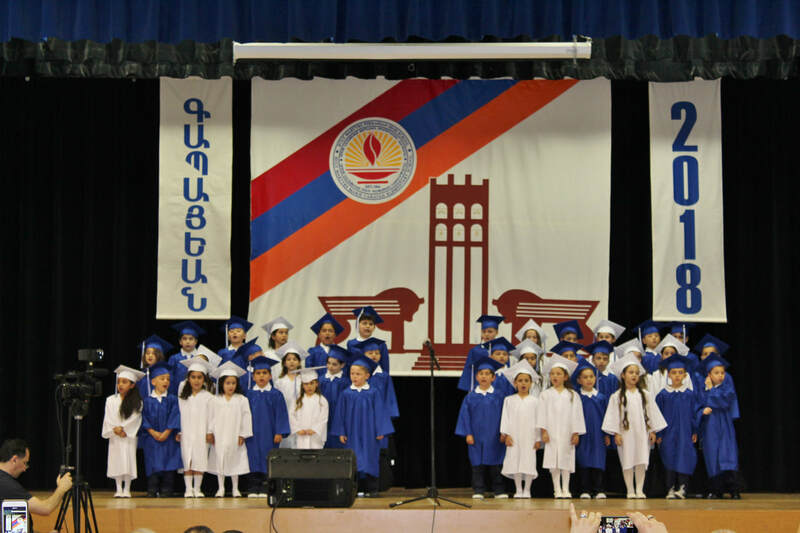 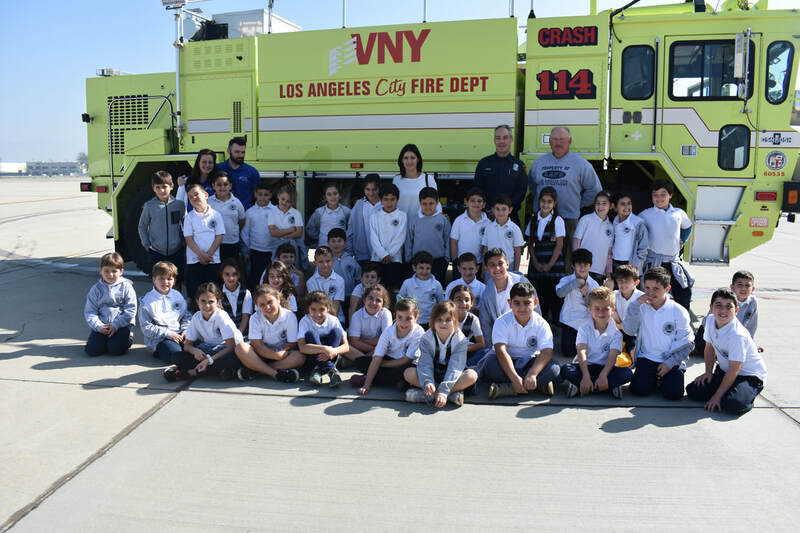 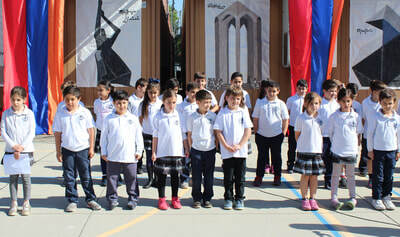 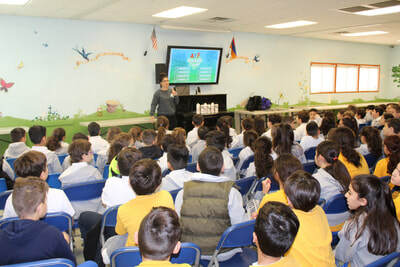 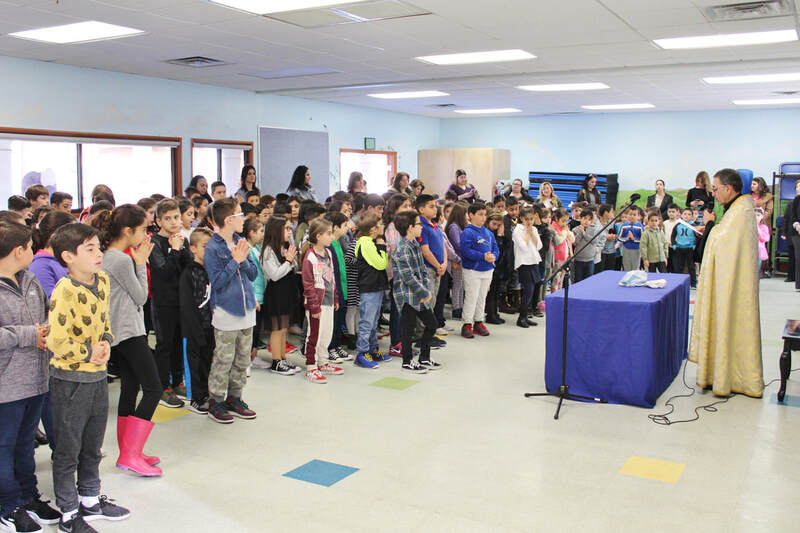 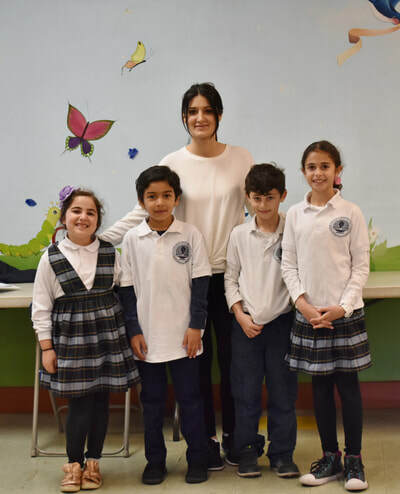 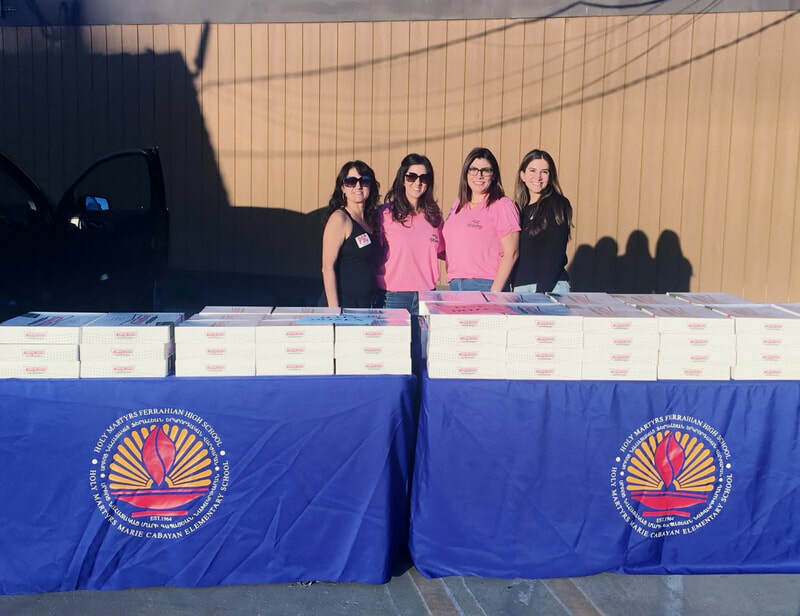 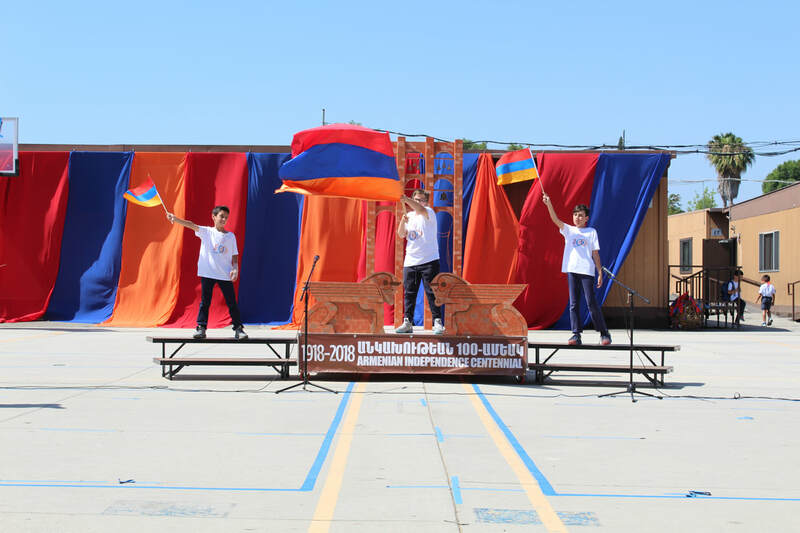 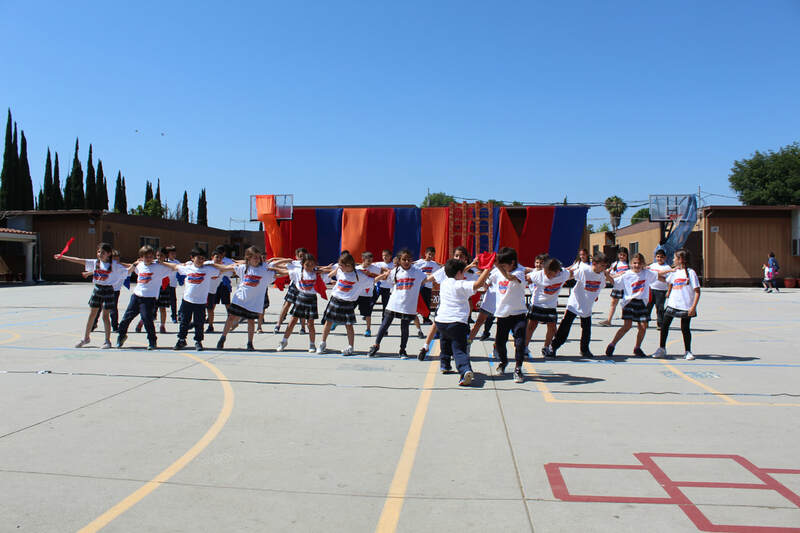 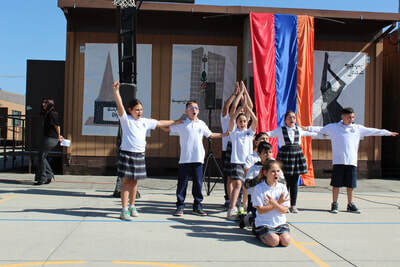 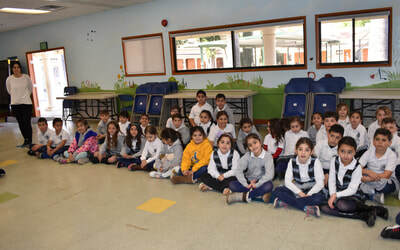 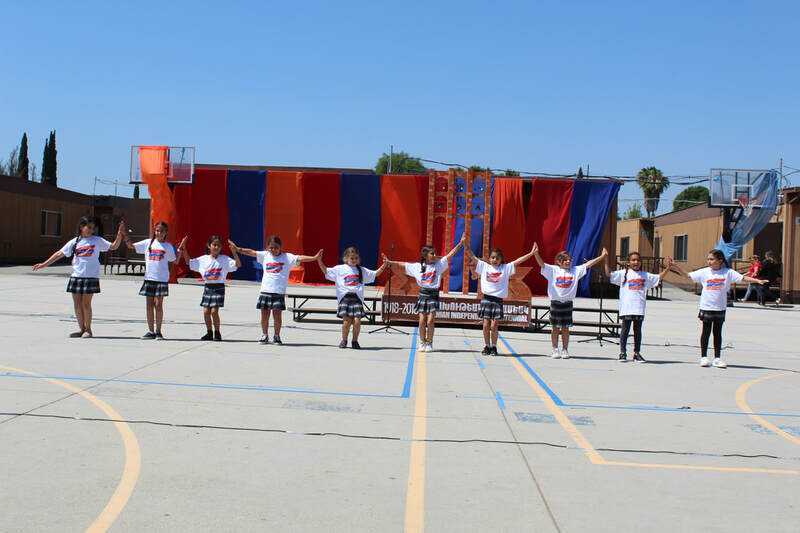 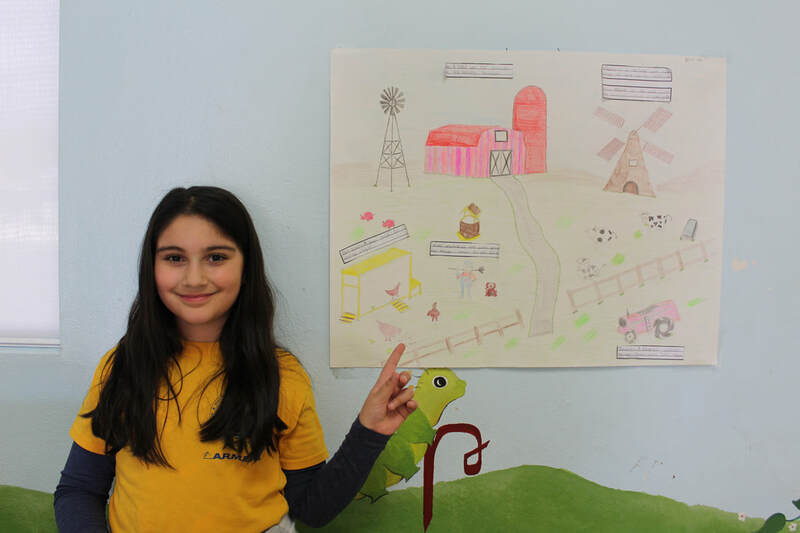 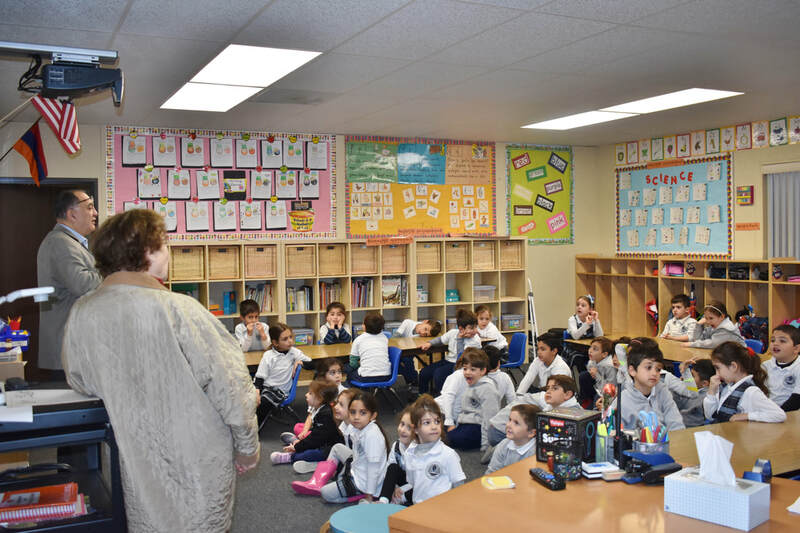 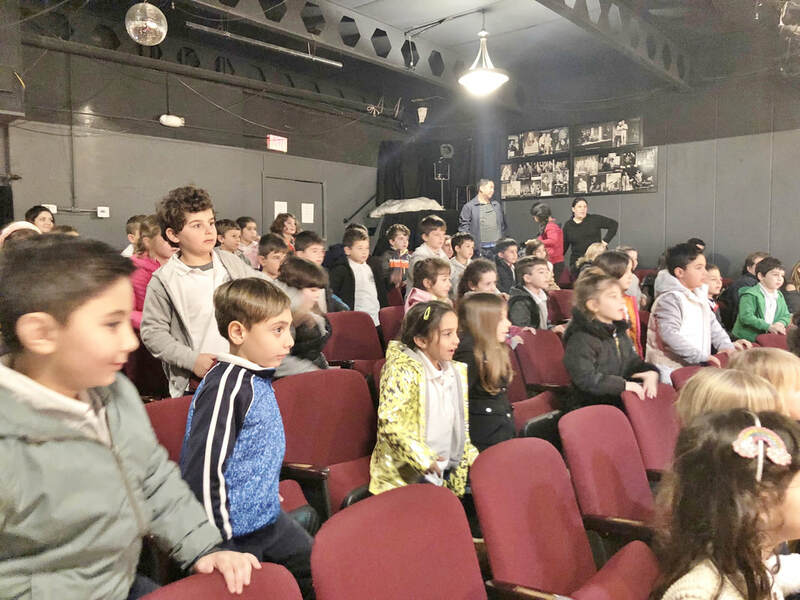 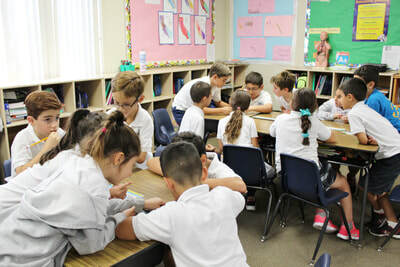 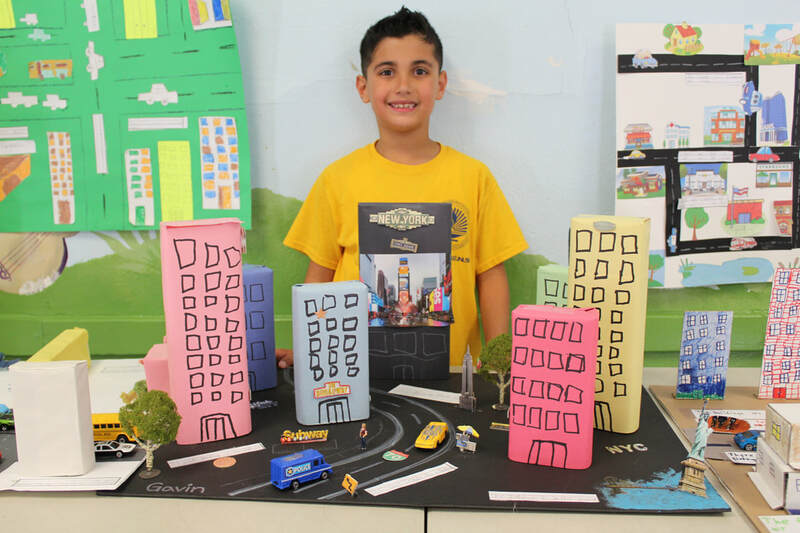 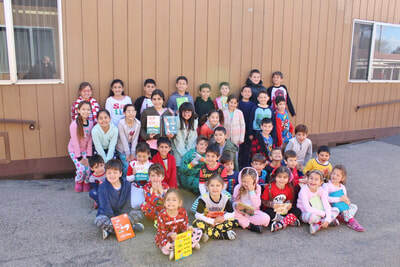 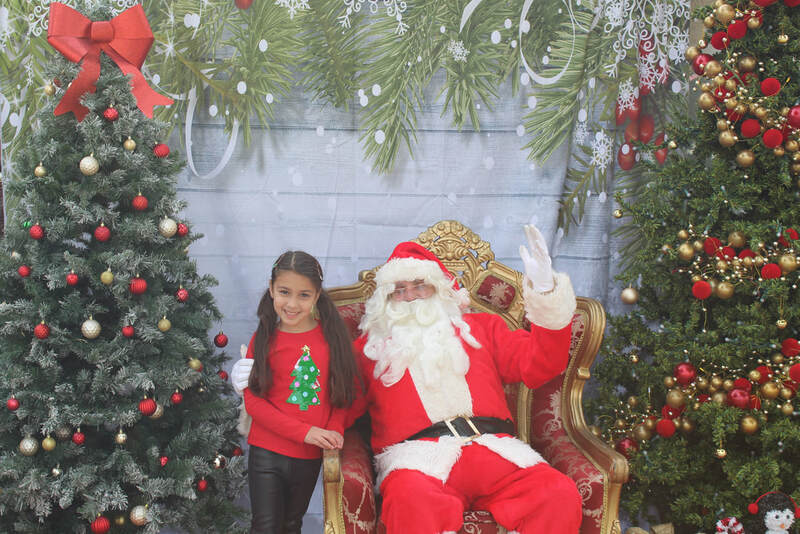 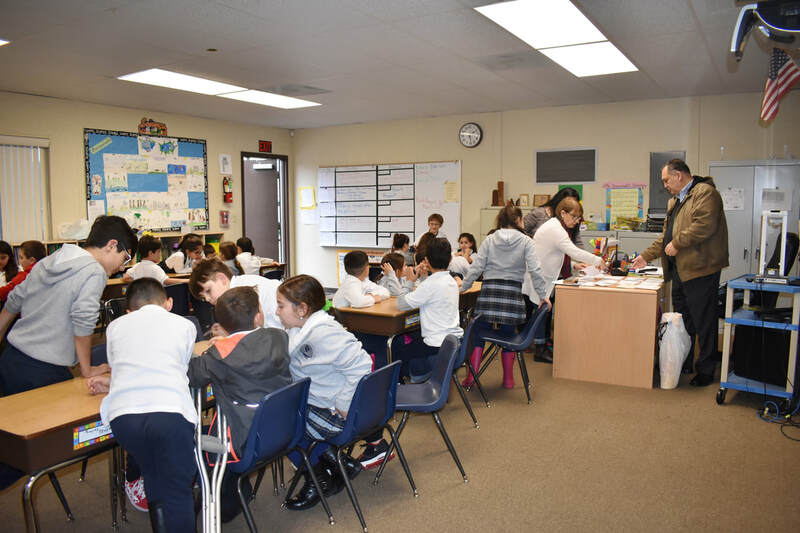 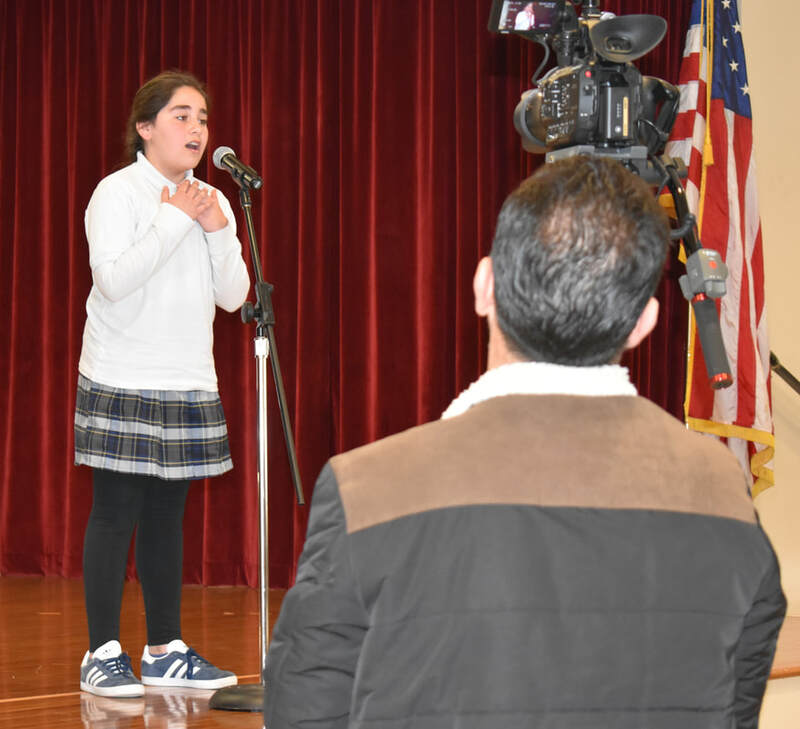 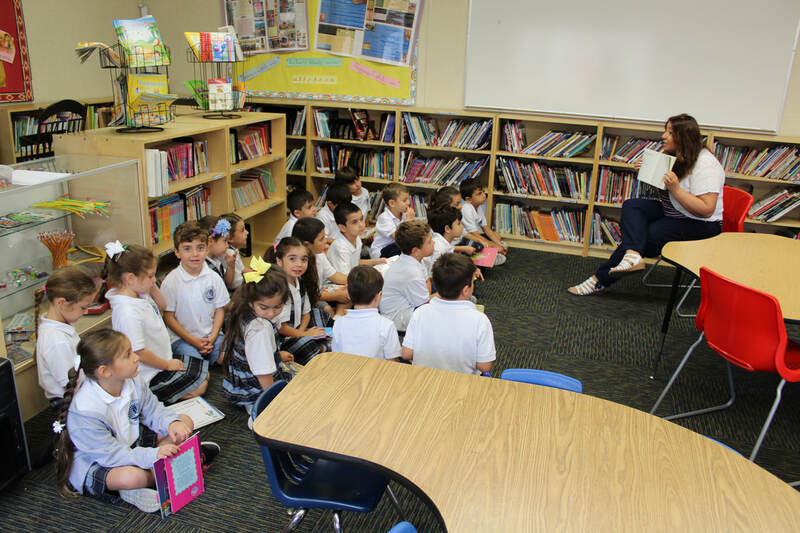 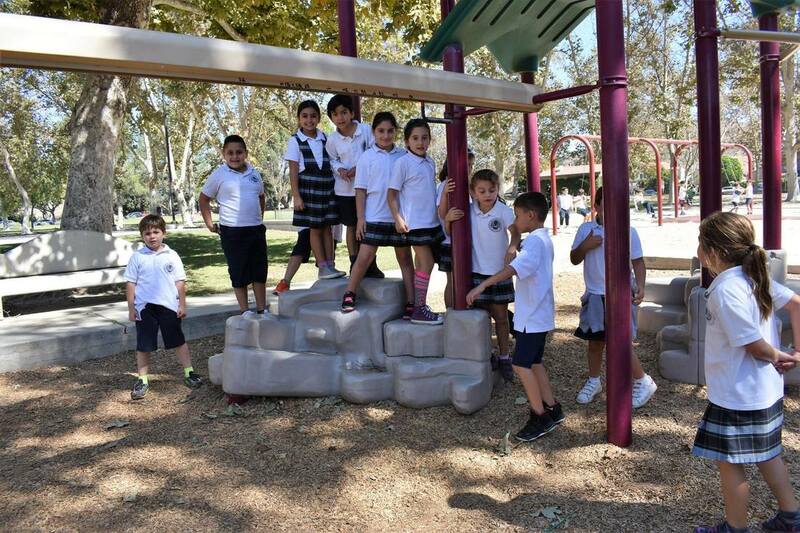 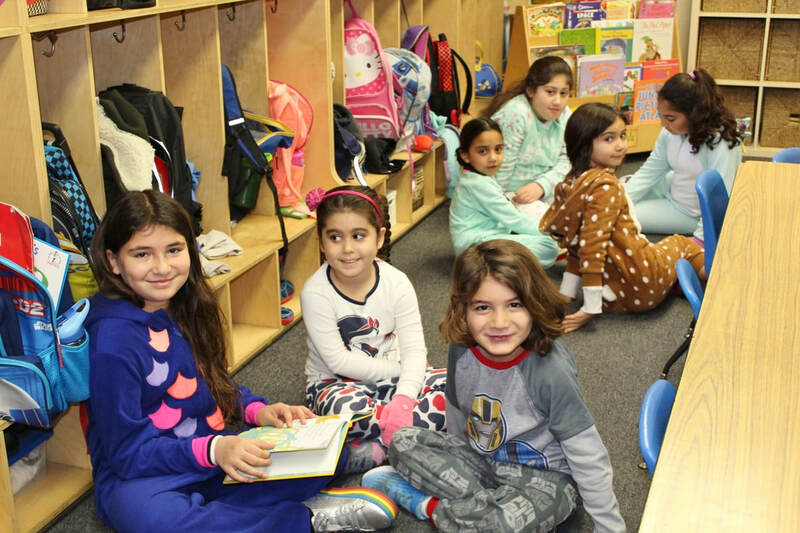 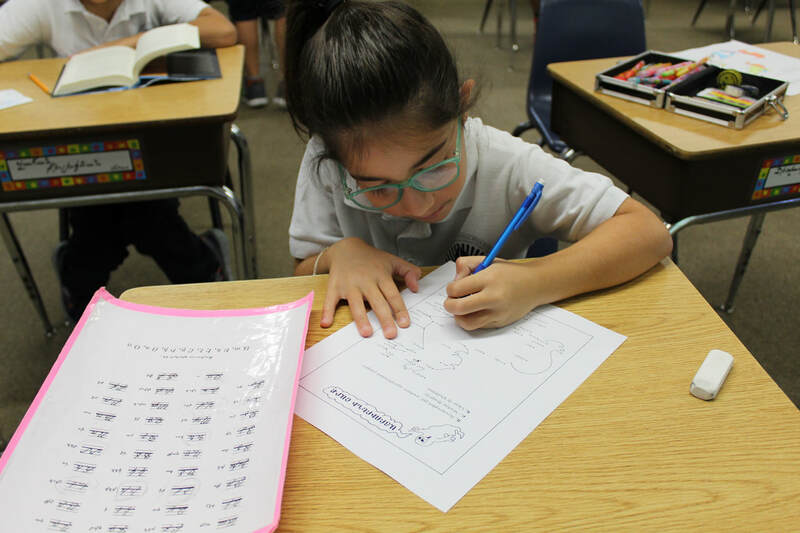 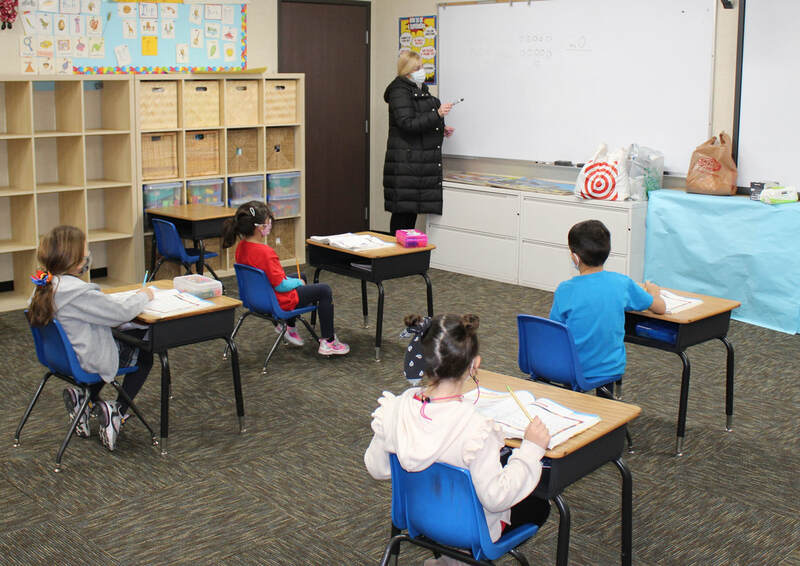 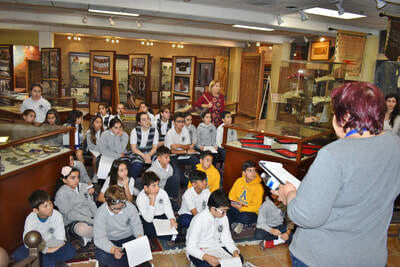 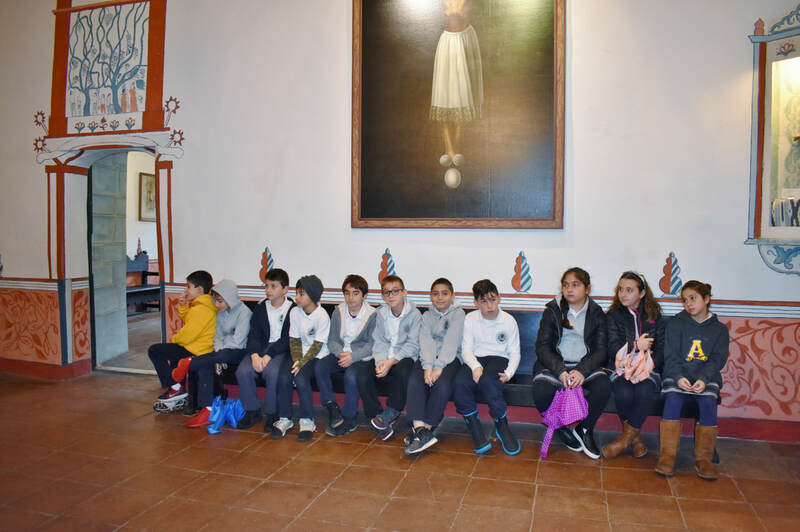 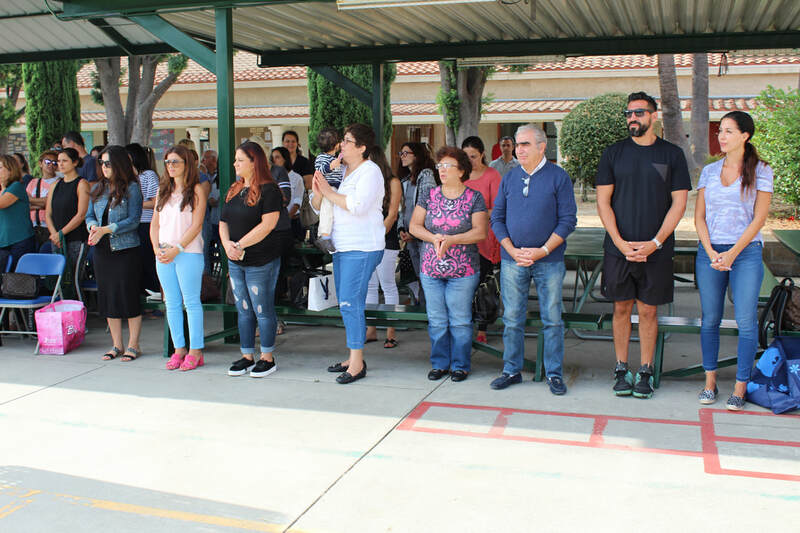 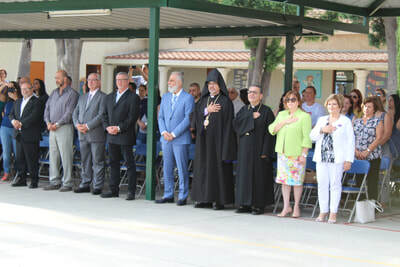 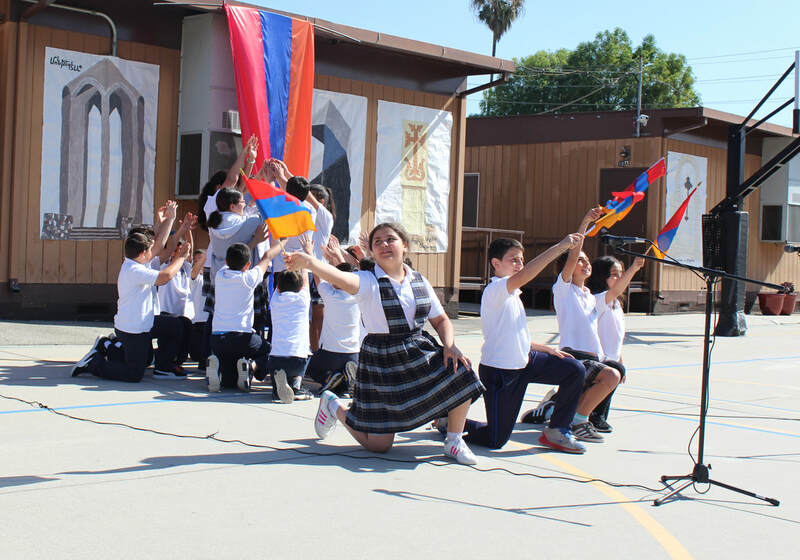 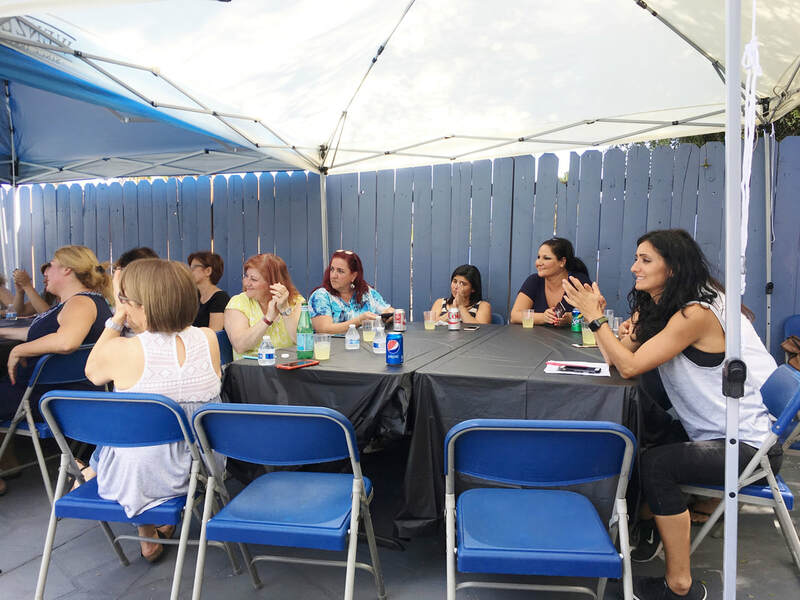 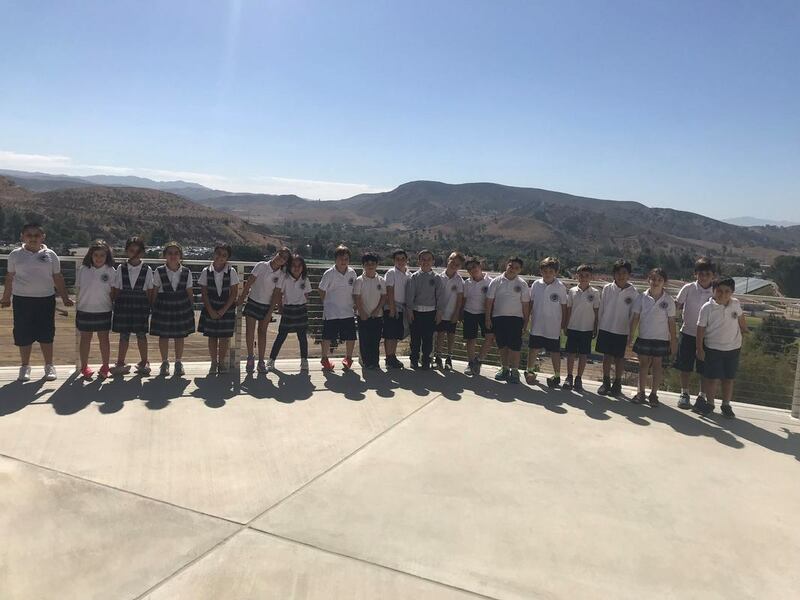 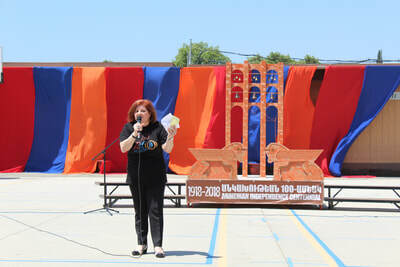 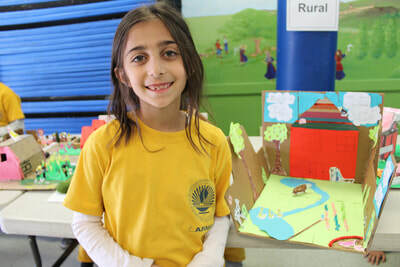 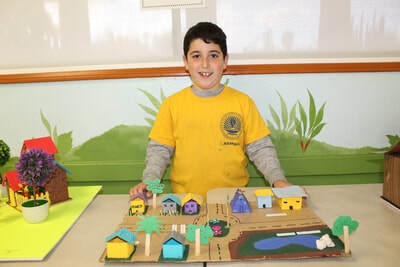 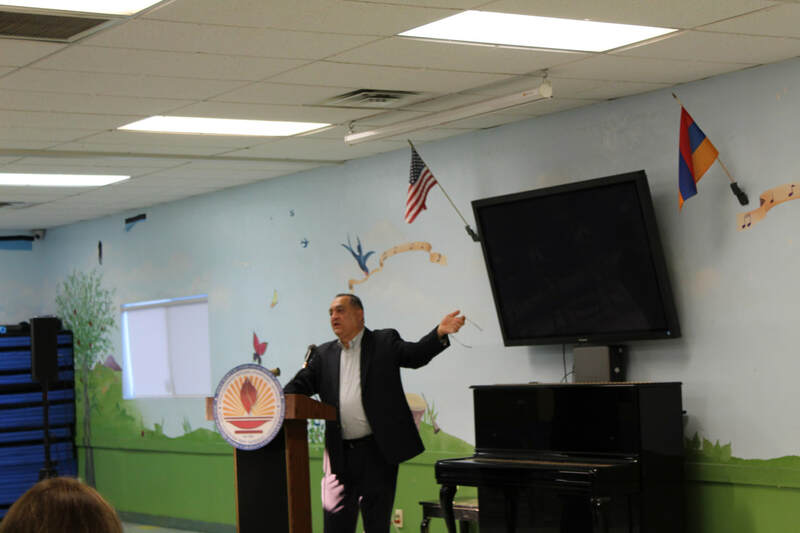 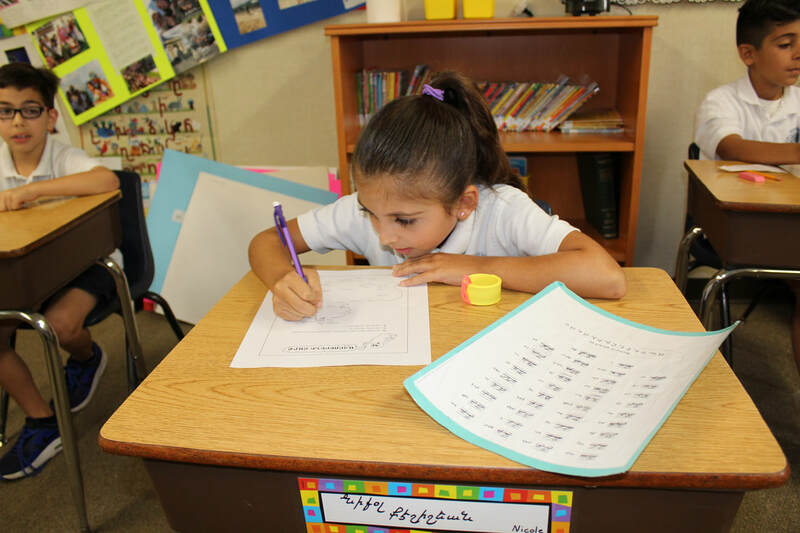 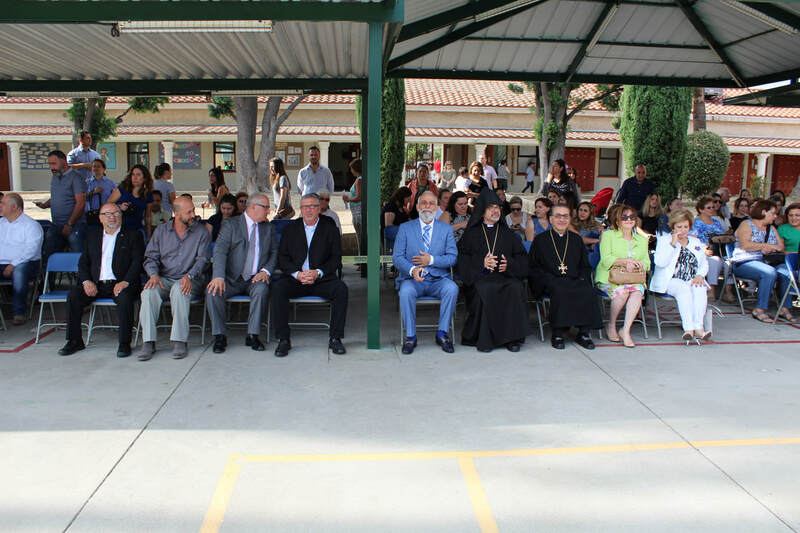 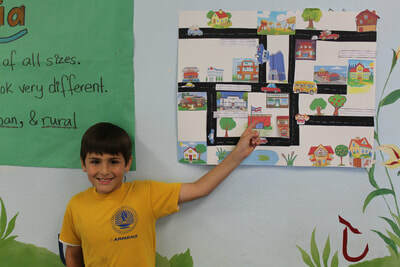 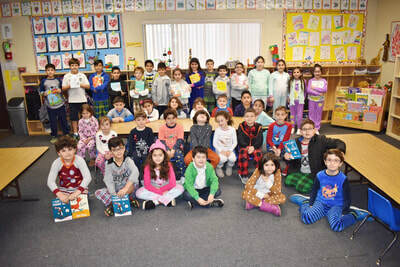 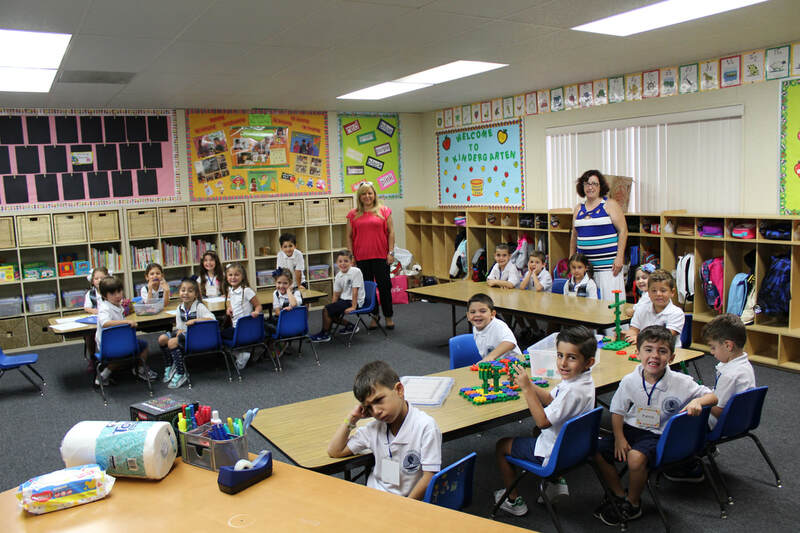 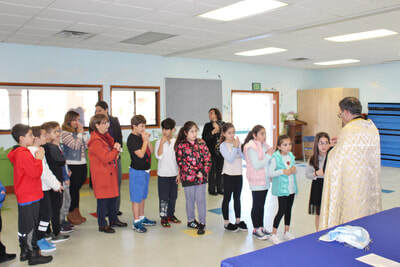 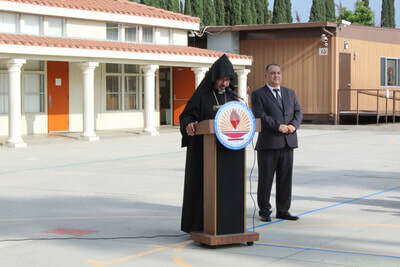 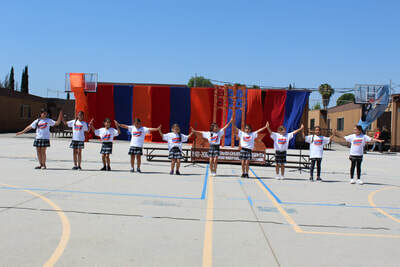 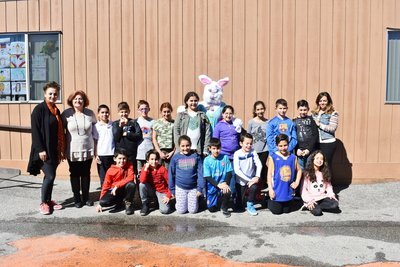 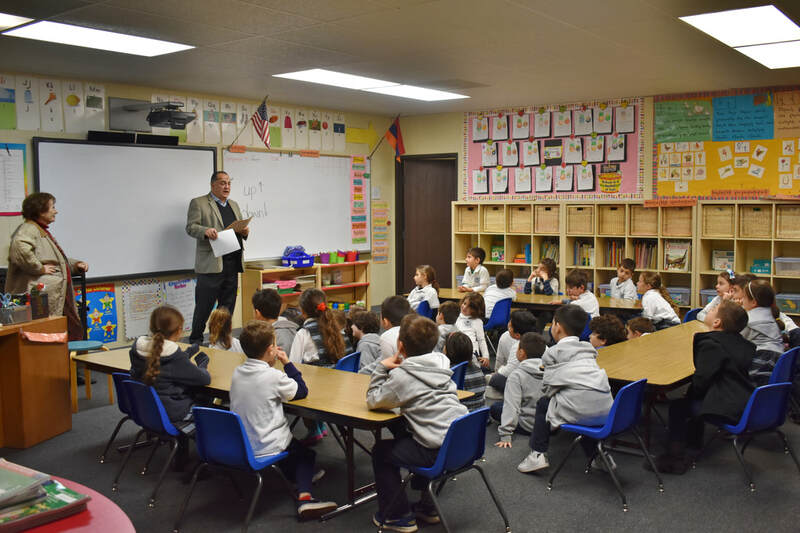 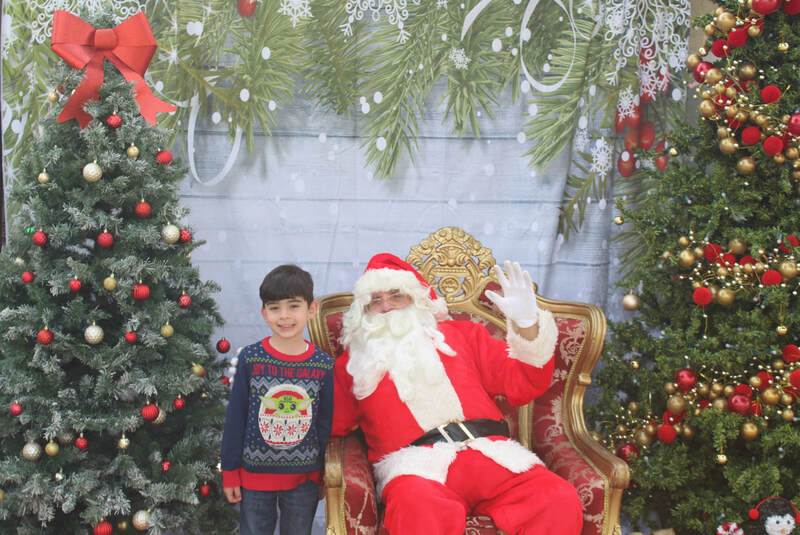 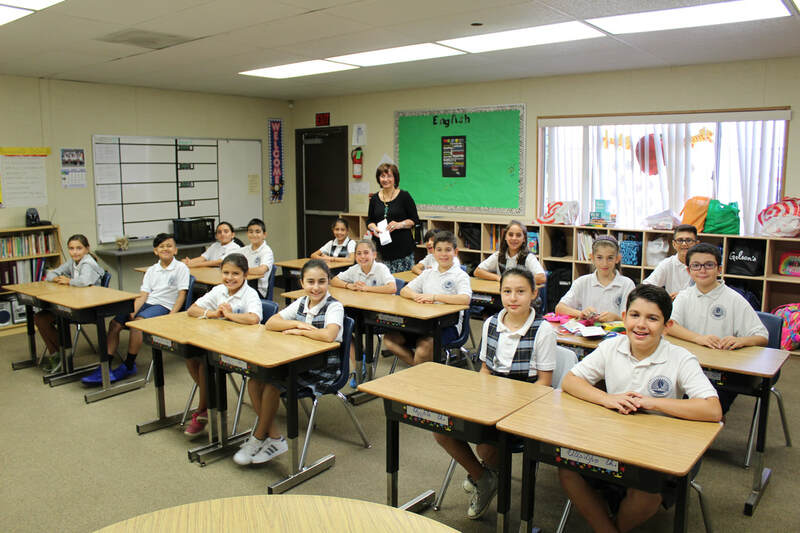 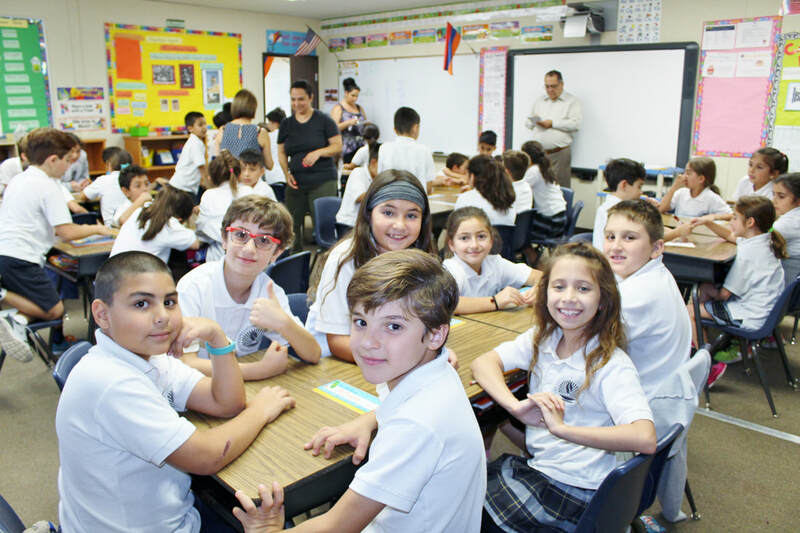 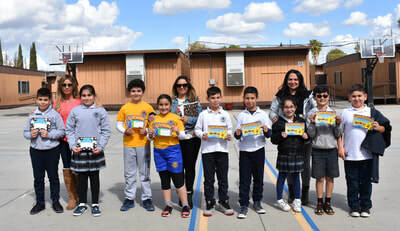 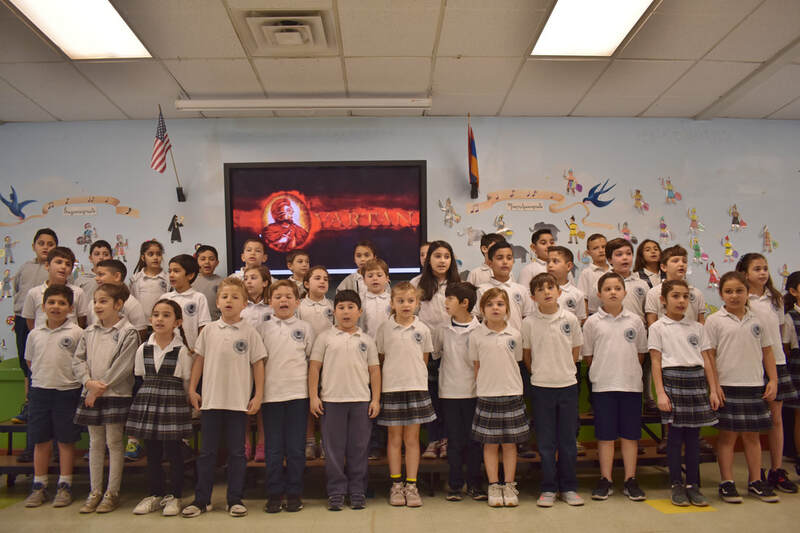 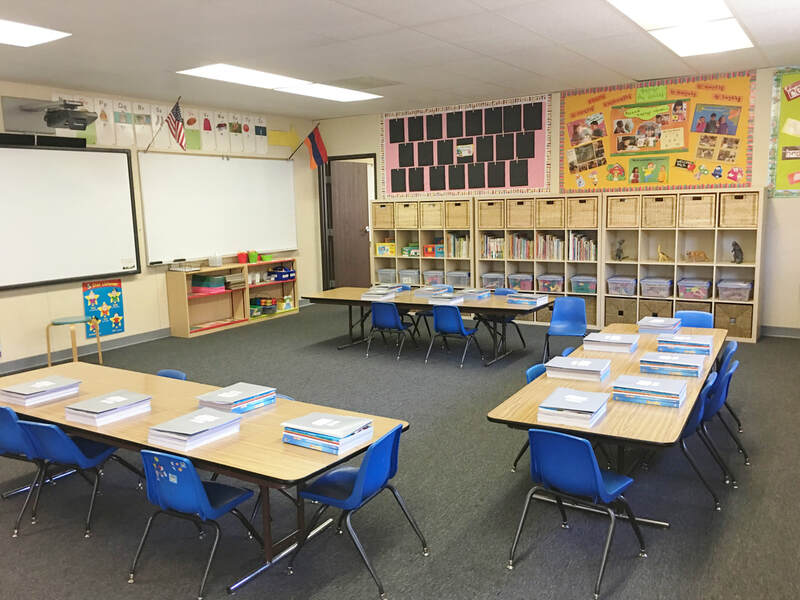 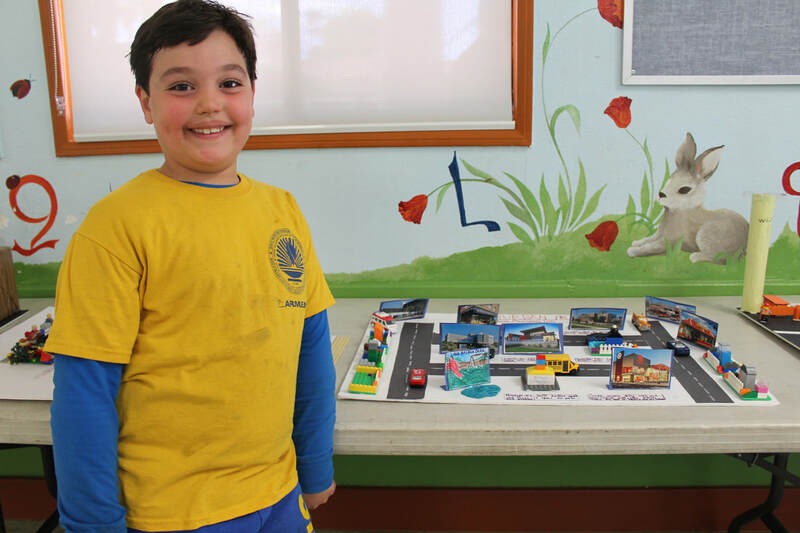 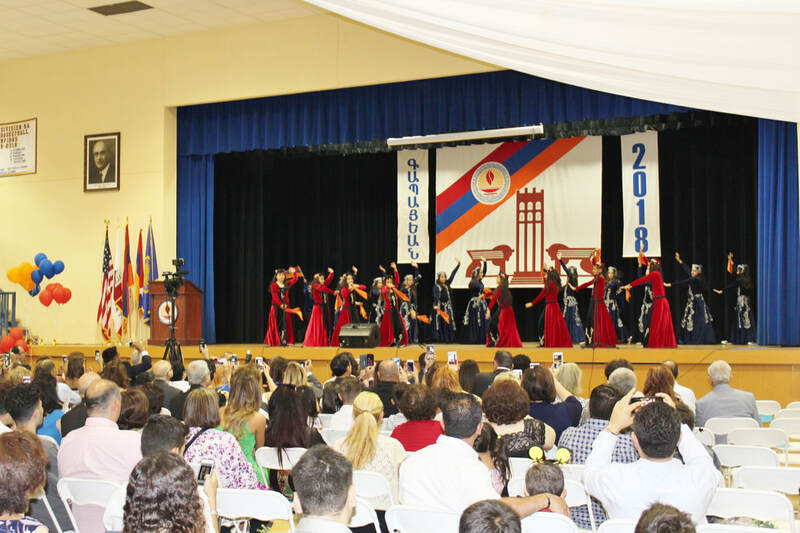 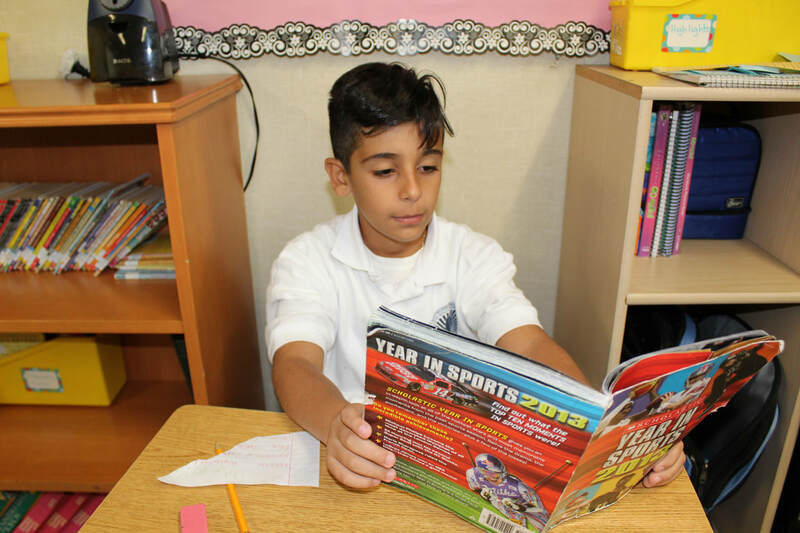 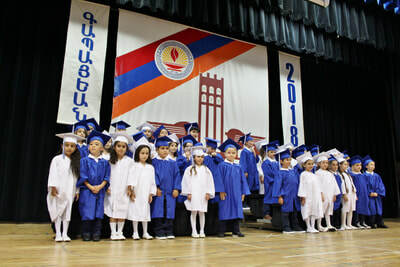 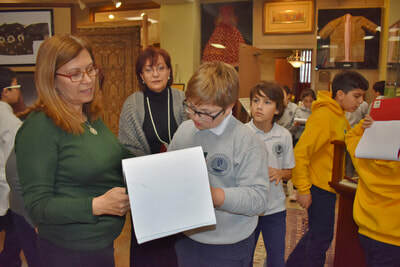 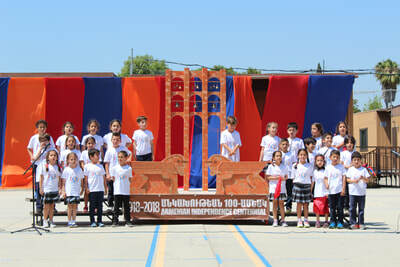 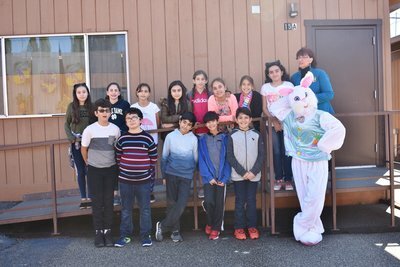 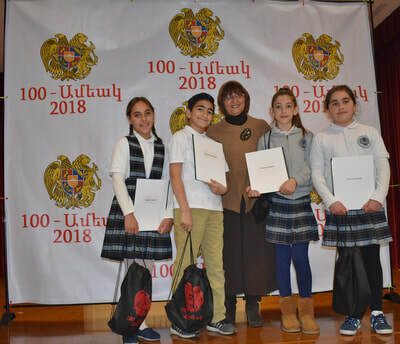 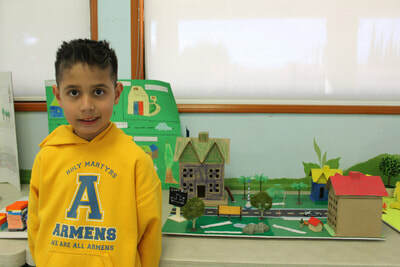 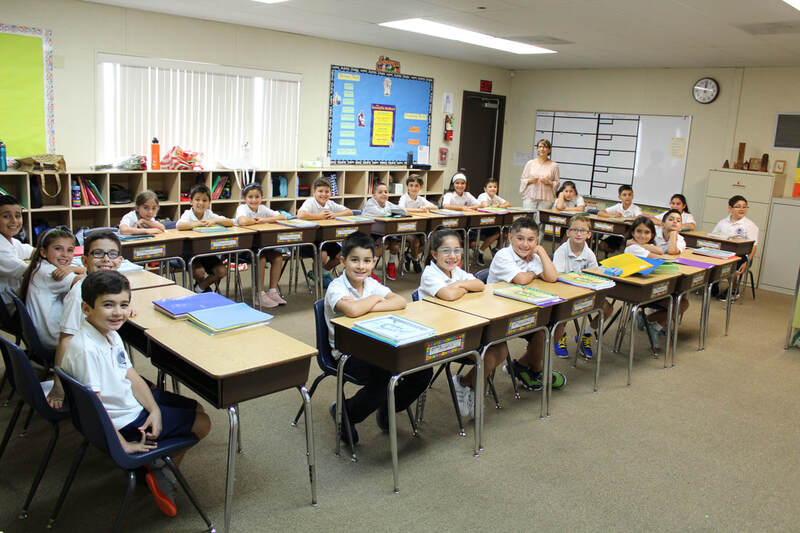 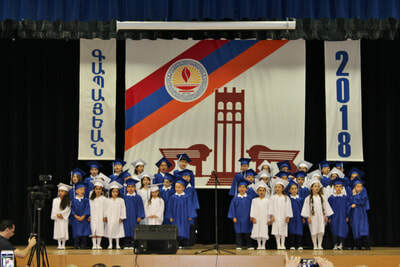 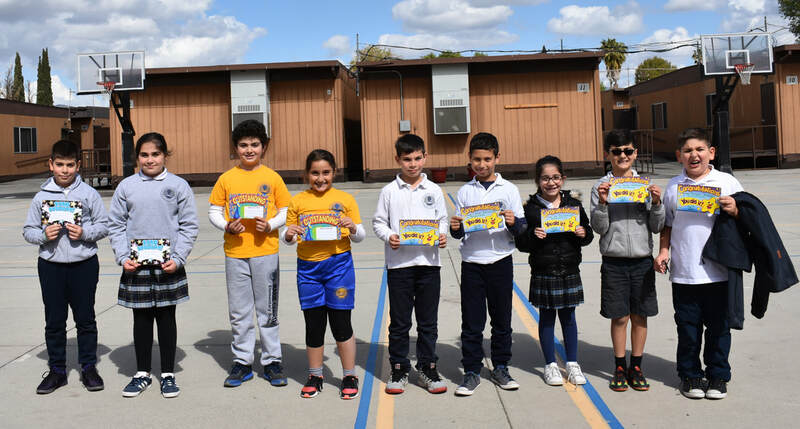 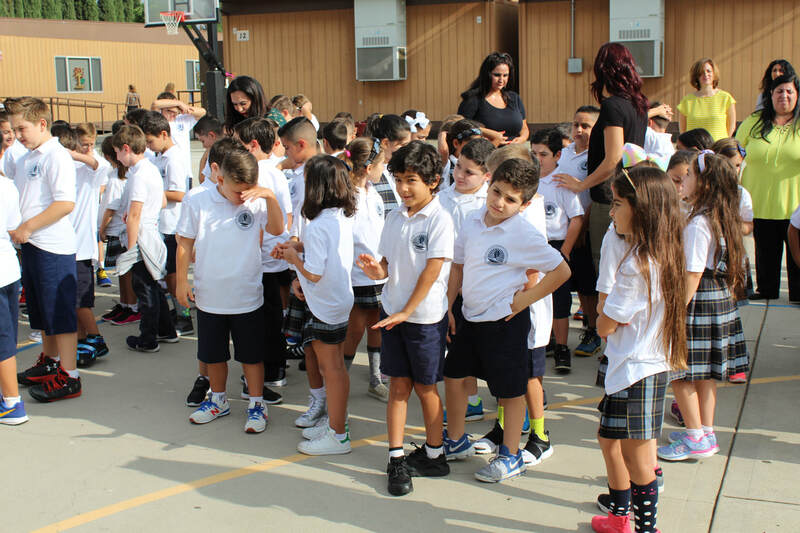 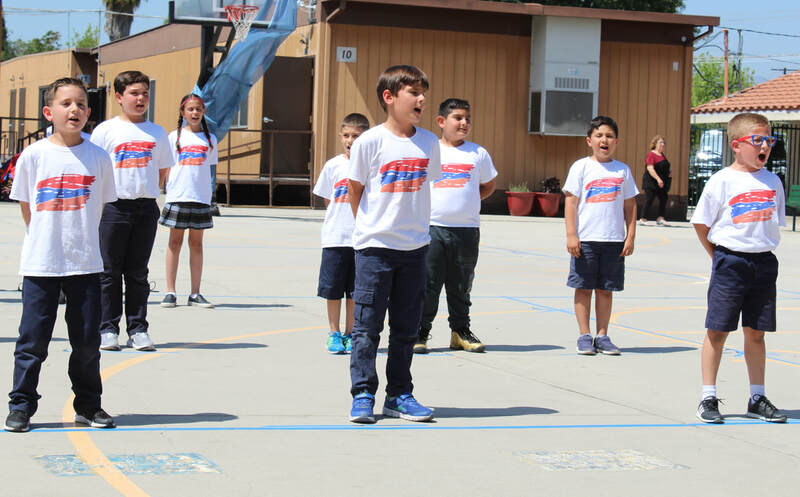 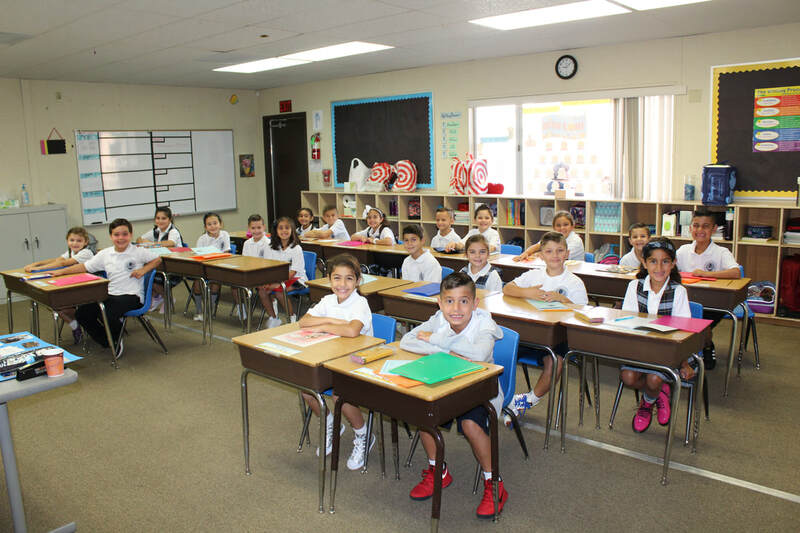 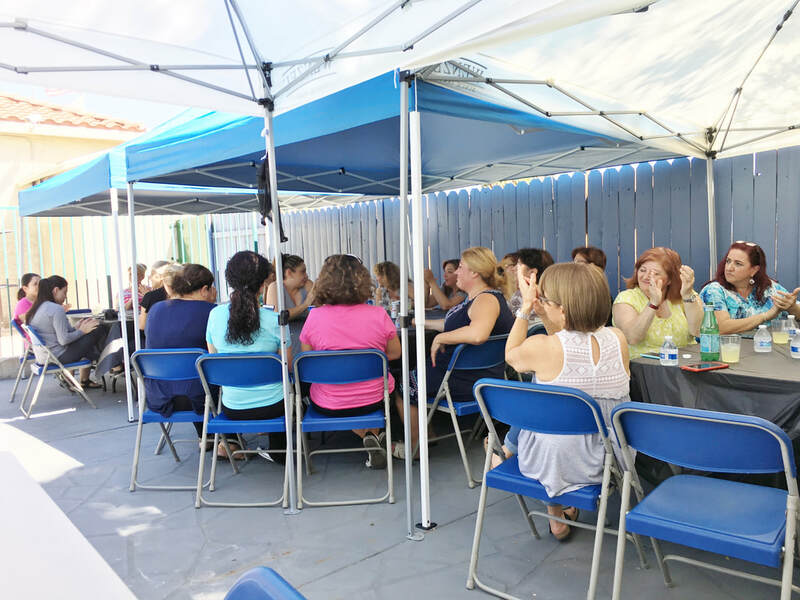 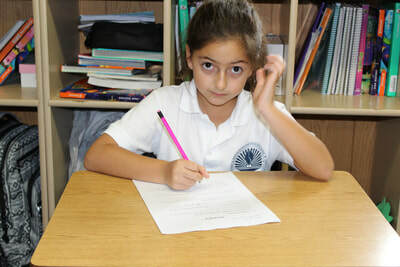 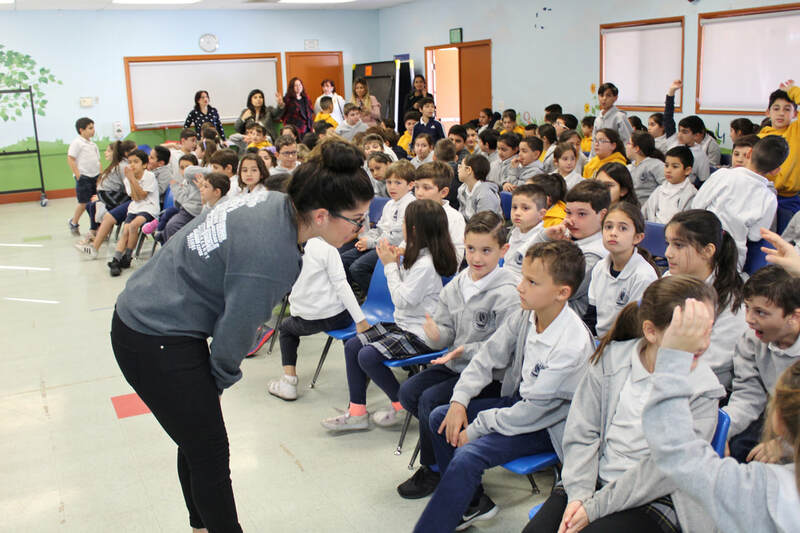 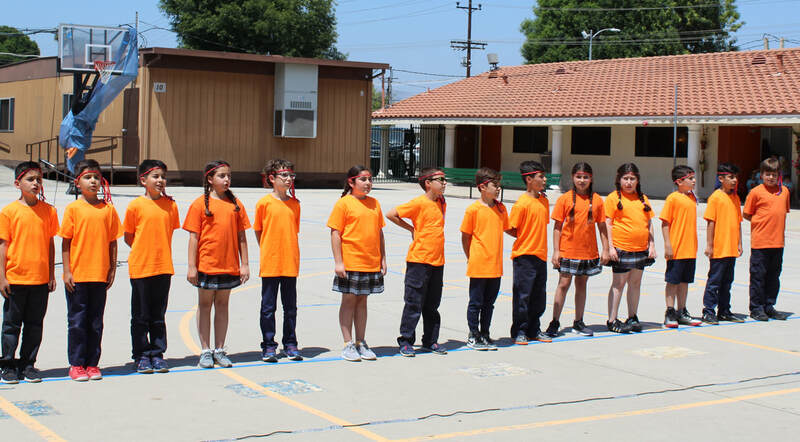 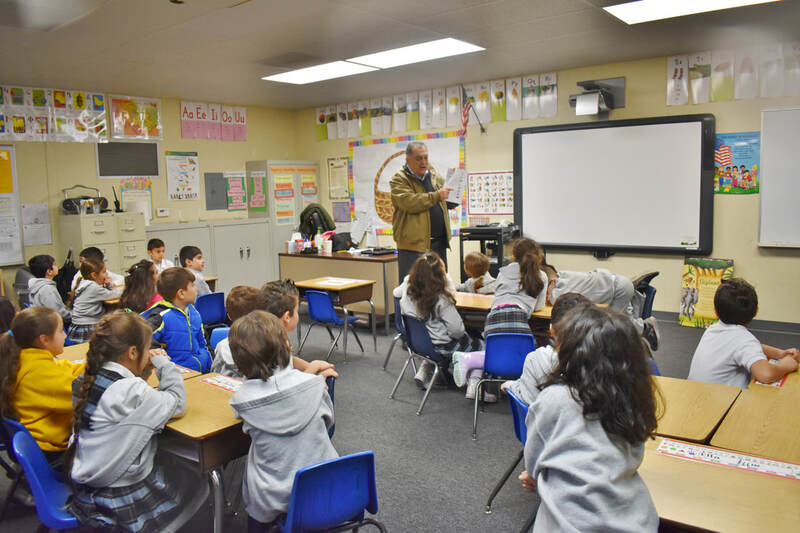 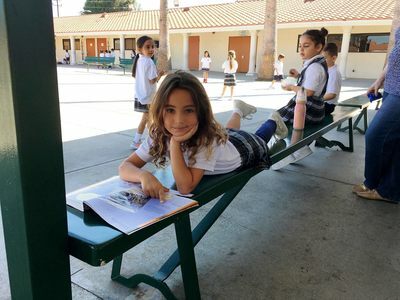 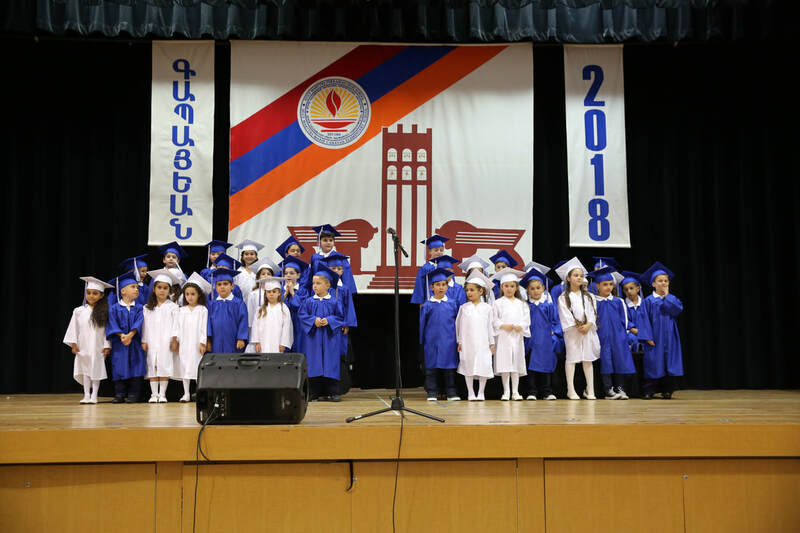 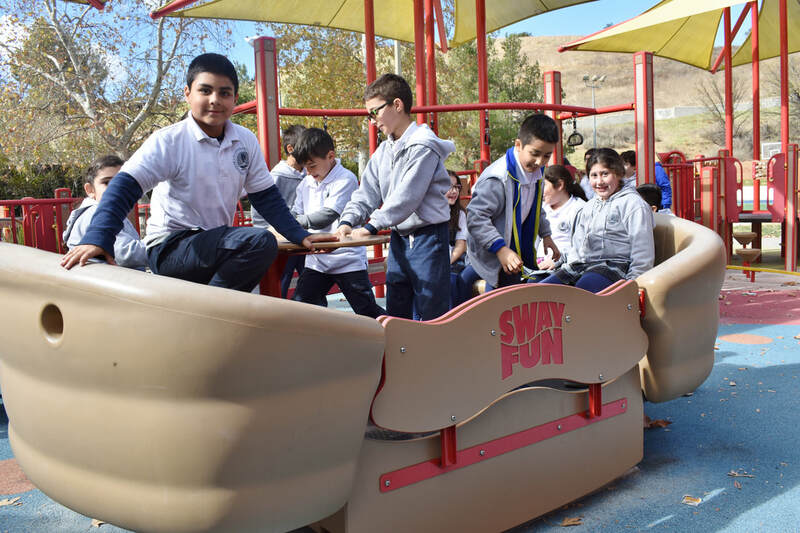 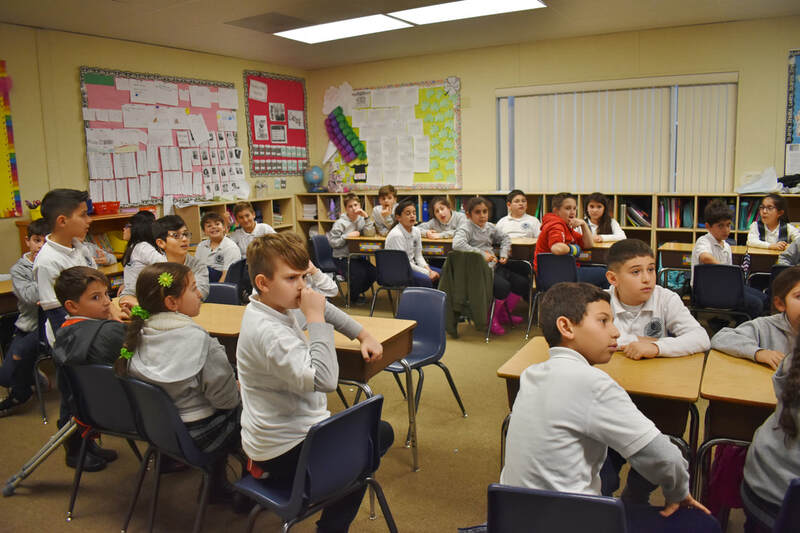 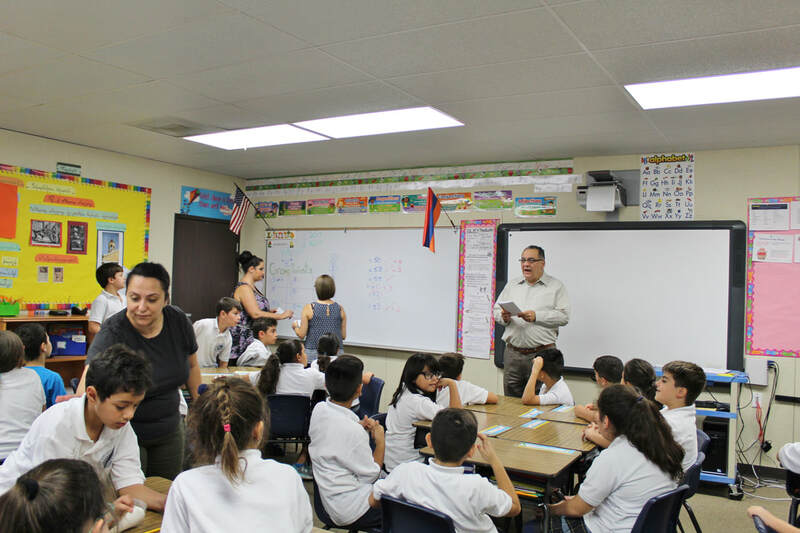 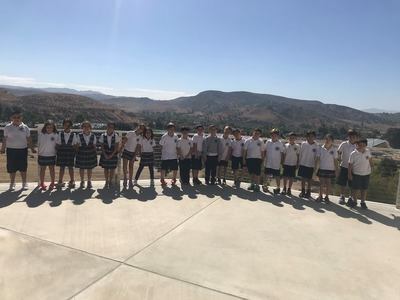 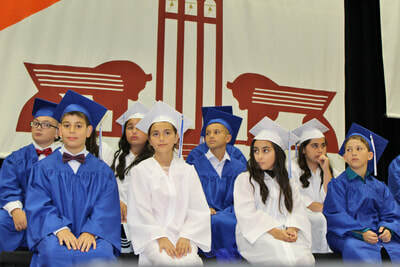 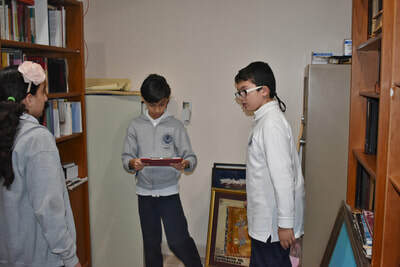 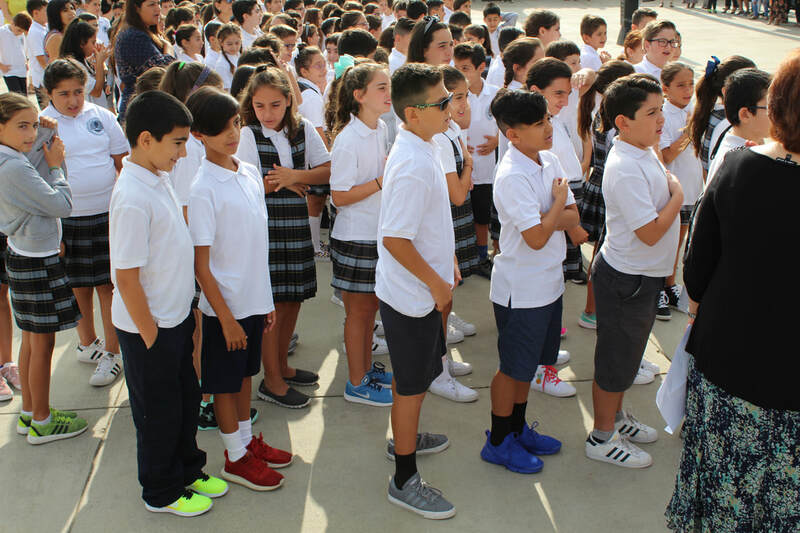 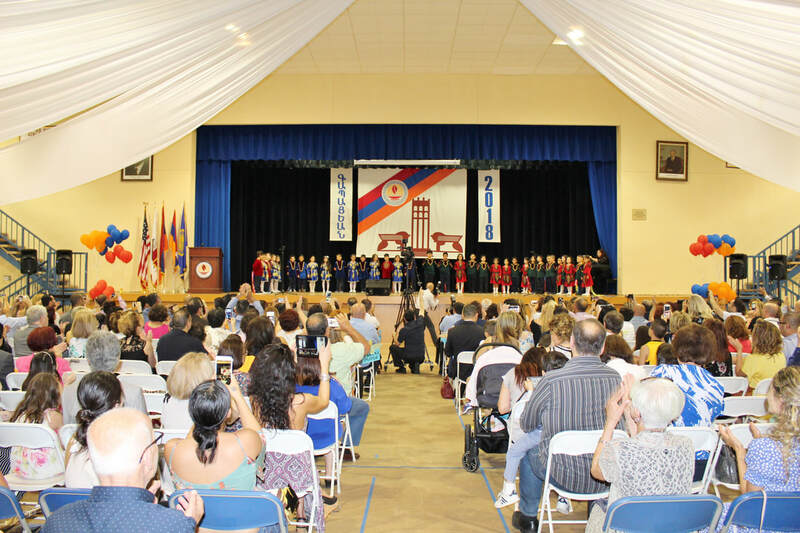 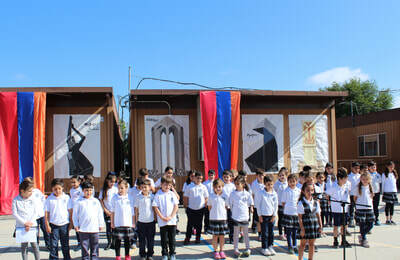 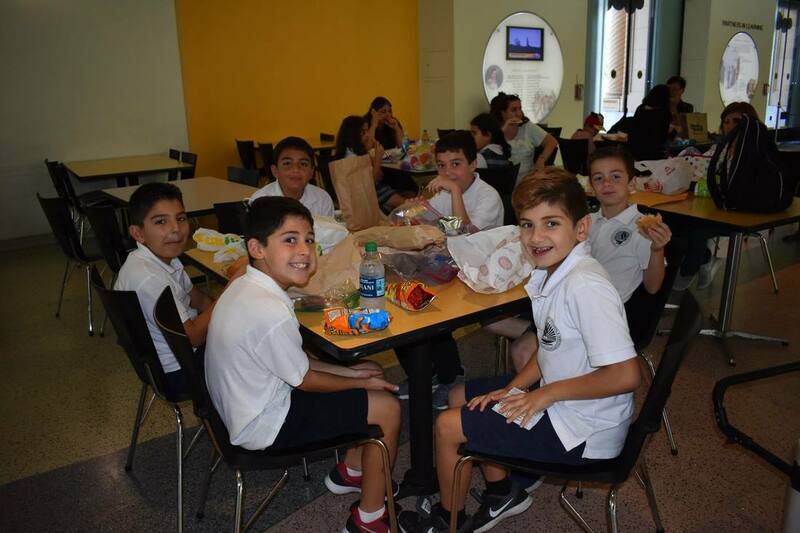 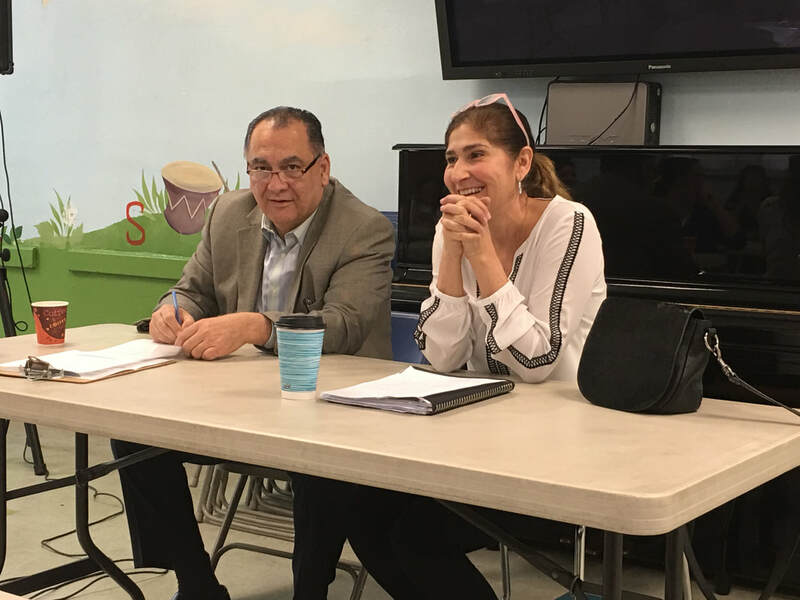 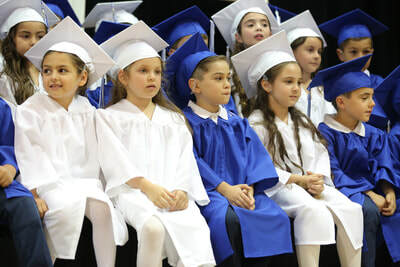 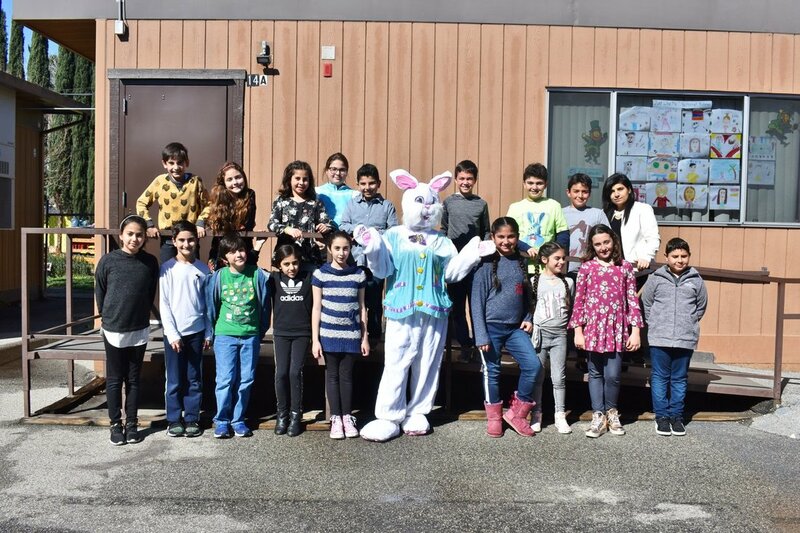 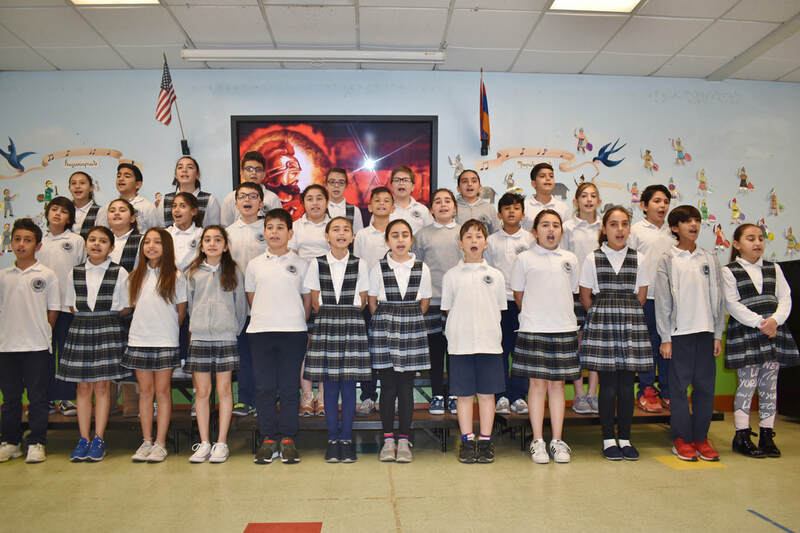 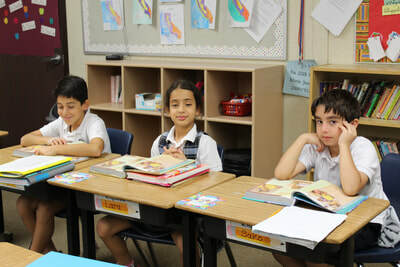 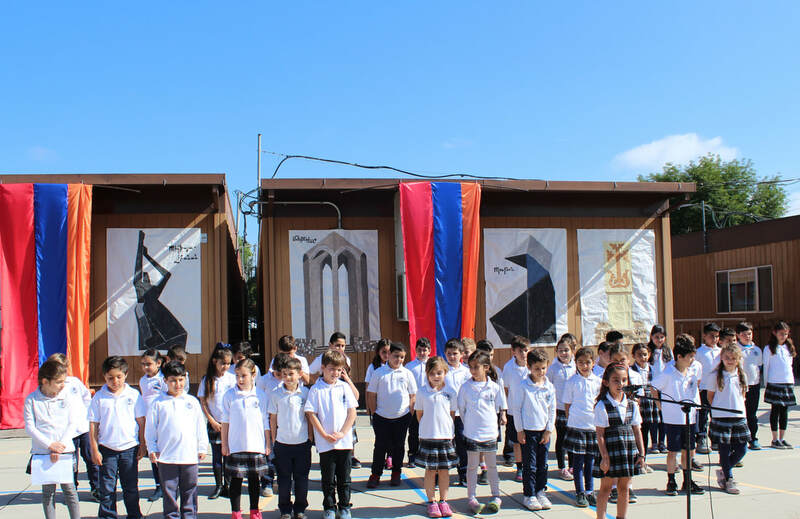 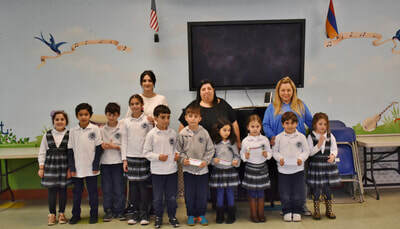 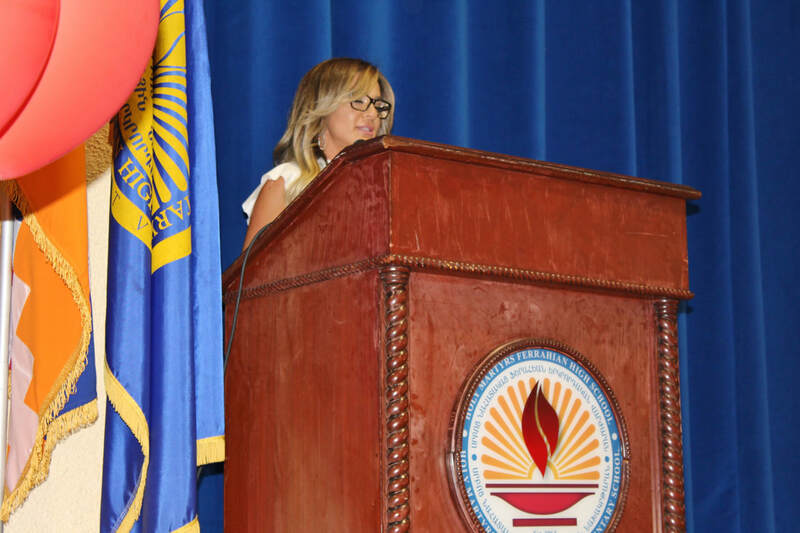 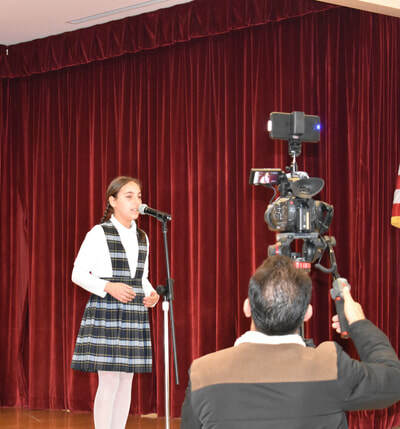 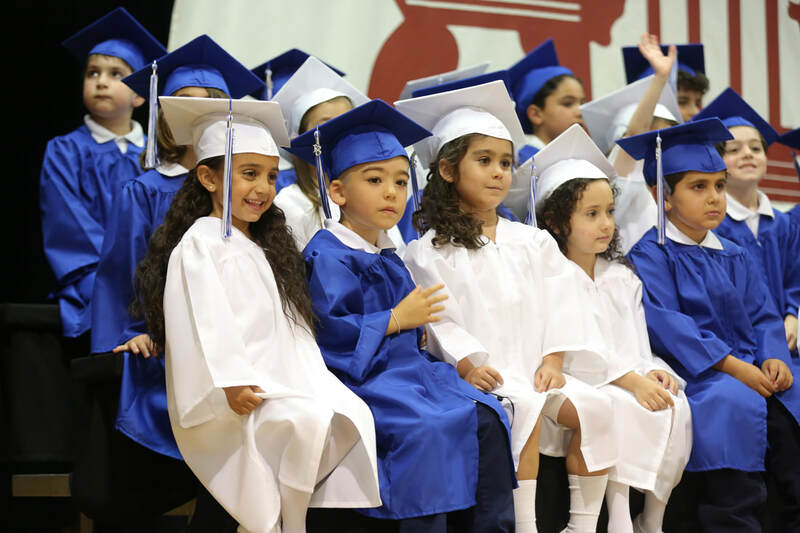 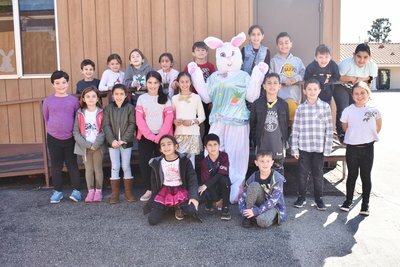 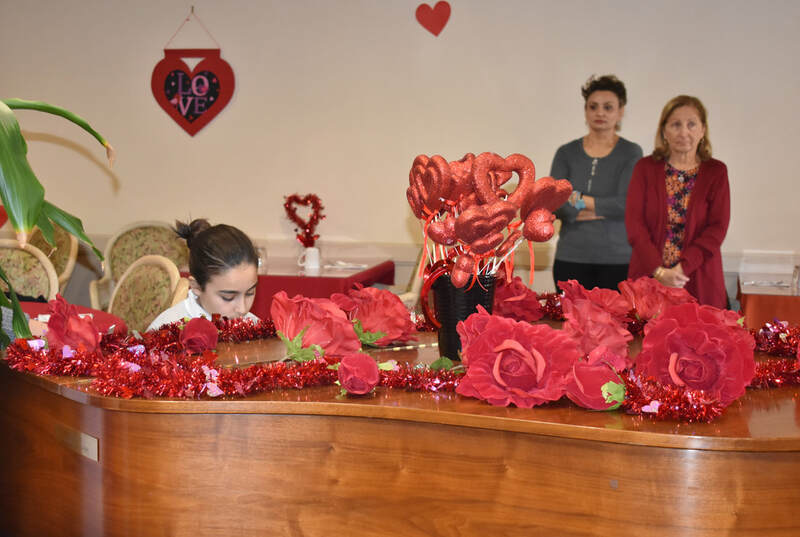 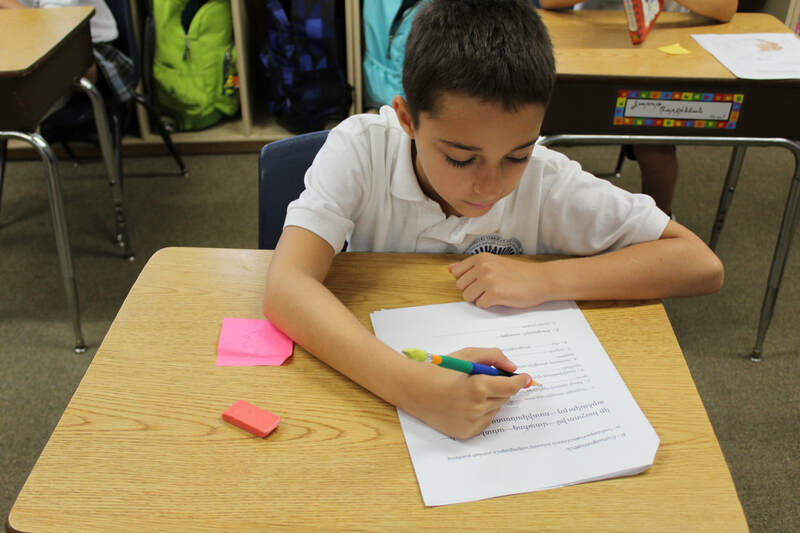 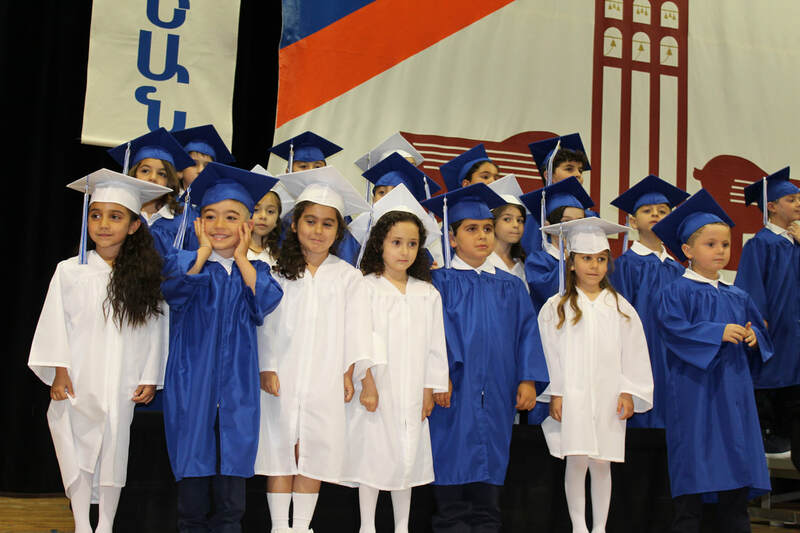 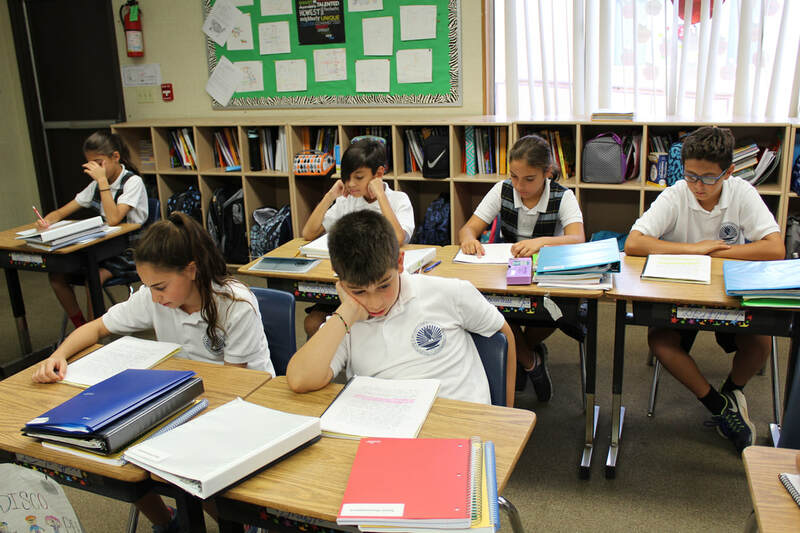 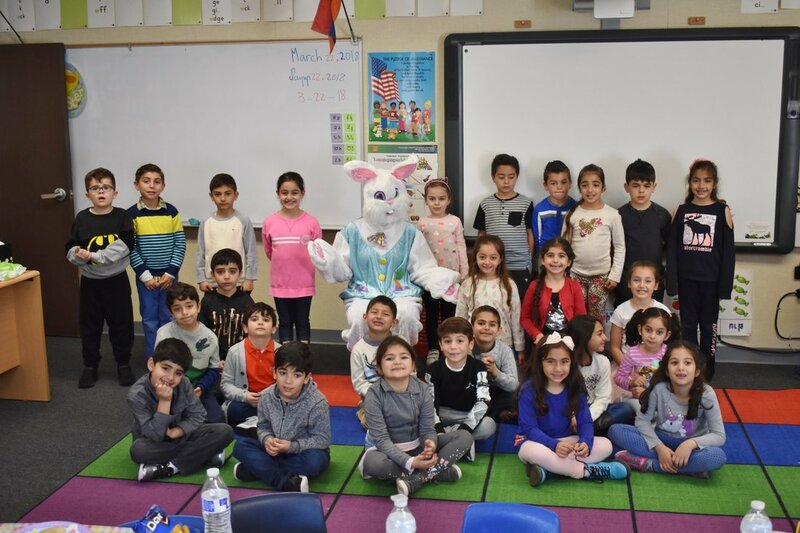 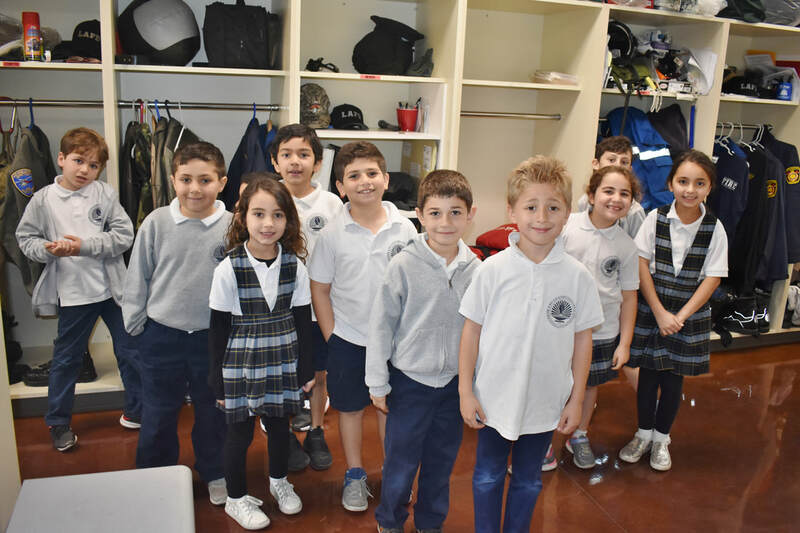 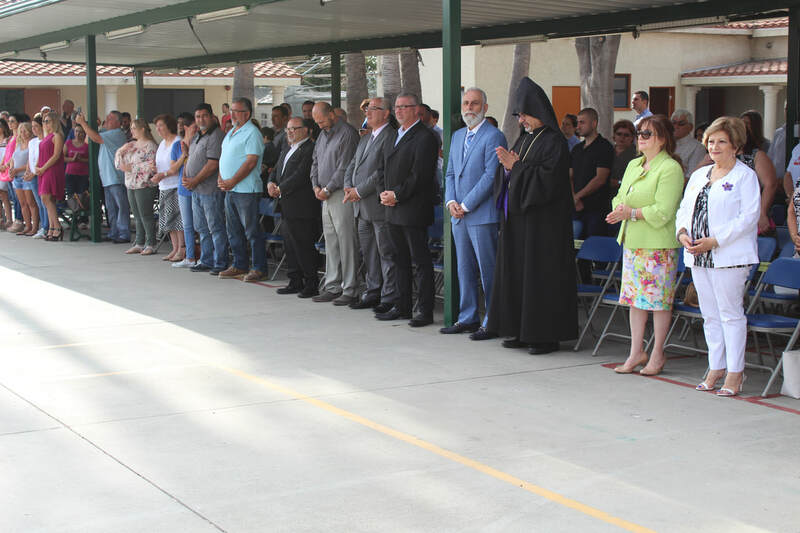 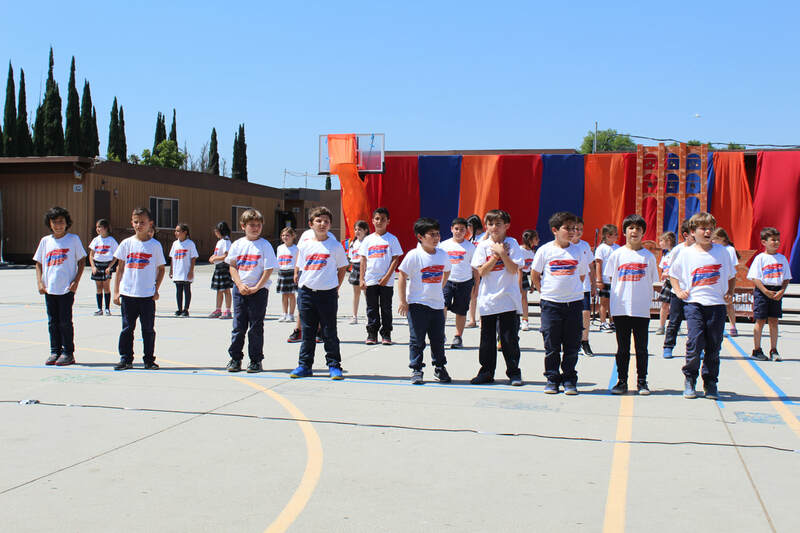 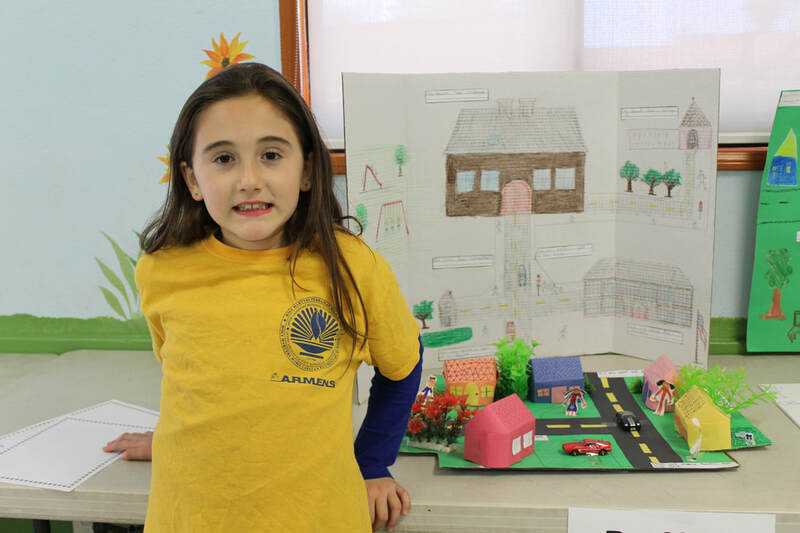 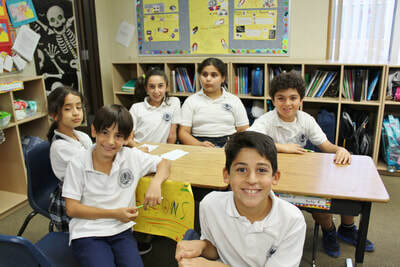 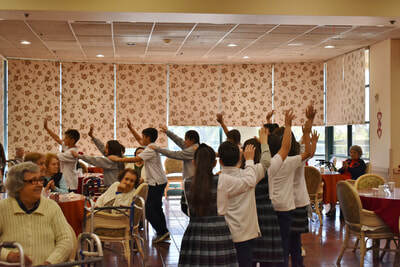 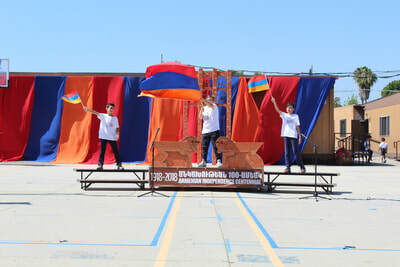 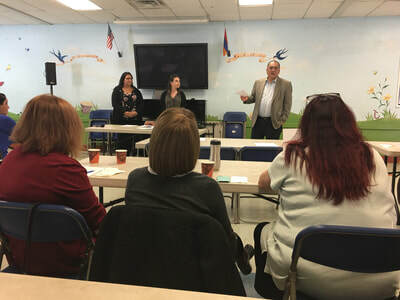 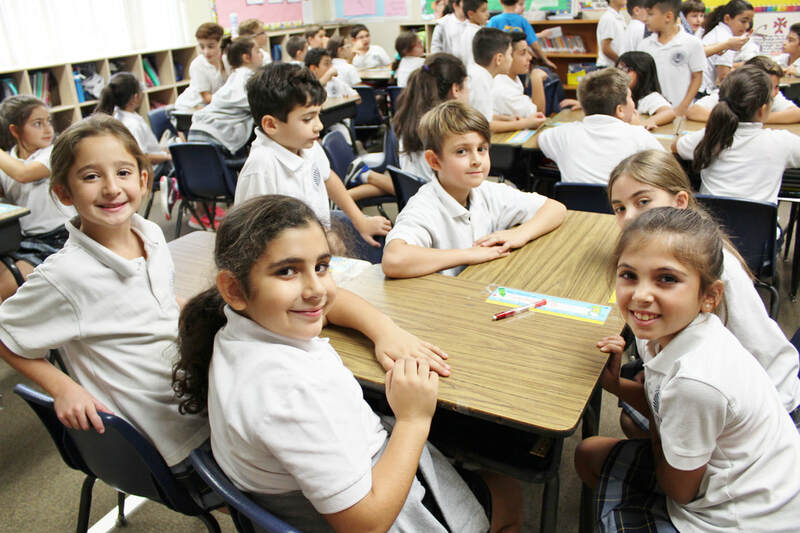 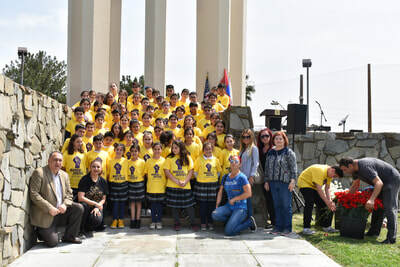 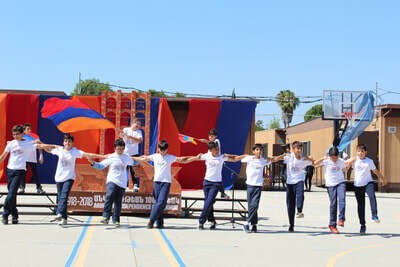 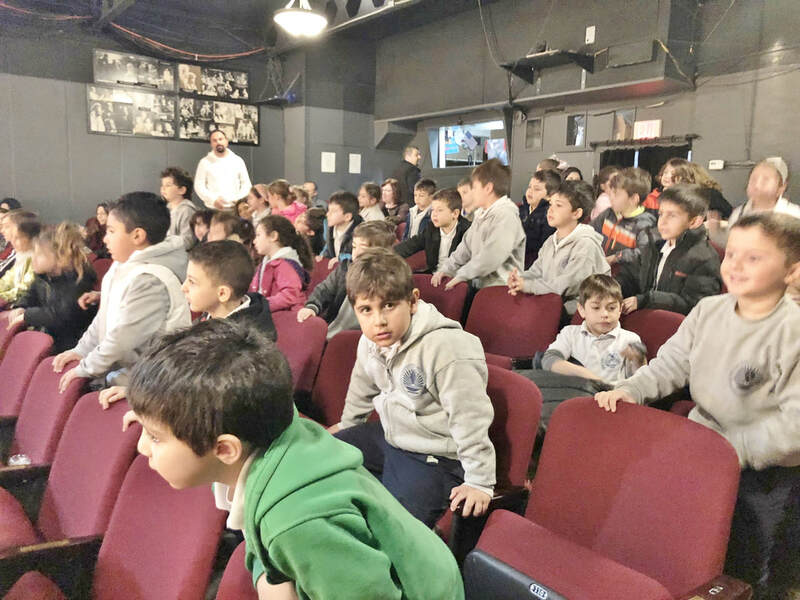 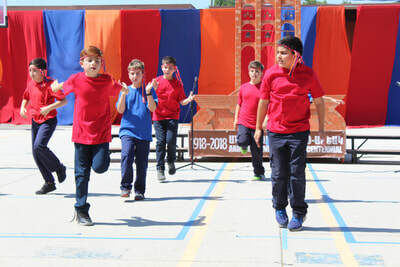 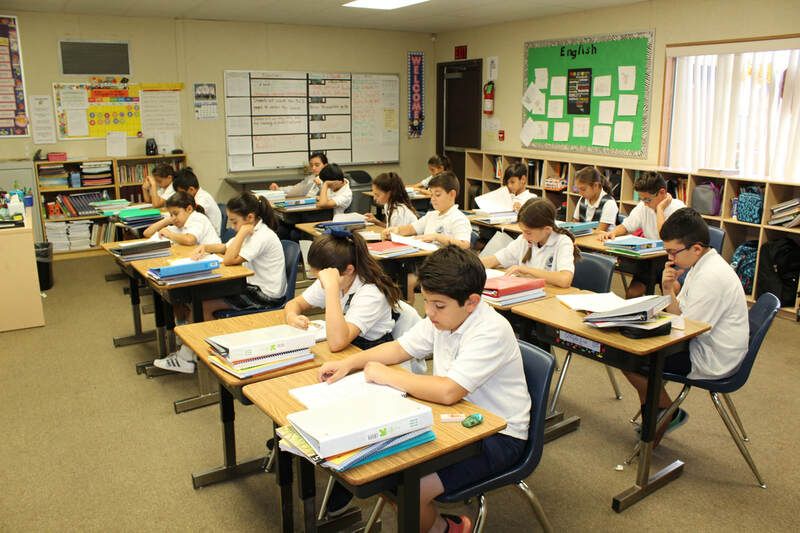 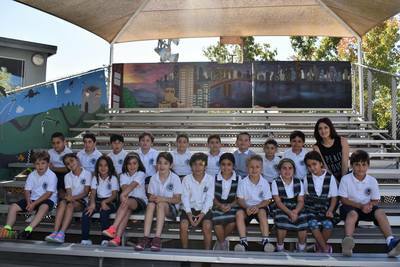 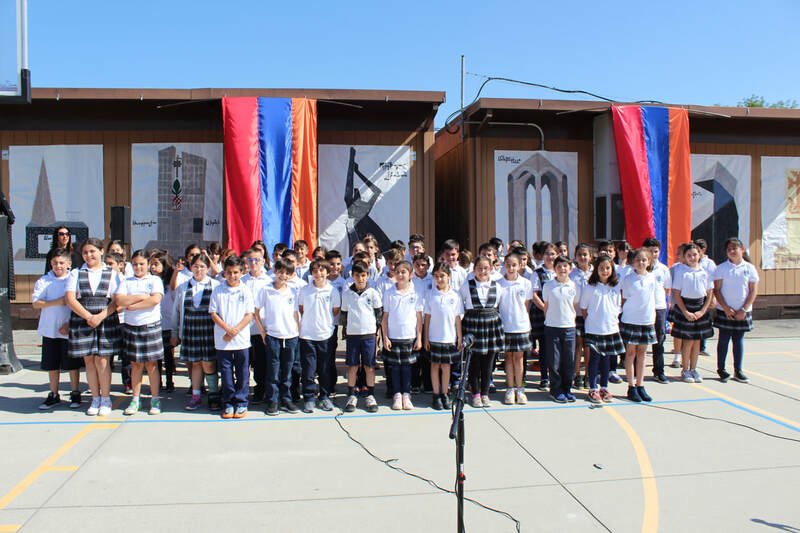 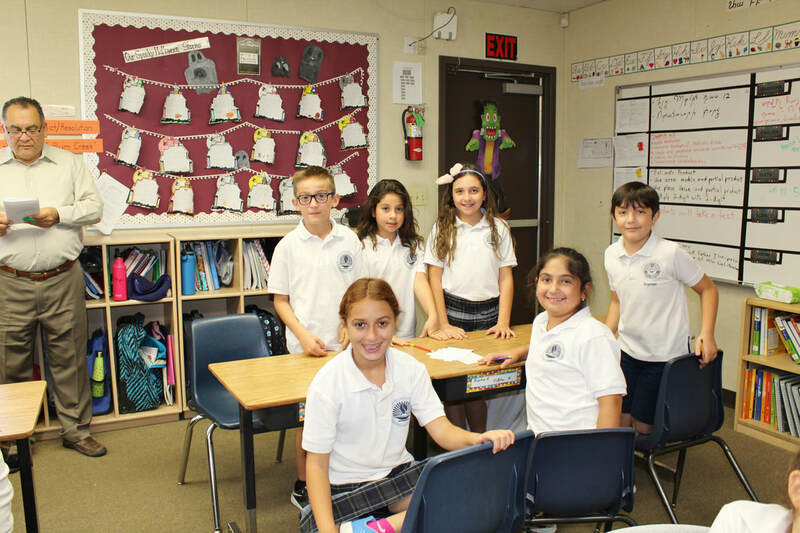 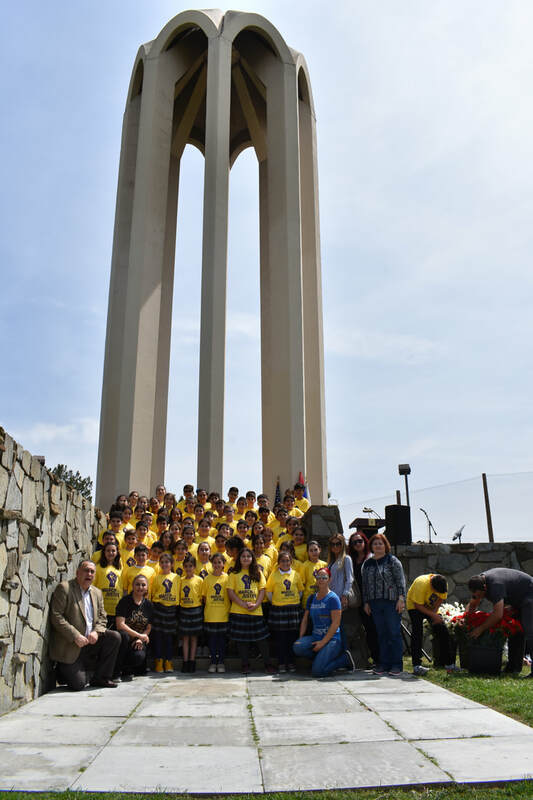 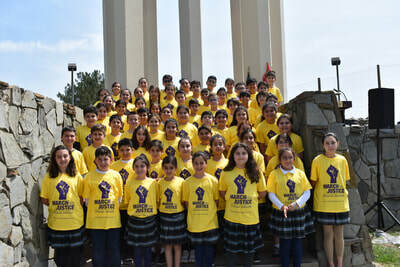 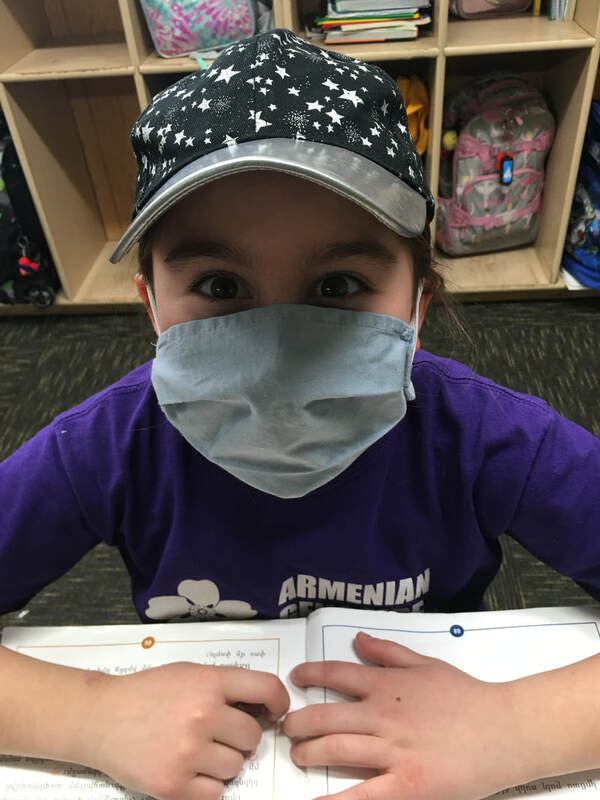 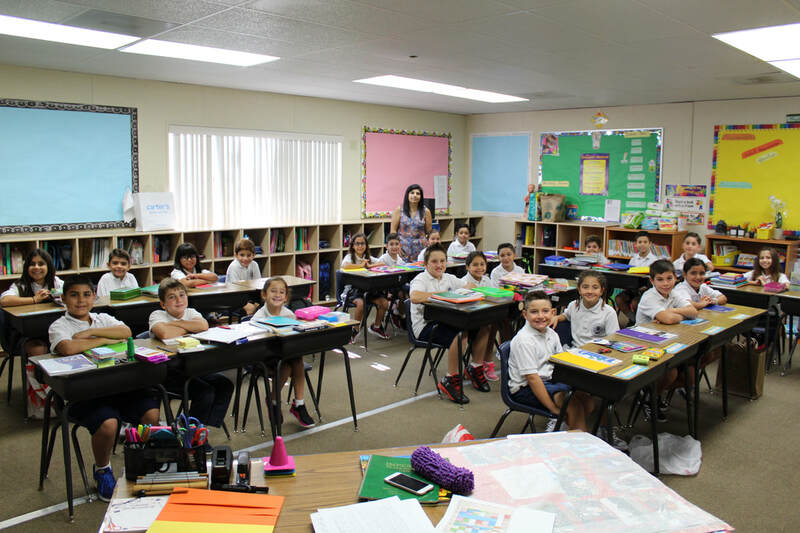 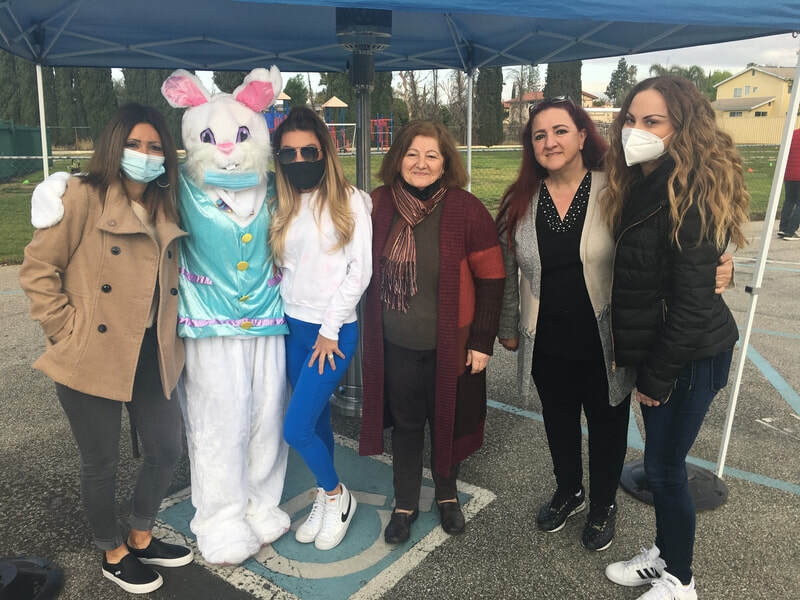 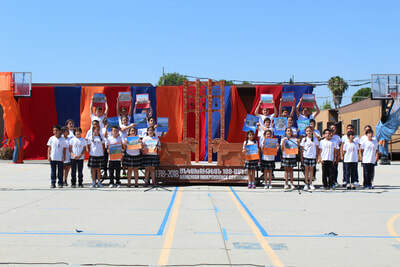 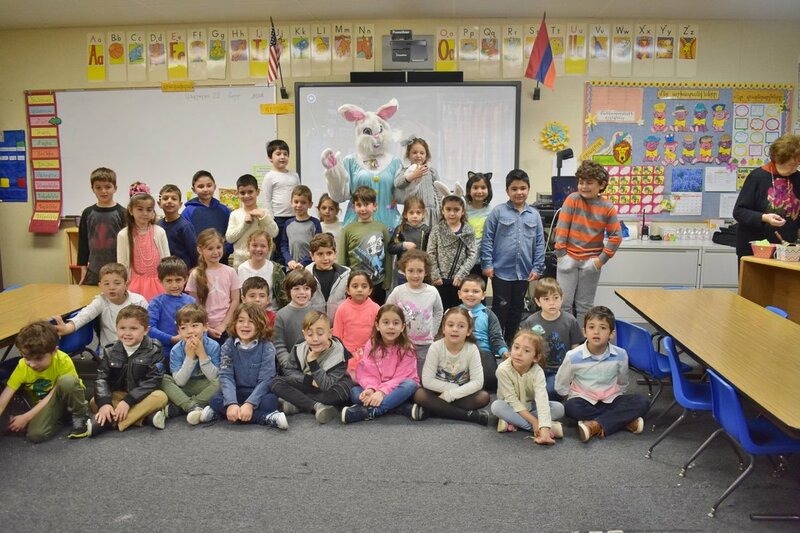 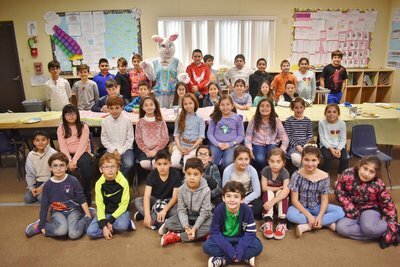 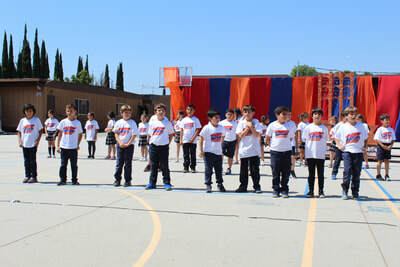 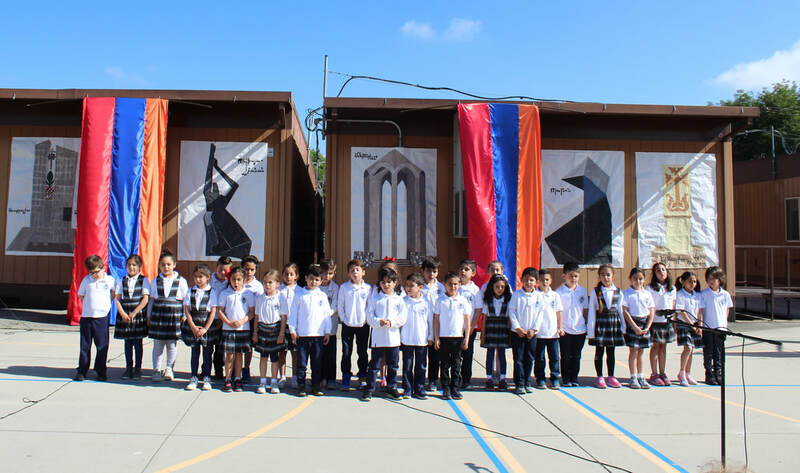 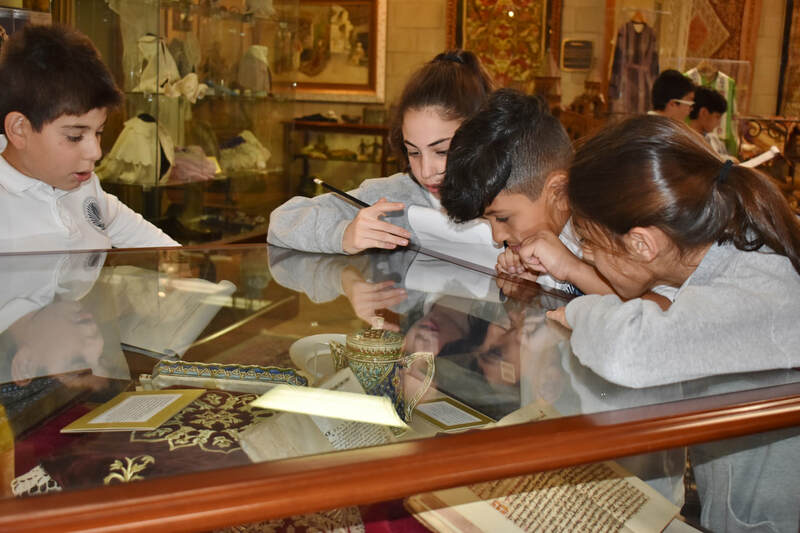 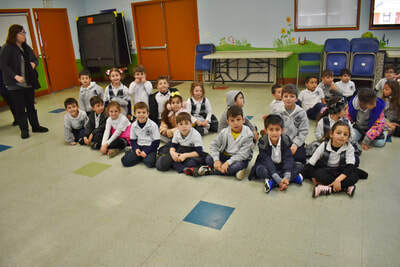 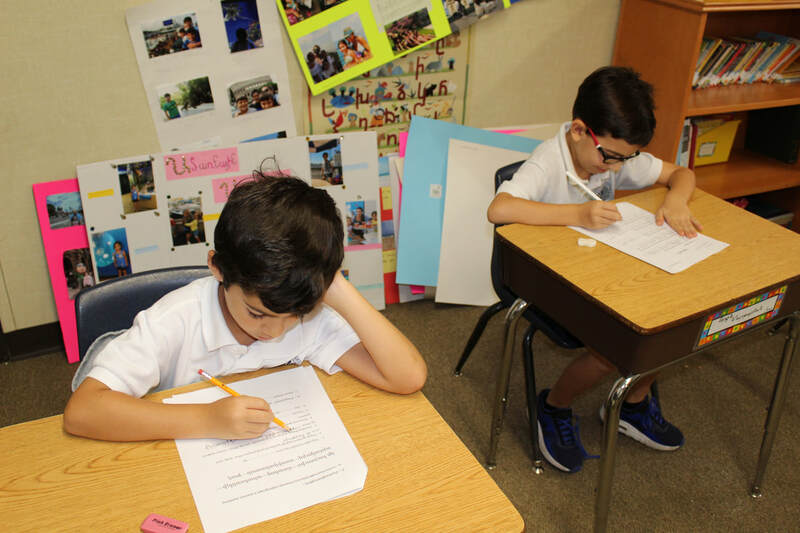 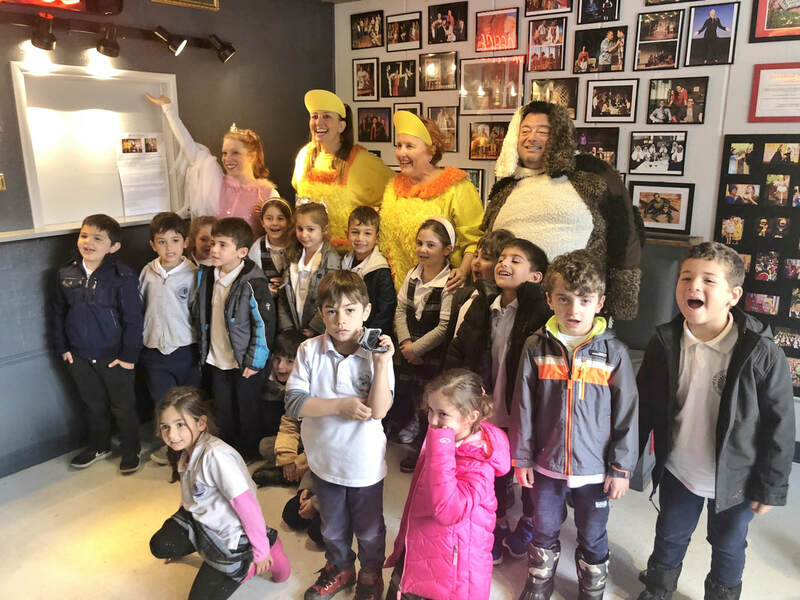 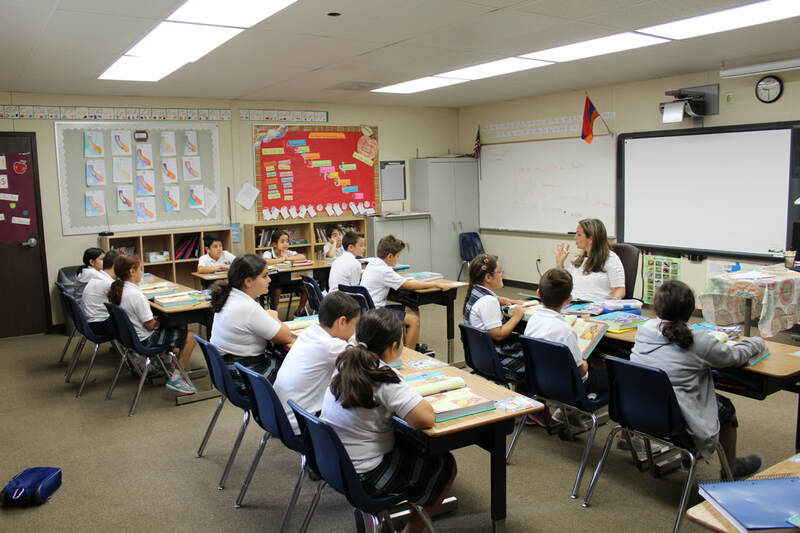 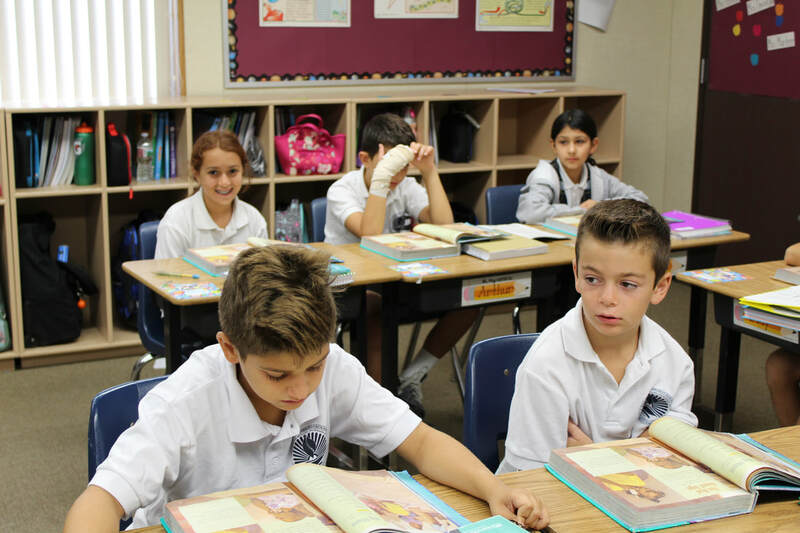 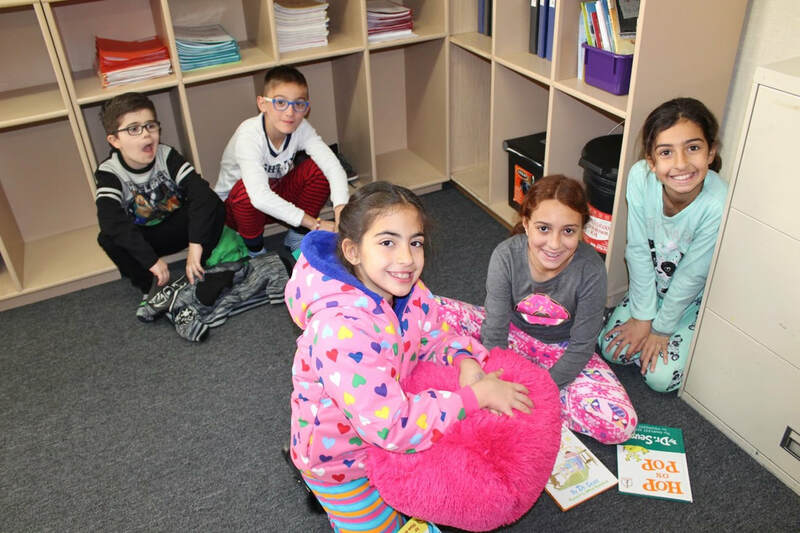 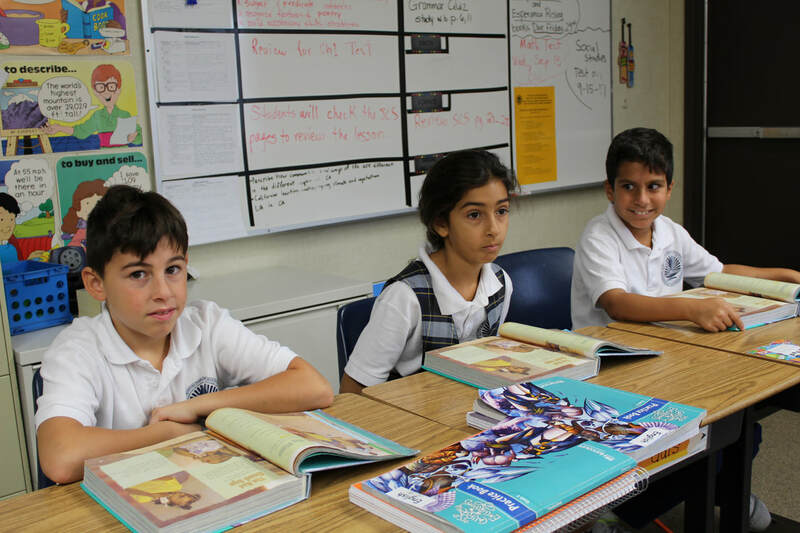 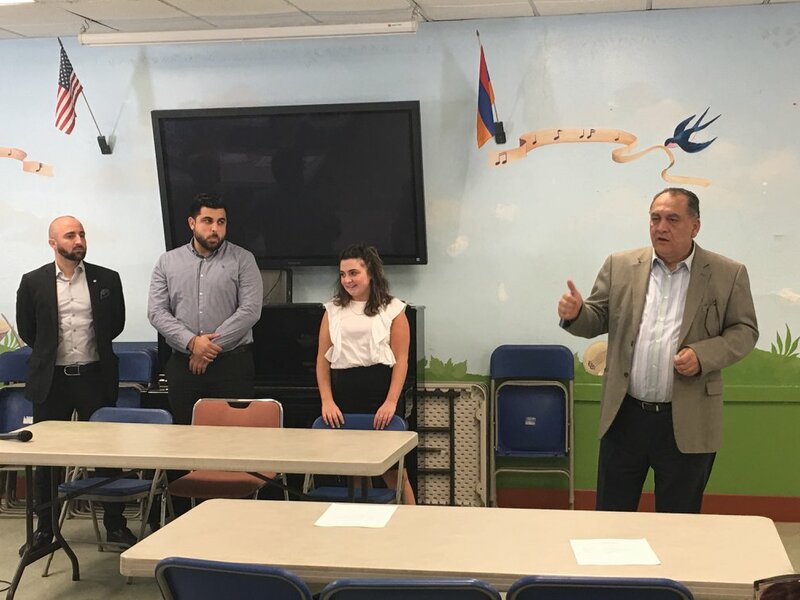 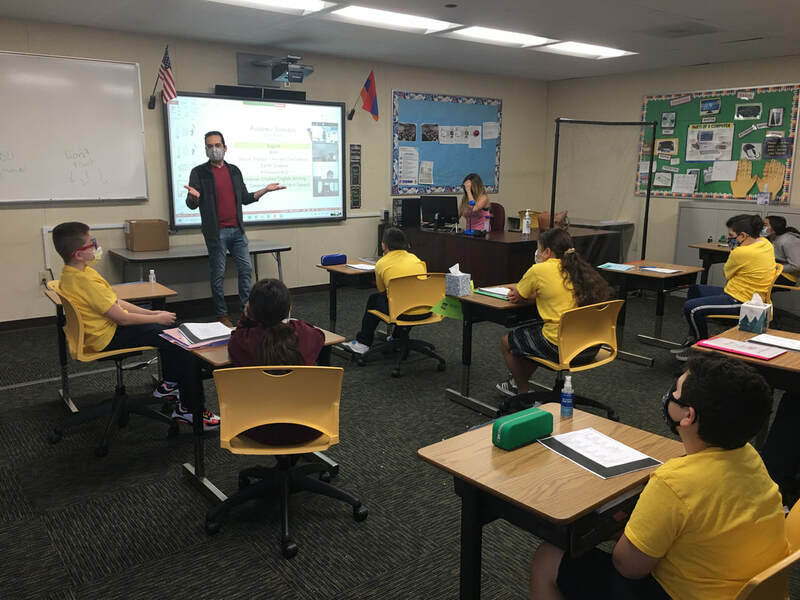 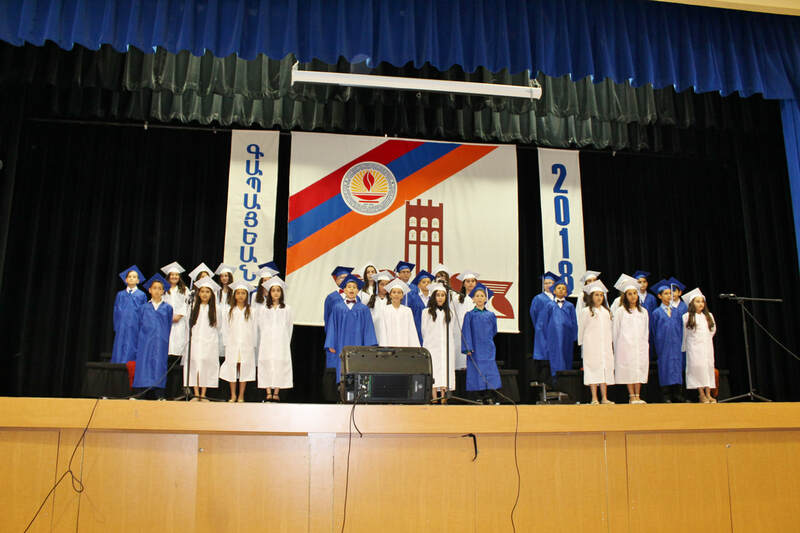 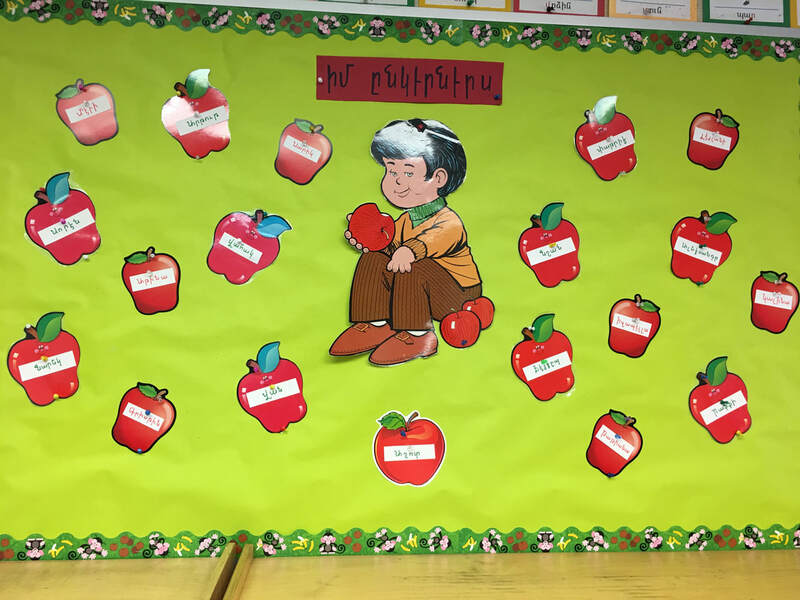 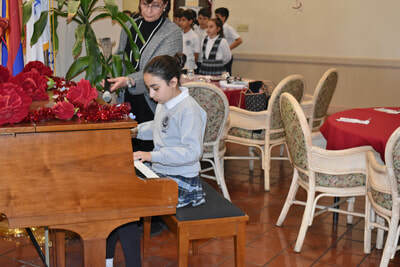 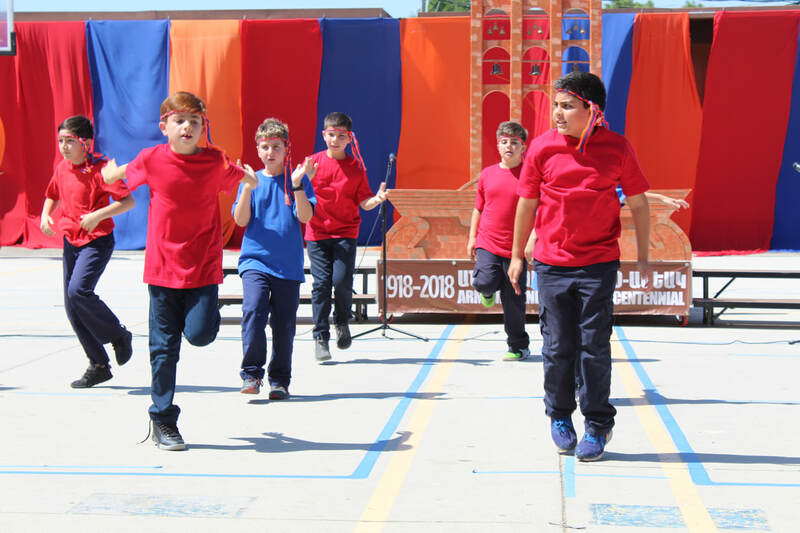 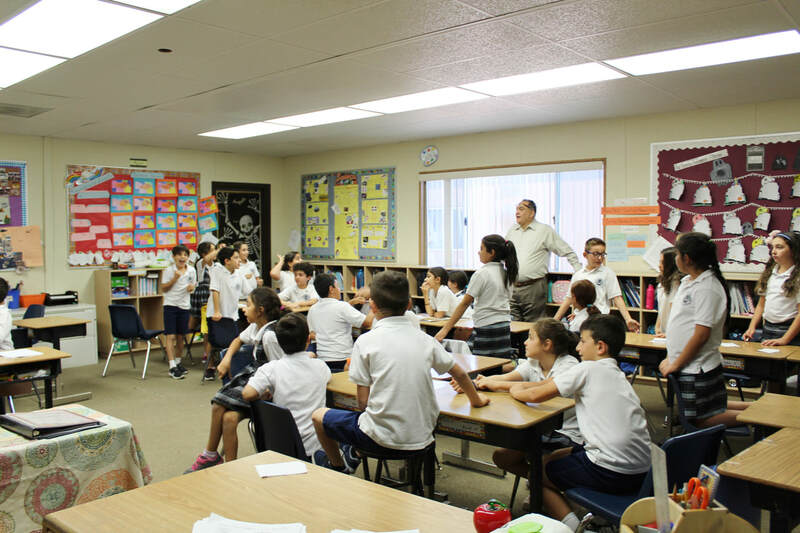 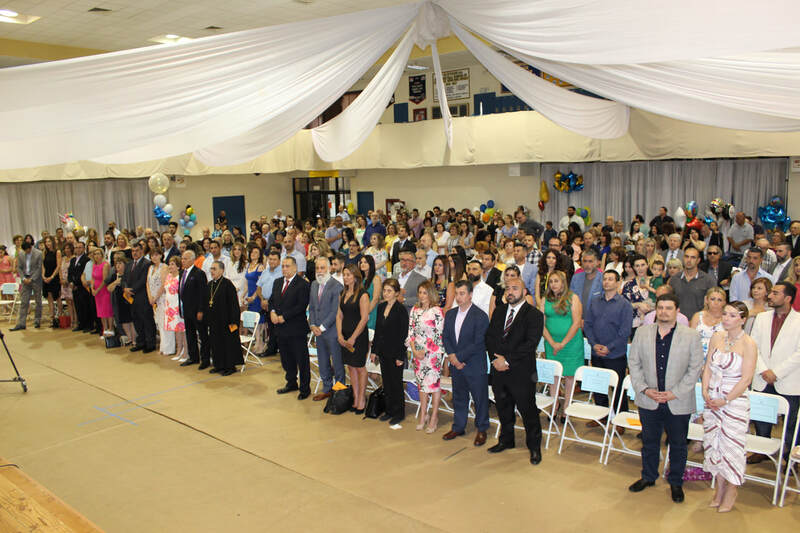 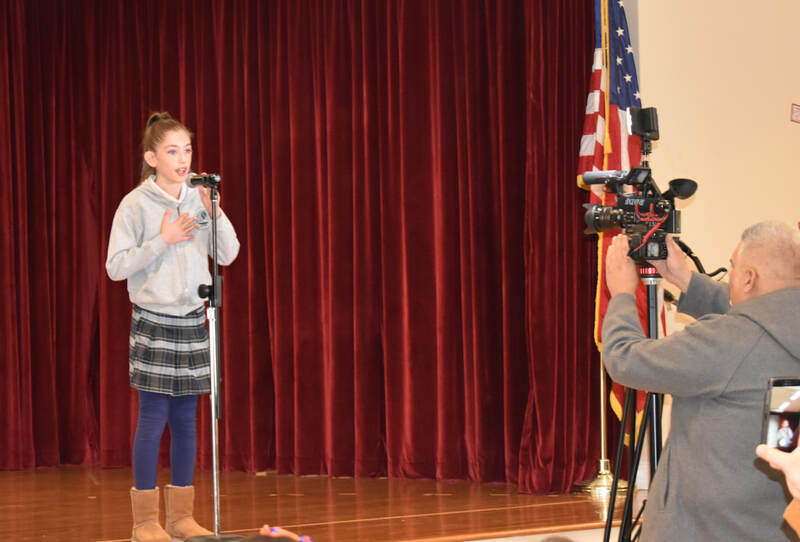 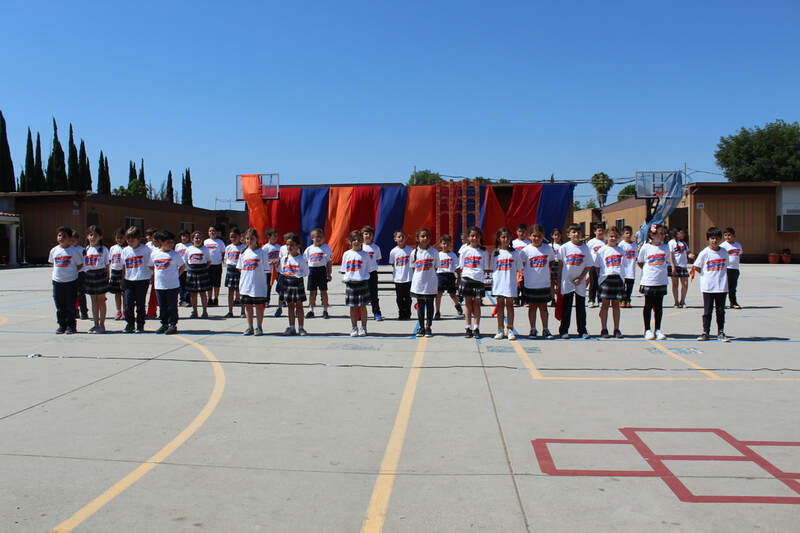 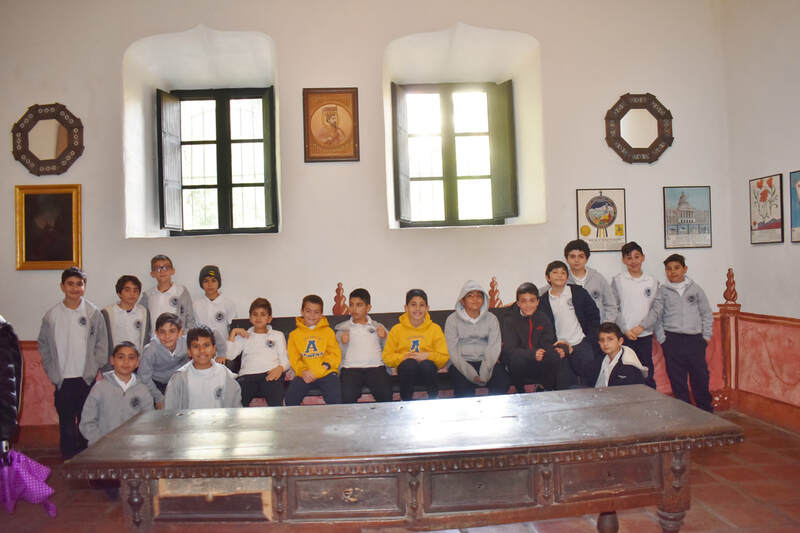 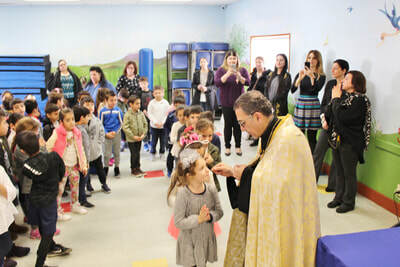 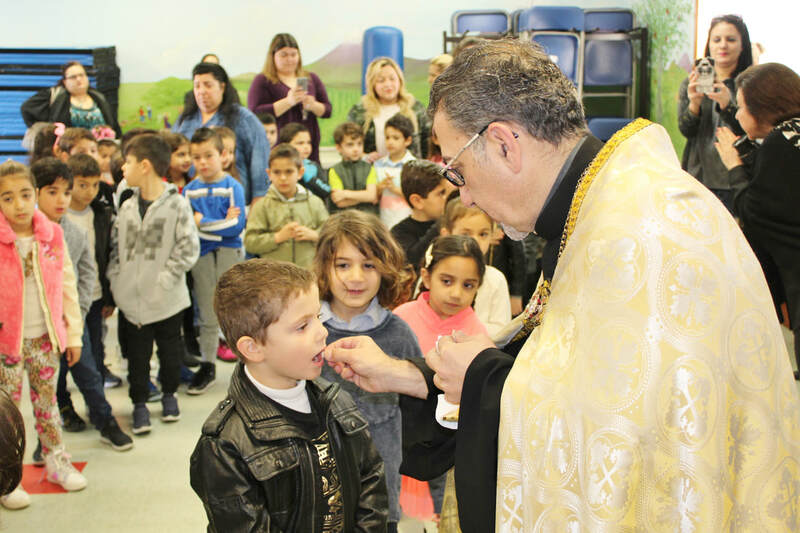 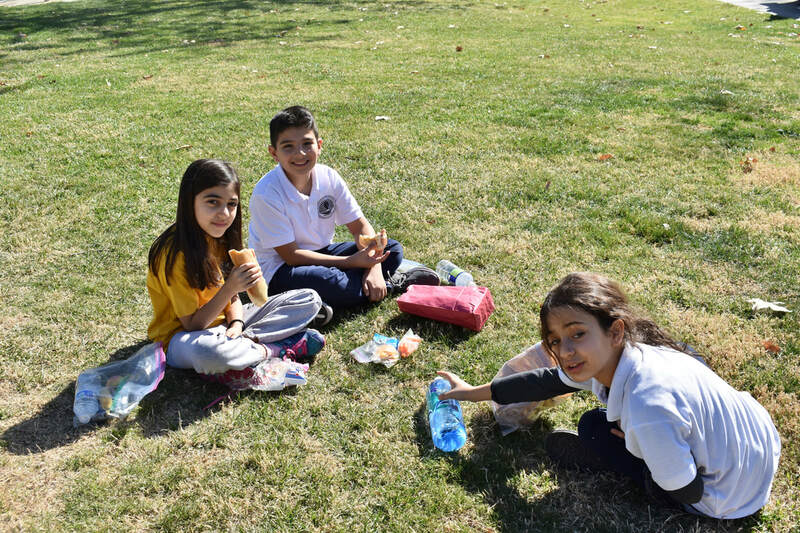 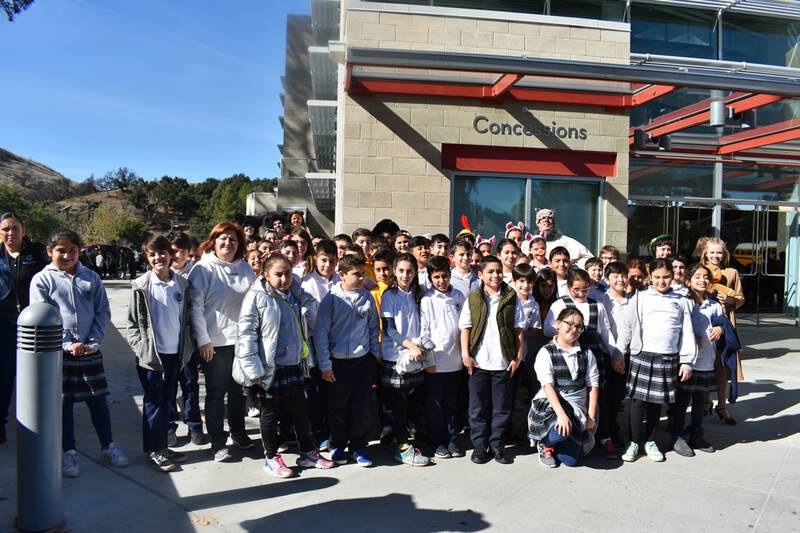 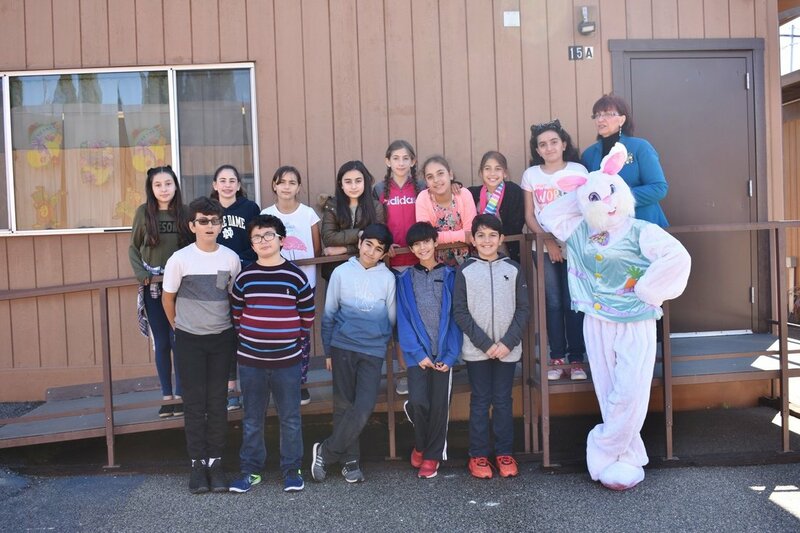 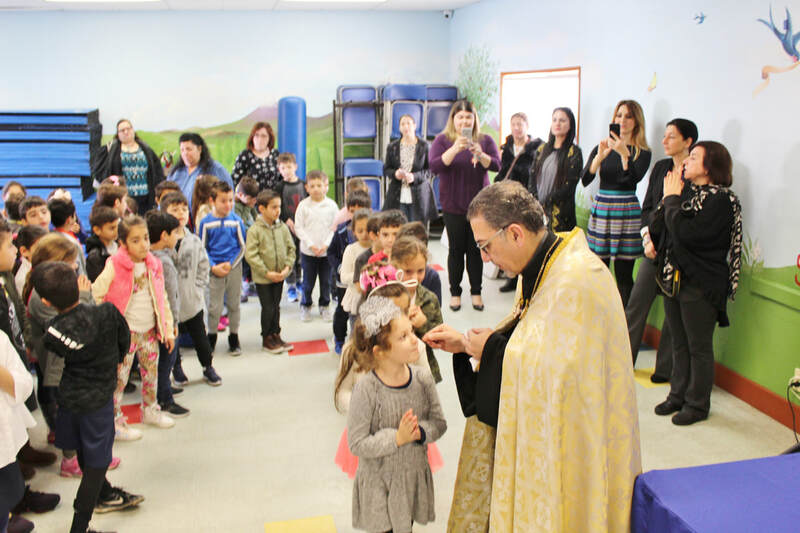 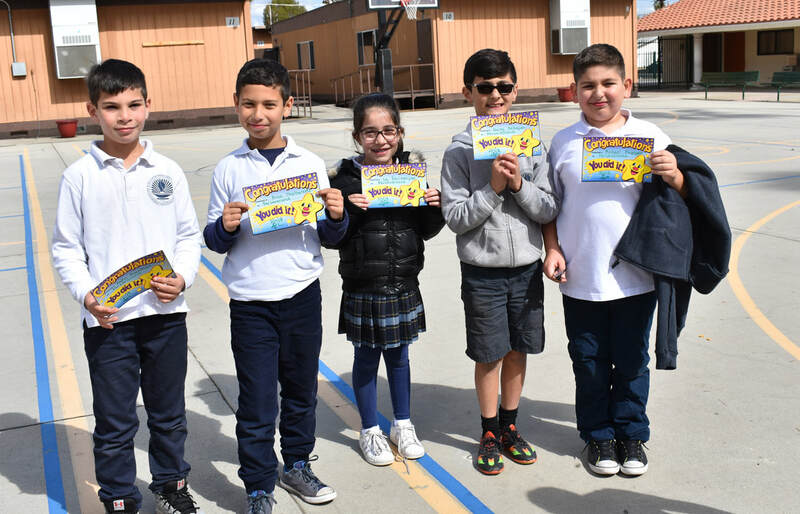 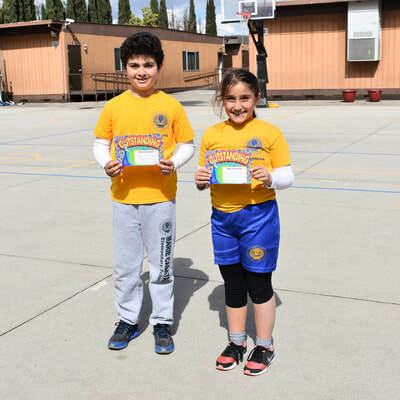 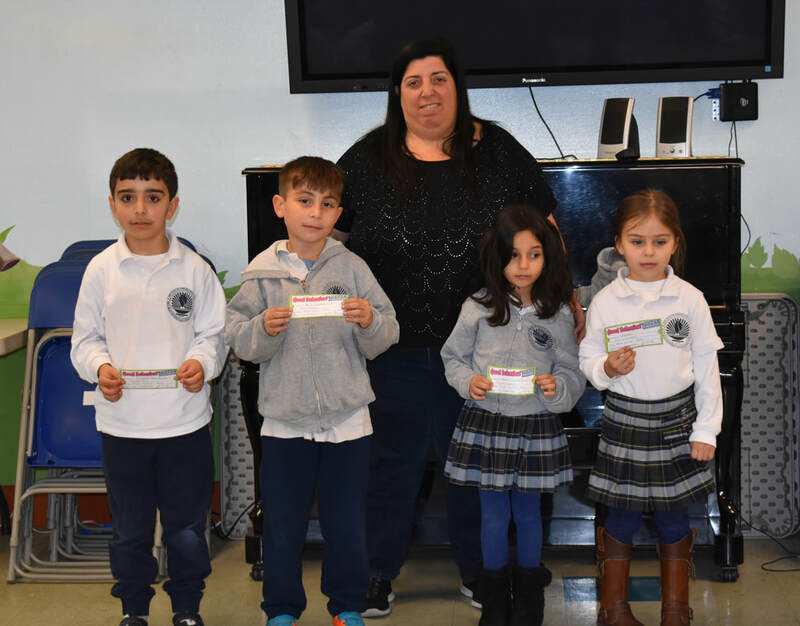 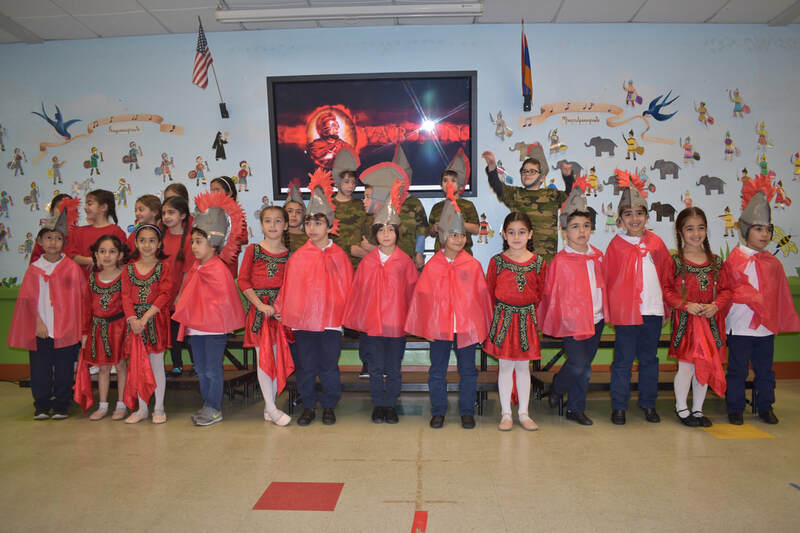 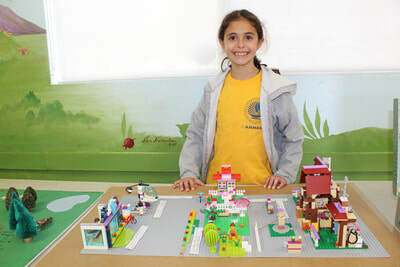 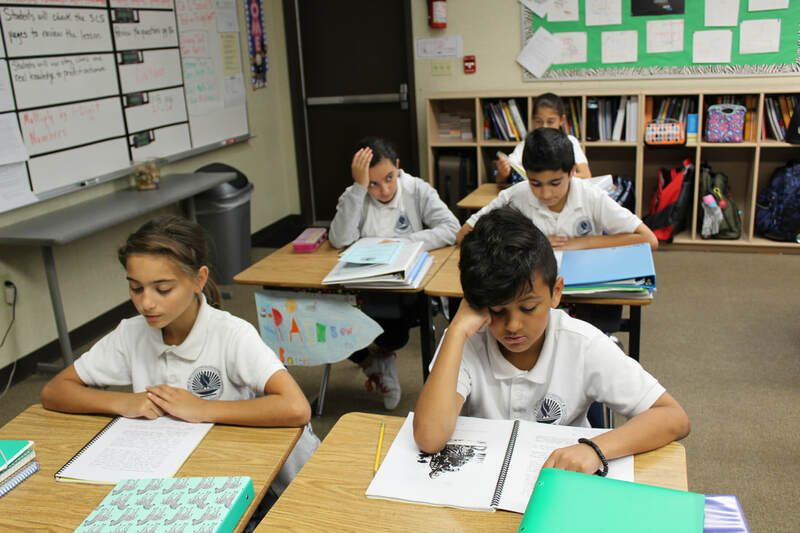 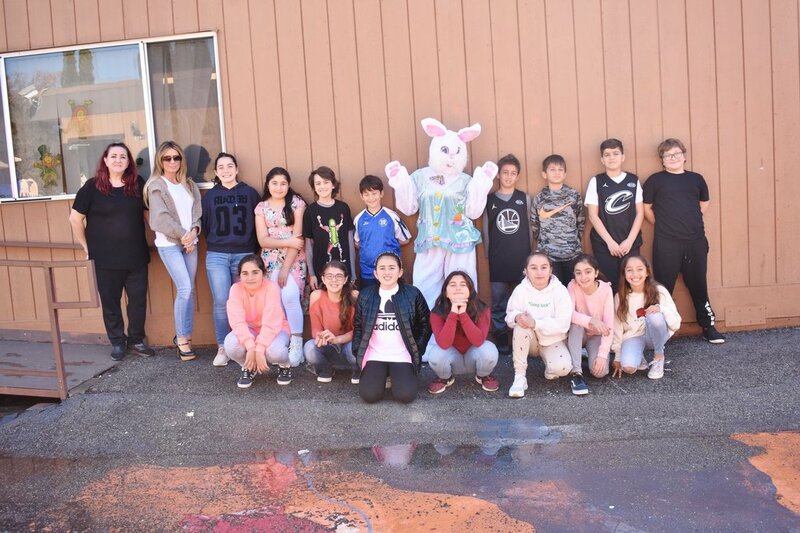 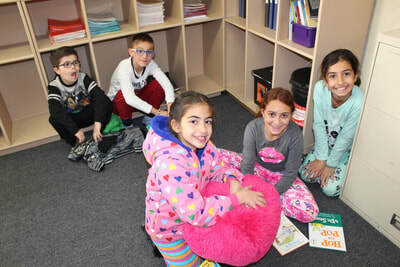 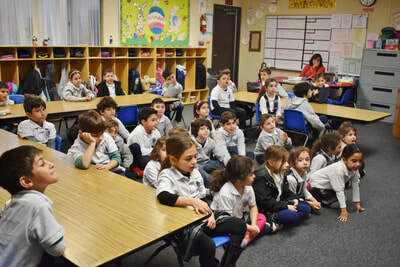 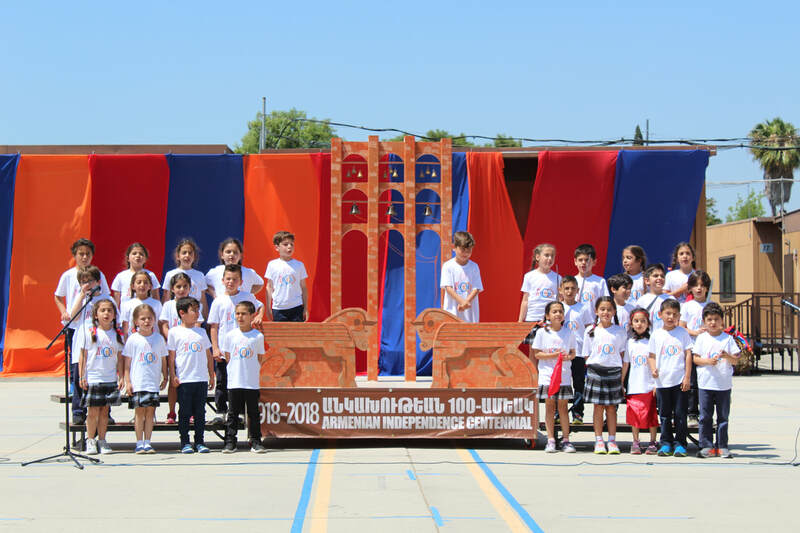 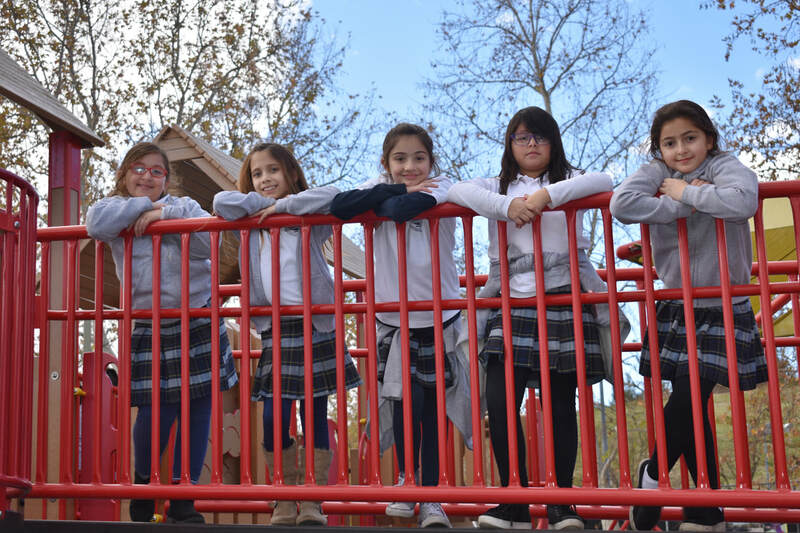 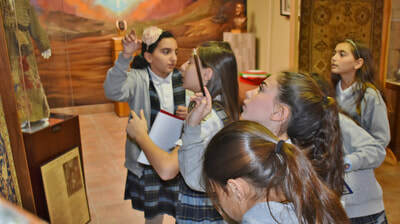 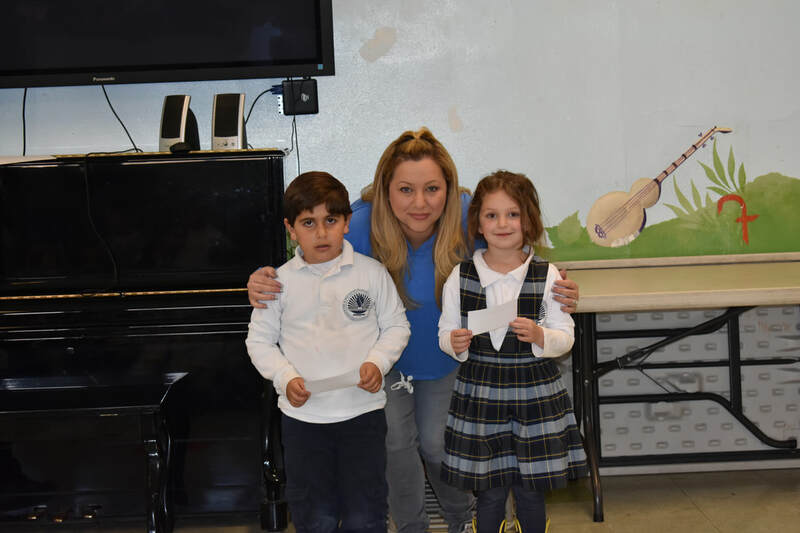 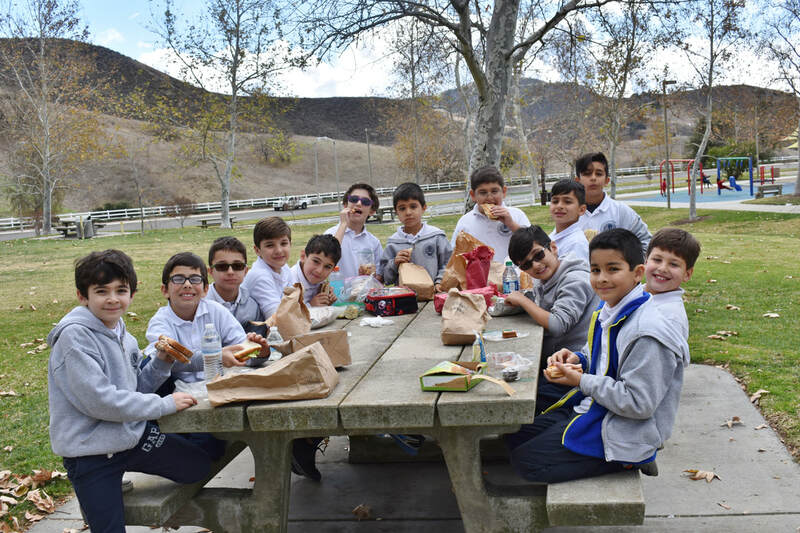 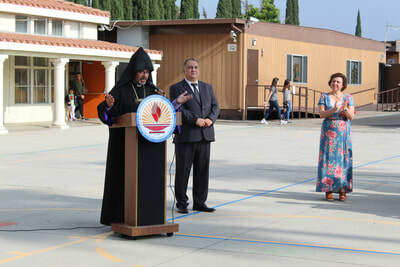 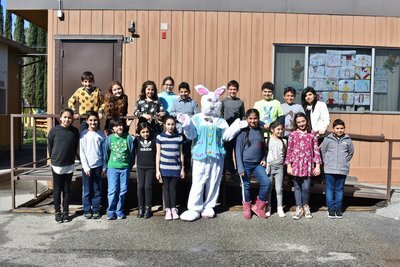 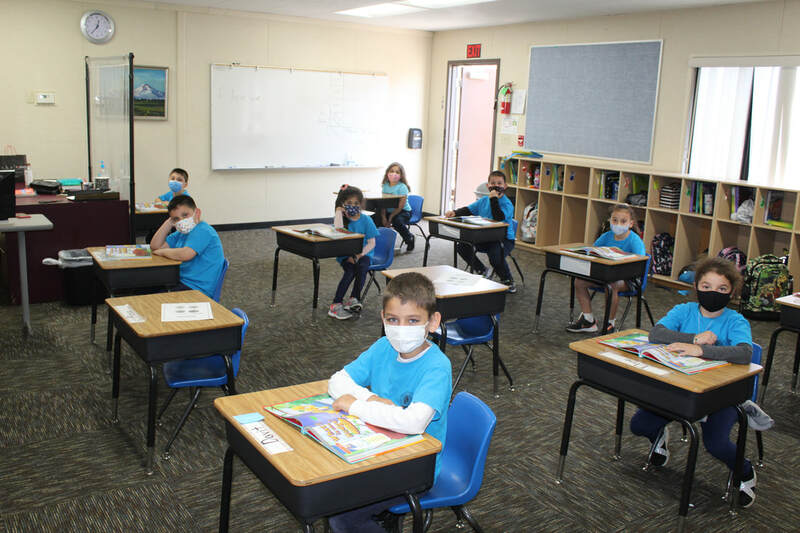 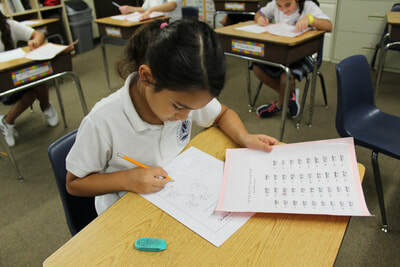 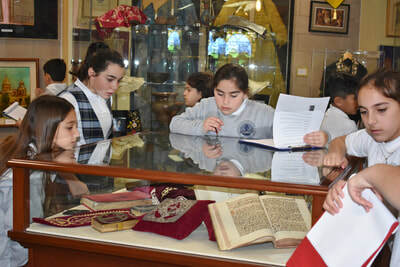 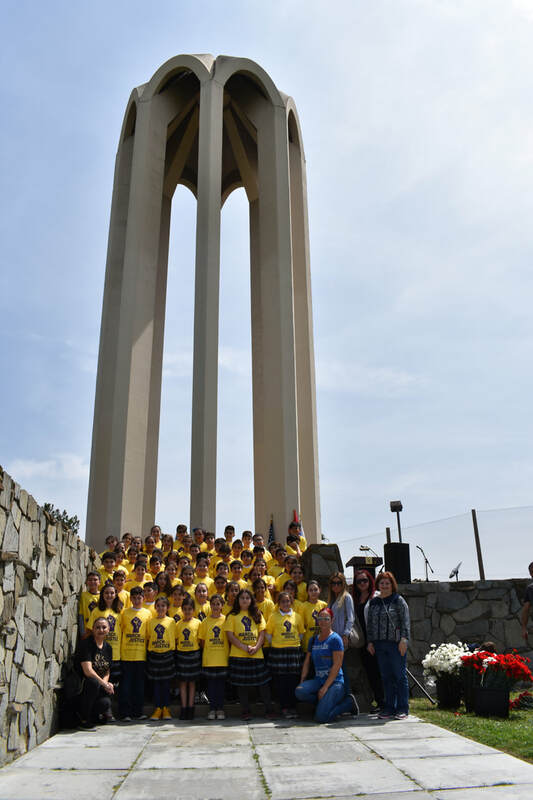 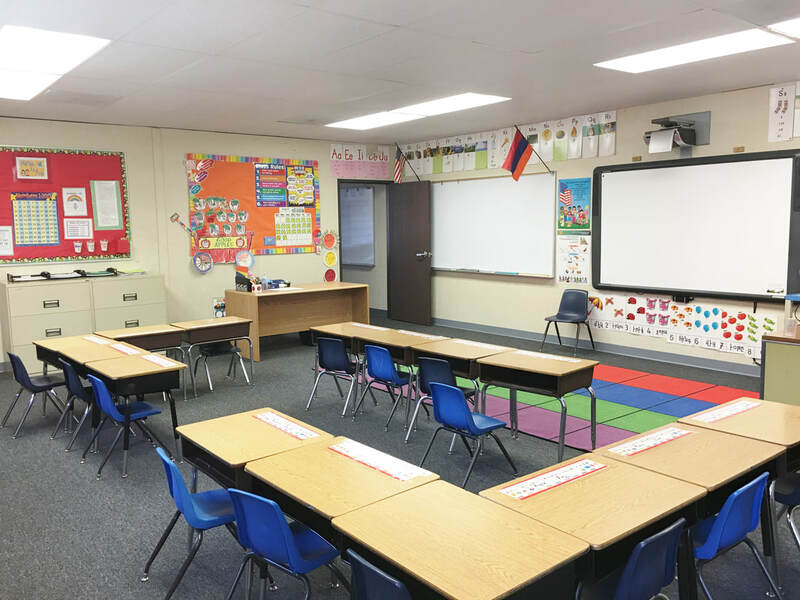 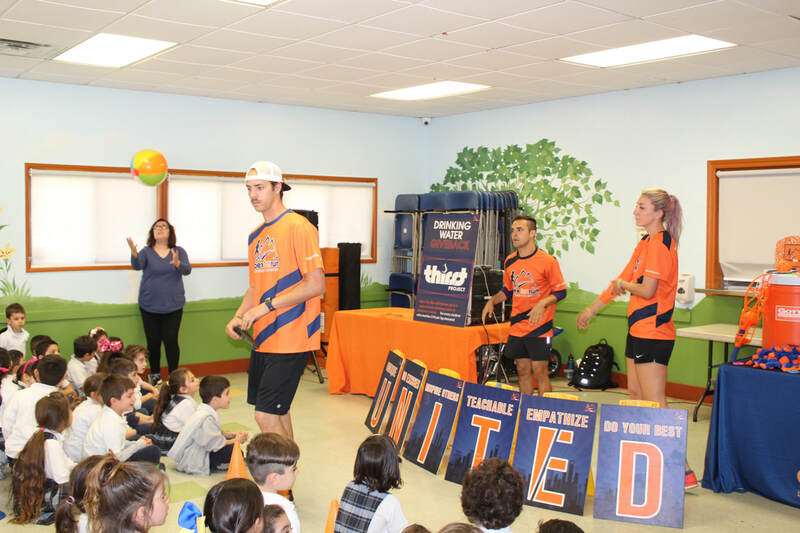 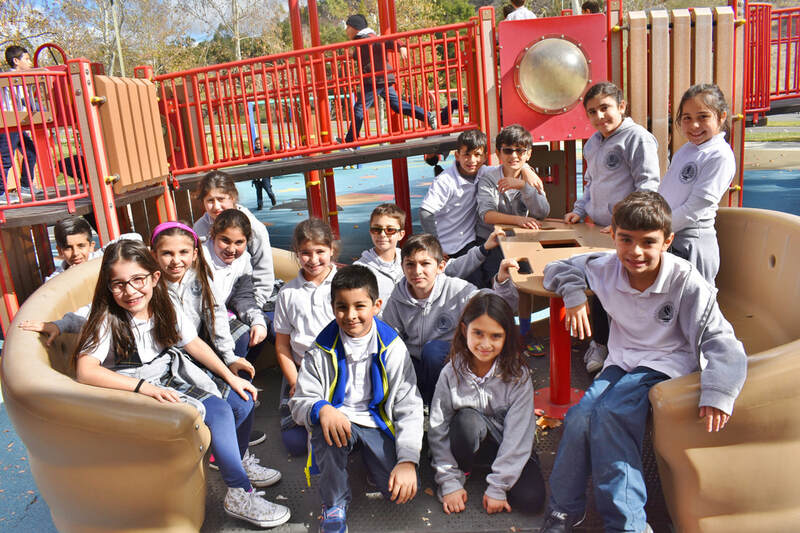 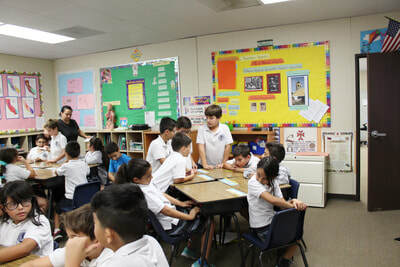 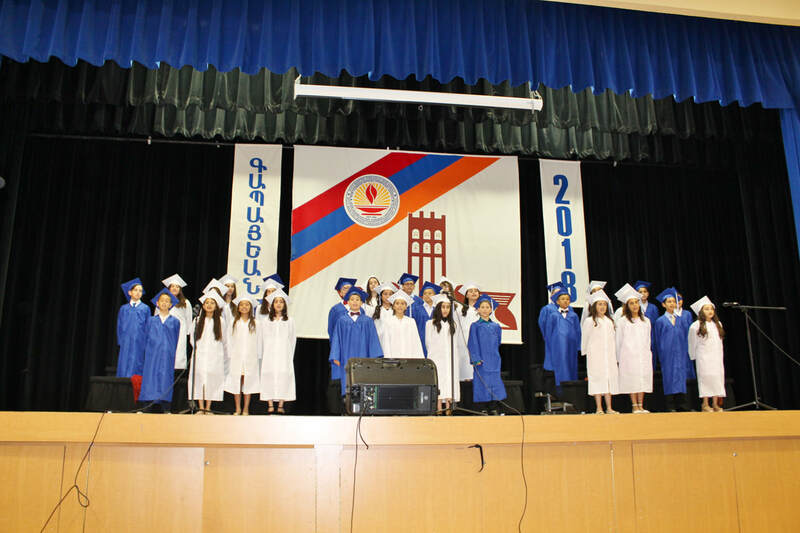 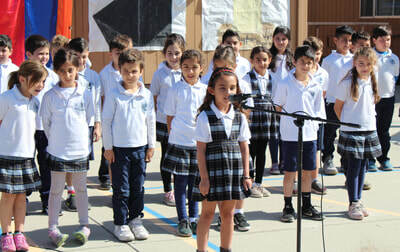 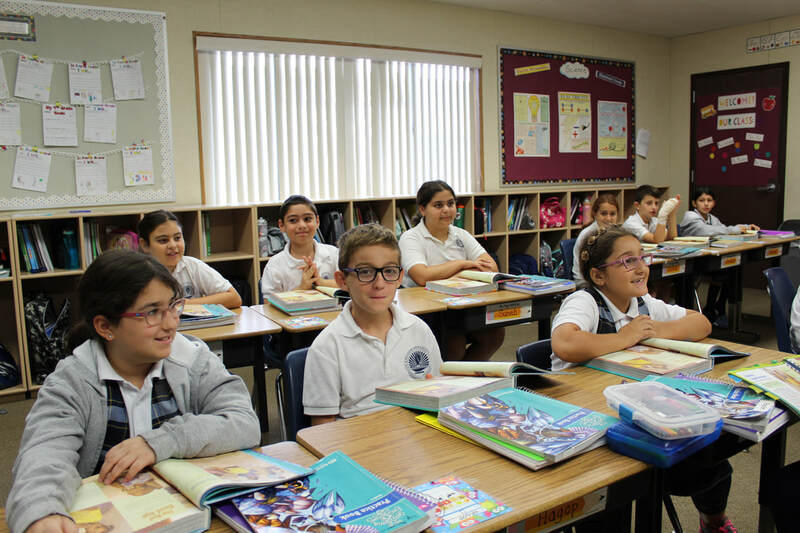 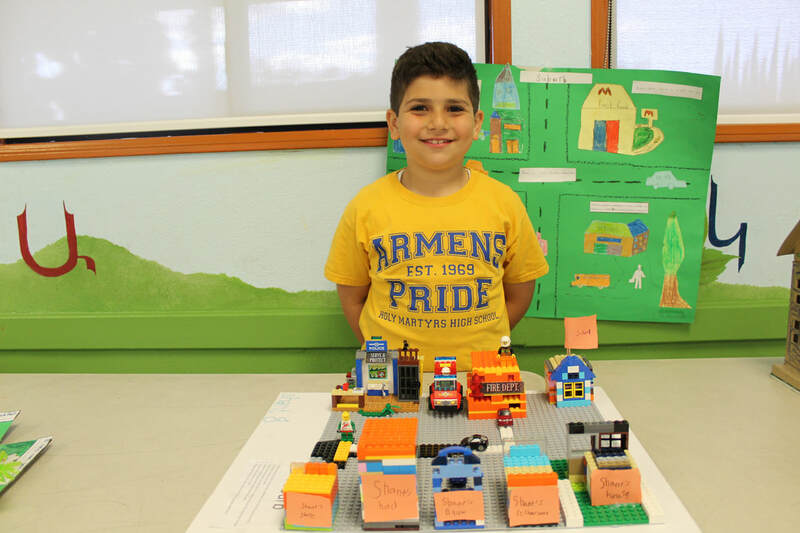 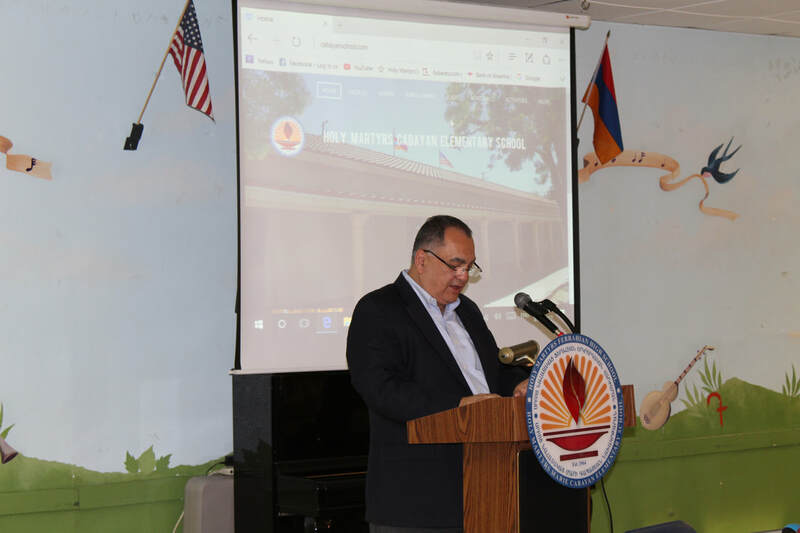 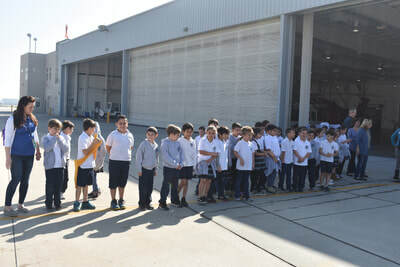 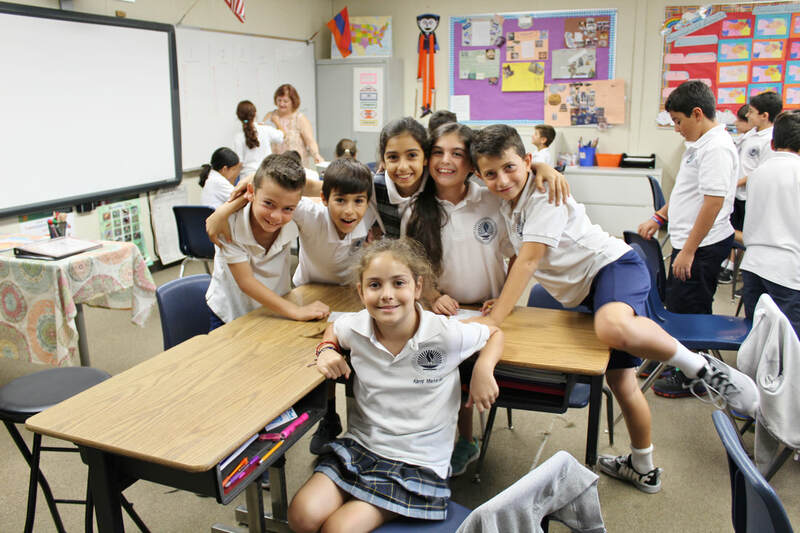 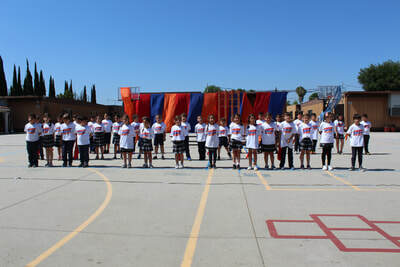 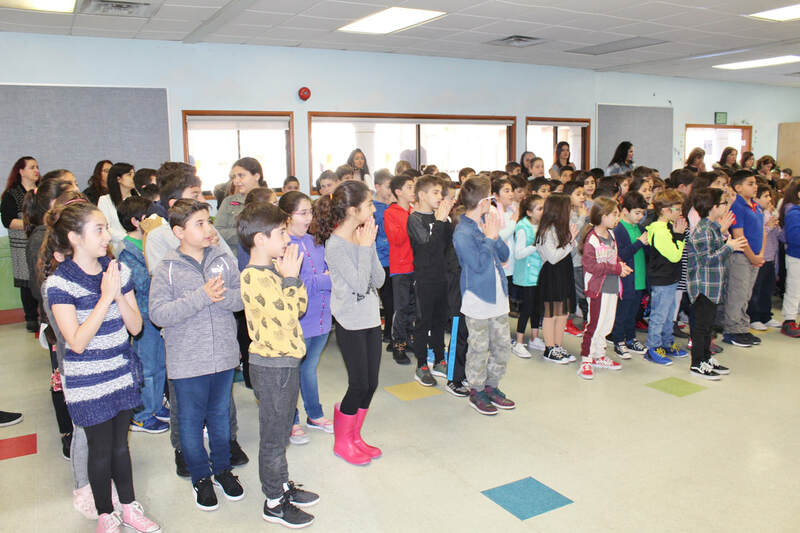 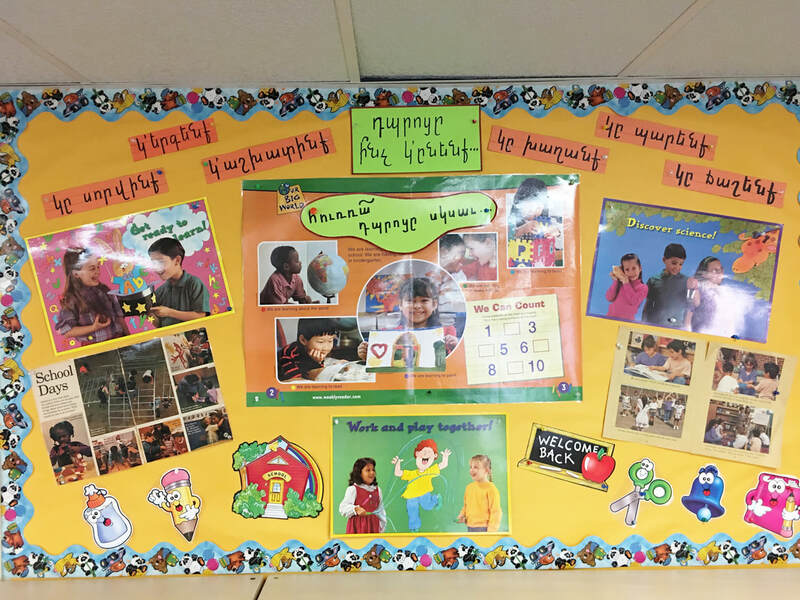 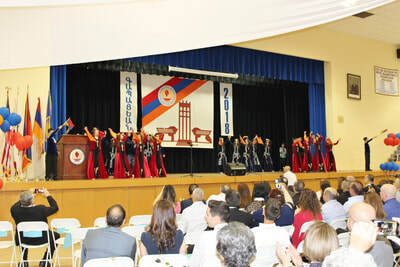 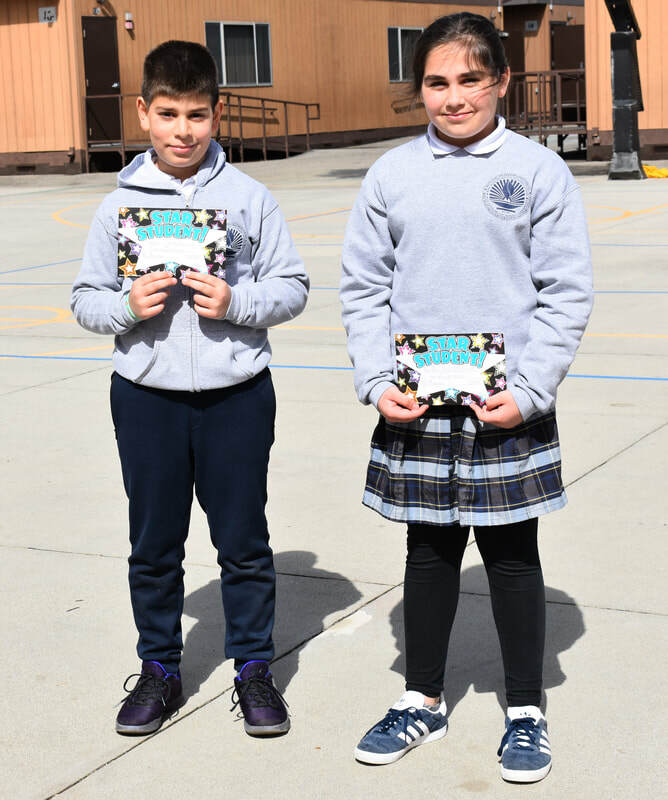 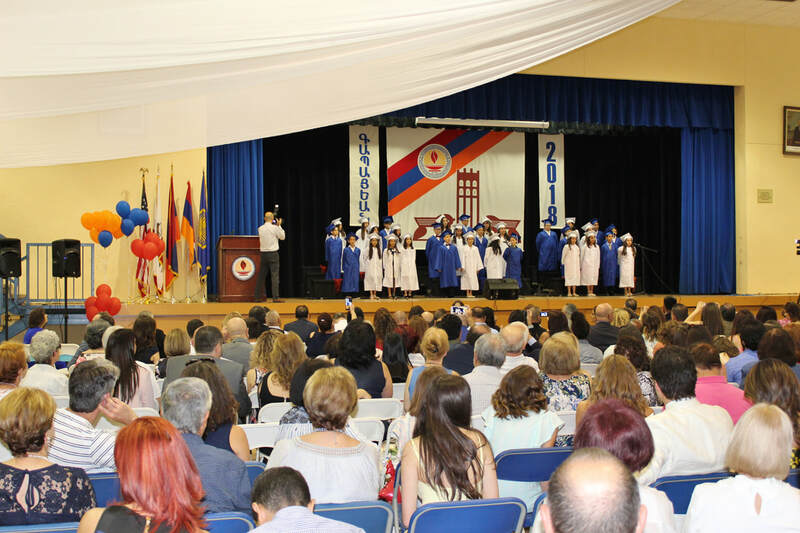 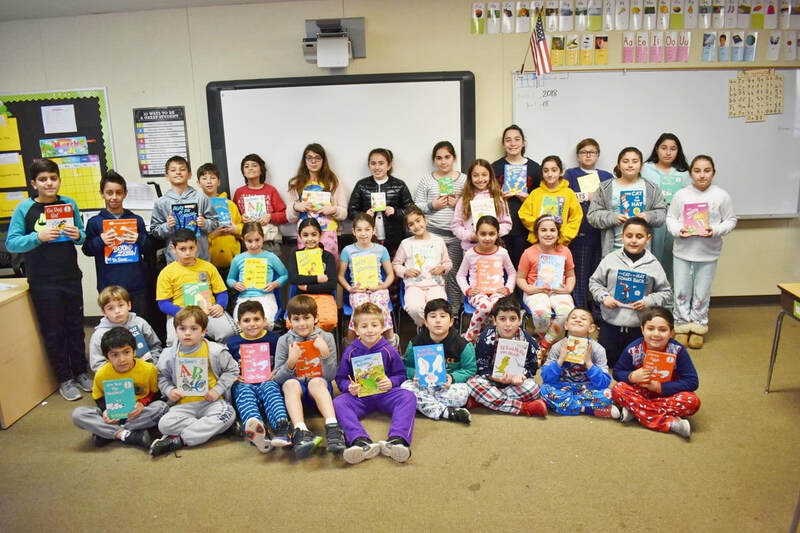 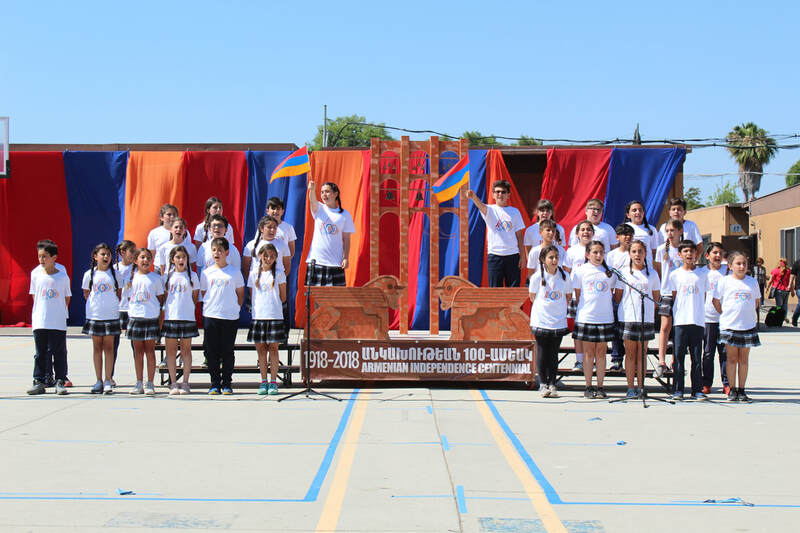 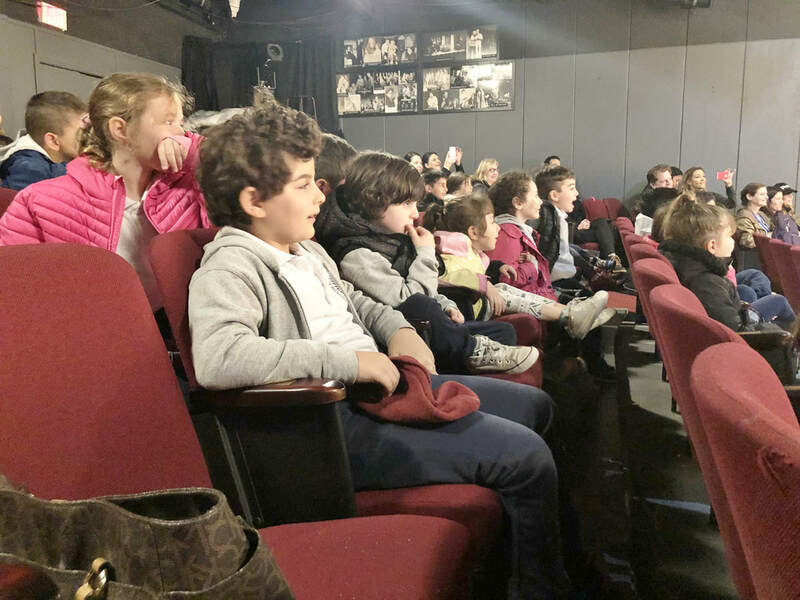 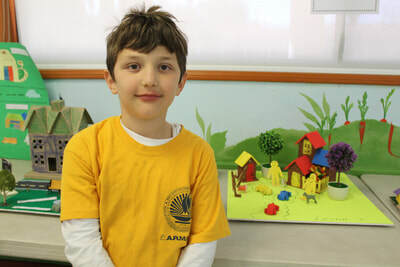 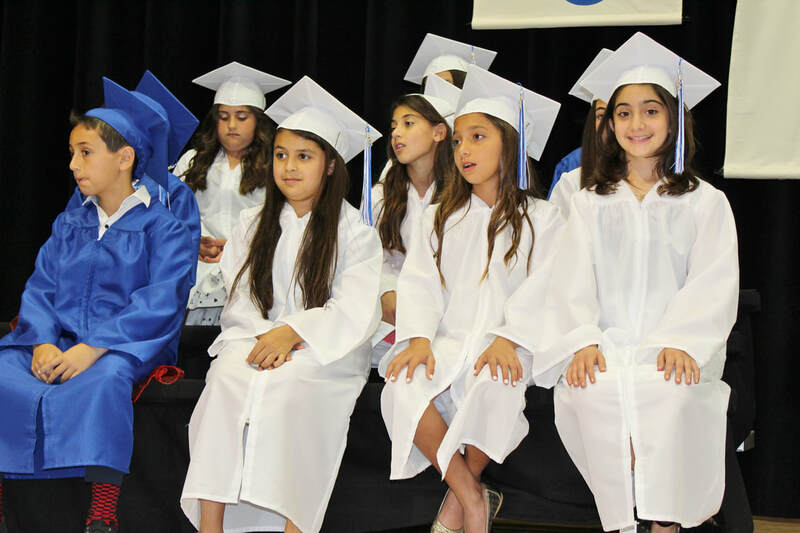 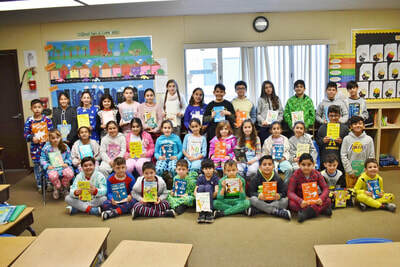 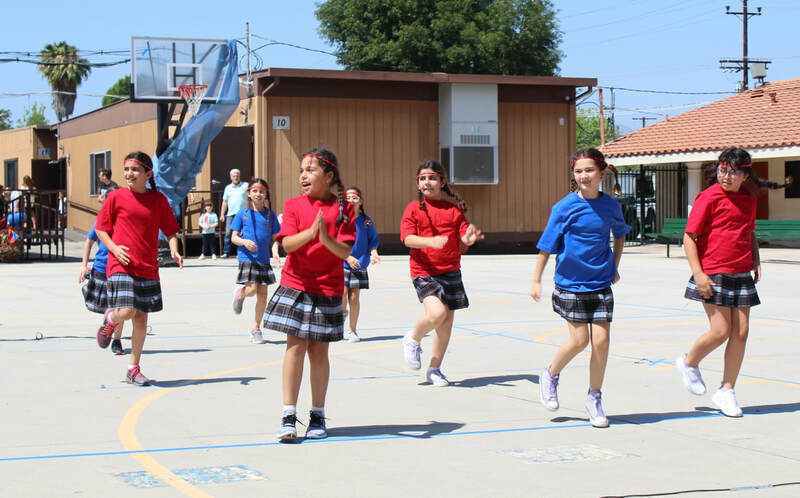 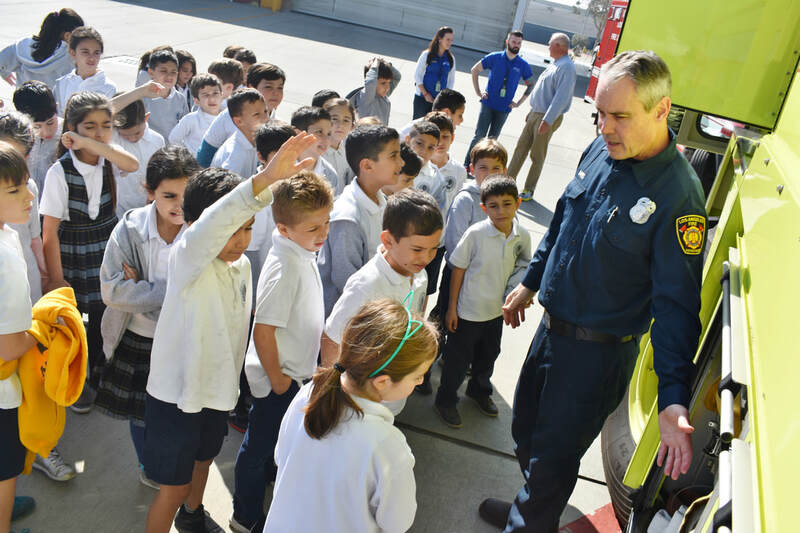 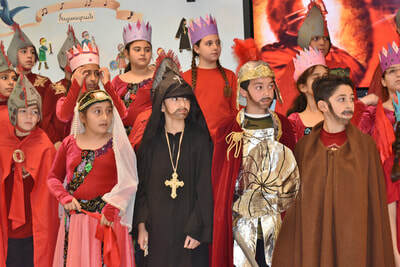 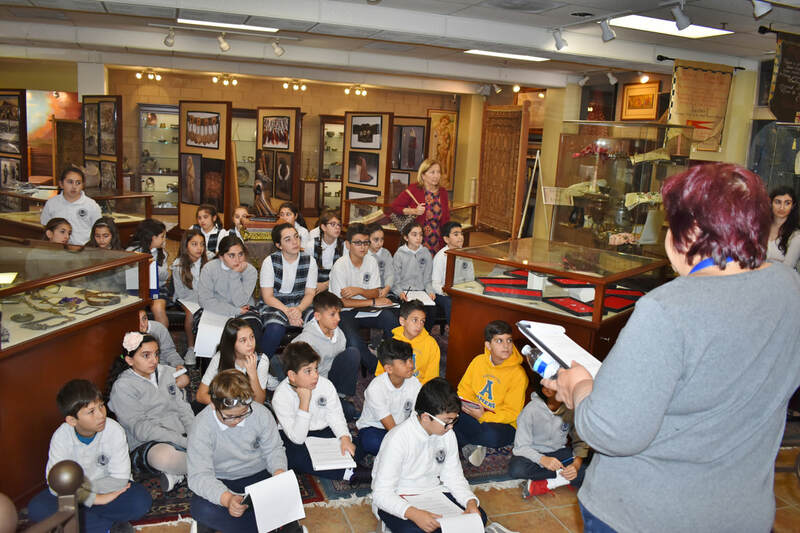 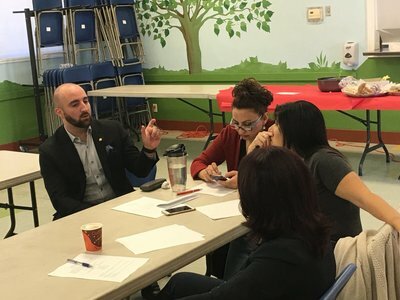 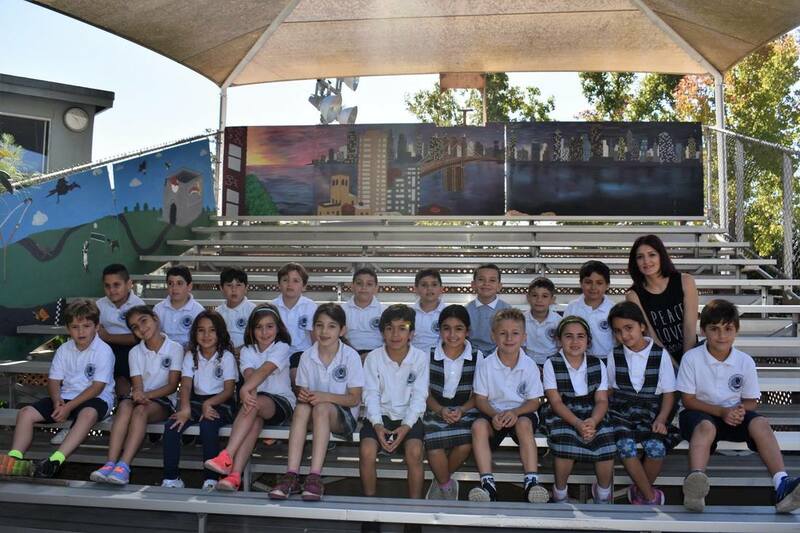 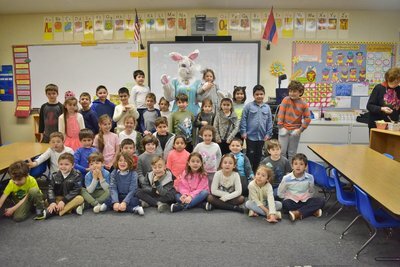 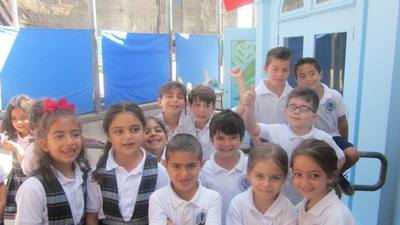 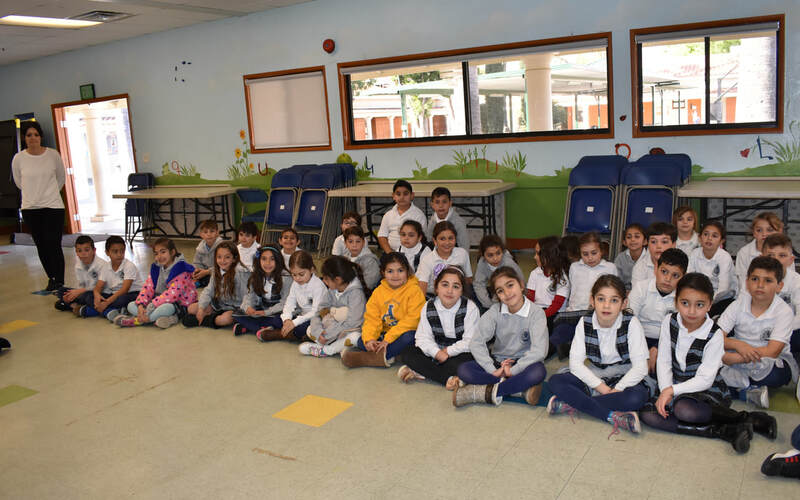 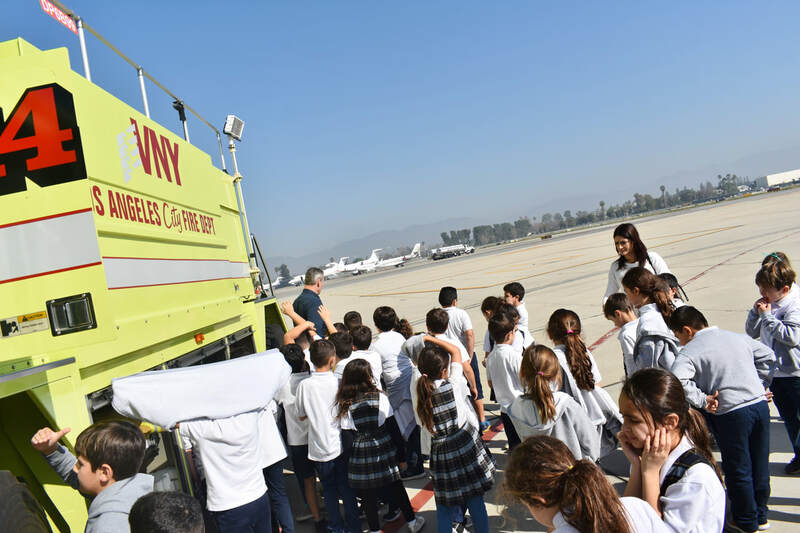 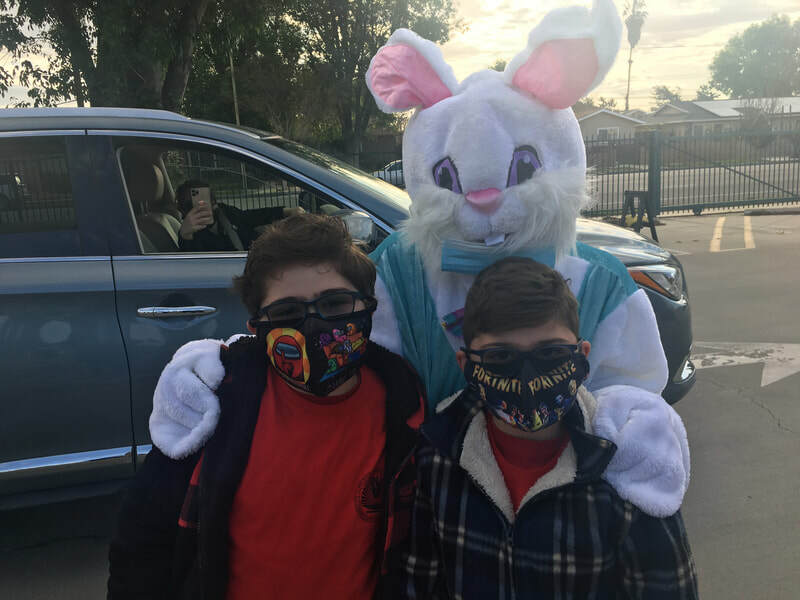 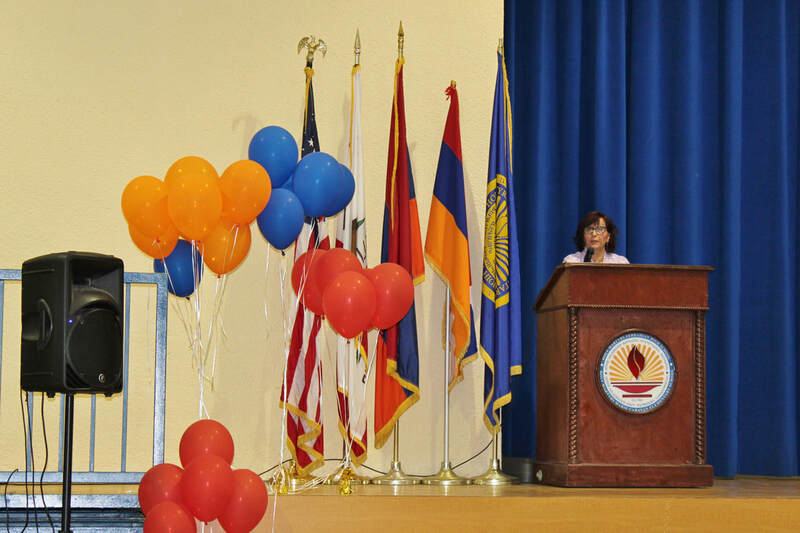 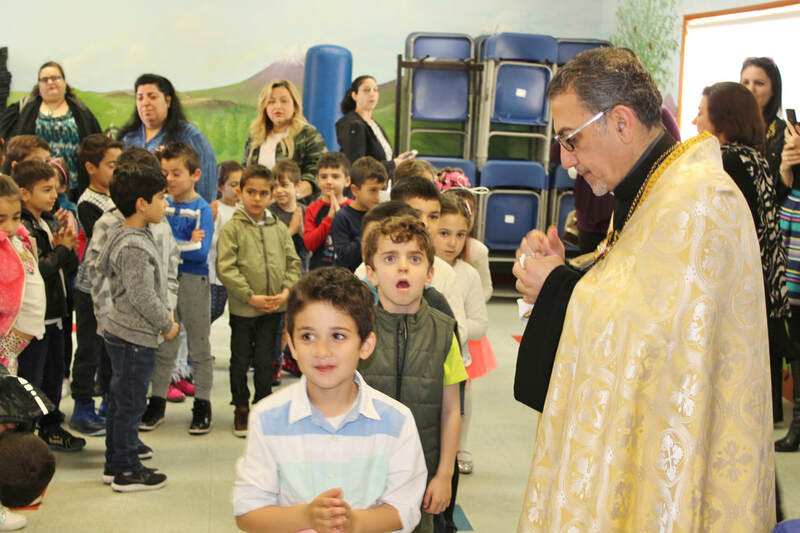 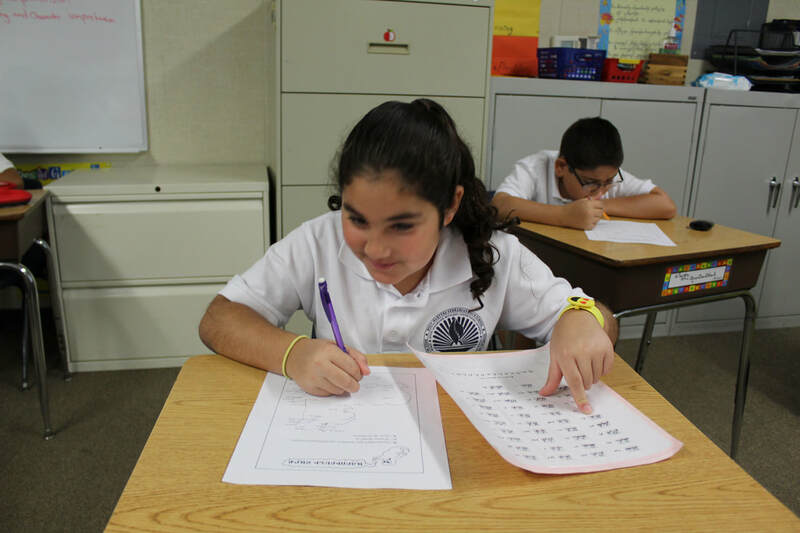 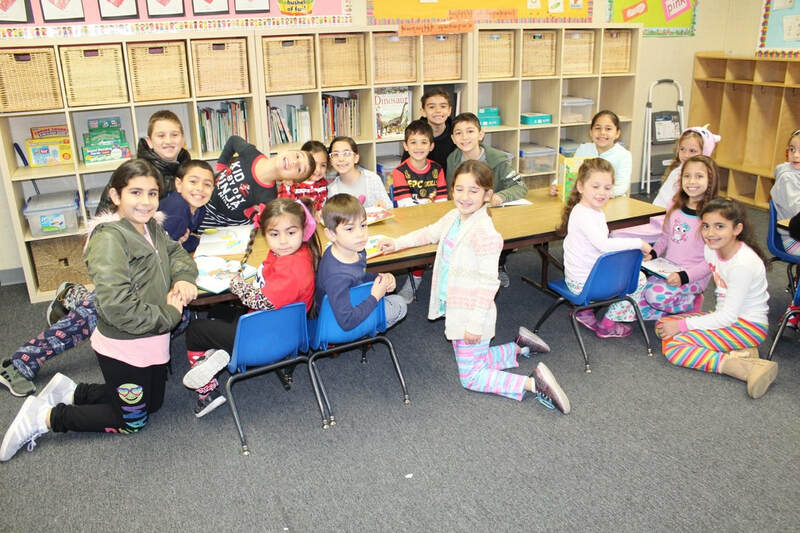 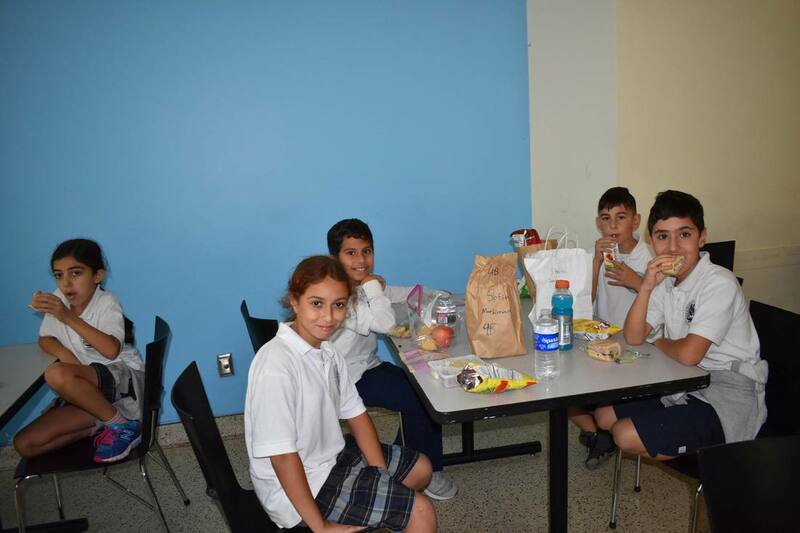 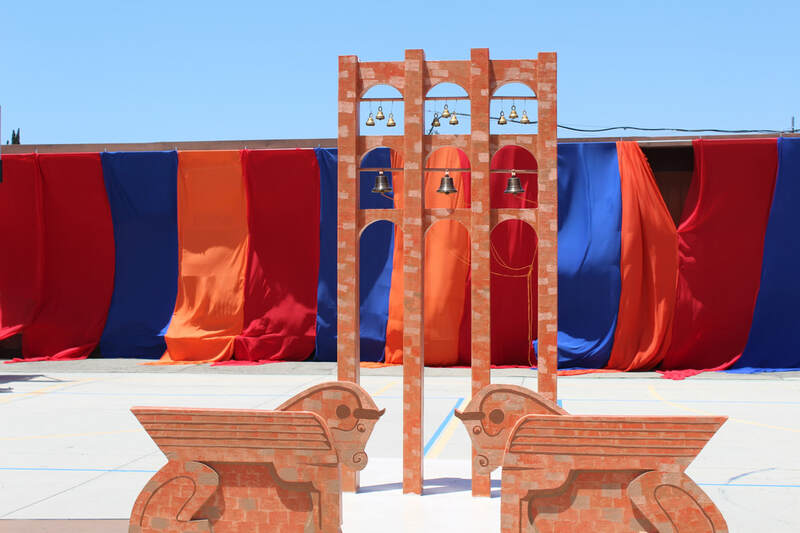 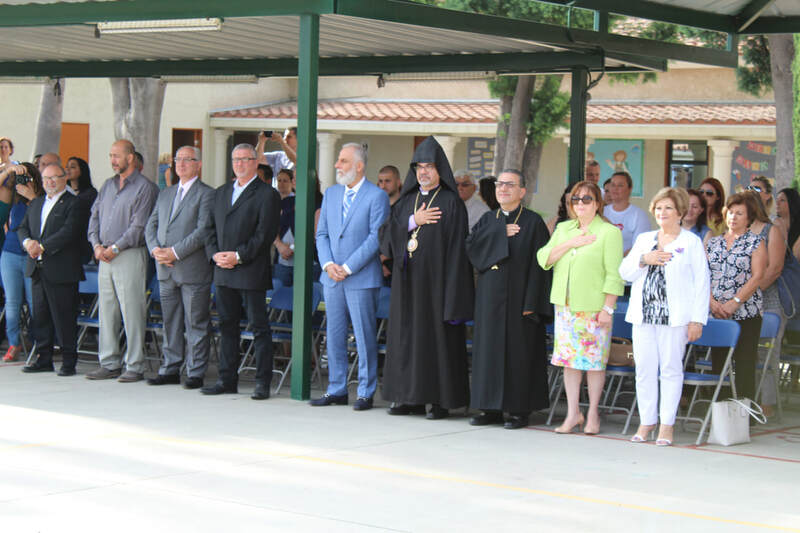 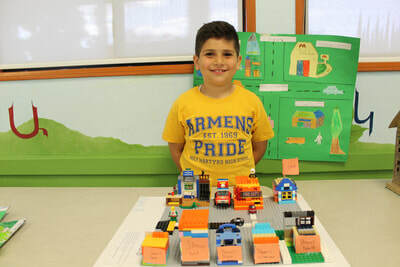 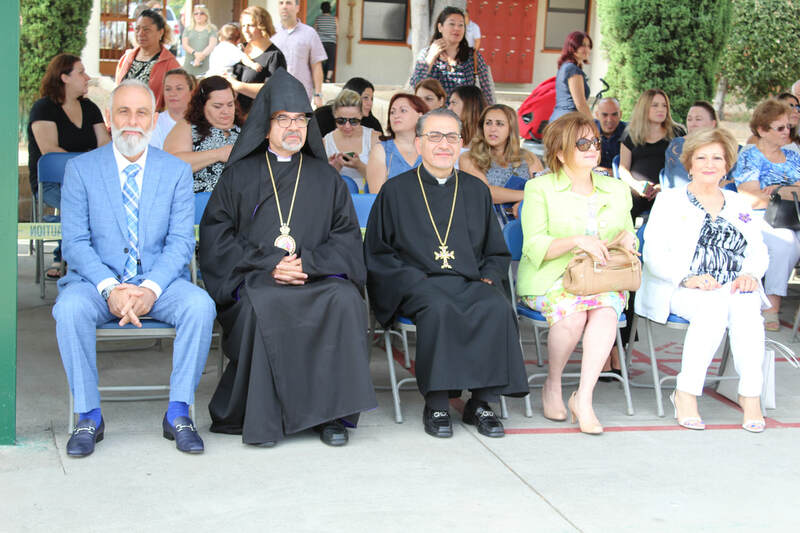 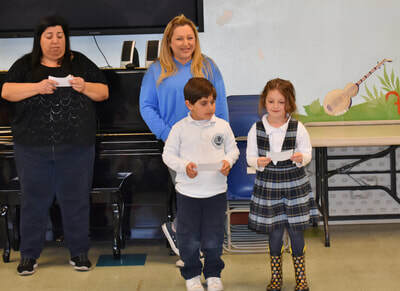 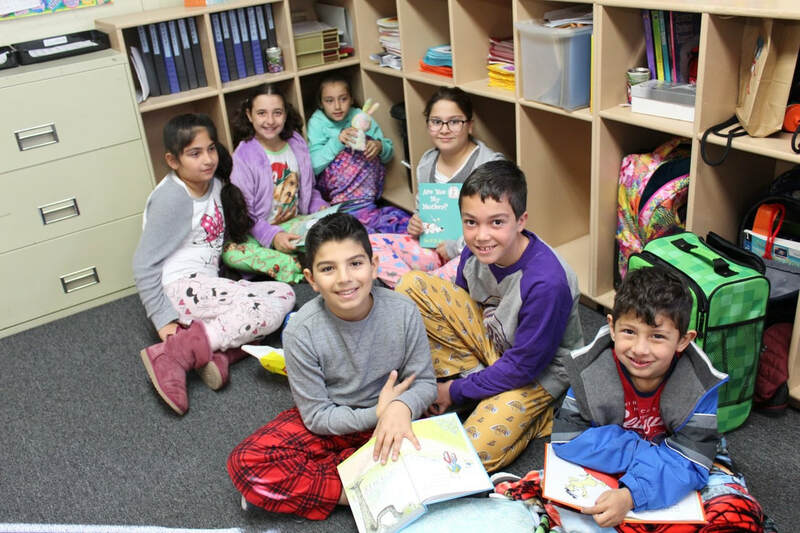 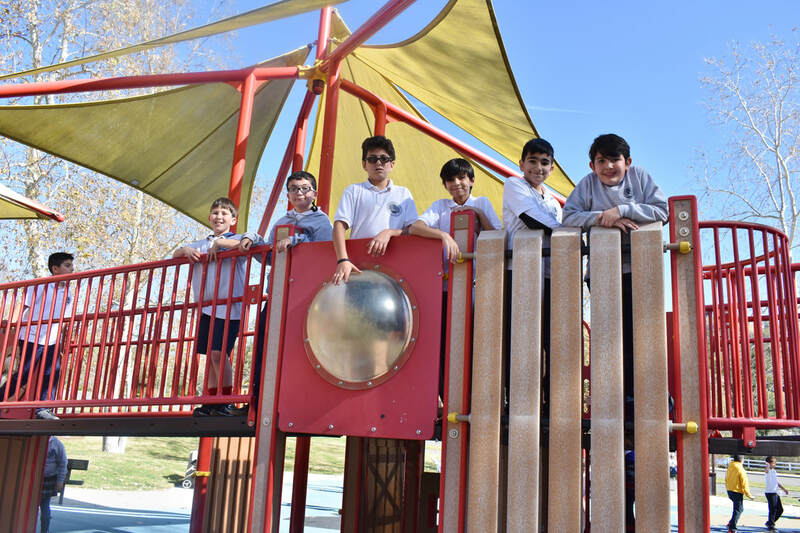 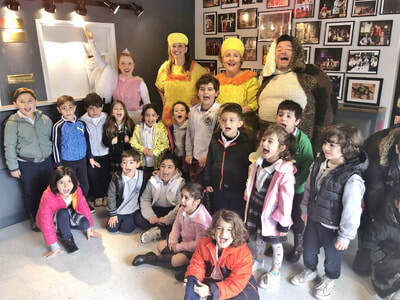 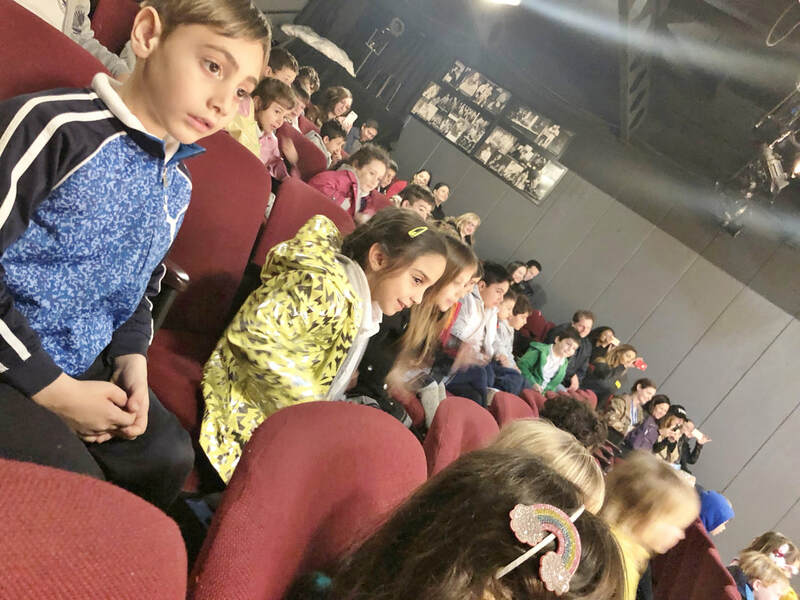 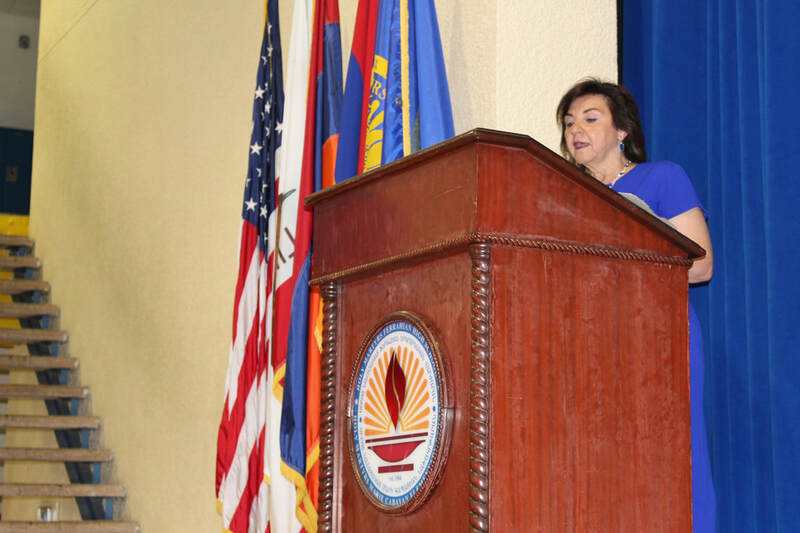 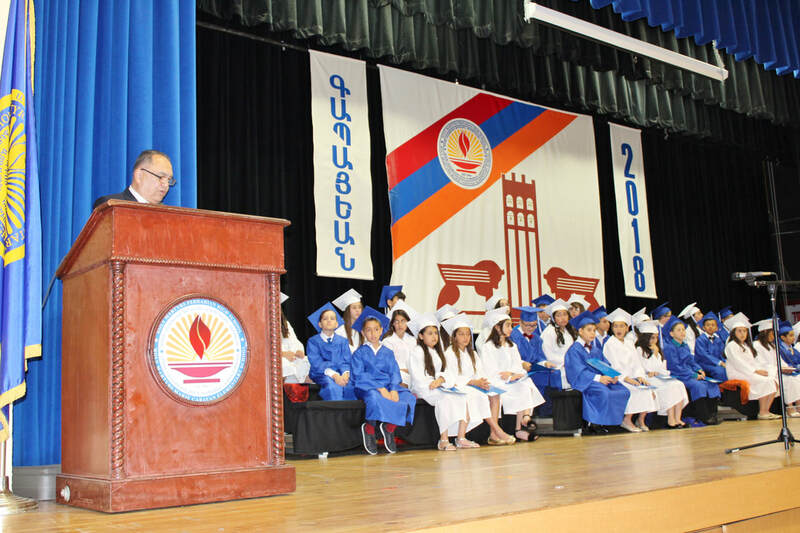 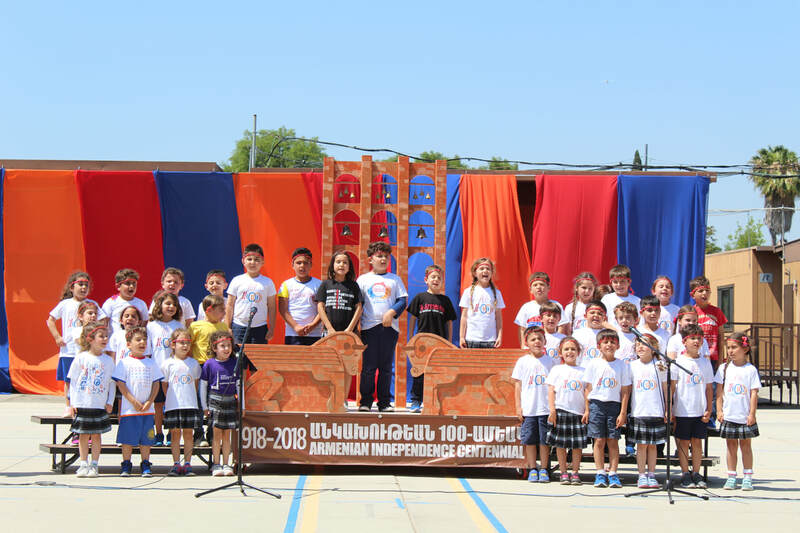 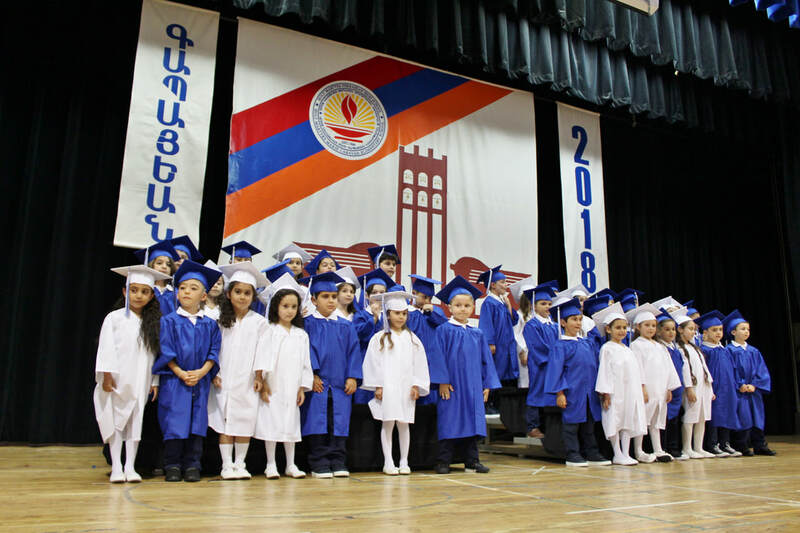 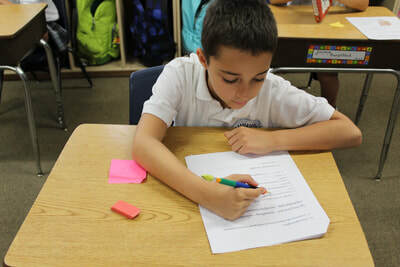 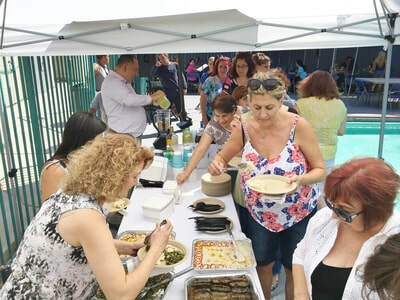 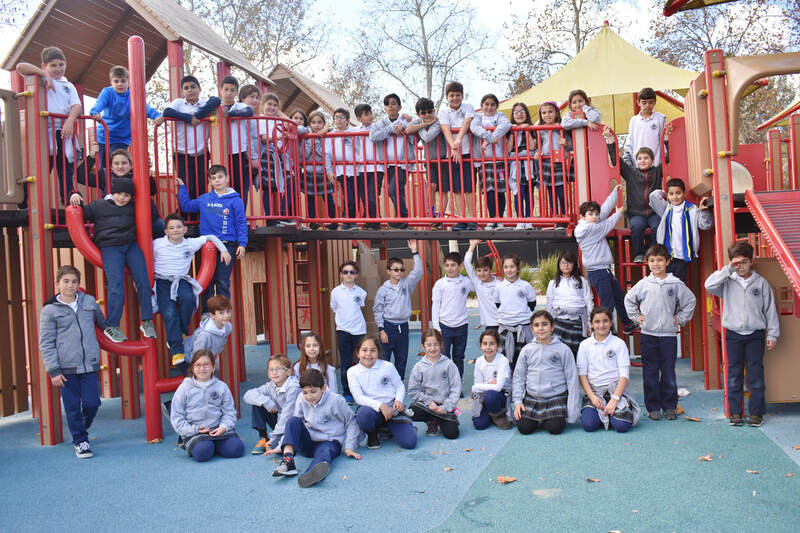 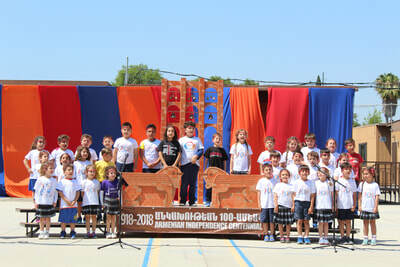 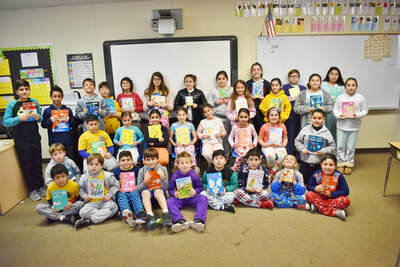 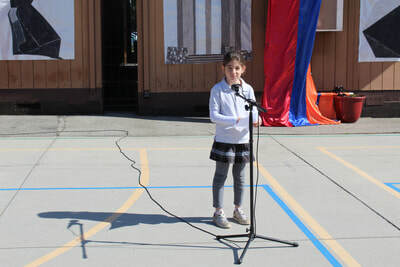 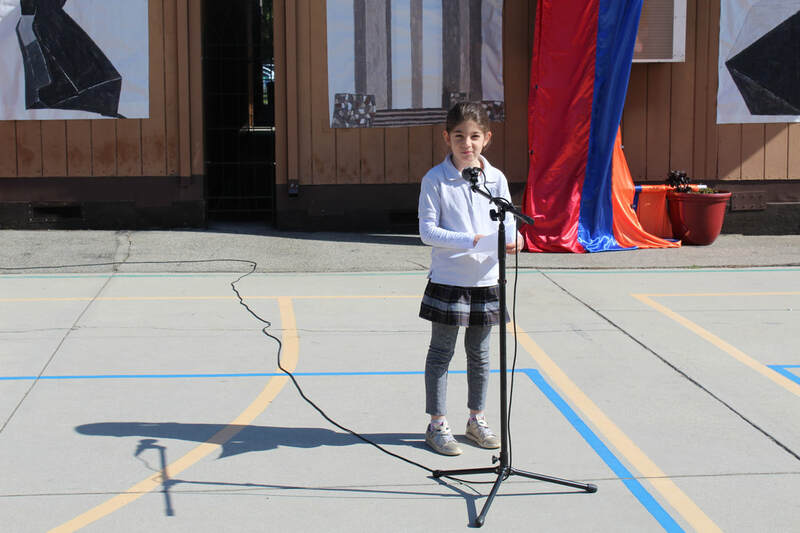 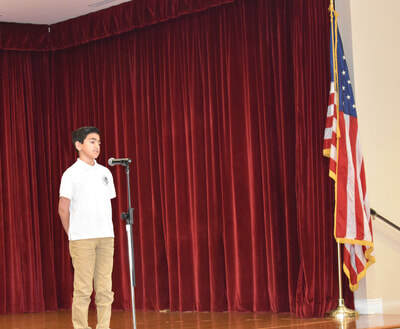 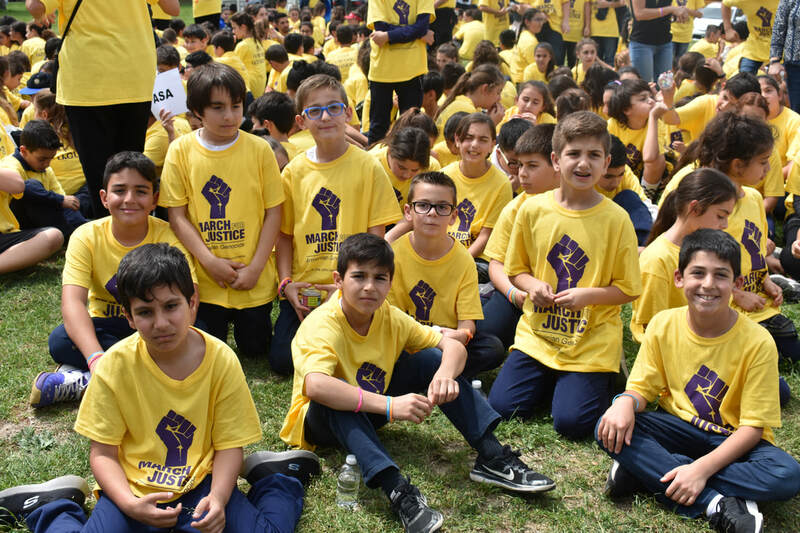 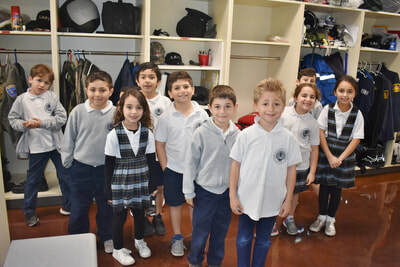 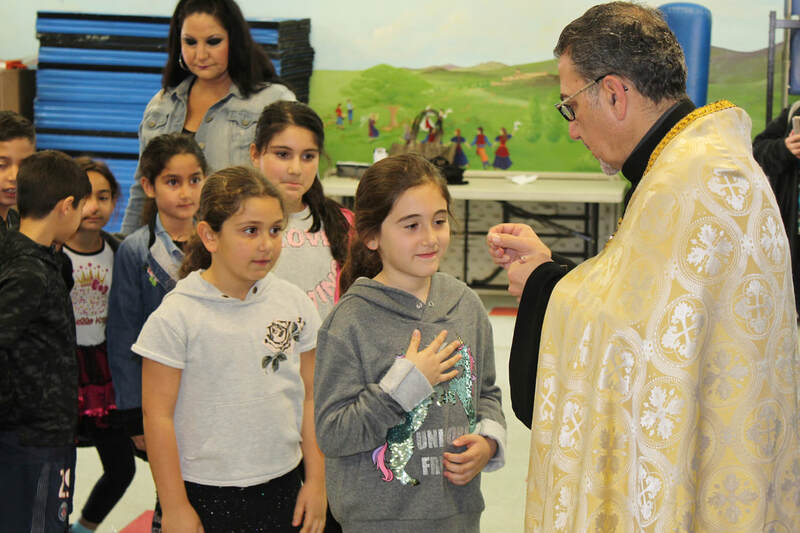 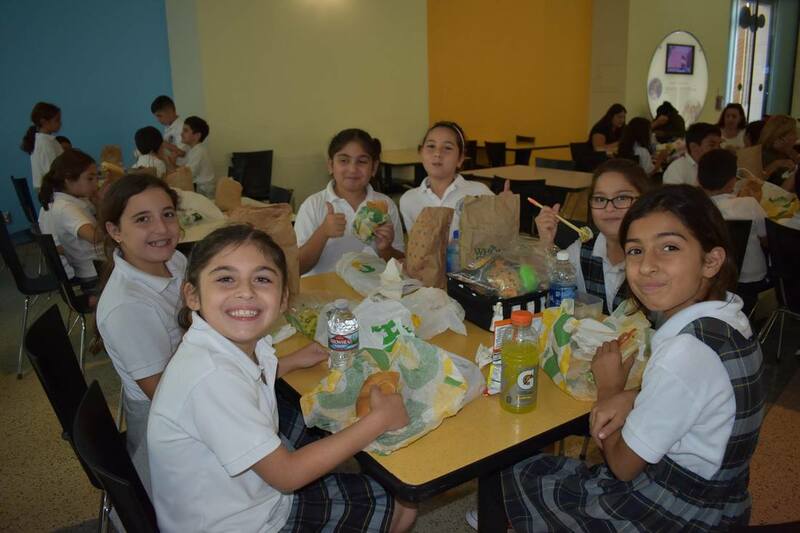 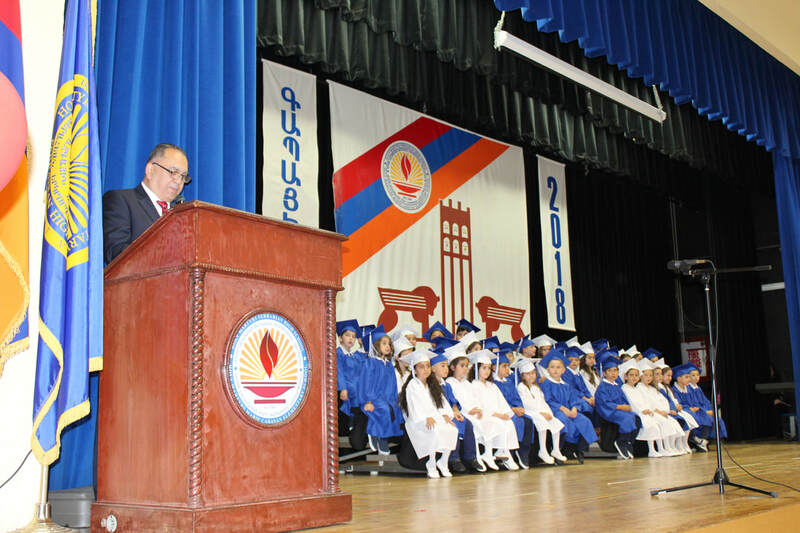 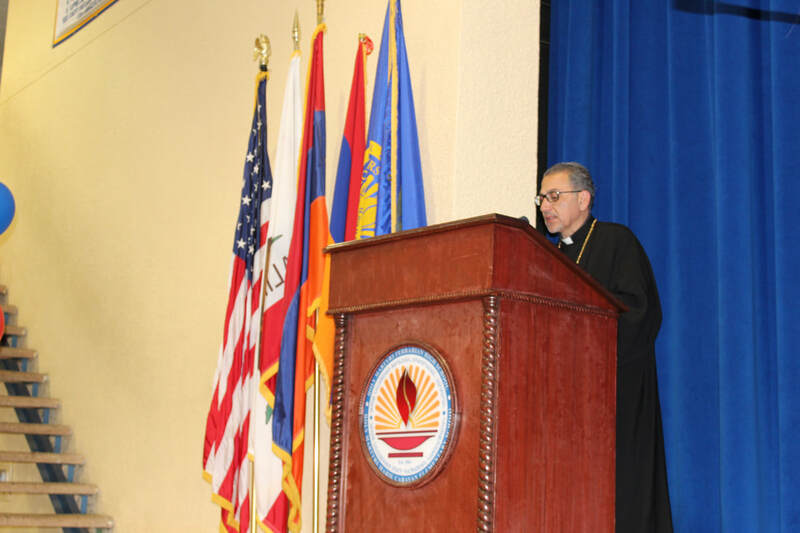 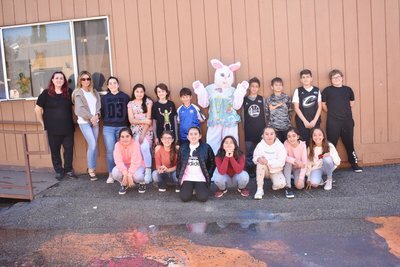 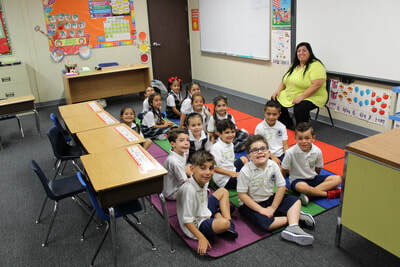 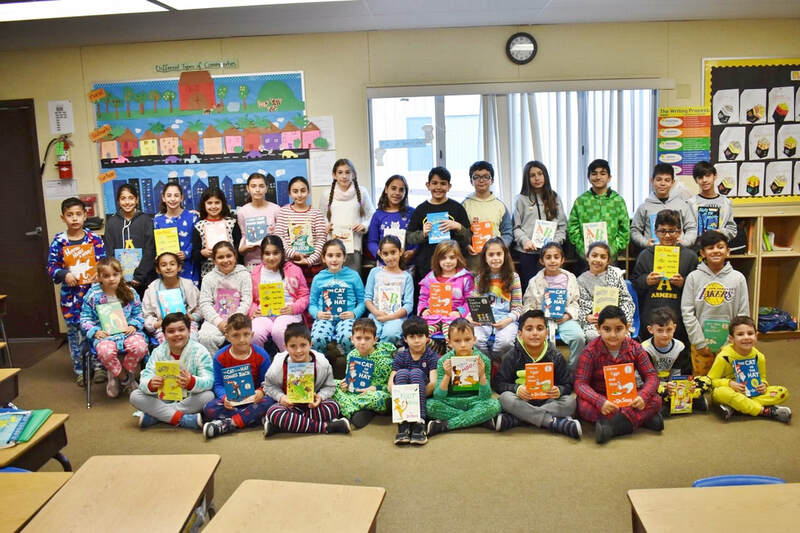 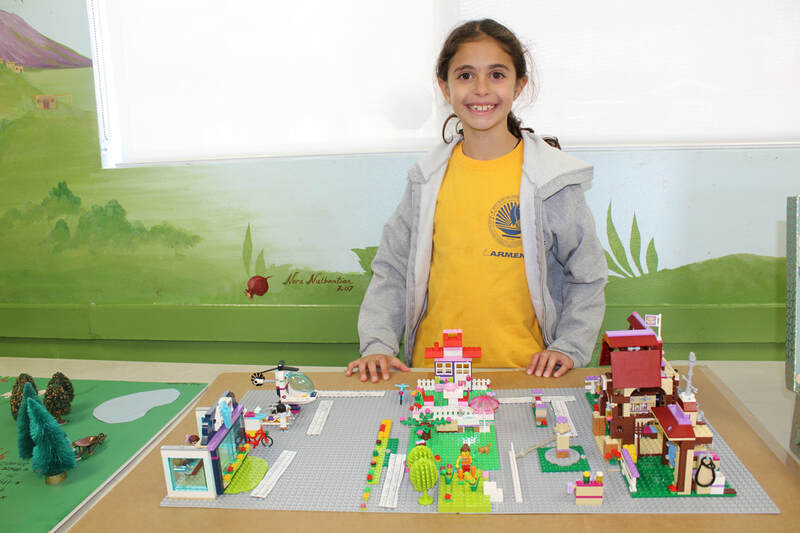 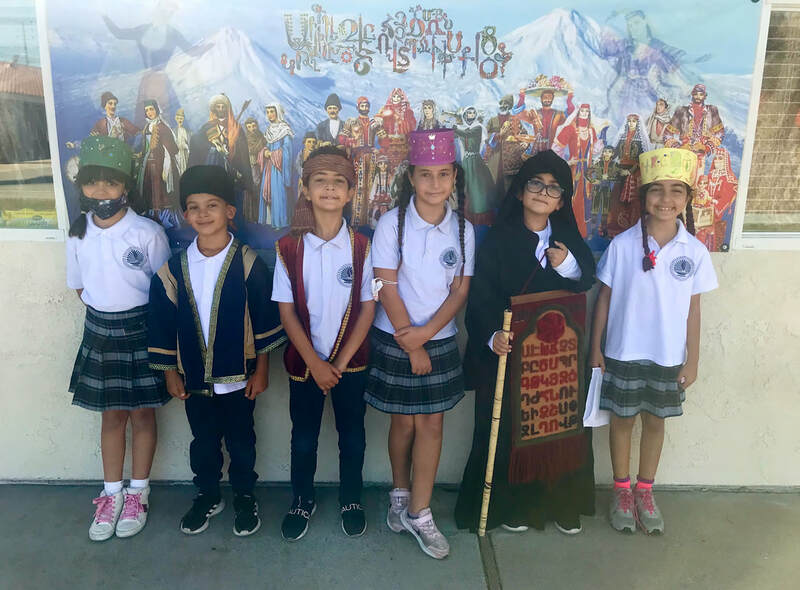 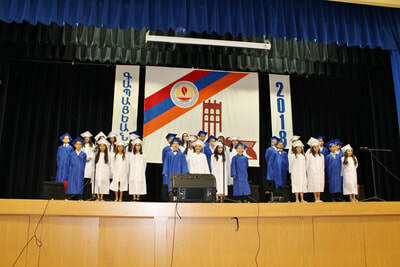 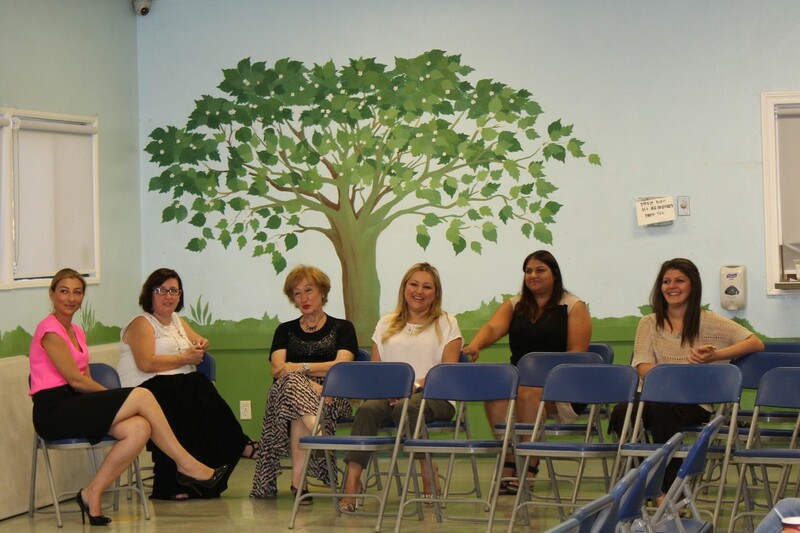 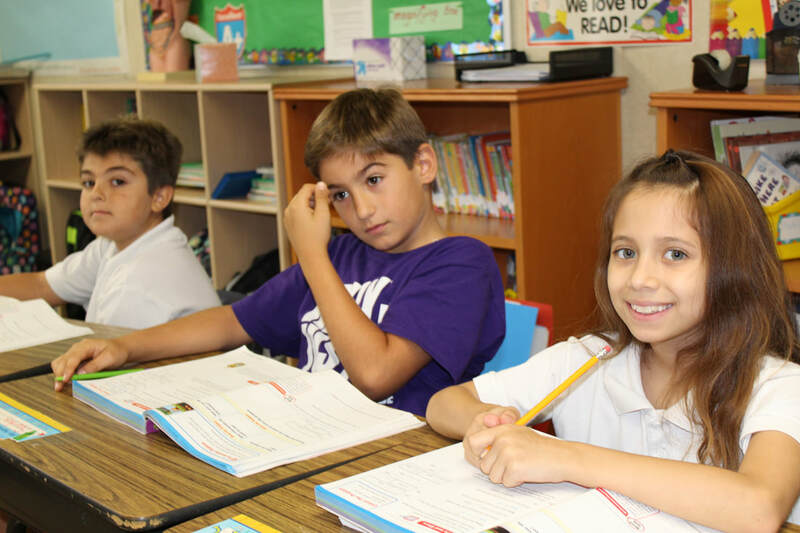 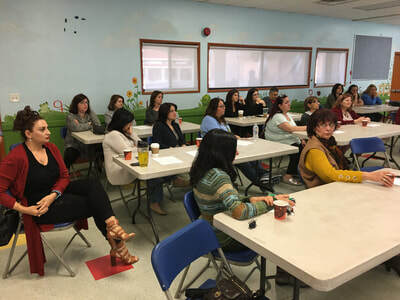 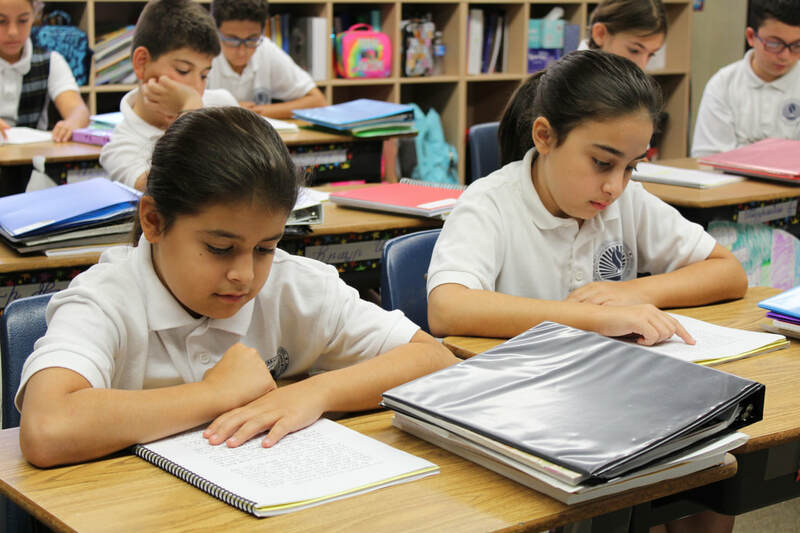 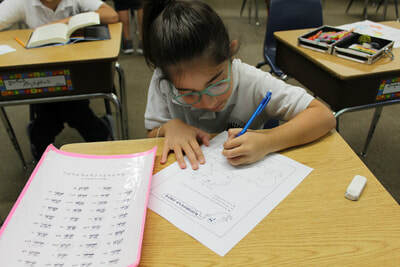 To increase literacy of commonly used vocabulary in English and Armenian, Holy Martyrs Cabayan School has initiated an Armenian vocabulary enrichment program. 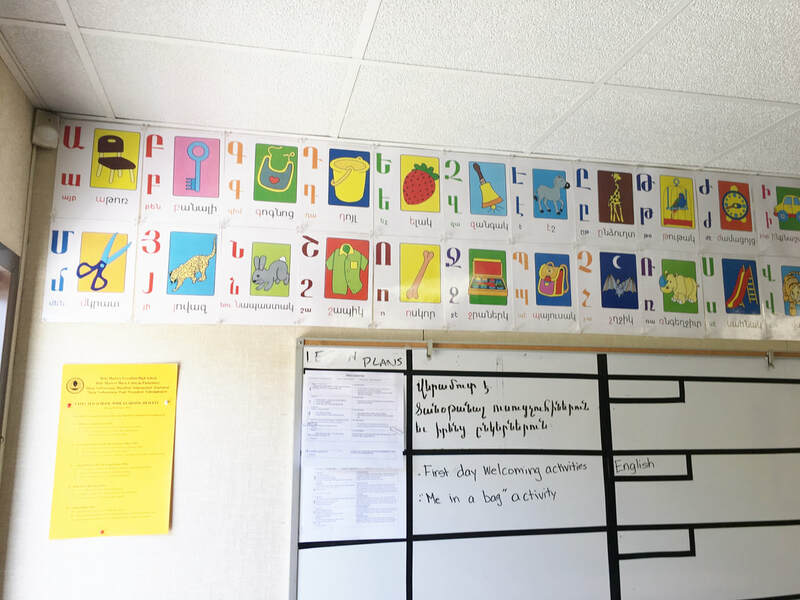 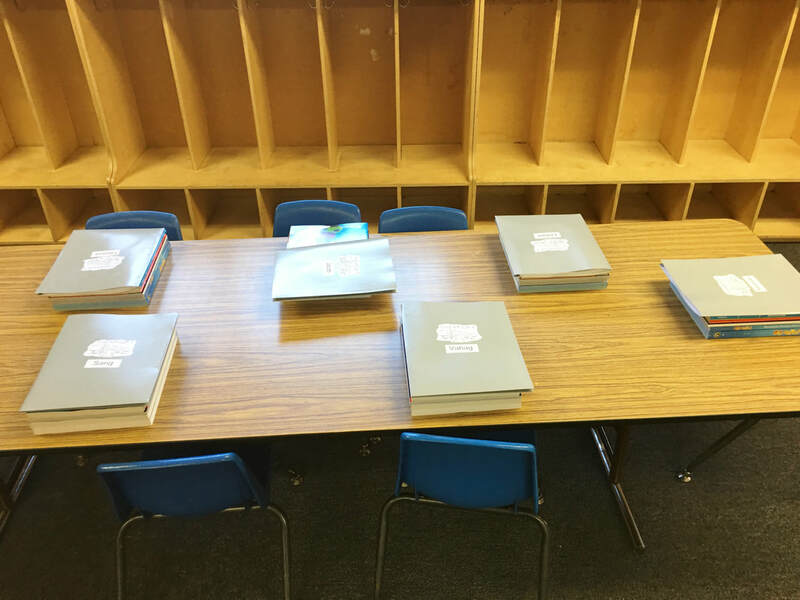 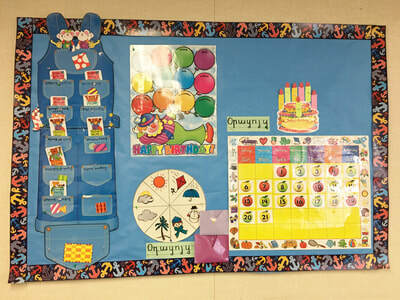 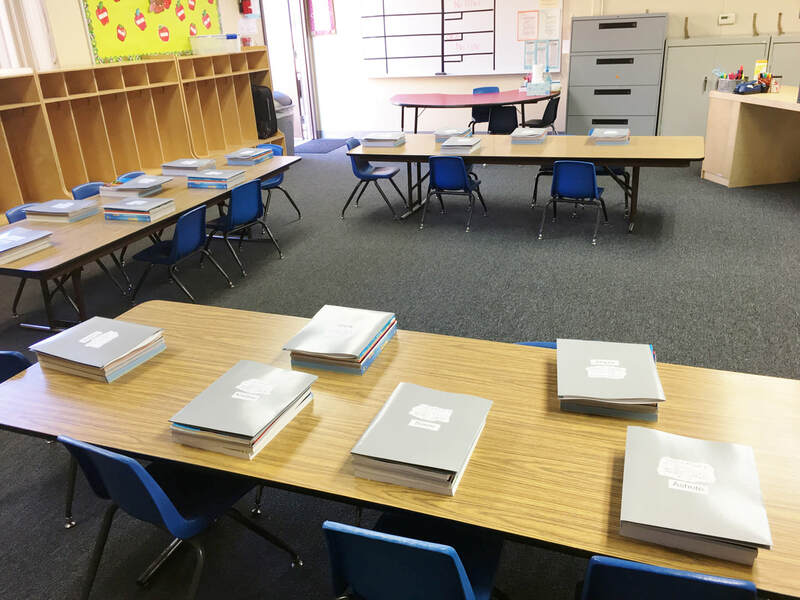 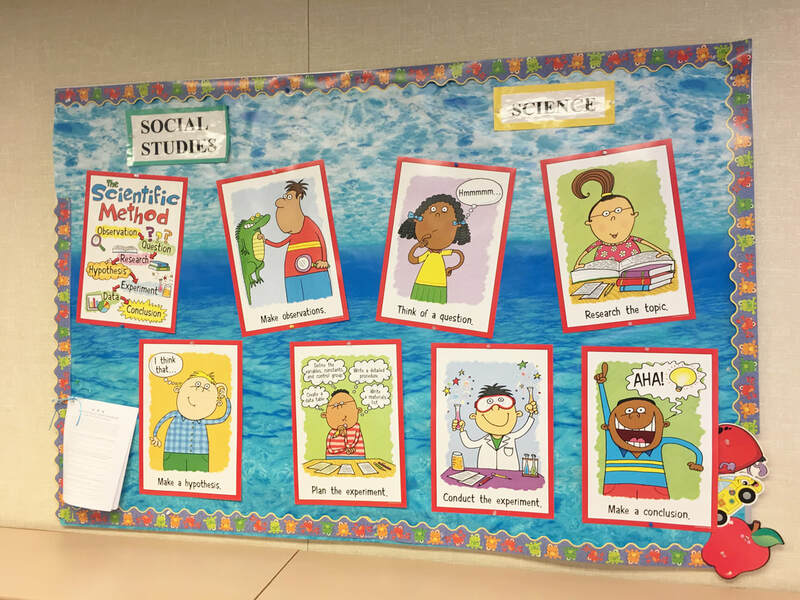 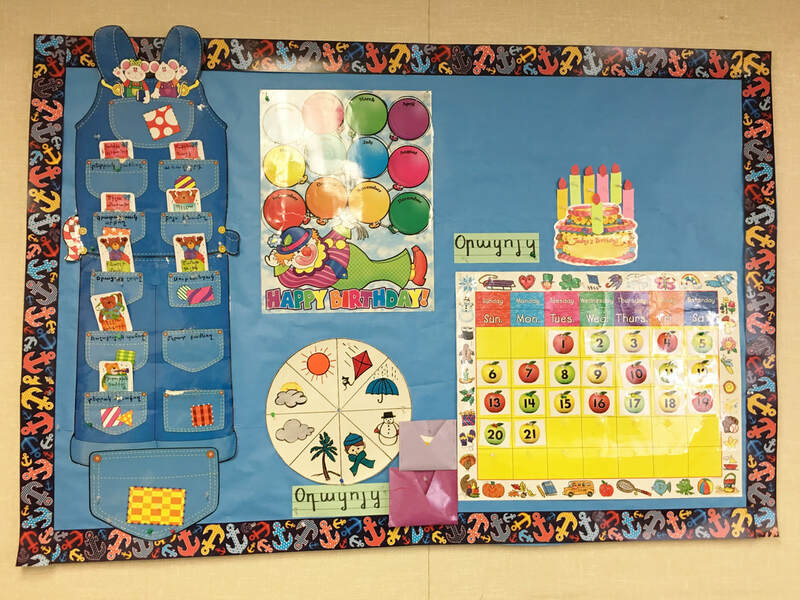 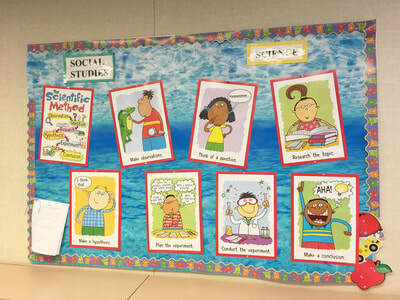 Each month students will be introduced to a new category of vocabulary. The first set of vocabulary words pertained to the human body. 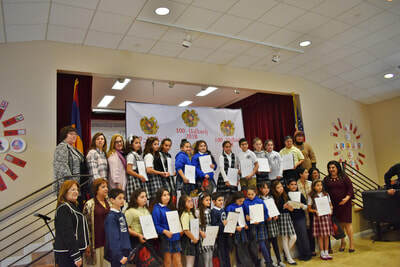 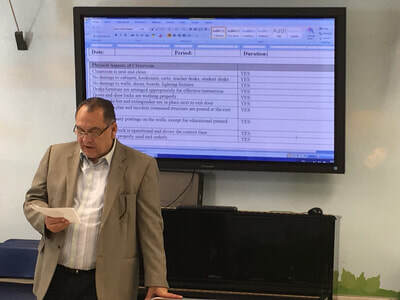 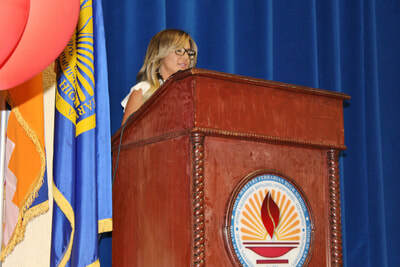 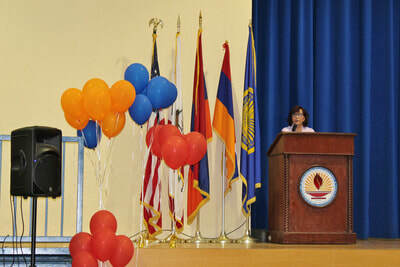 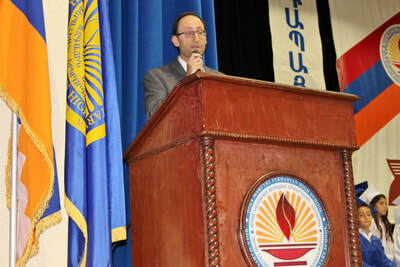 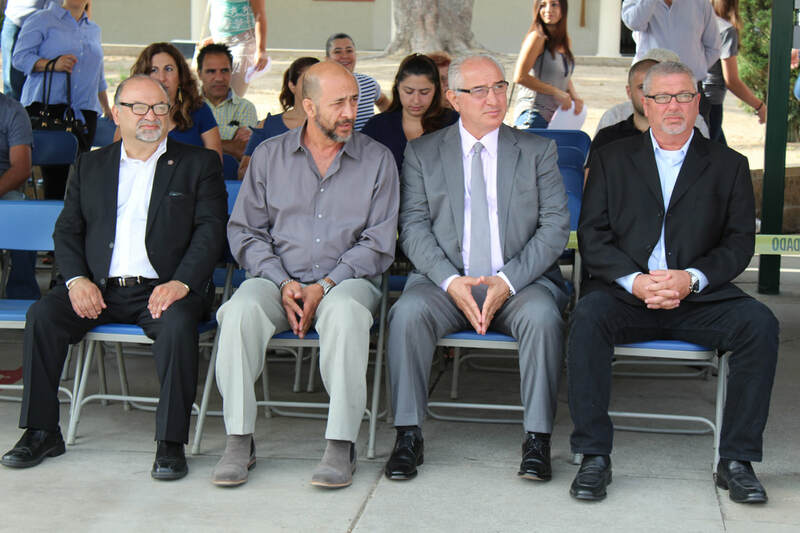 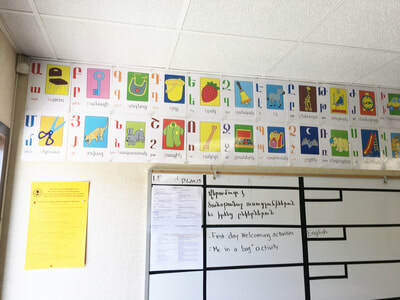 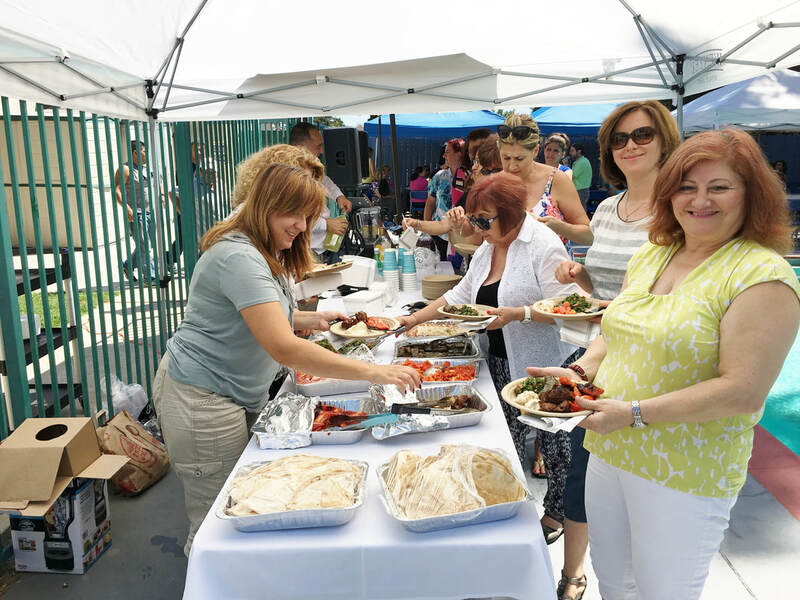 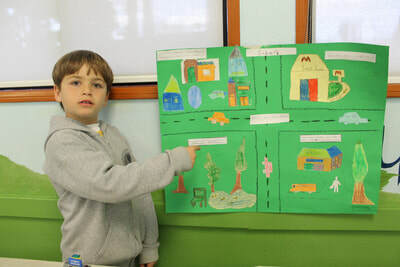 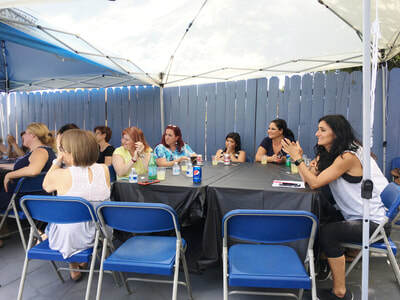 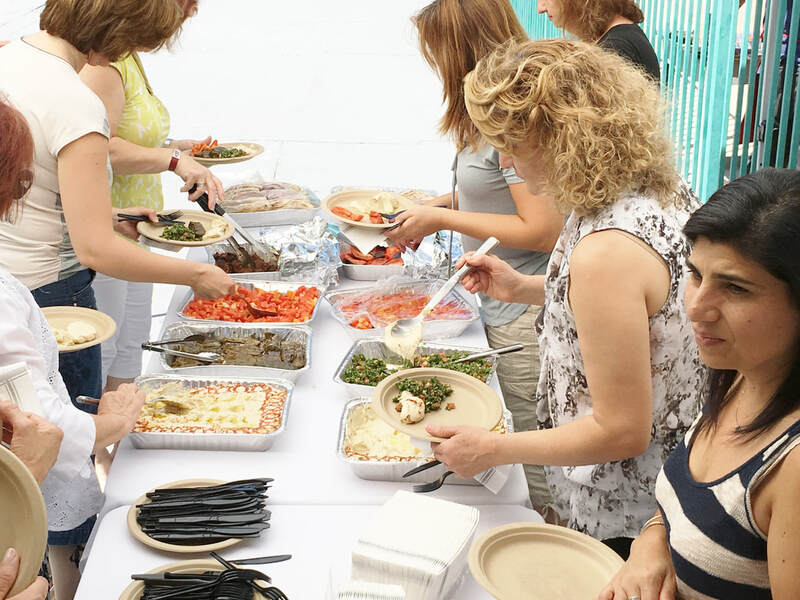 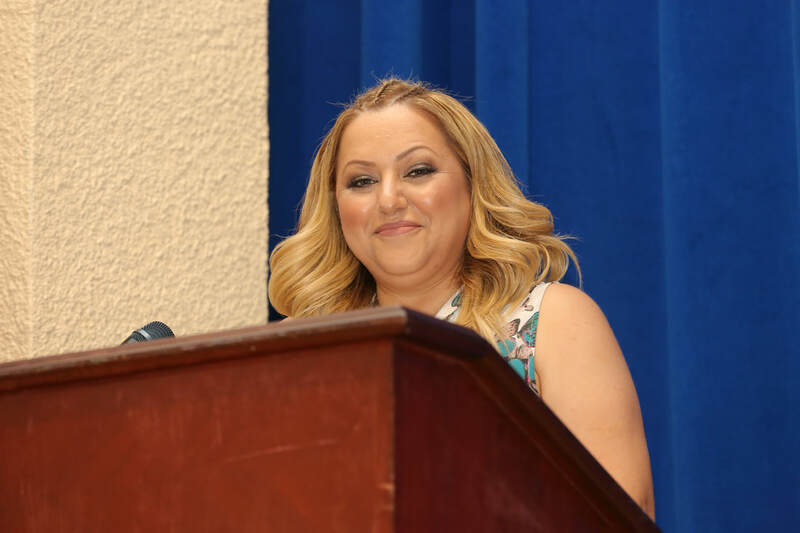 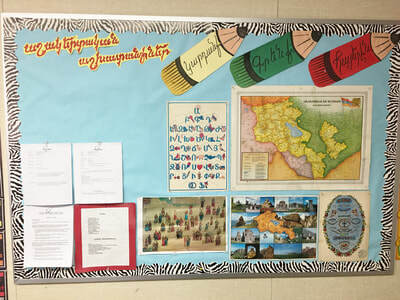 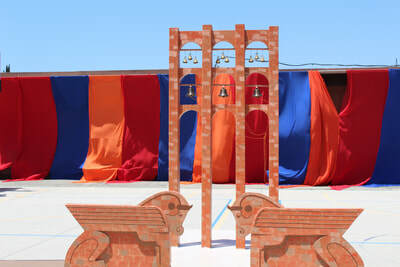 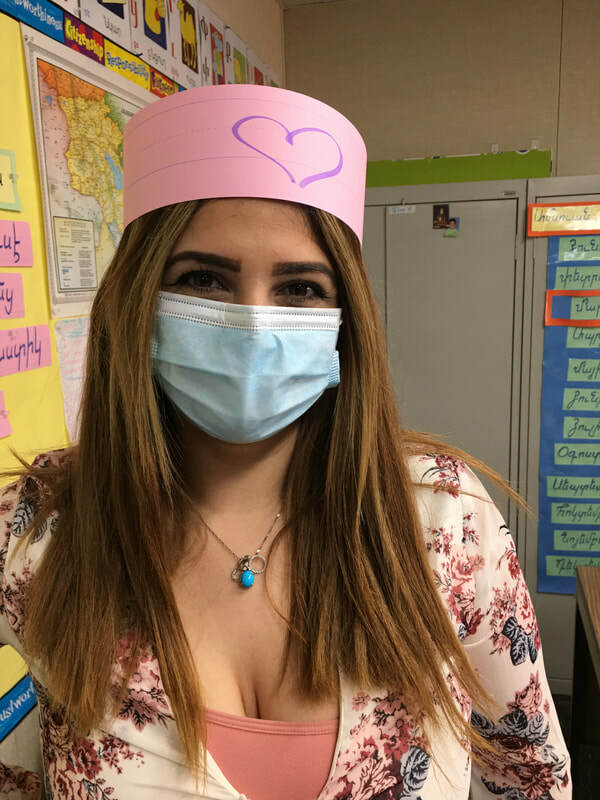 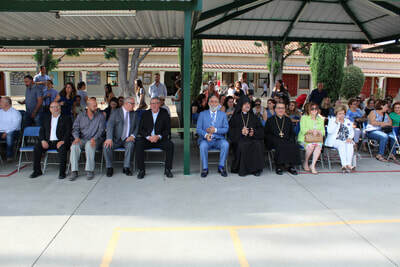 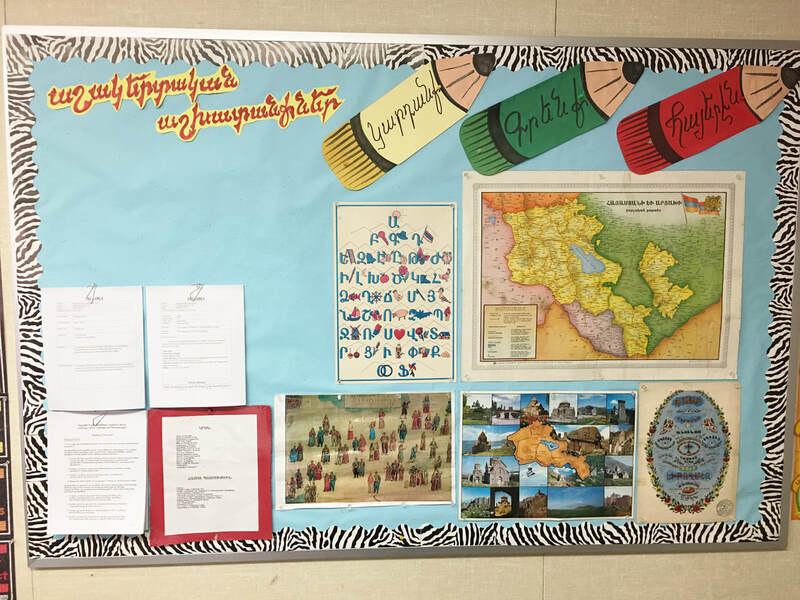 The students and teachers worked daily to connect the English terms with the Armenian translation. 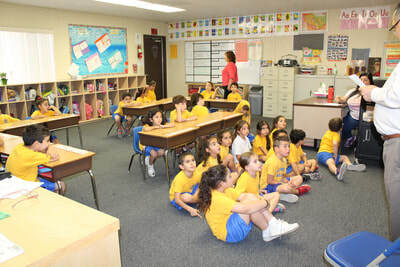 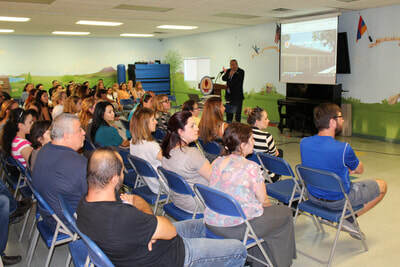 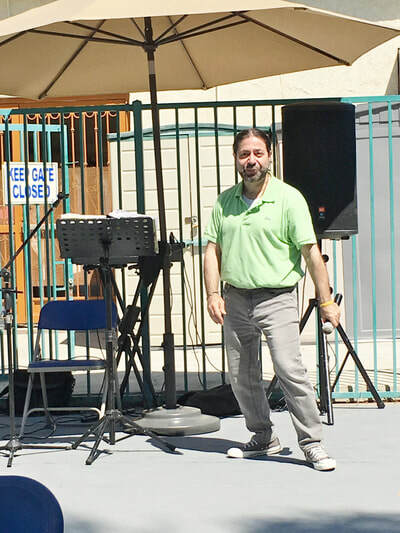 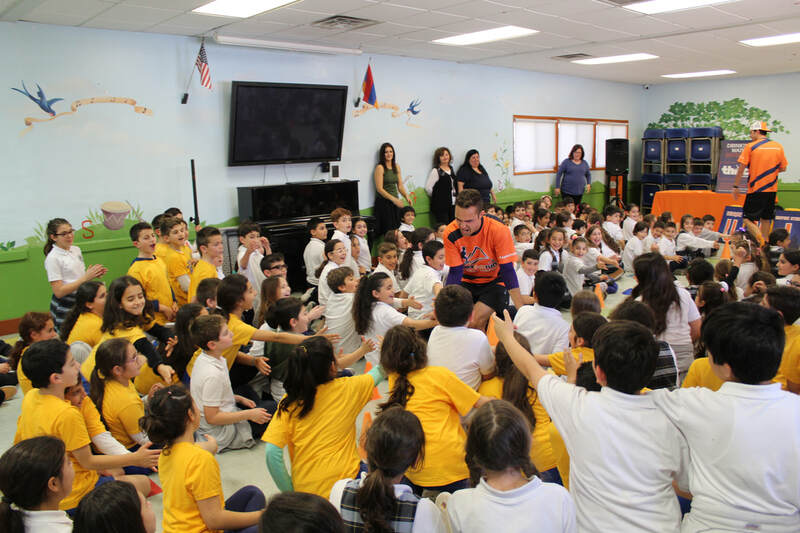 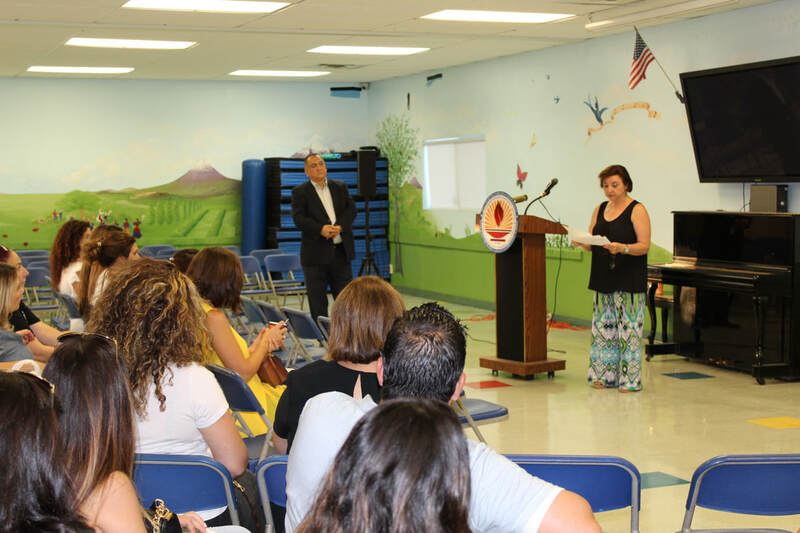 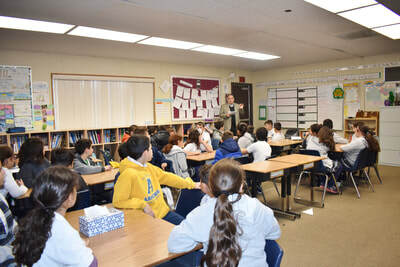 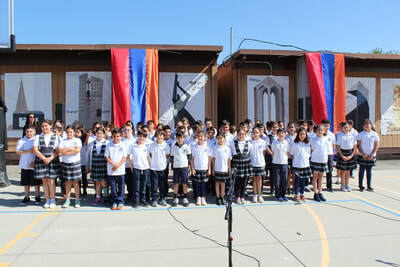 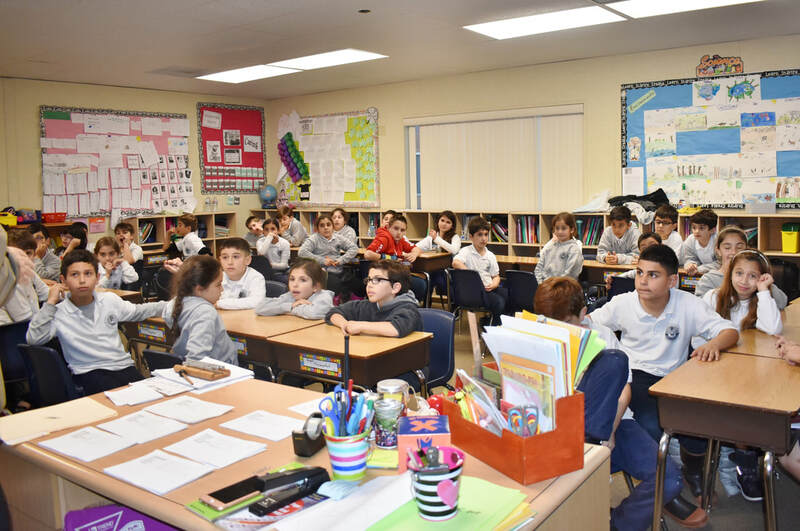 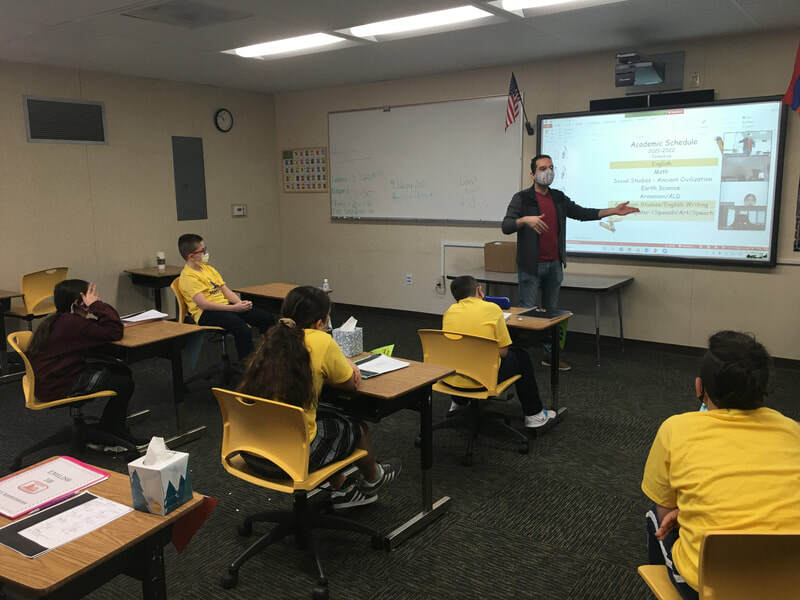 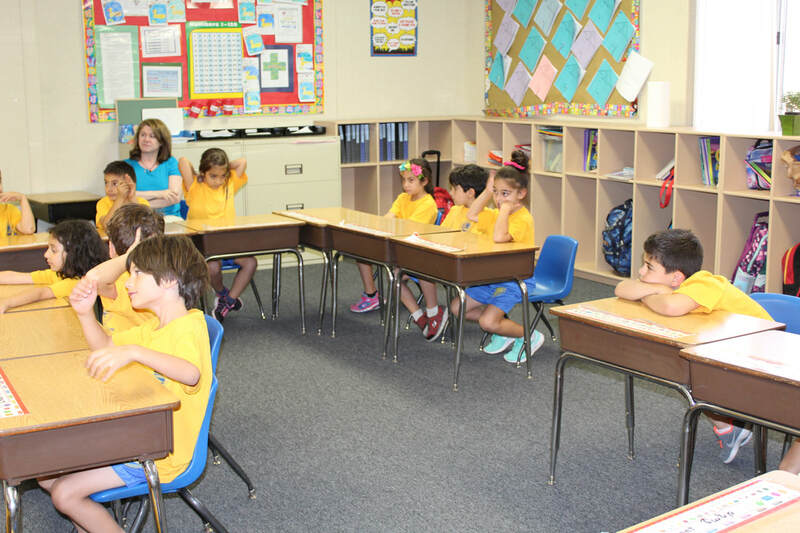 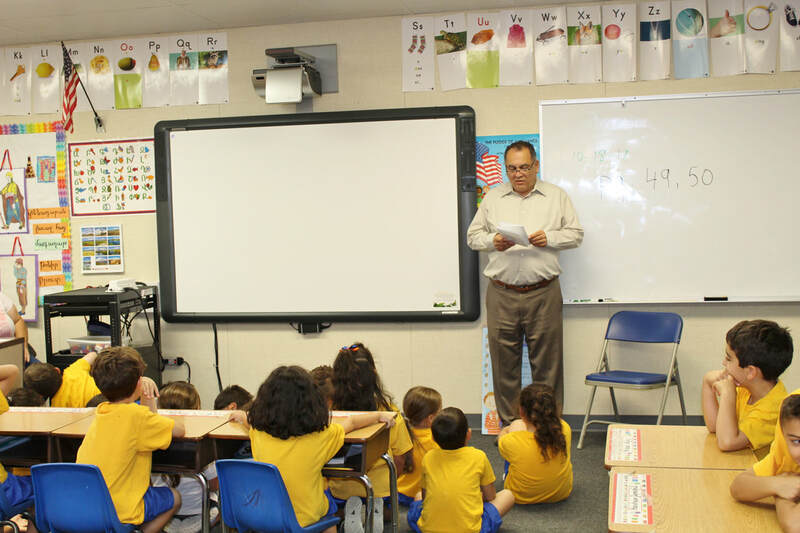 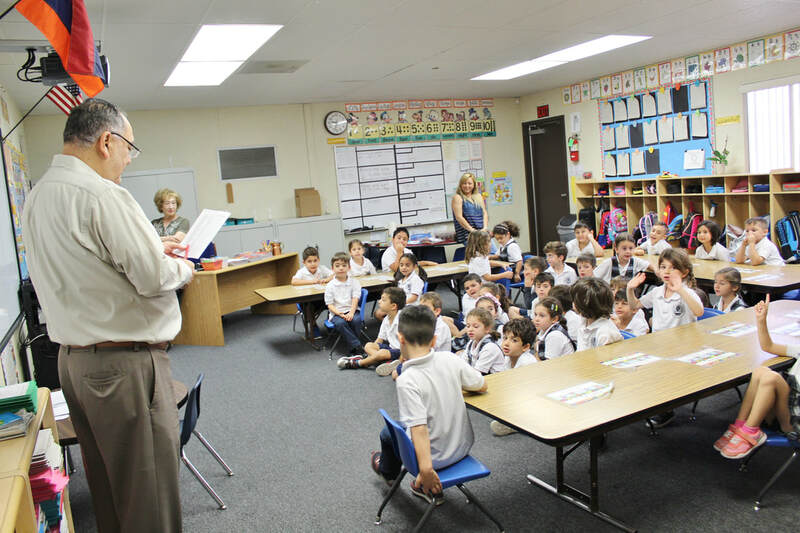 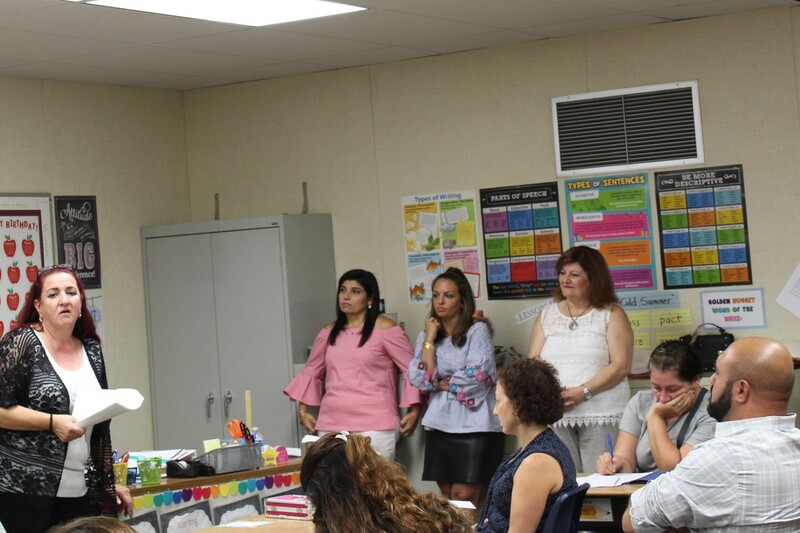 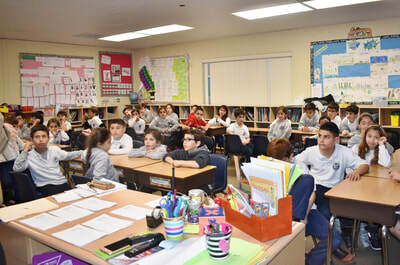 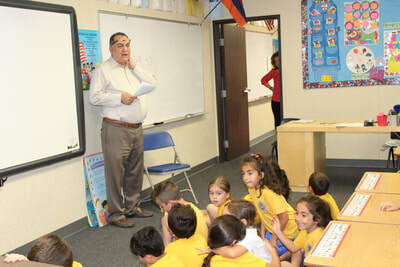 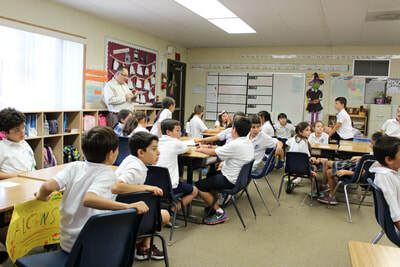 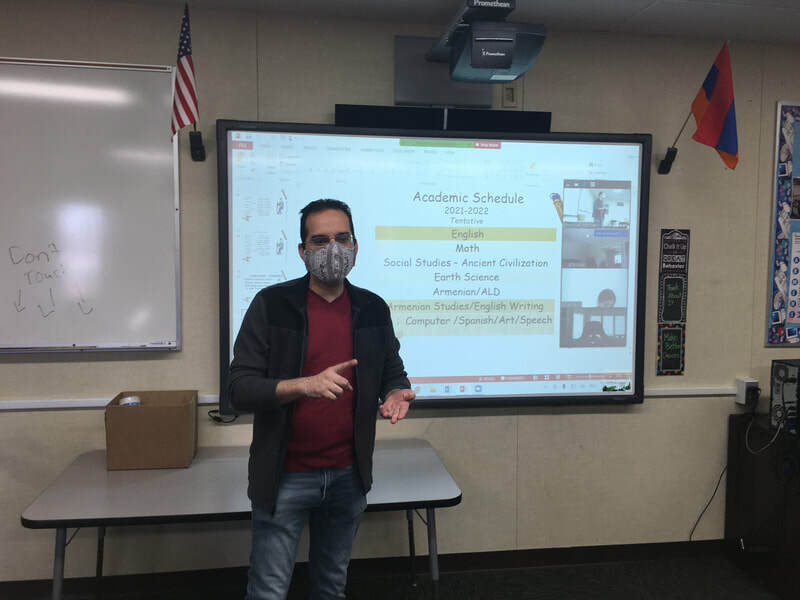 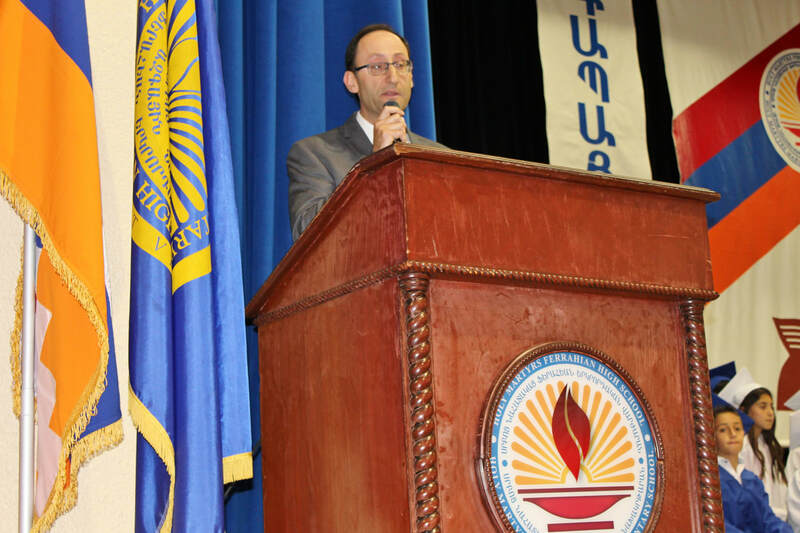 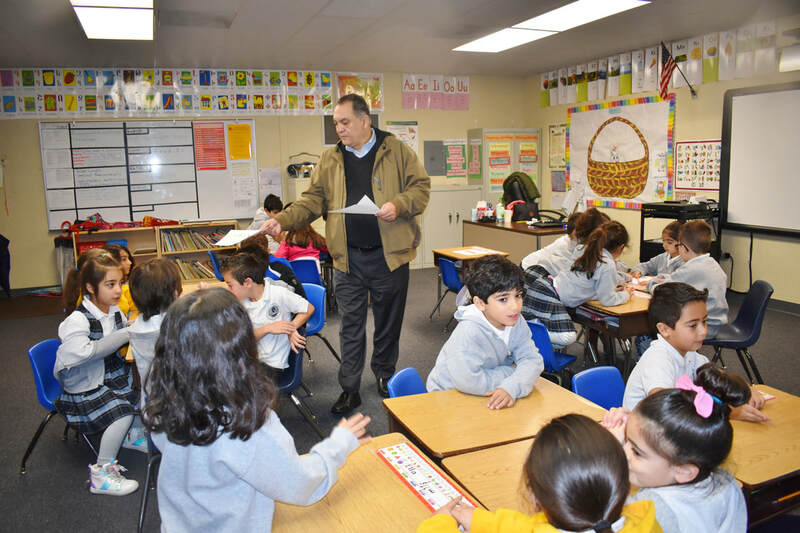 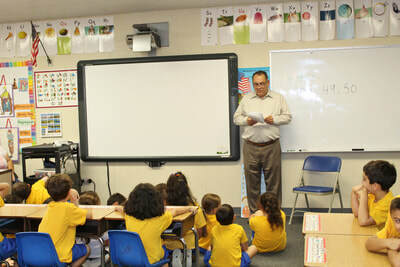 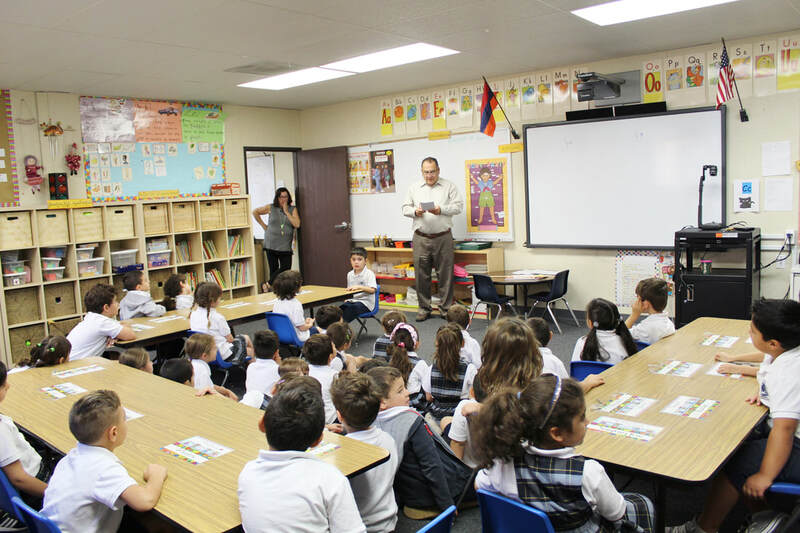 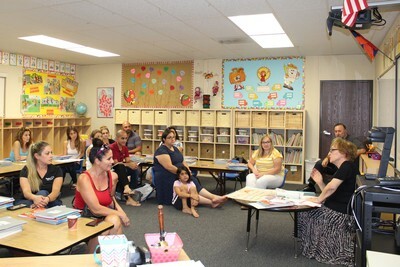 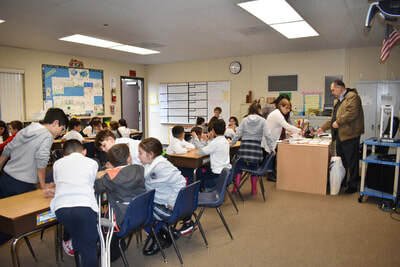 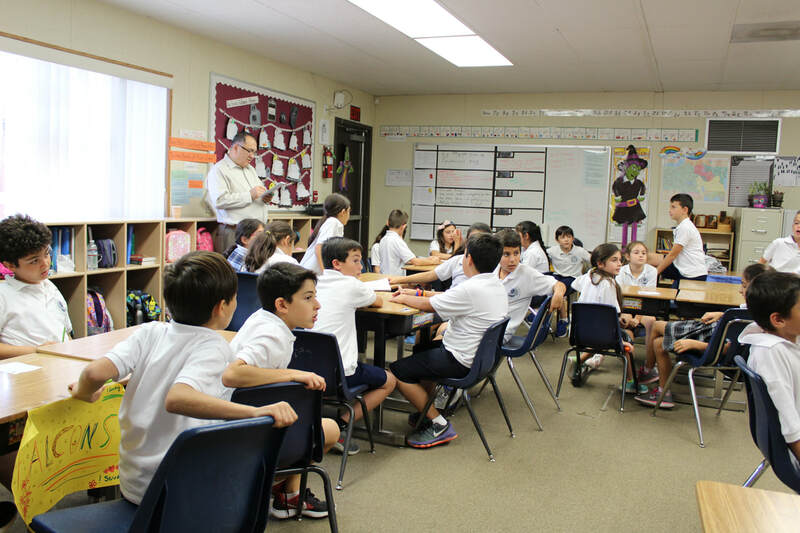 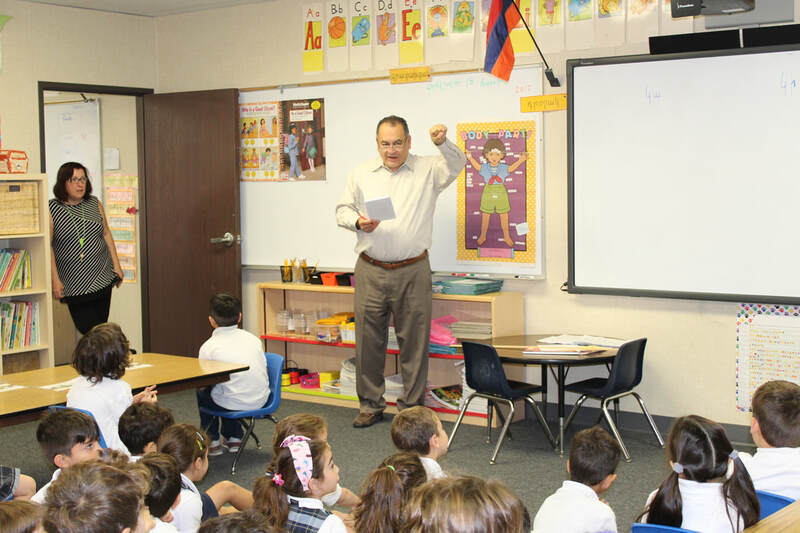 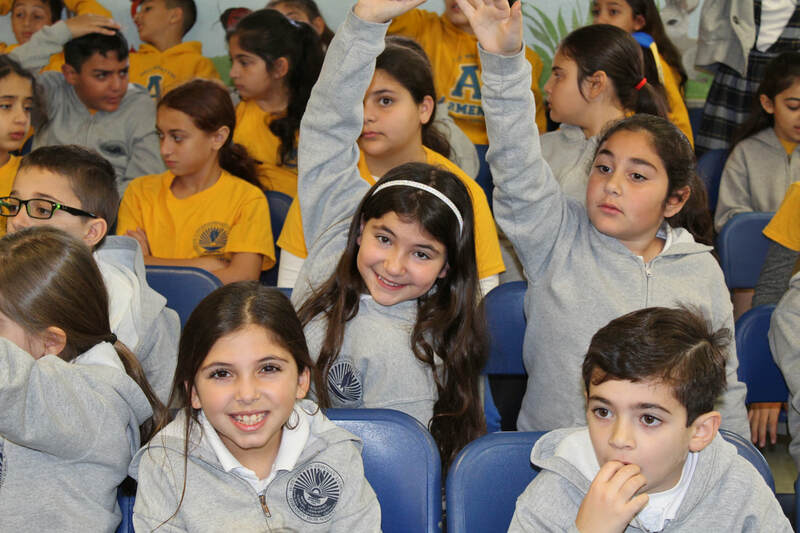 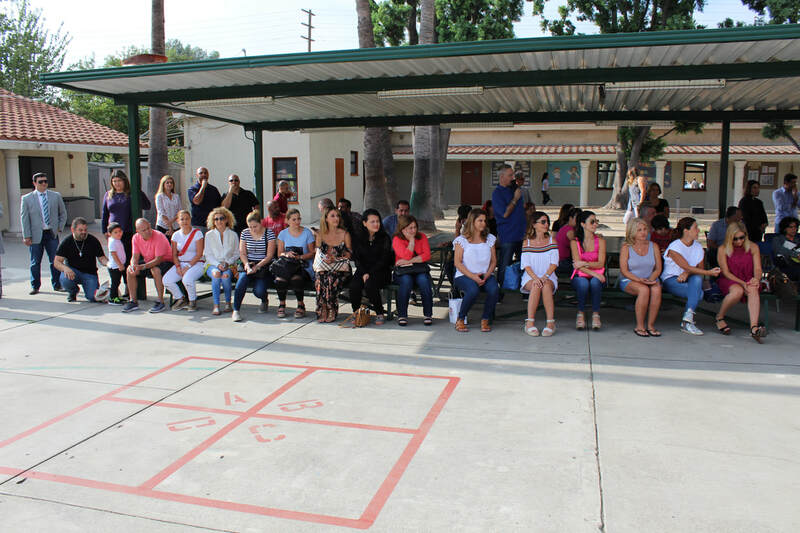 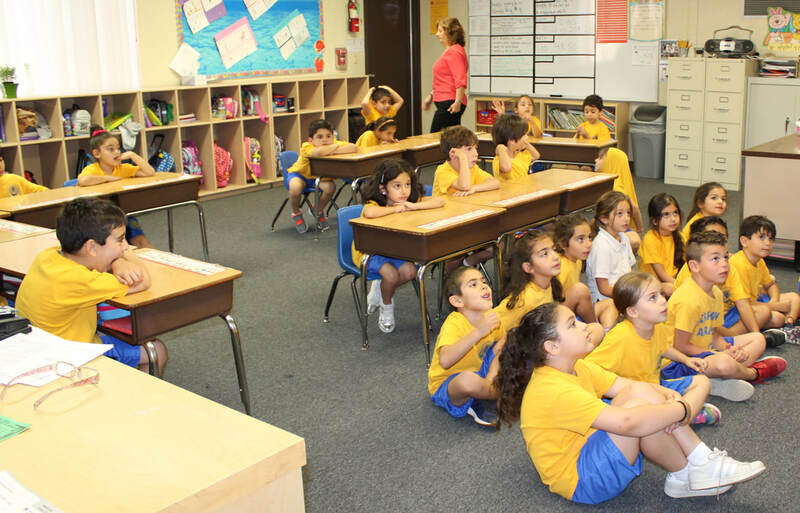 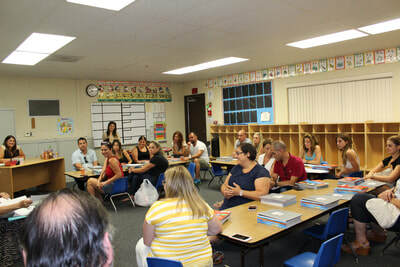 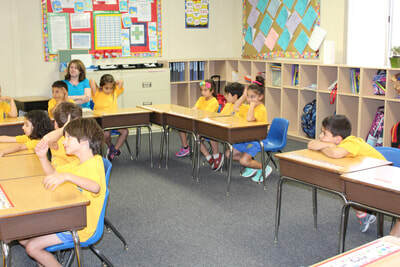 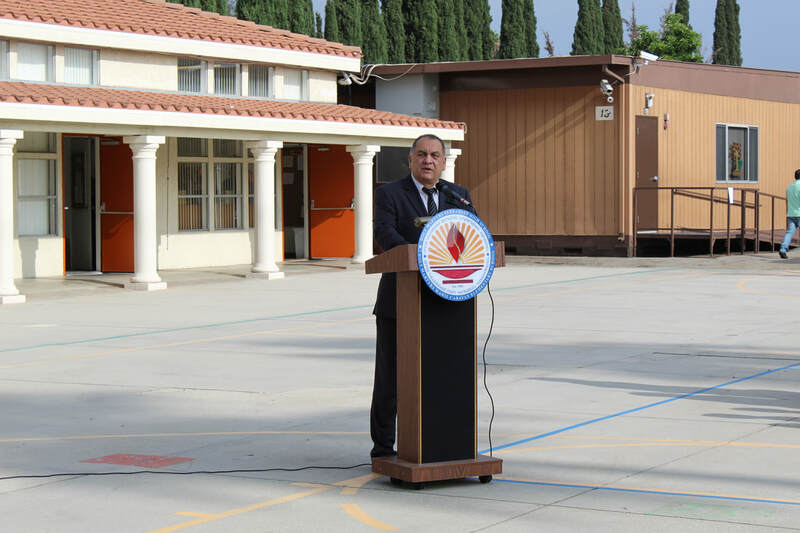 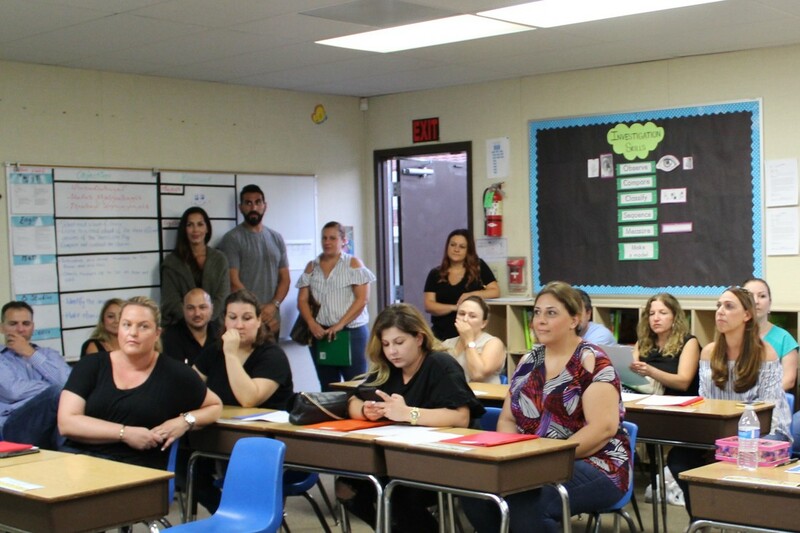 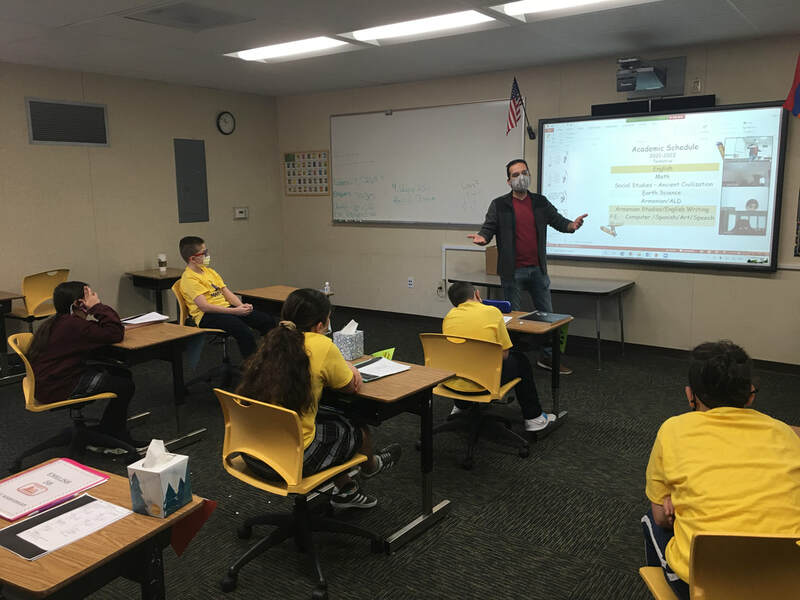 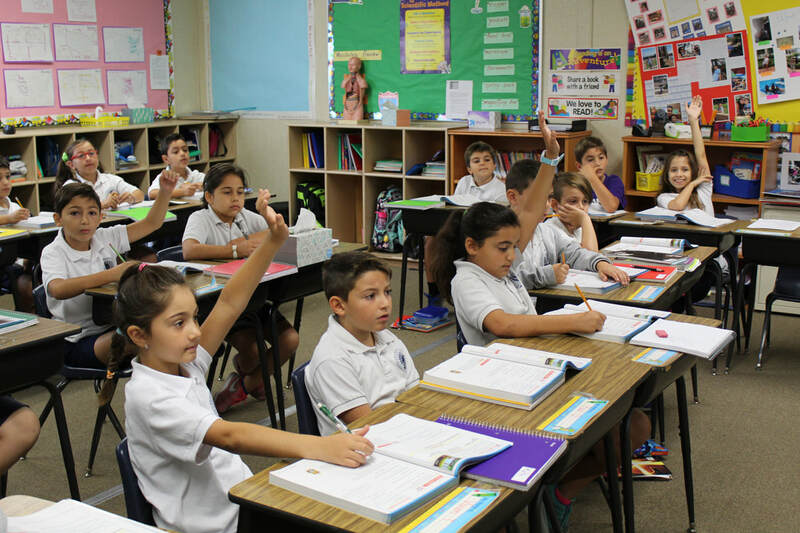 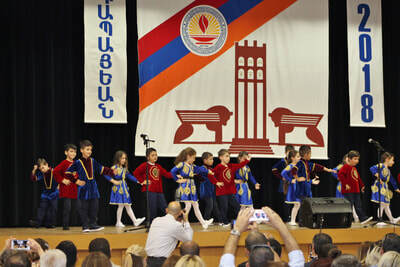 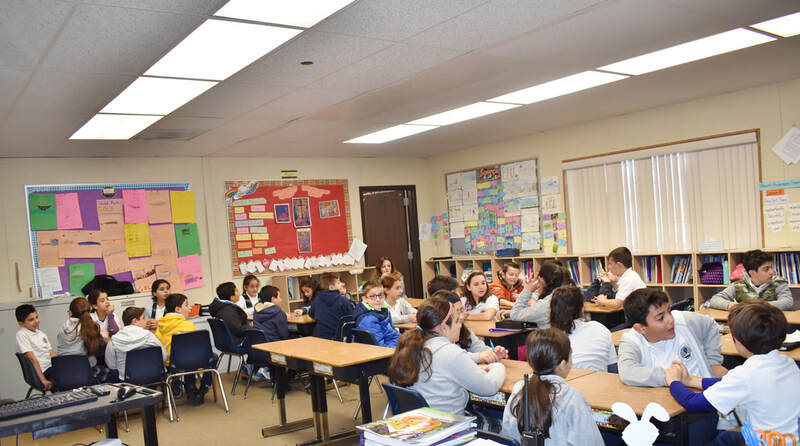 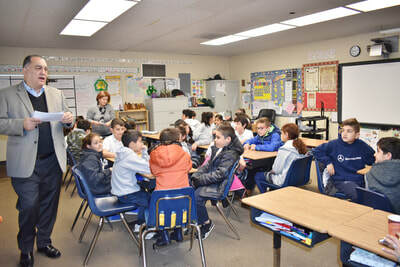 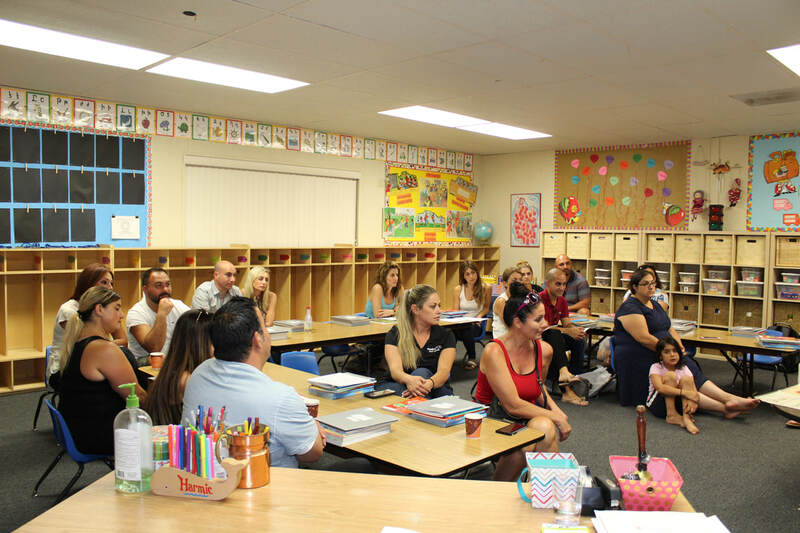 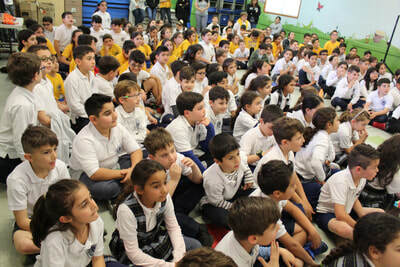 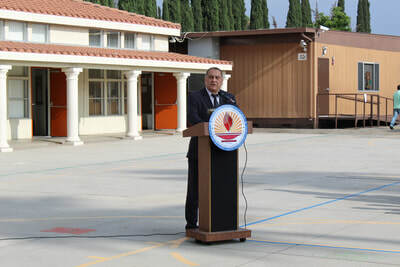 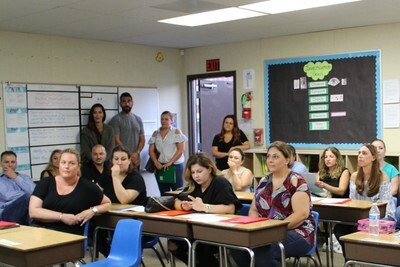 At the end of the month, Mr. Kossakian visited each grade level to proceed with our Armenian Quiz Bowl. 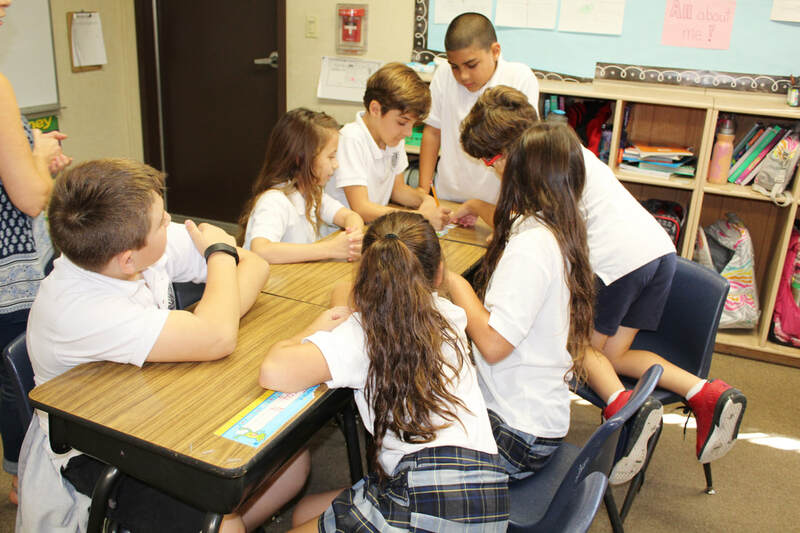 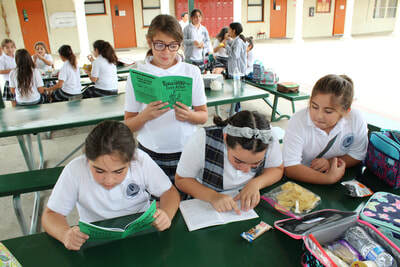 Students were placed in teams and worked together to show their proficiency of the vocabulary they learned throughout the month. 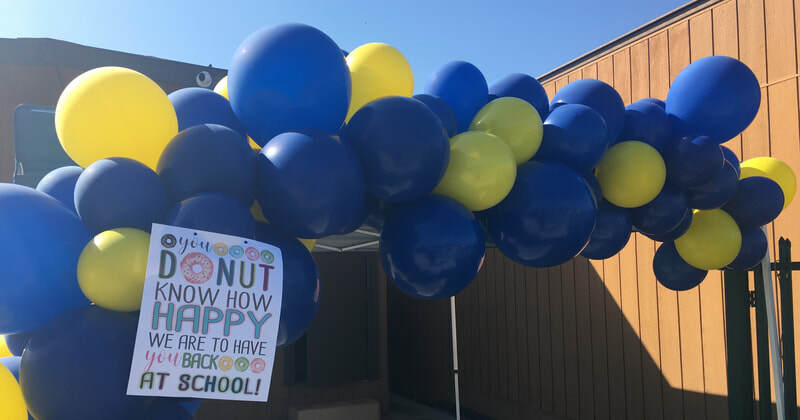 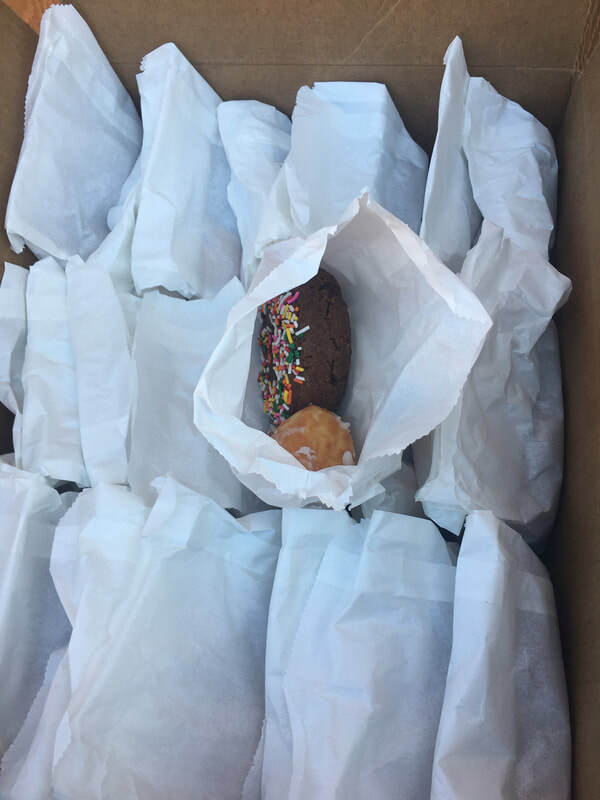 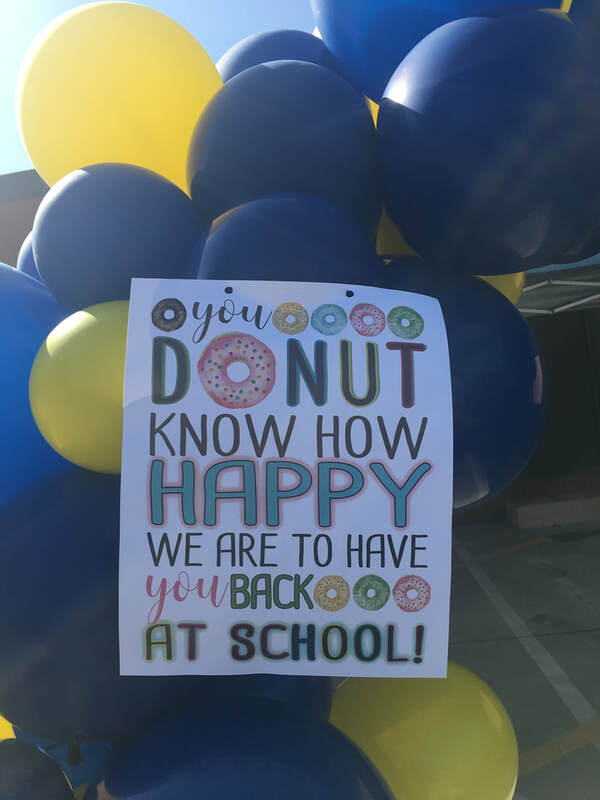 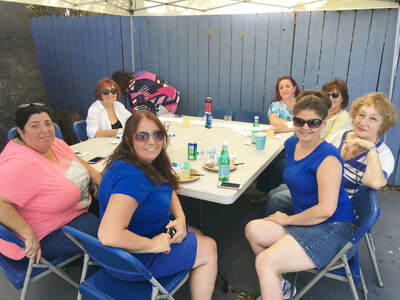 Teams that scored over 85% received an ice cream treat. We are happy to report that all teams scored above 85%. 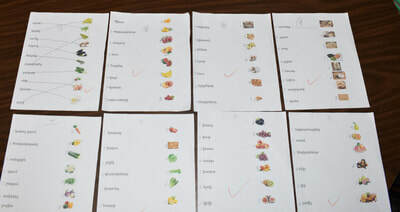 The next category of words that students need to identify will be the names of foods and food items. In the spirit of enriching our Armenian vocabulary, extracurricular teachers will also be teaching subject specific words in Armenian. 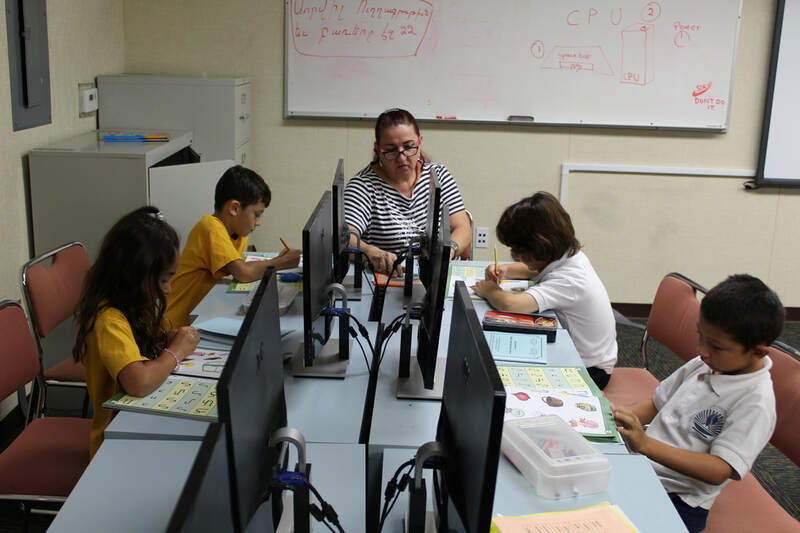 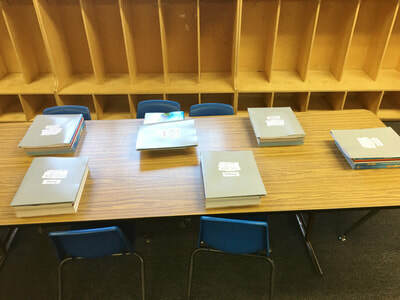 To start, the computer teachers will teach the equivalent vocabulary for computer related terms. 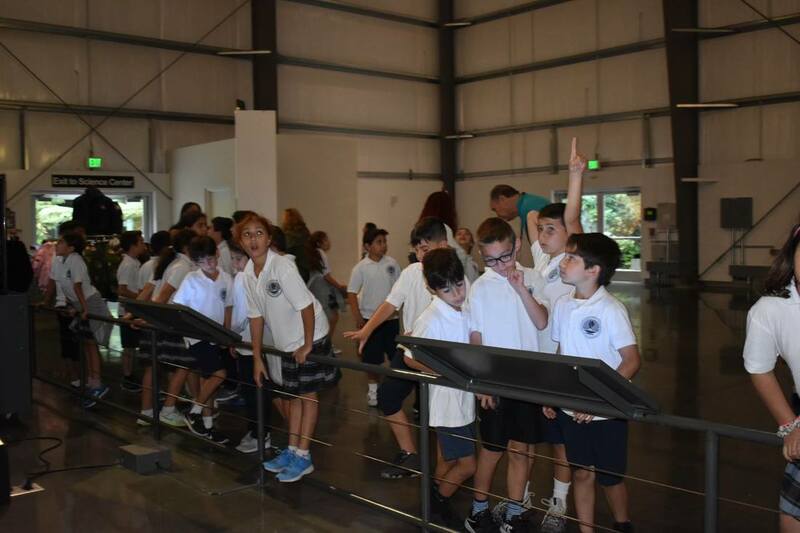 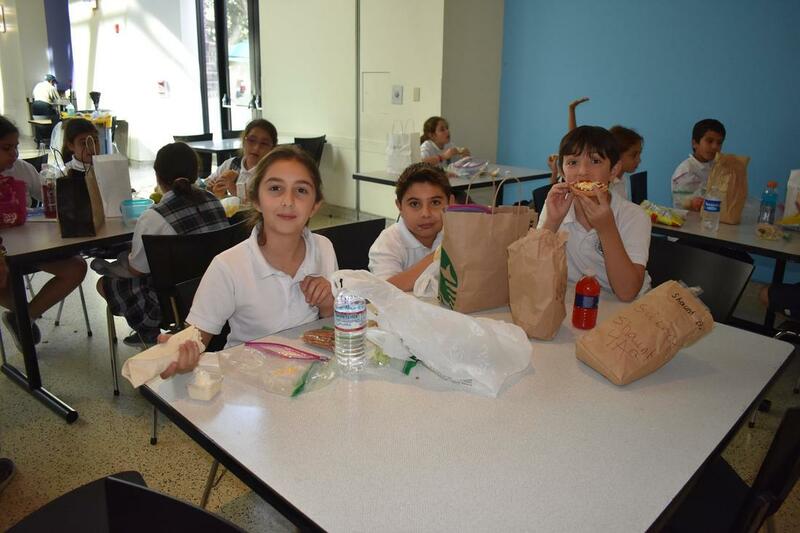 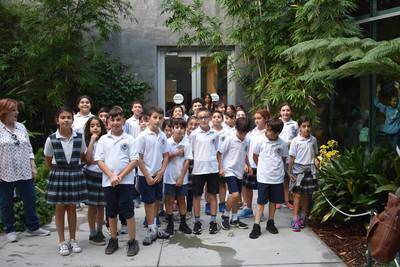 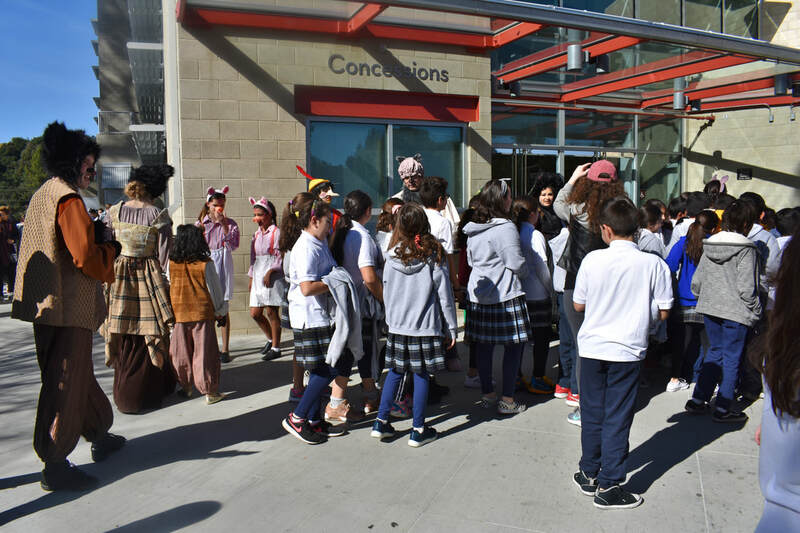 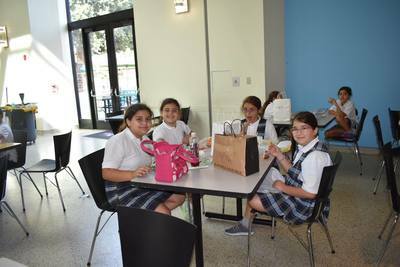 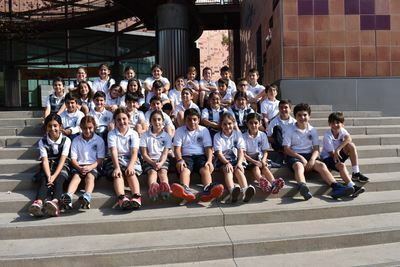 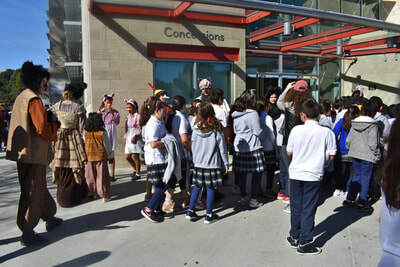 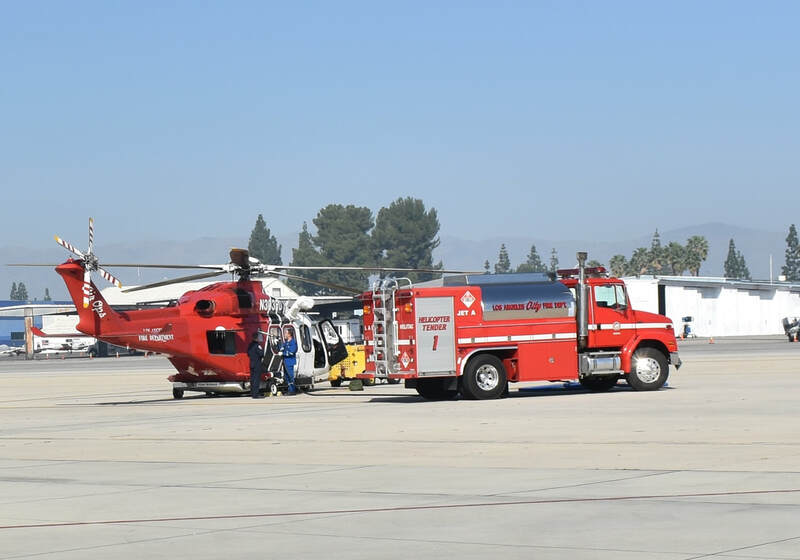 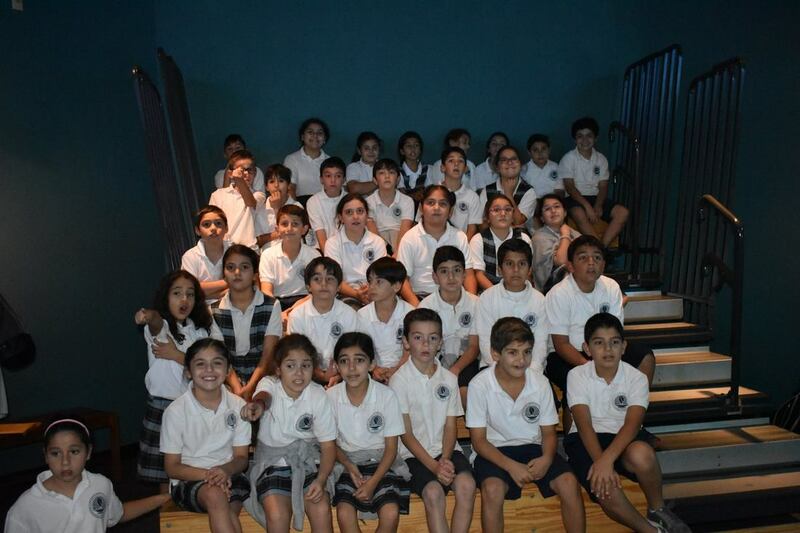 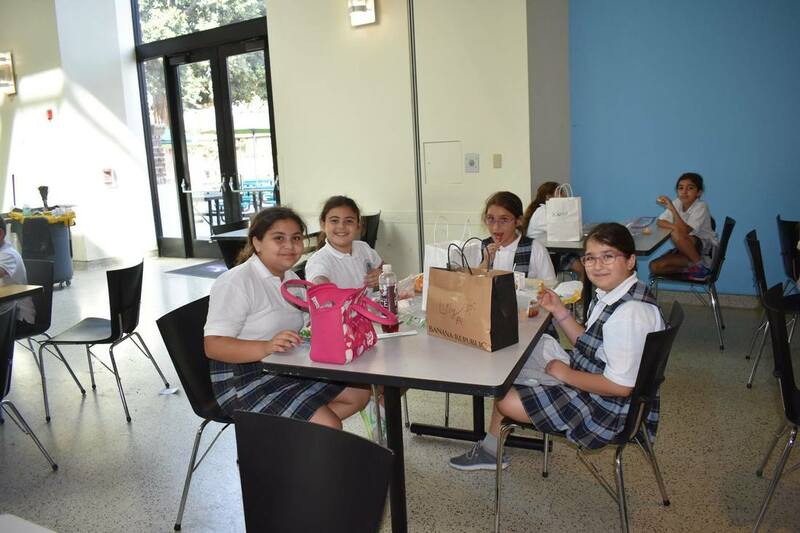 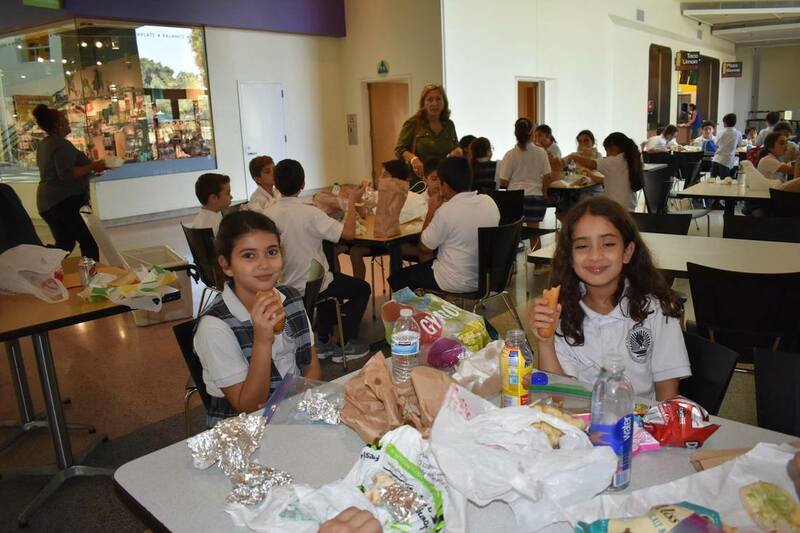 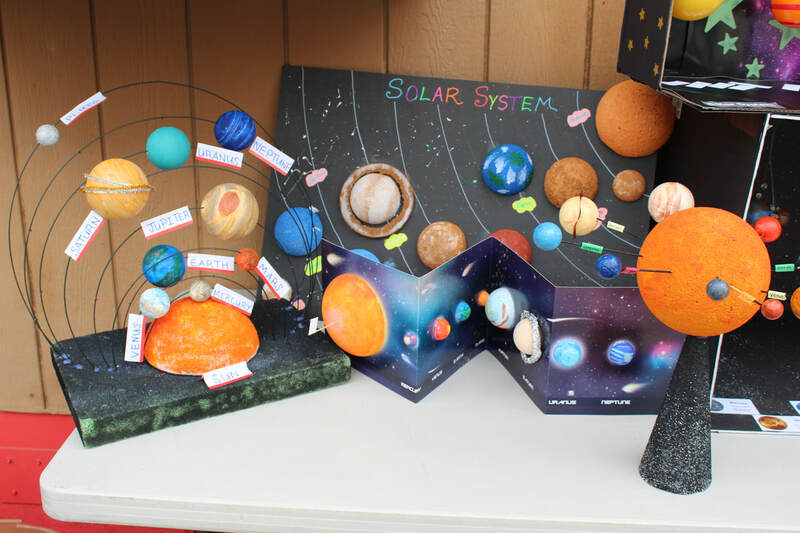 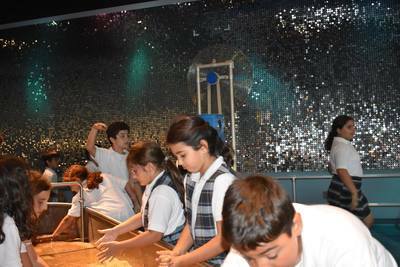 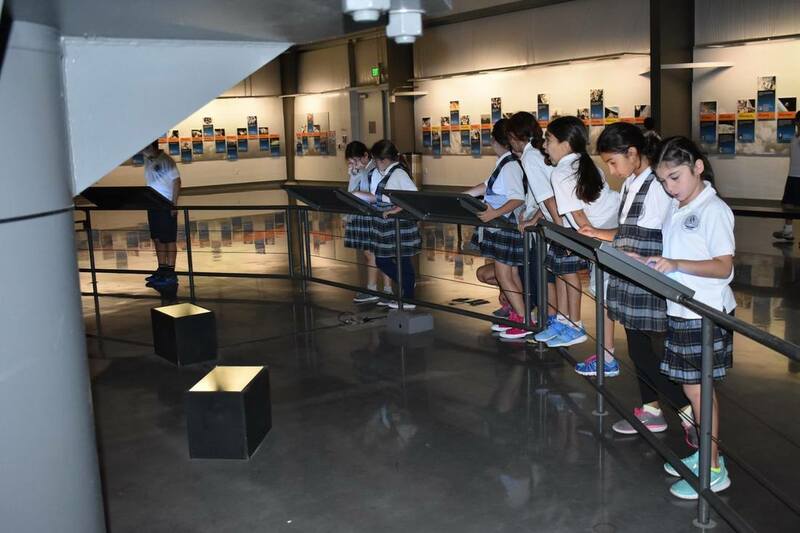 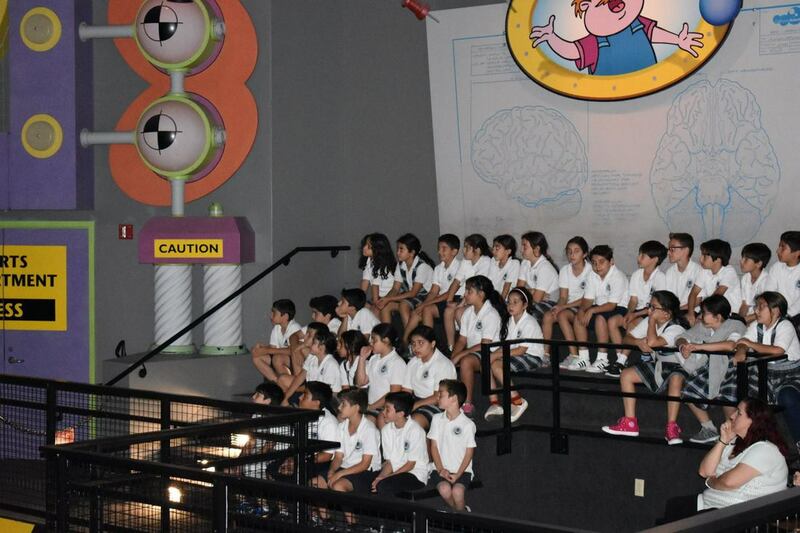 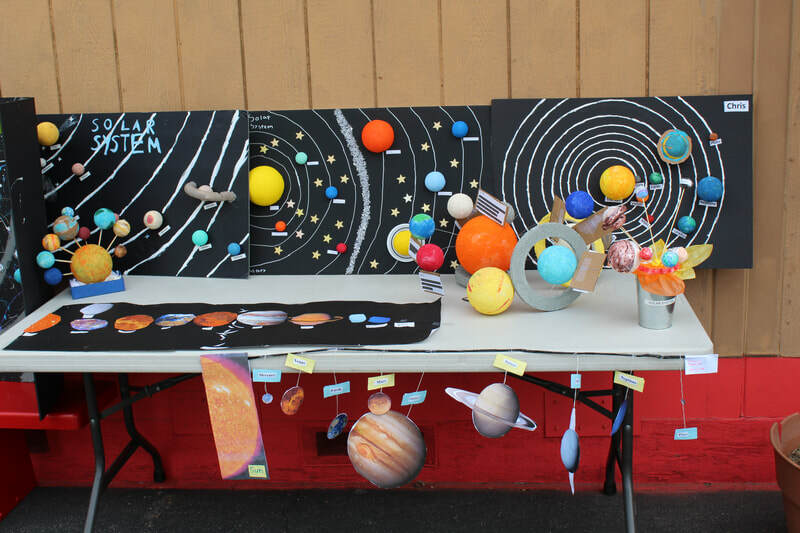 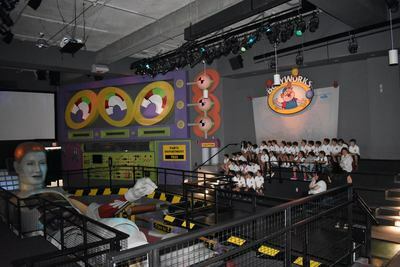 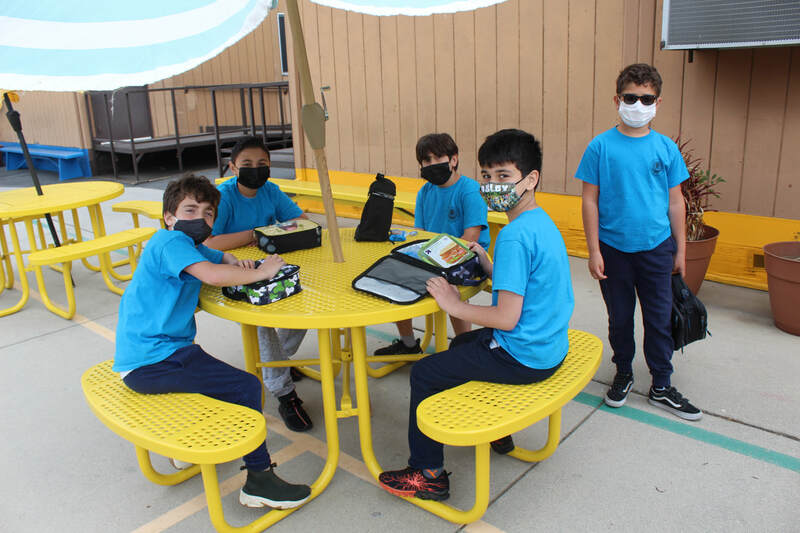 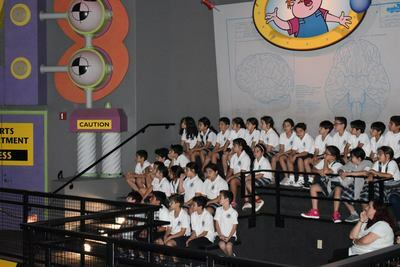 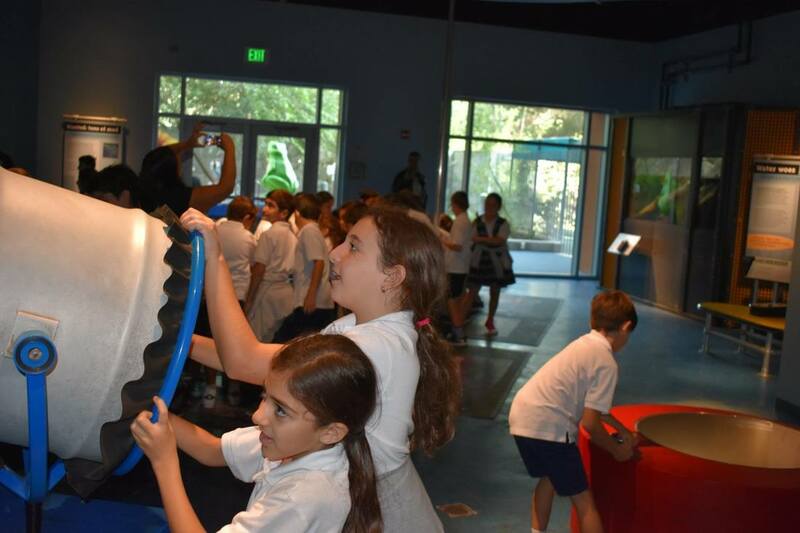 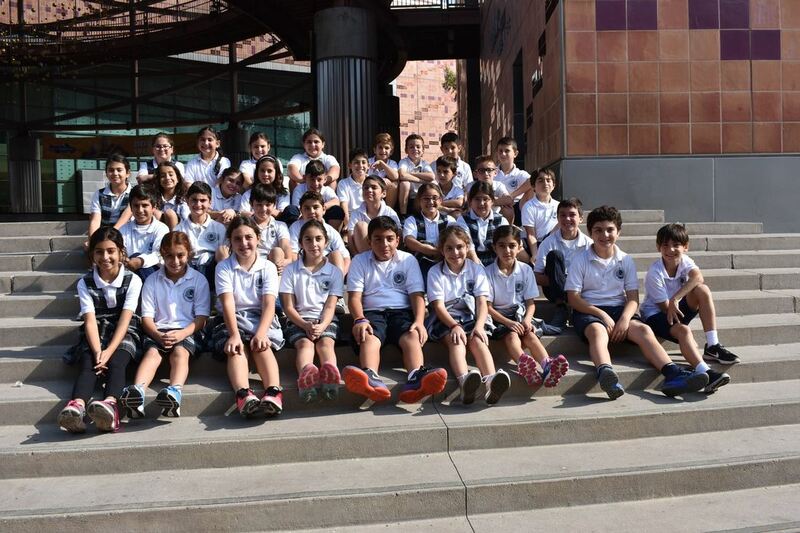 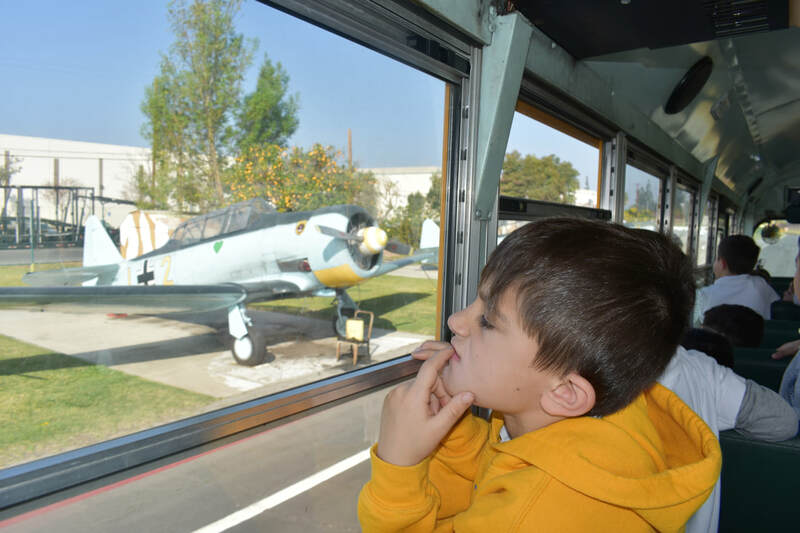 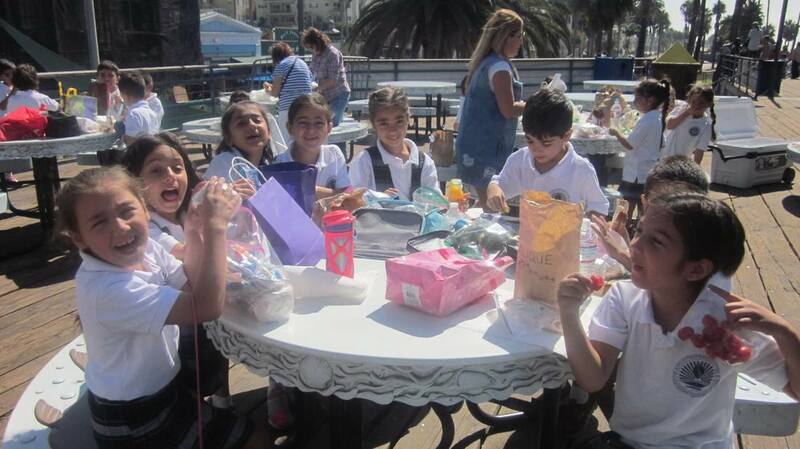 On Friday, October 13th, the fourth grade students had the opportunity to visit the California Science Center. Their first stop was to visit the Space Shuttle Endeavour. 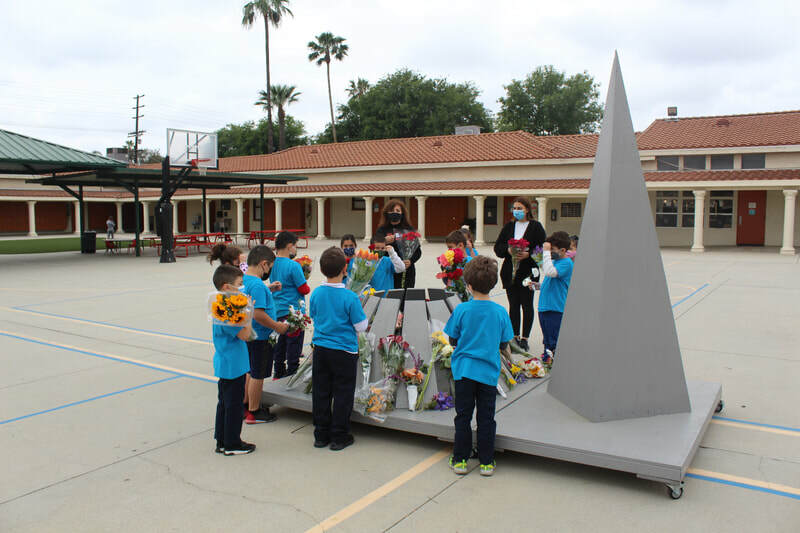 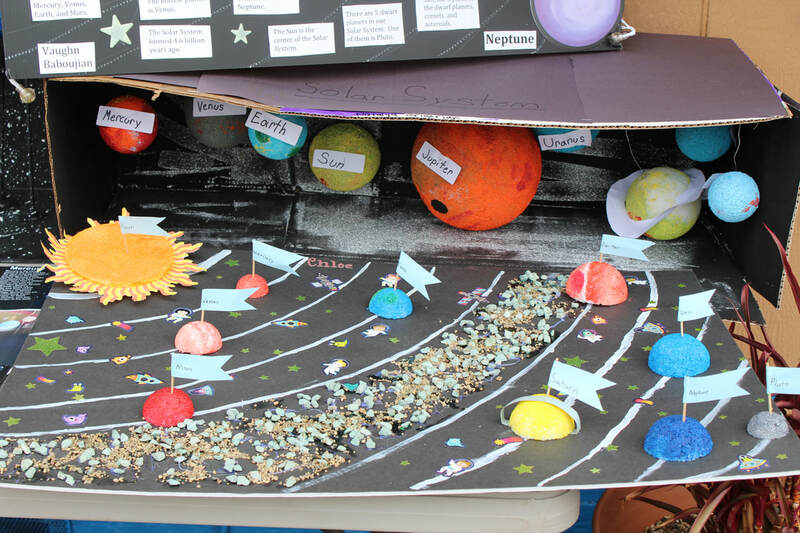 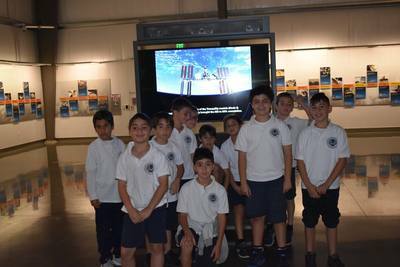 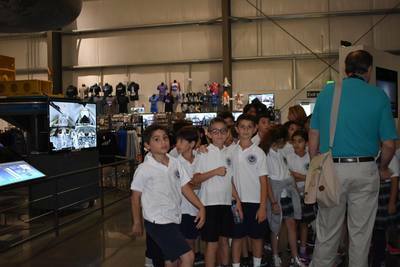 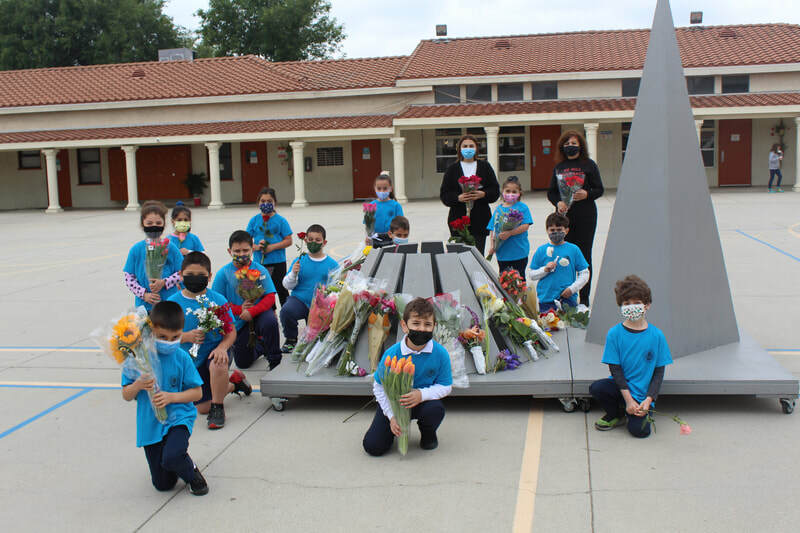 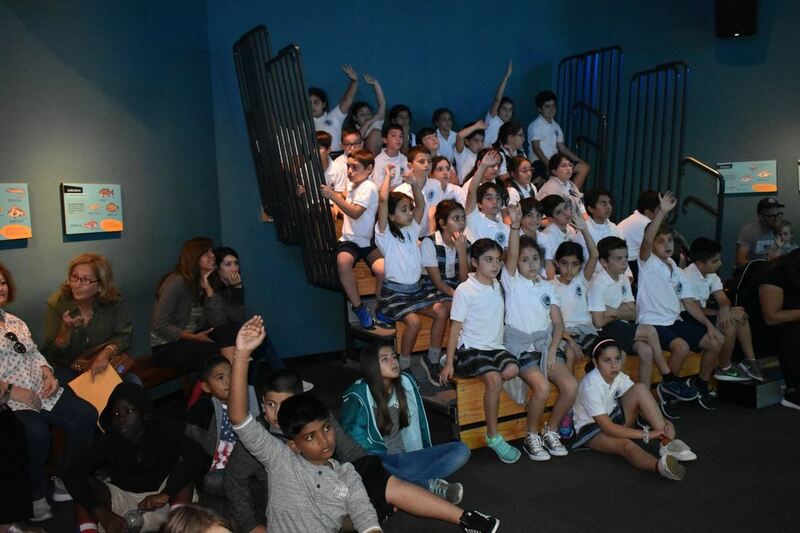 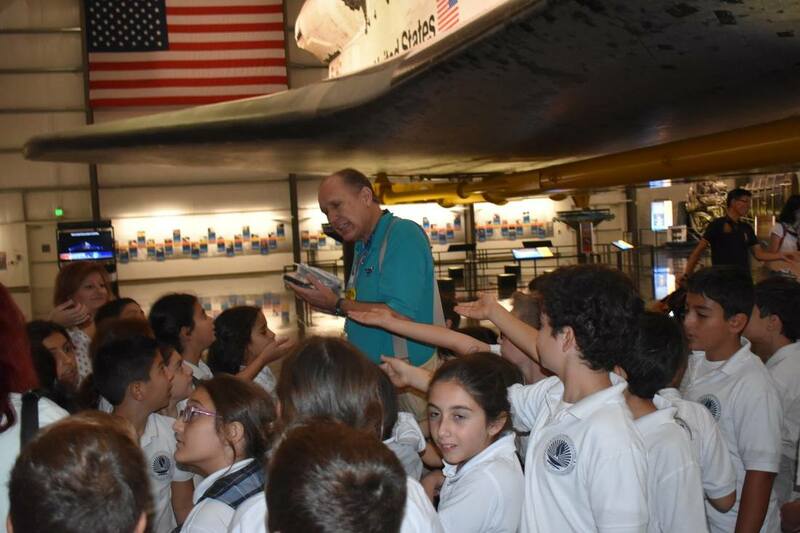 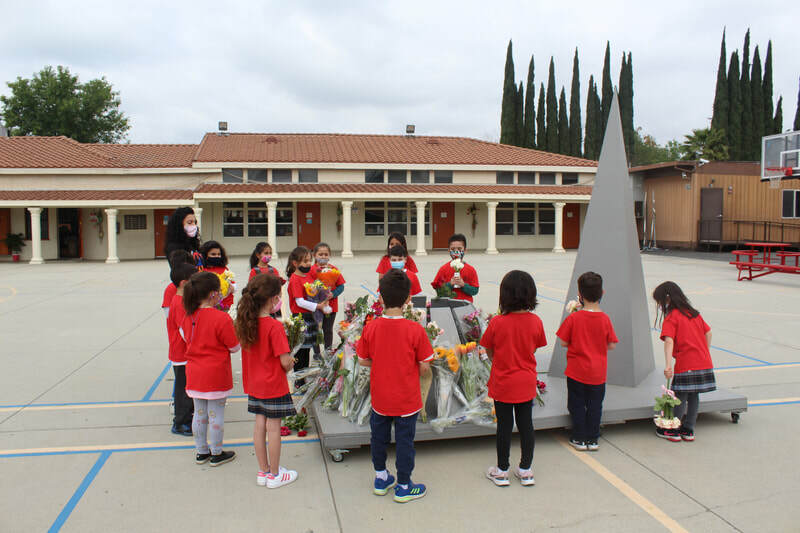 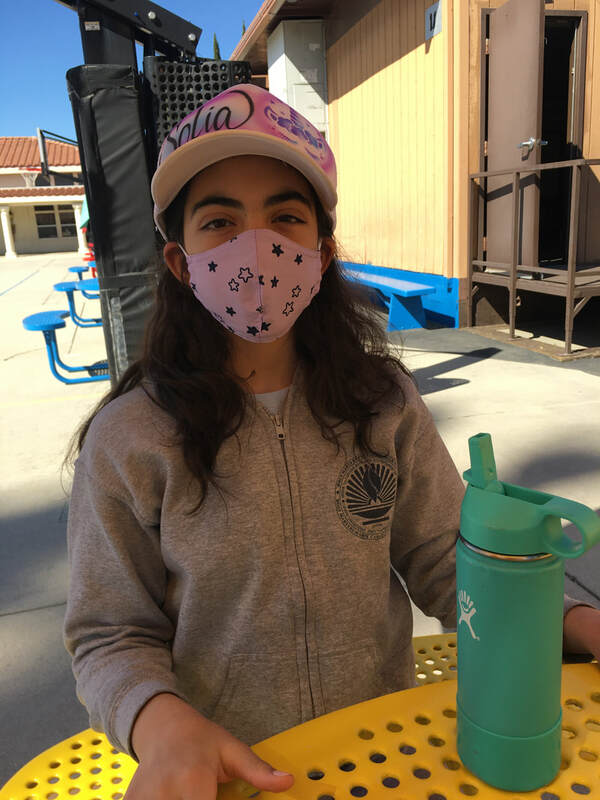 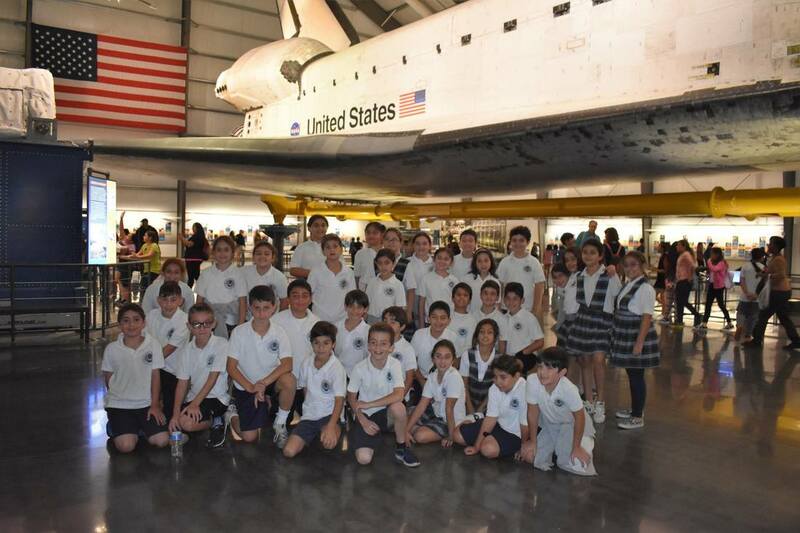 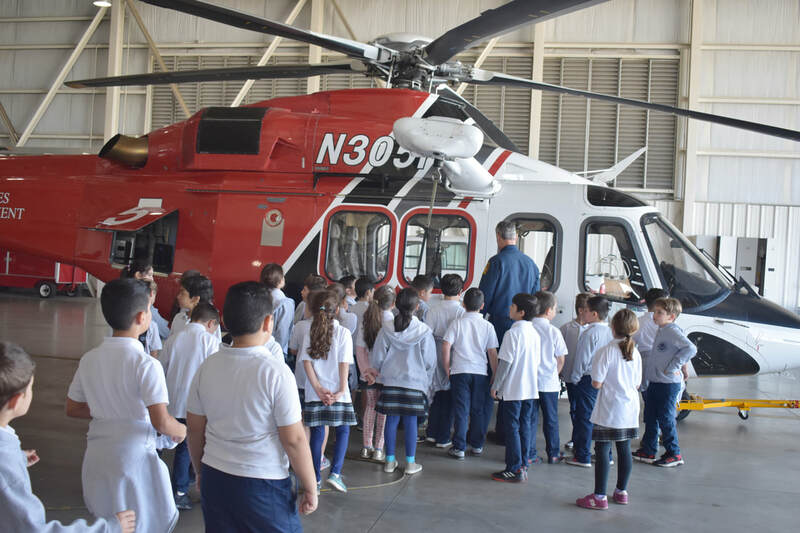 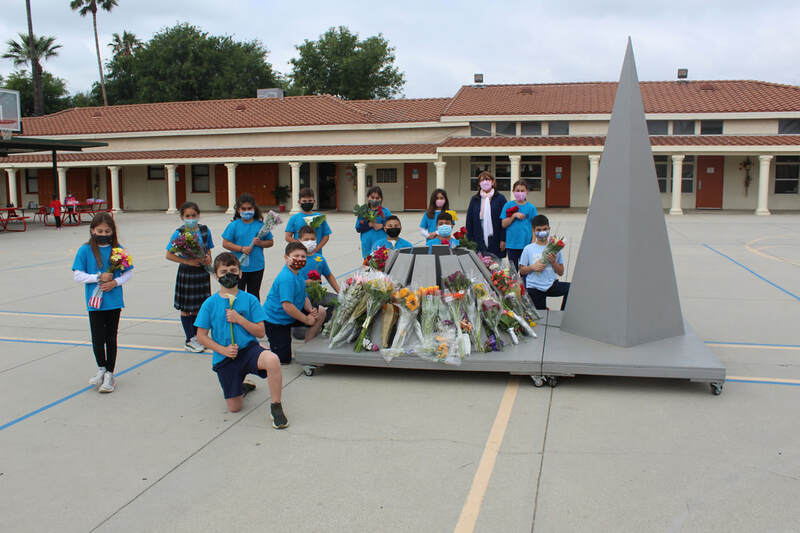 They were able to experience an engineering marvel and learn about the science, the people, and the historic achievements of the space shuttle program. 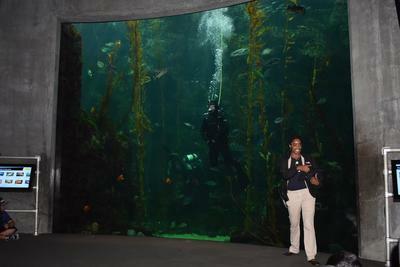 Then the students viewed the diving show in the Ecosystems exhibit. 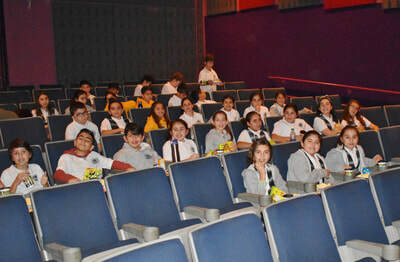 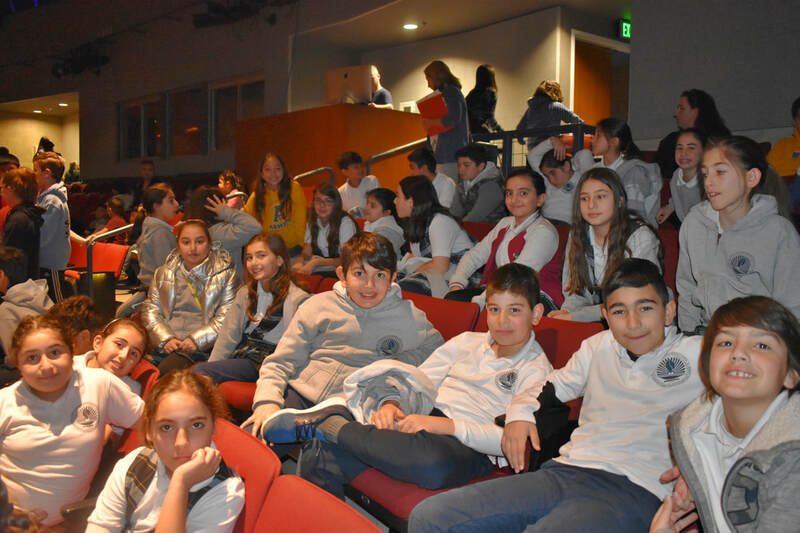 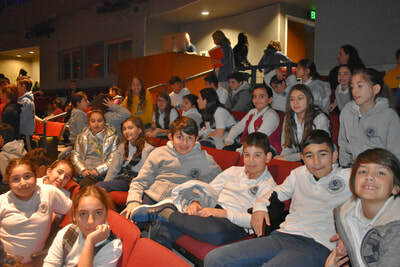 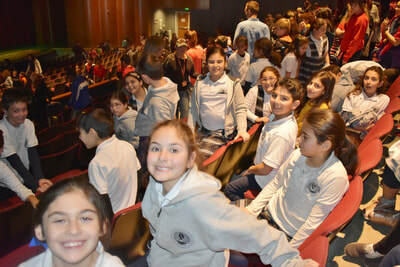 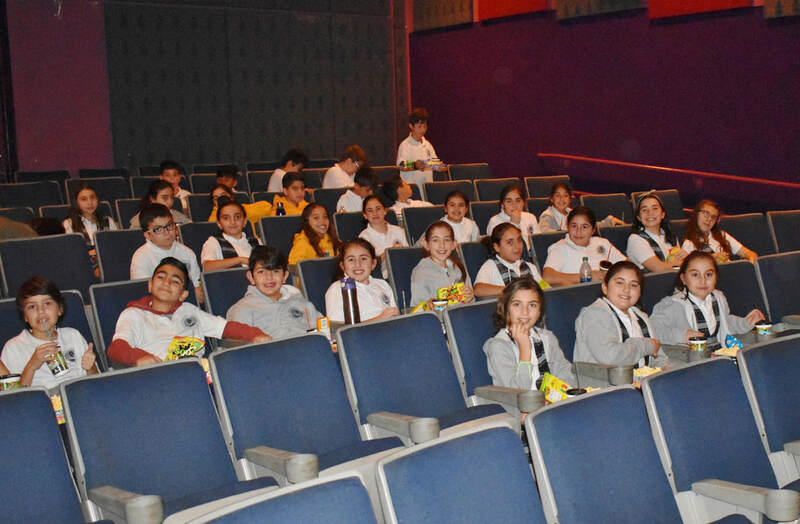 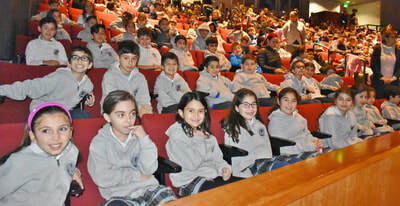 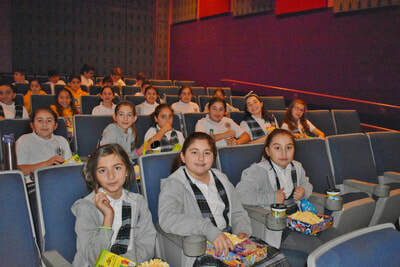 After lunch, the students watched the 3D movie Amazon Adventure at the I Max Theatre. 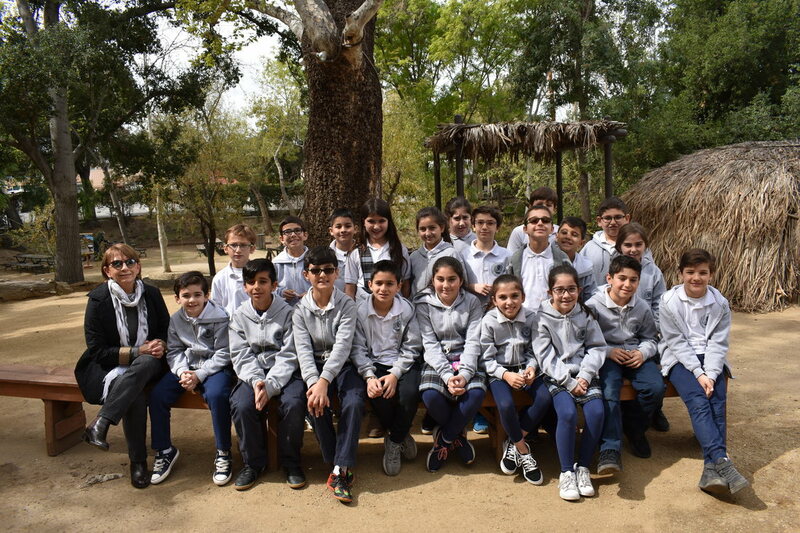 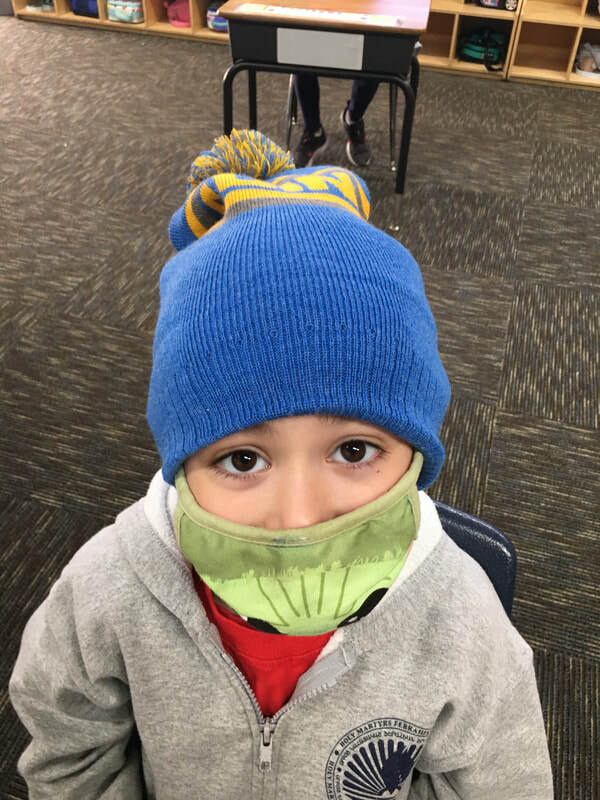 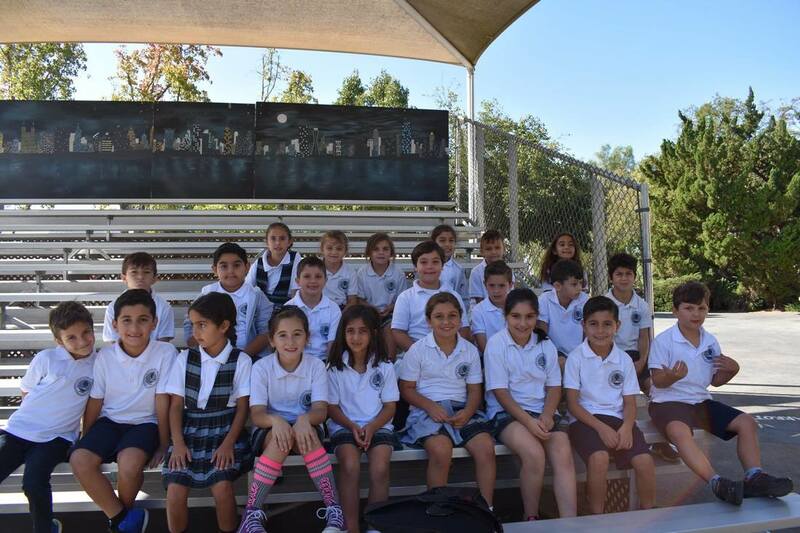 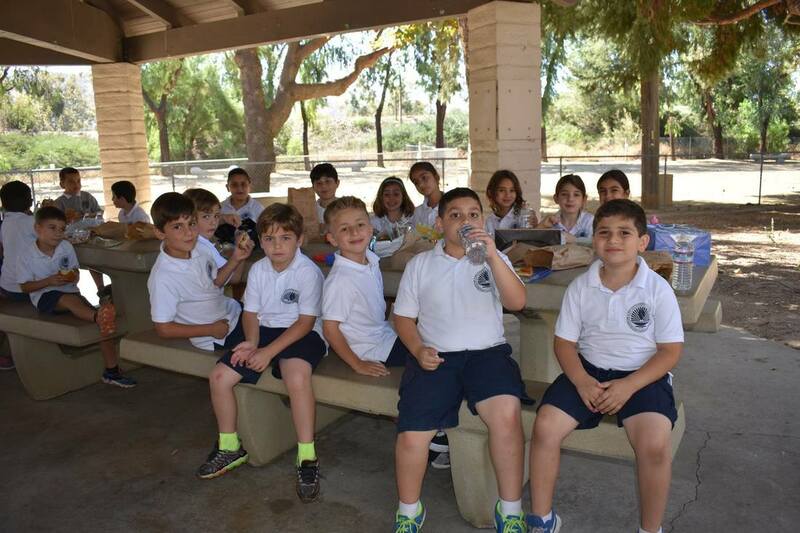 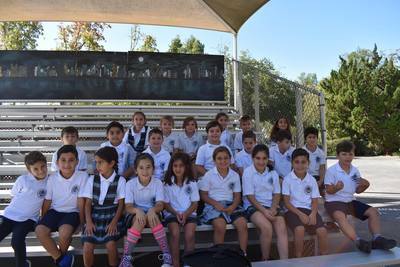 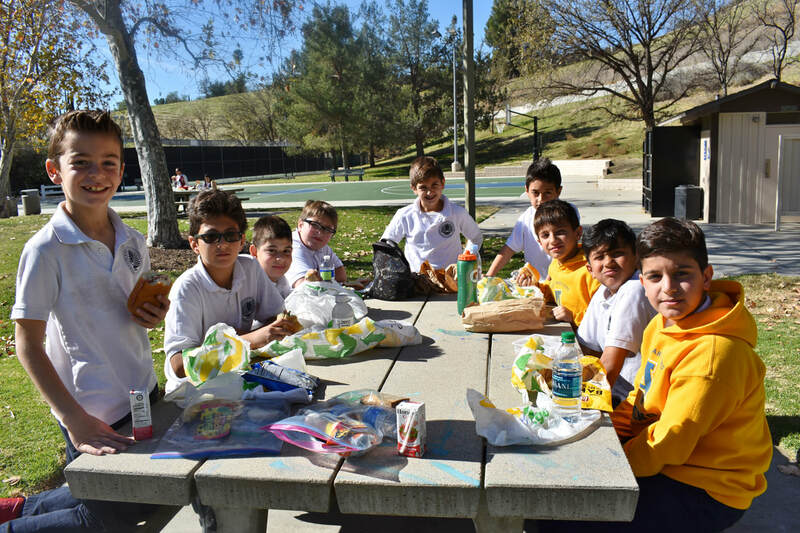 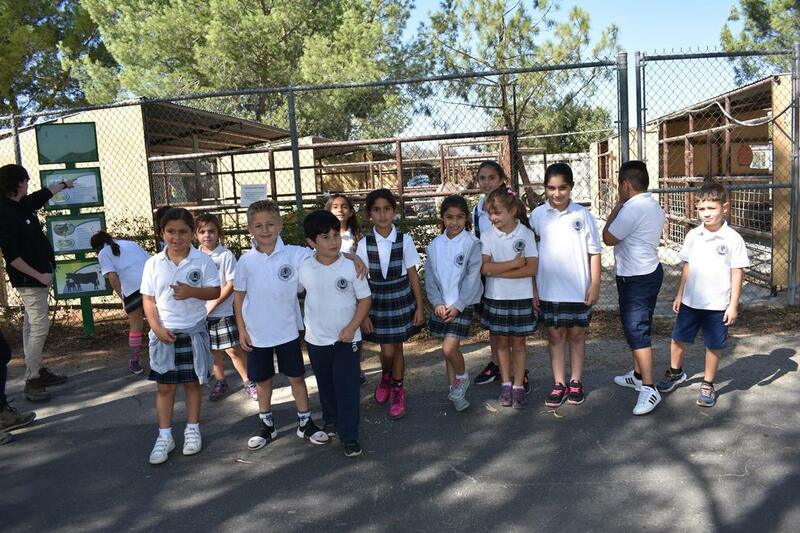 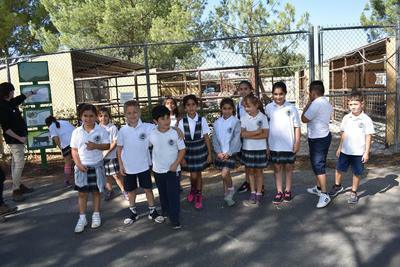 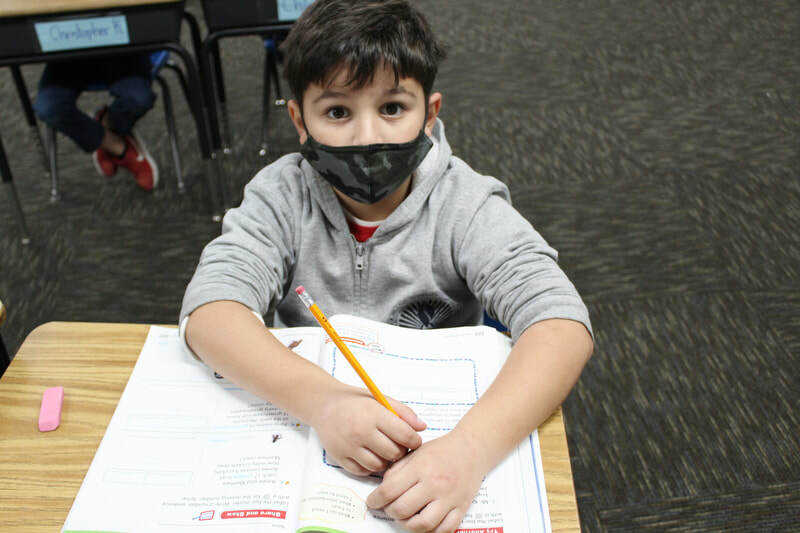 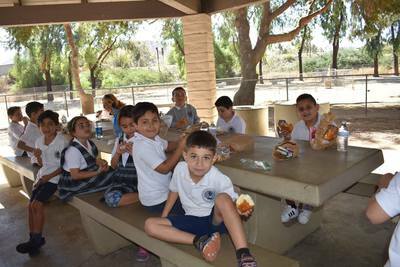 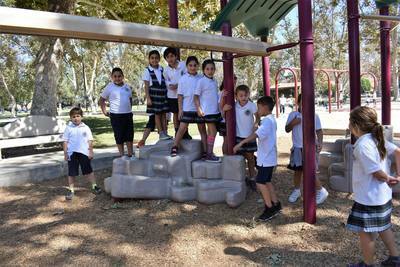 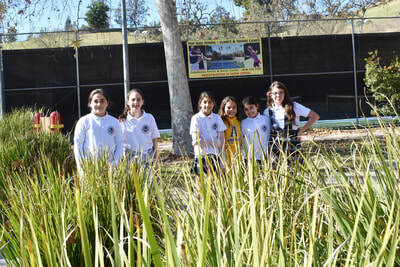 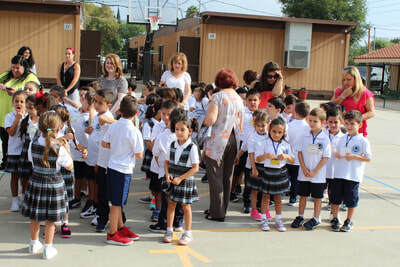 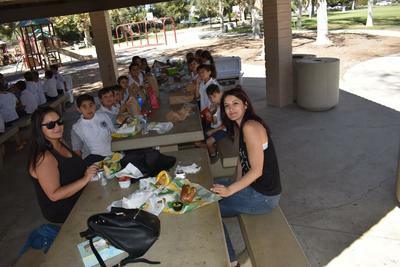 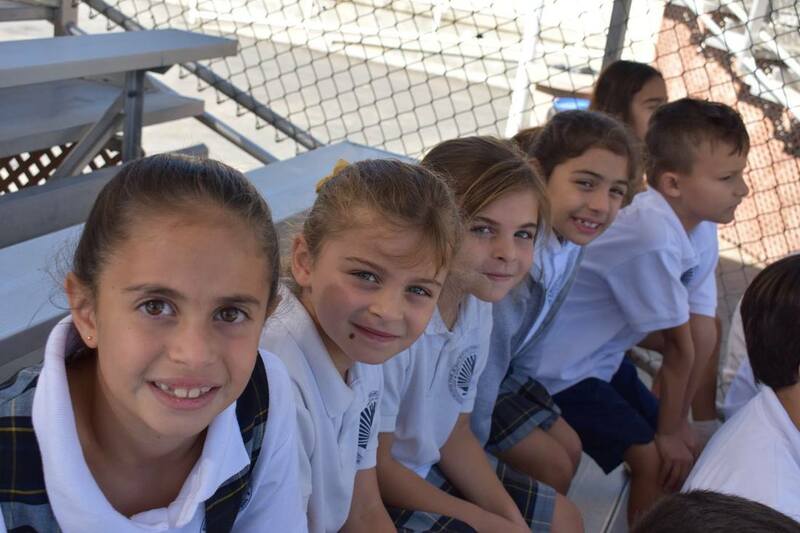 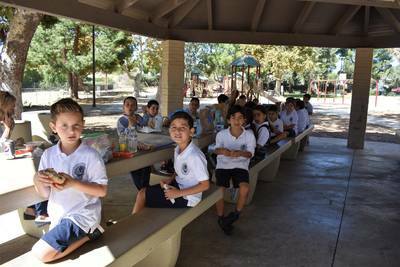 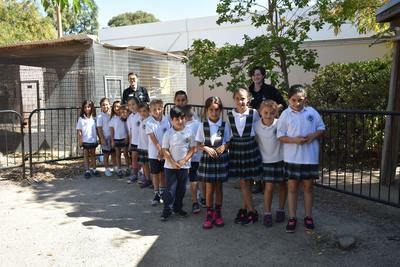 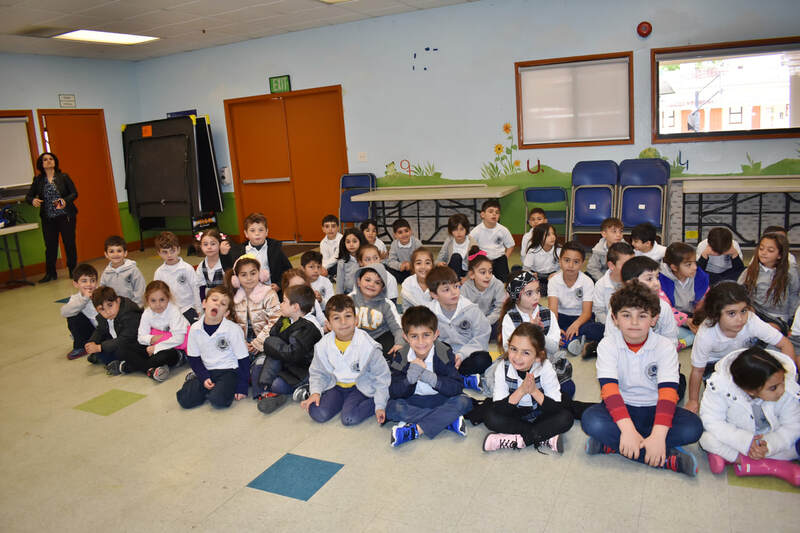 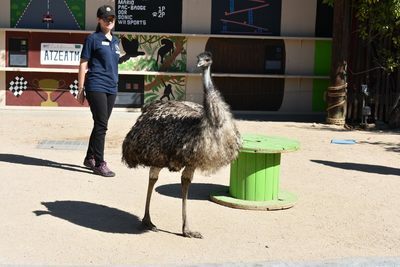 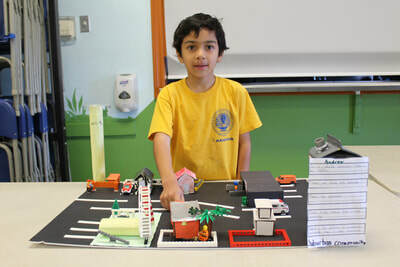 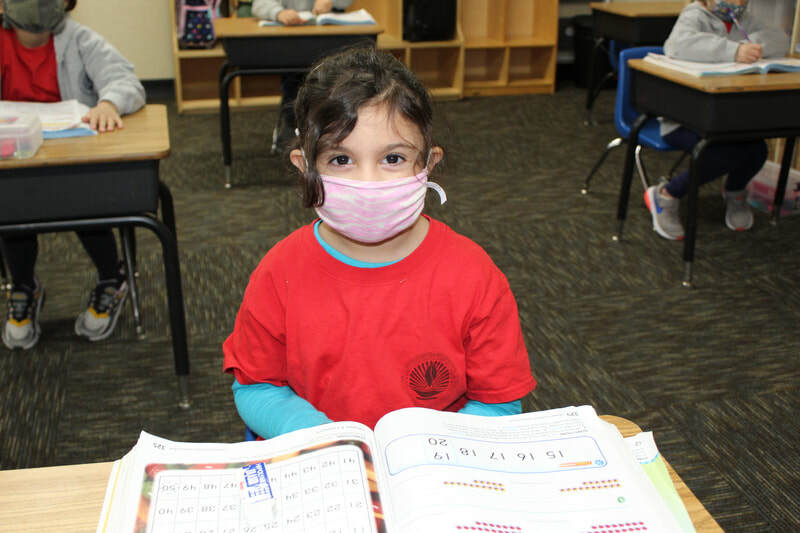 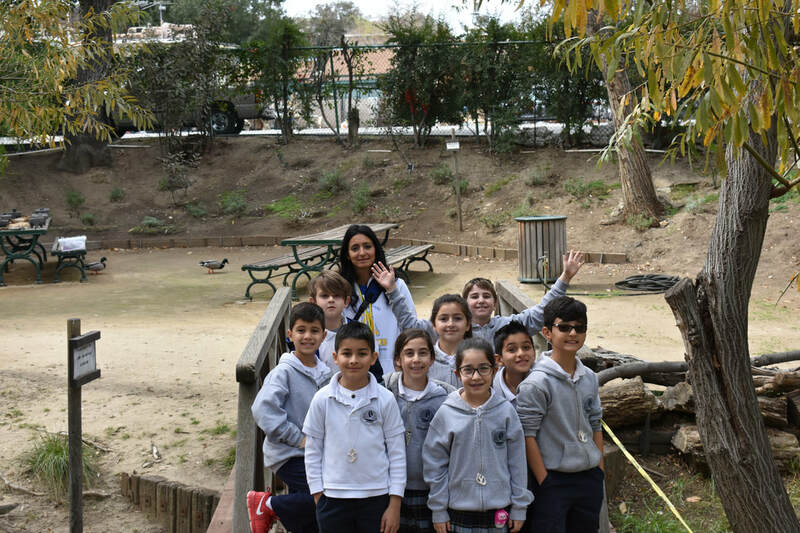 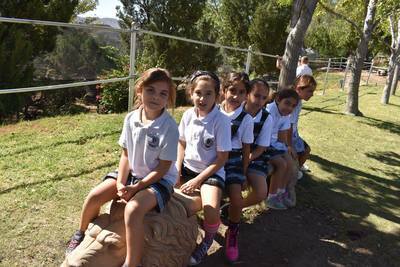 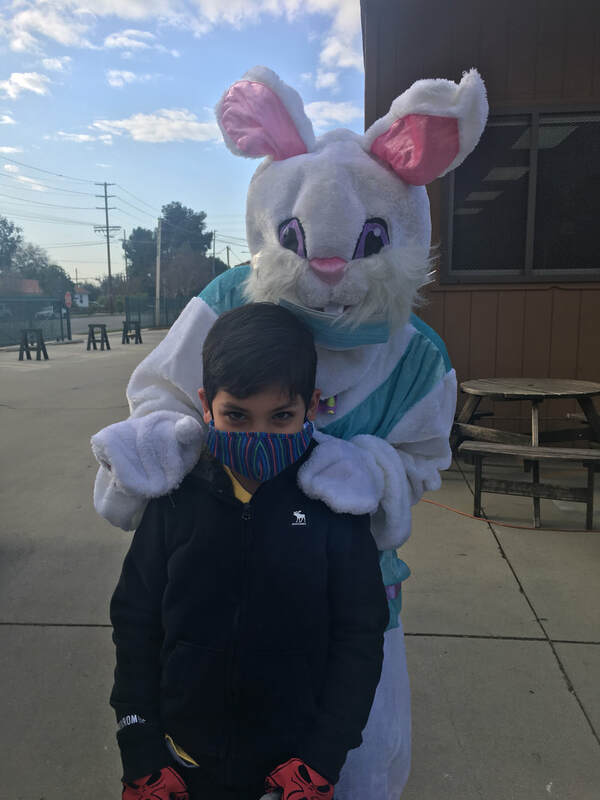 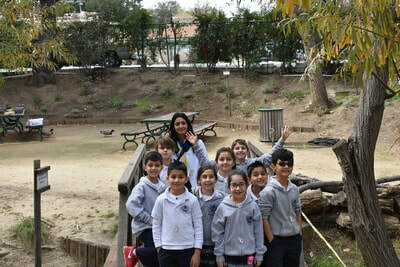 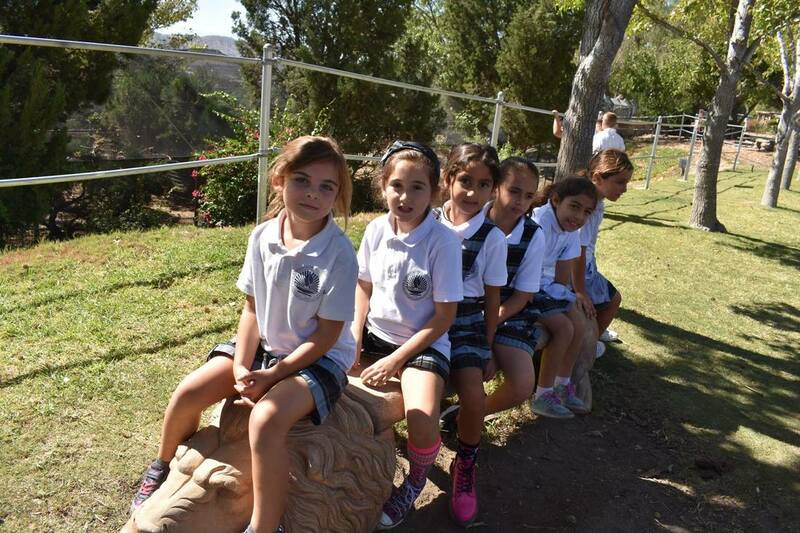 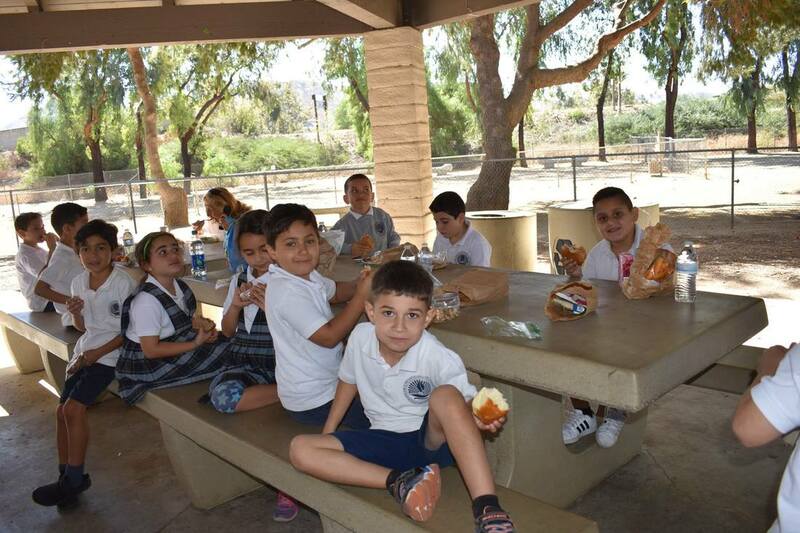 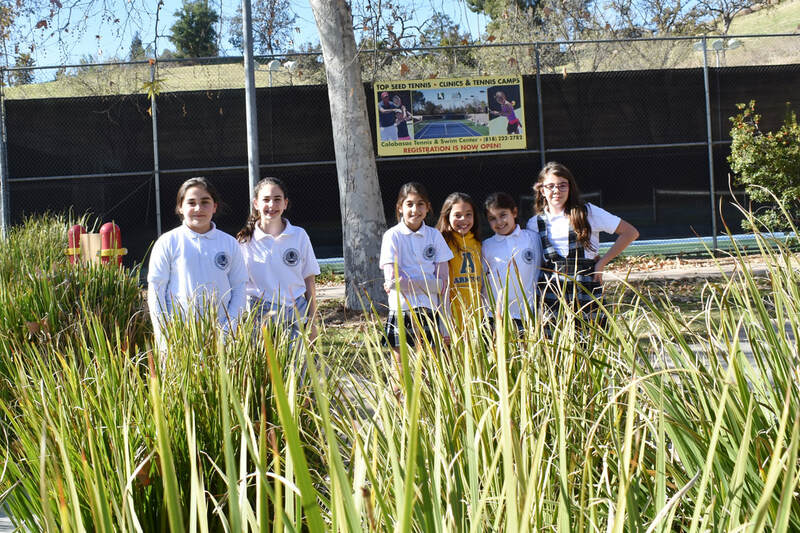 Our second graders visited America’s Teaching Zoo at Moorpark College to see the home of many exotic animals. 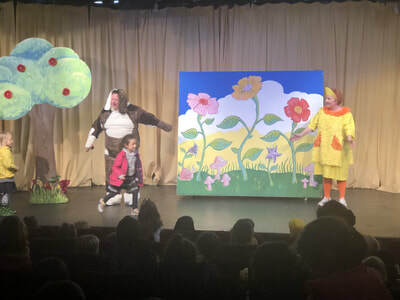 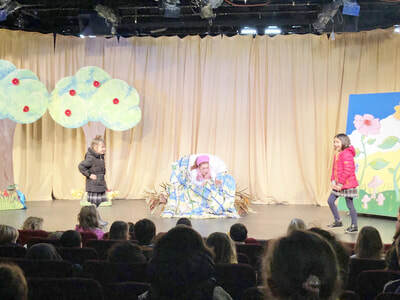 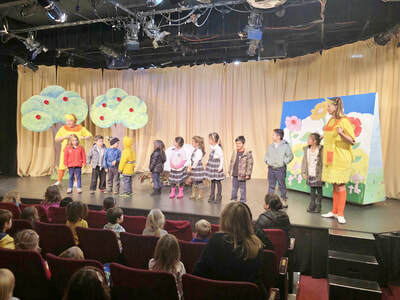 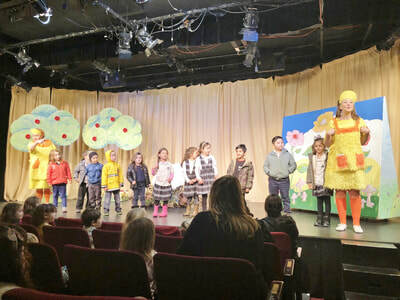 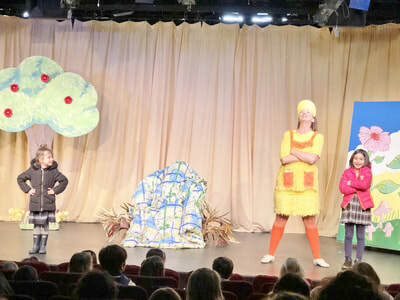 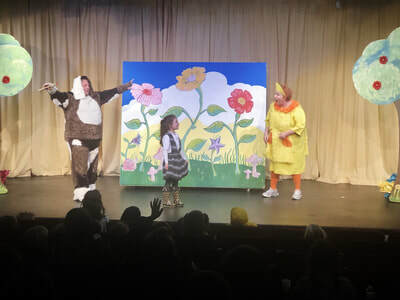 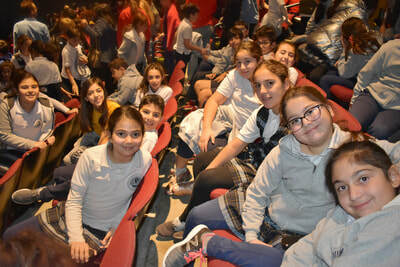 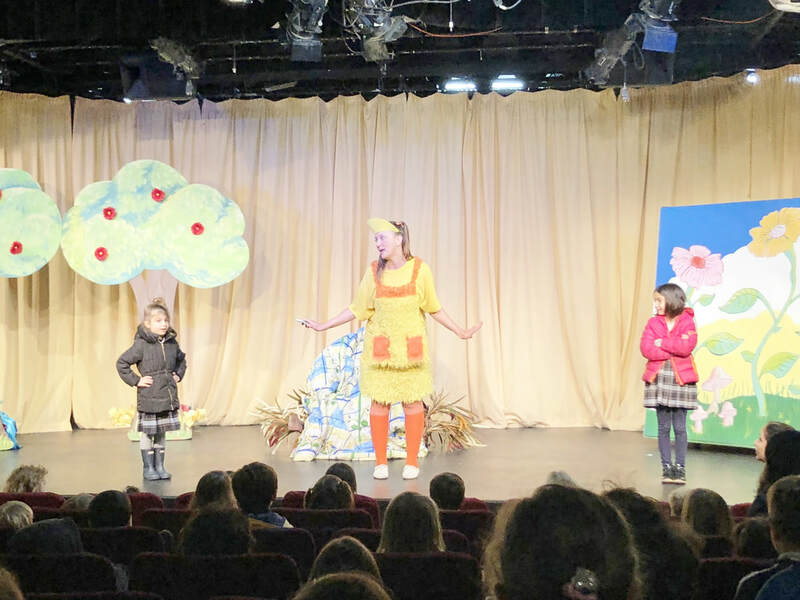 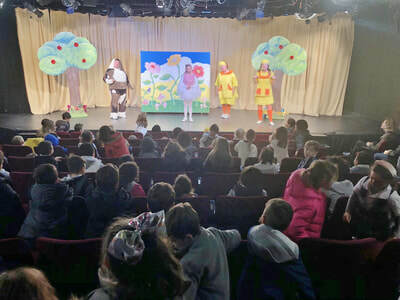 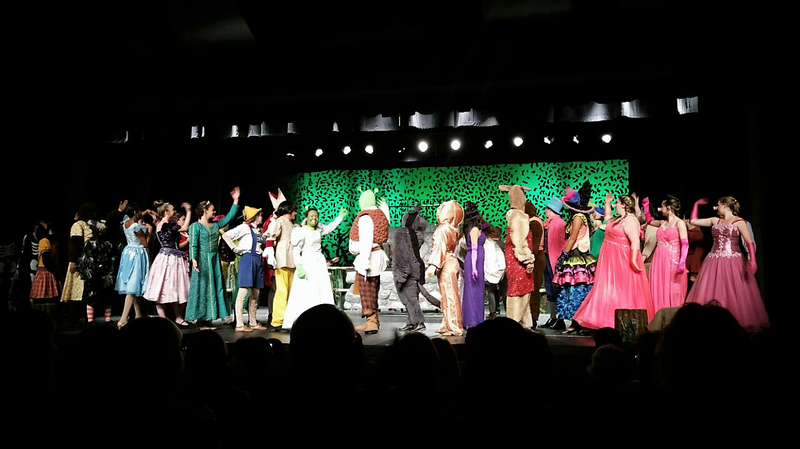 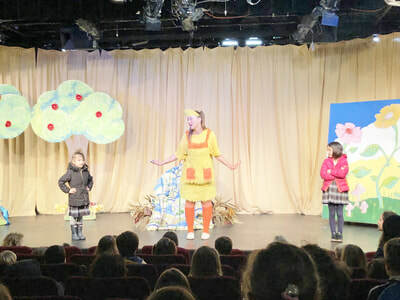 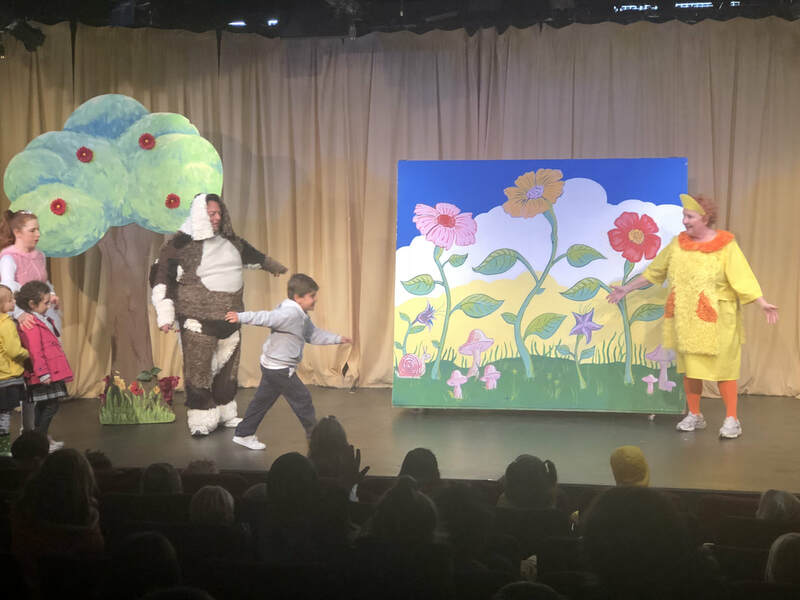 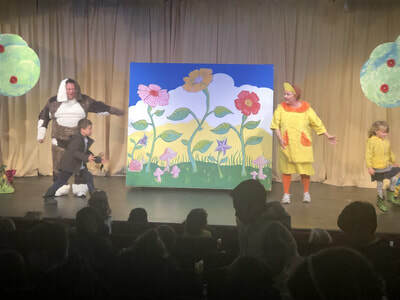 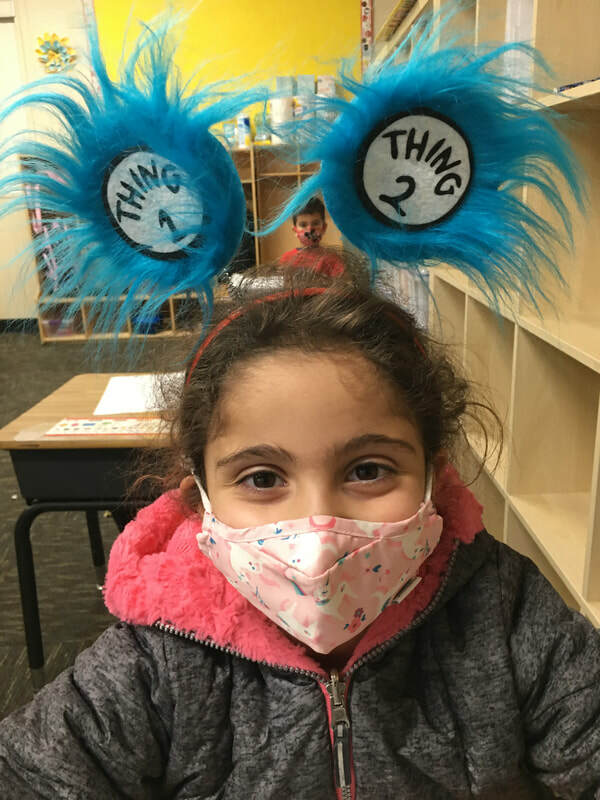 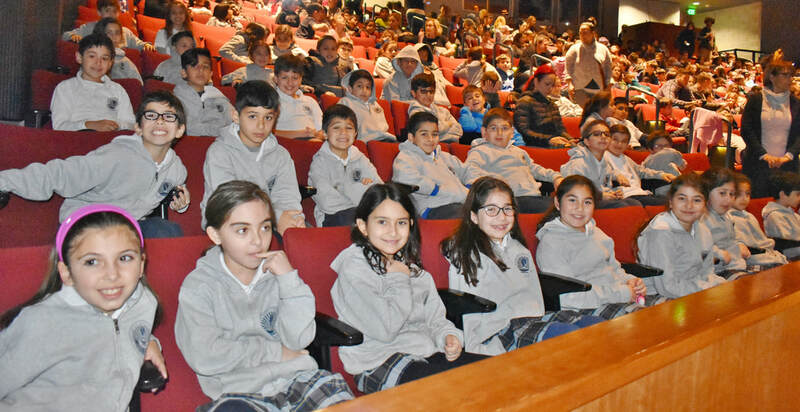 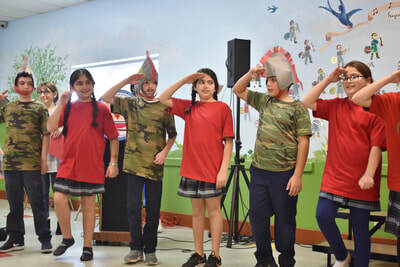 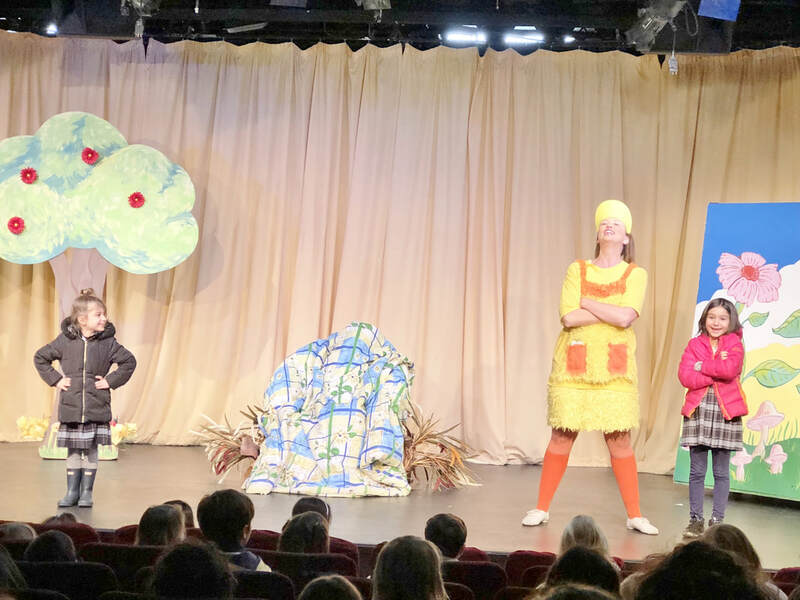 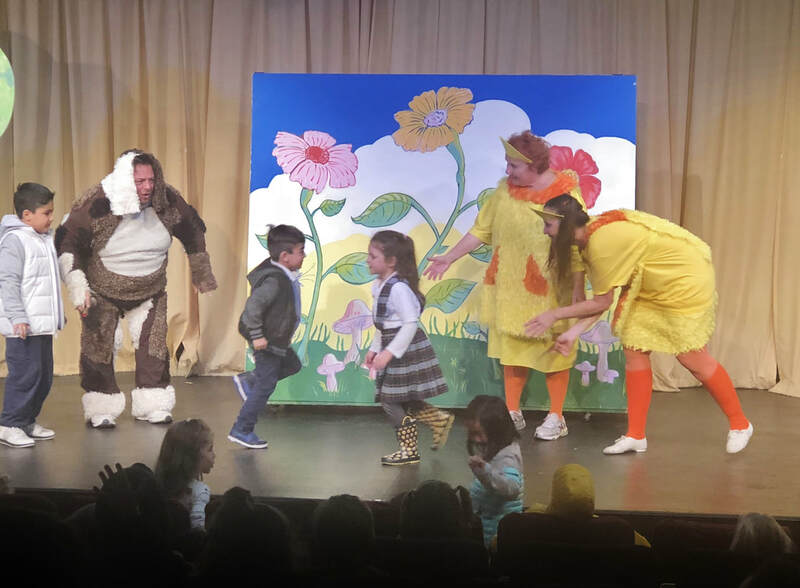 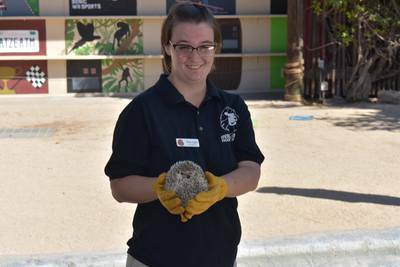 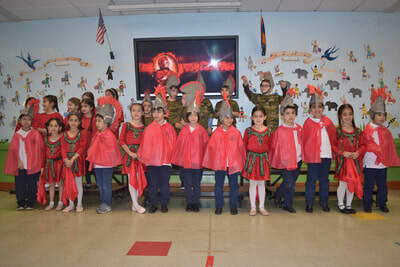 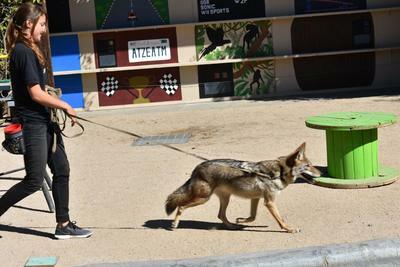 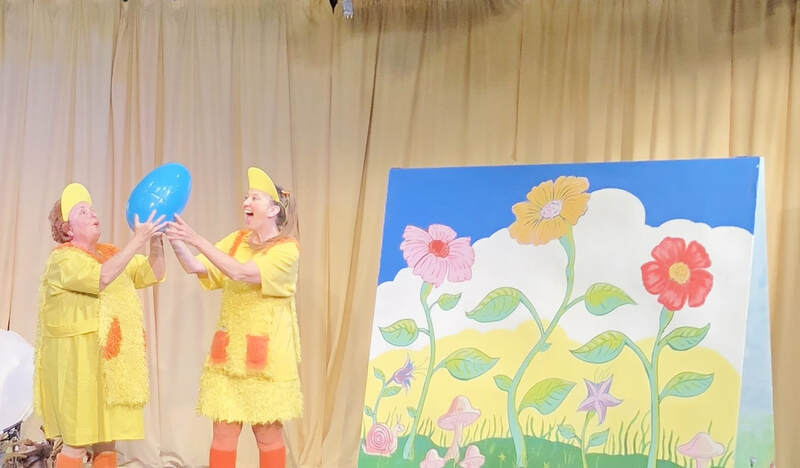 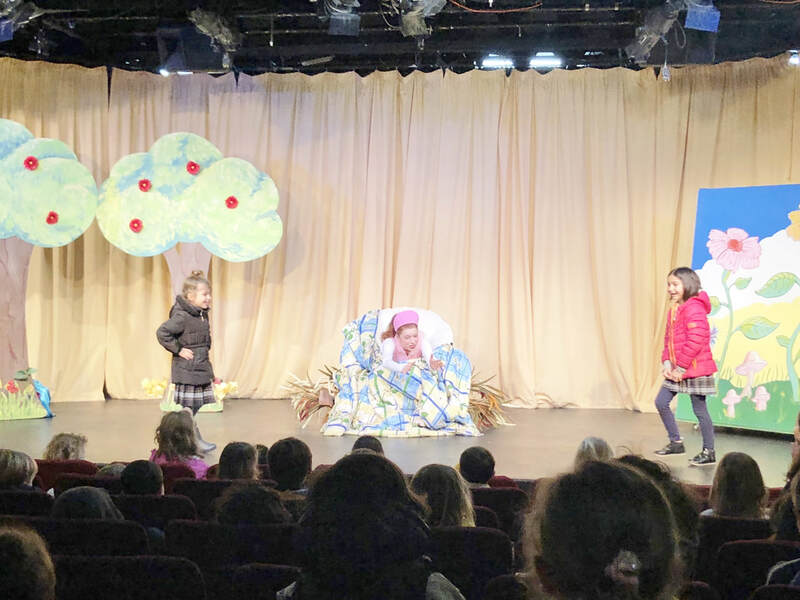 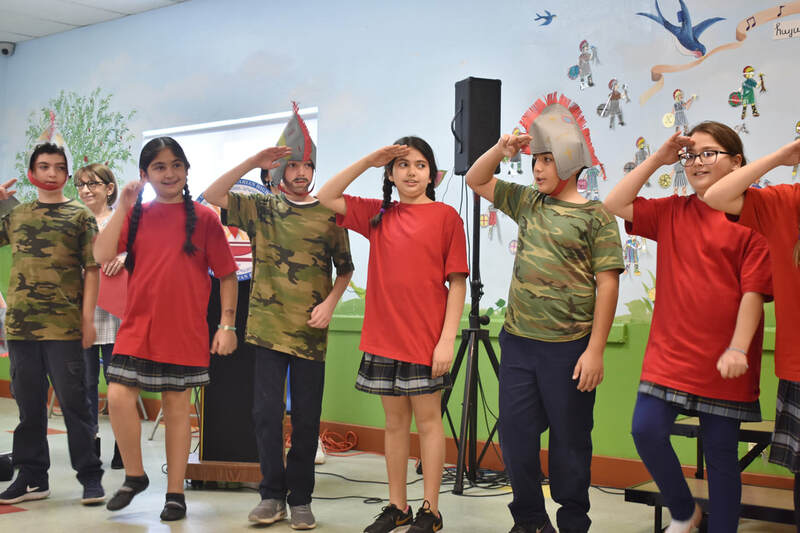 The zoologists presented a 45 minute educational presentation where they brought many animals on stage for students to see, observe, and learn about. 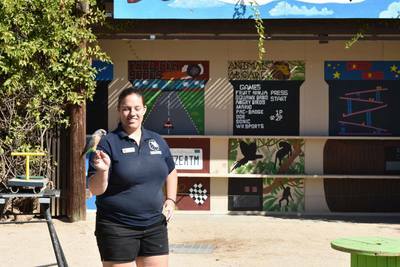 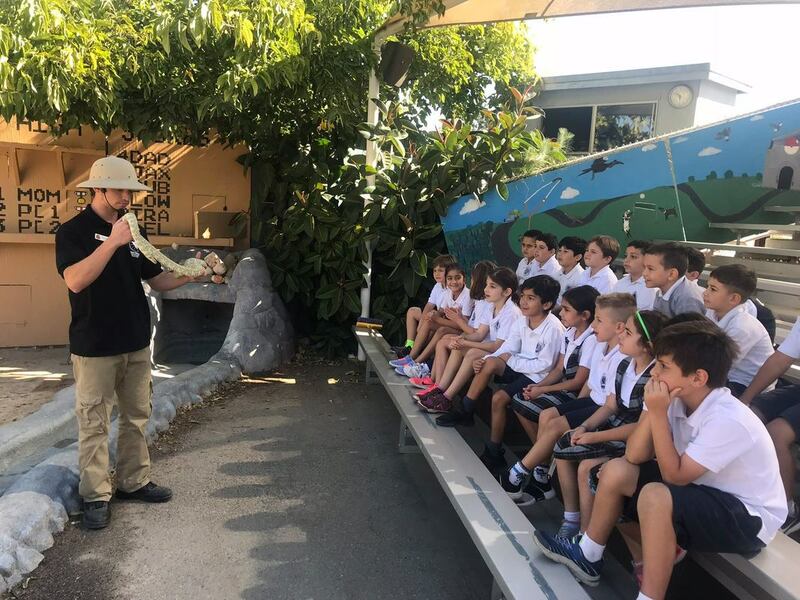 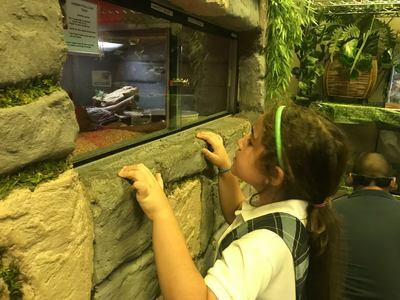 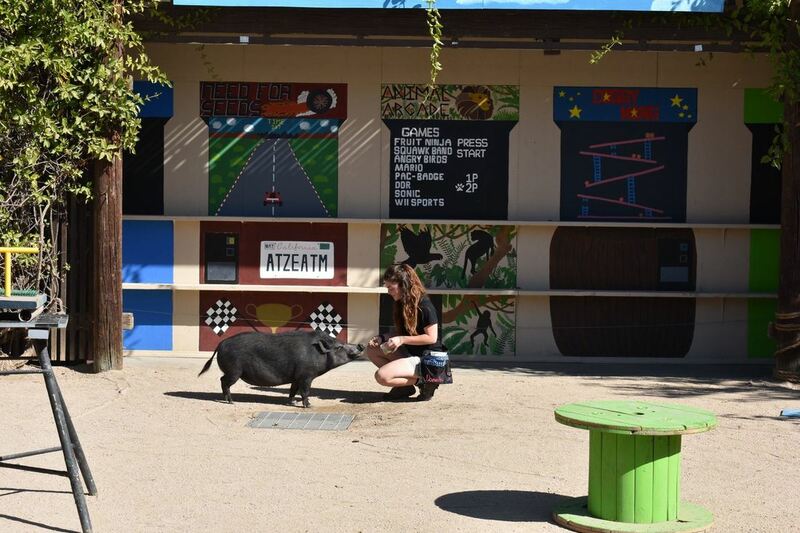 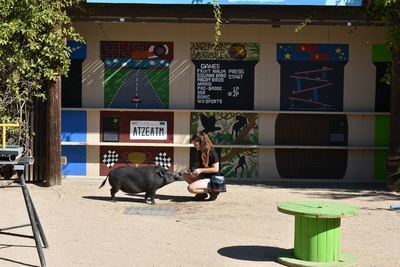 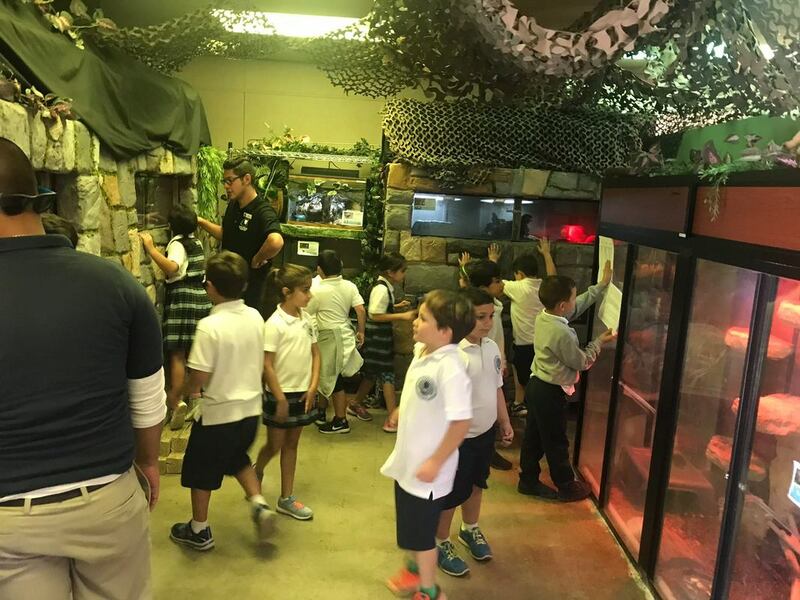 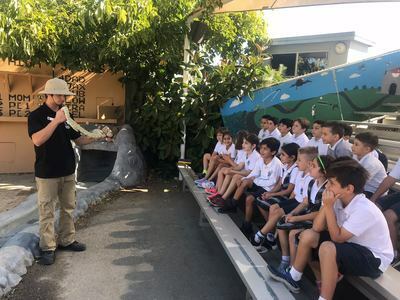 Then the students were taken on a journey through many countries to introduce them to the amazing animals that live at the college zoo. 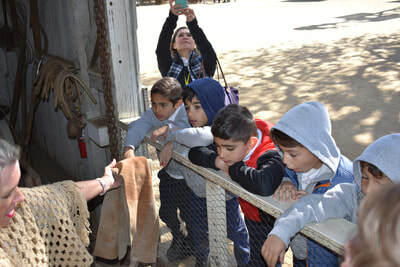 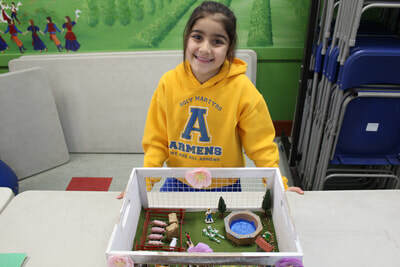 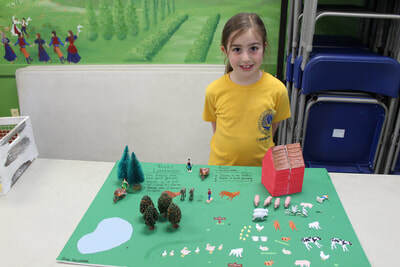 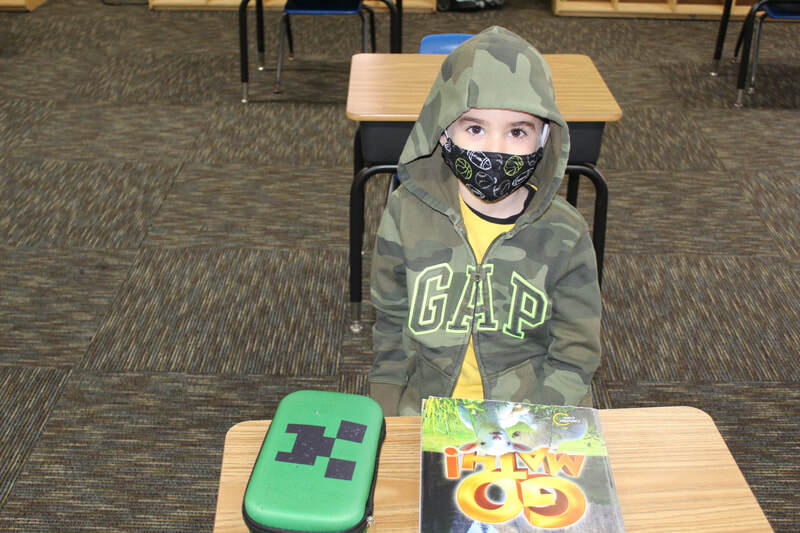 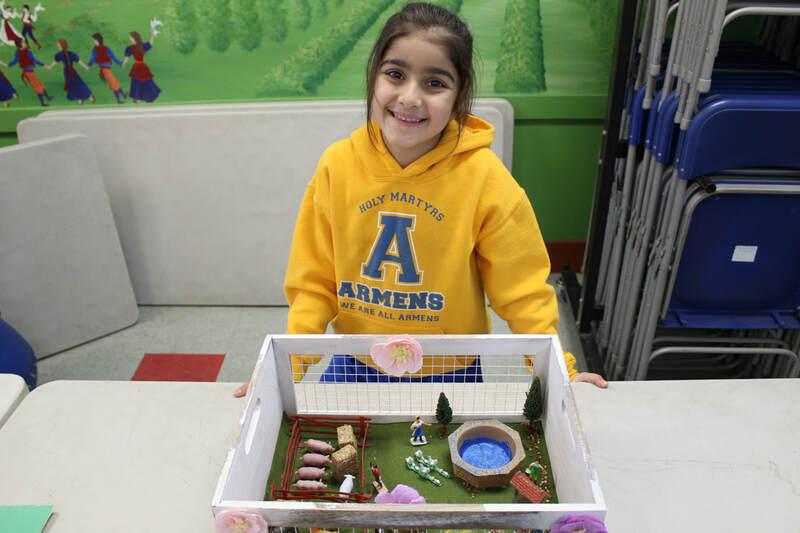 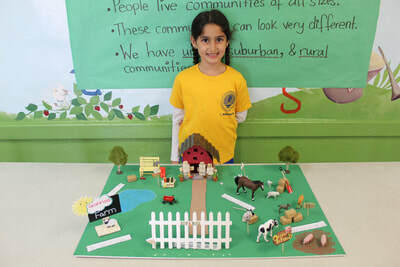 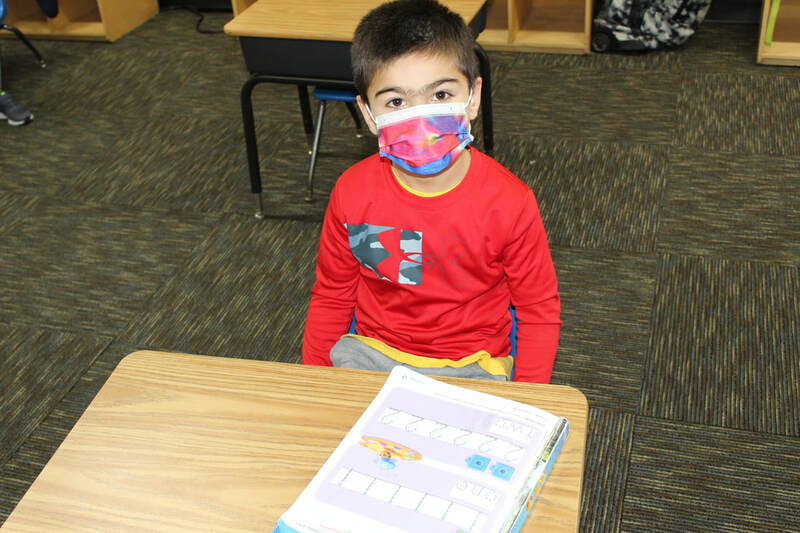 Students got to learn about the abilities and needs of each animal. 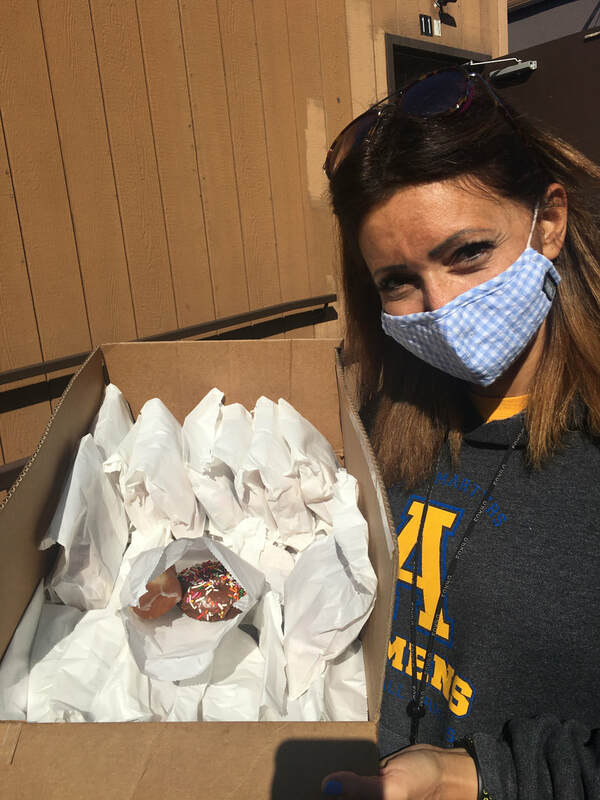 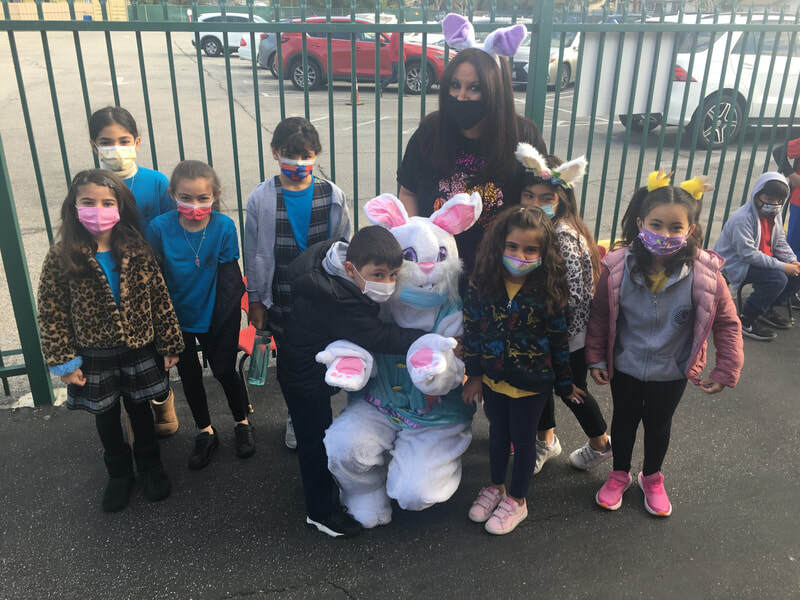 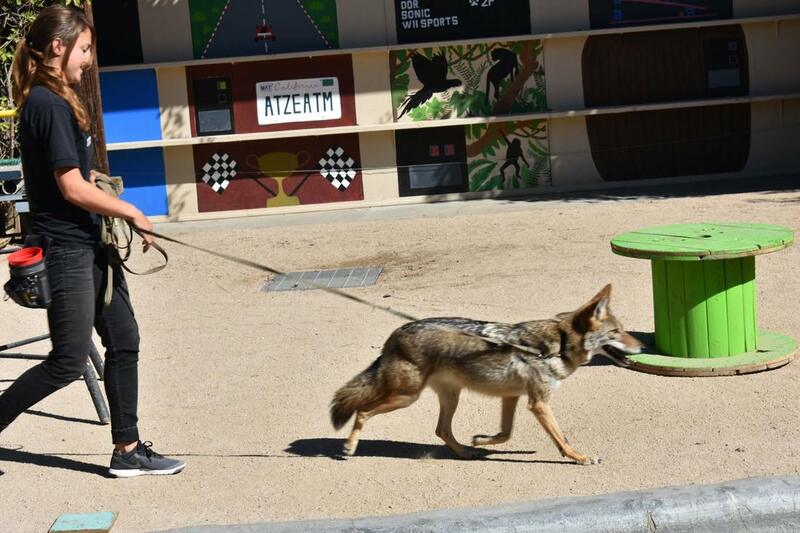 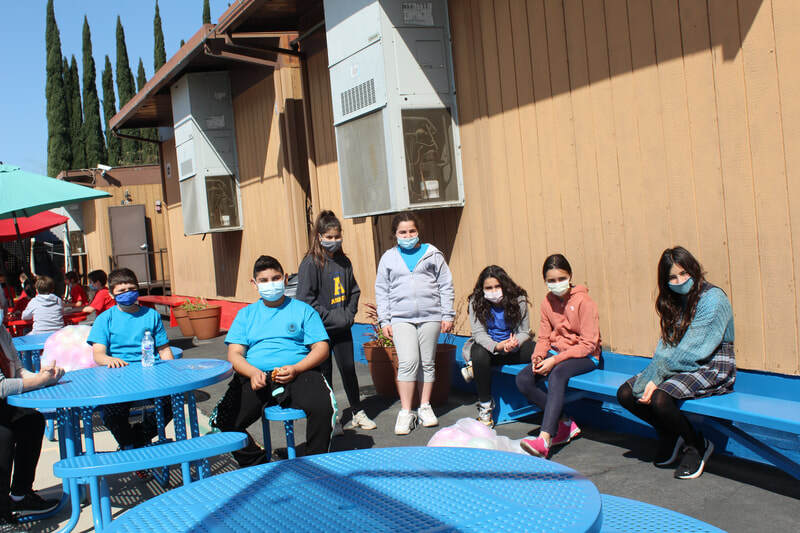 They also learned the importance of keeping the planet clean to provide a safe home for these precious animals. 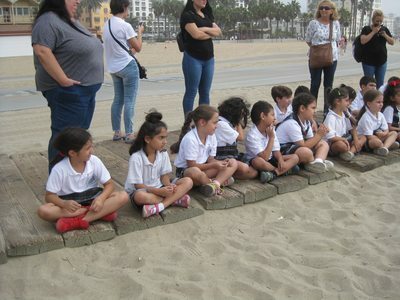 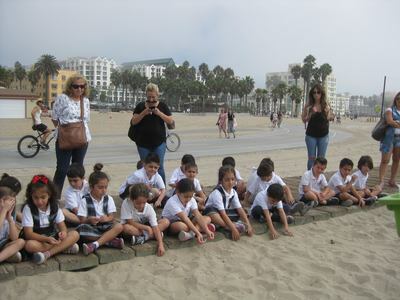 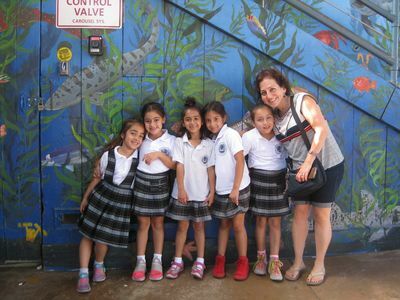 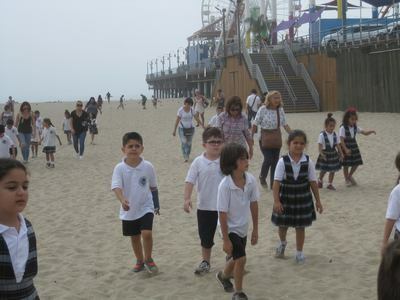 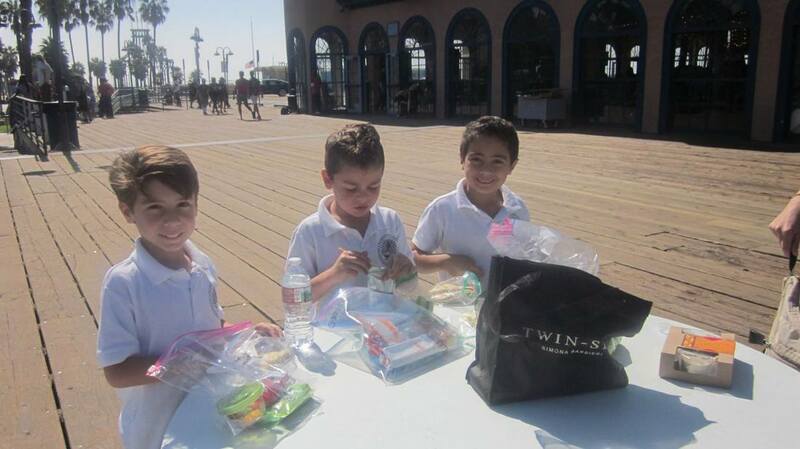 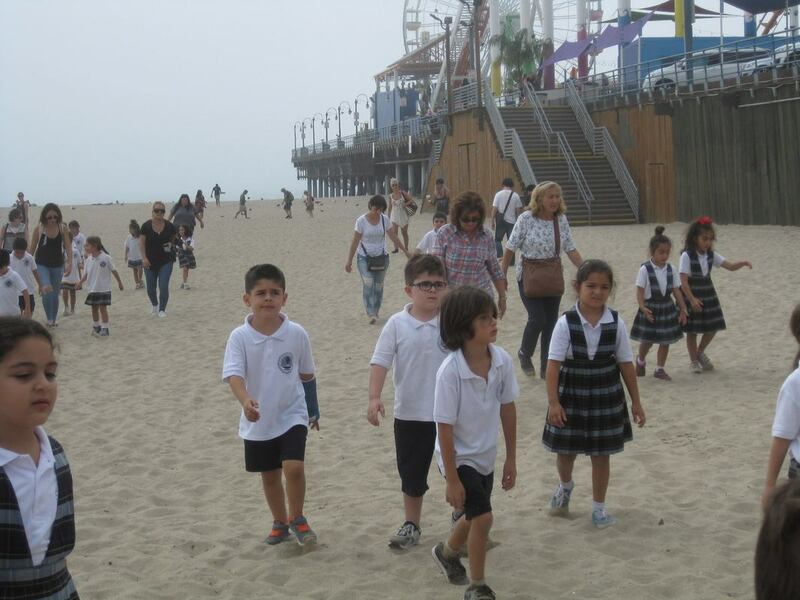 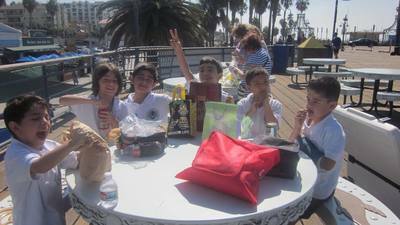 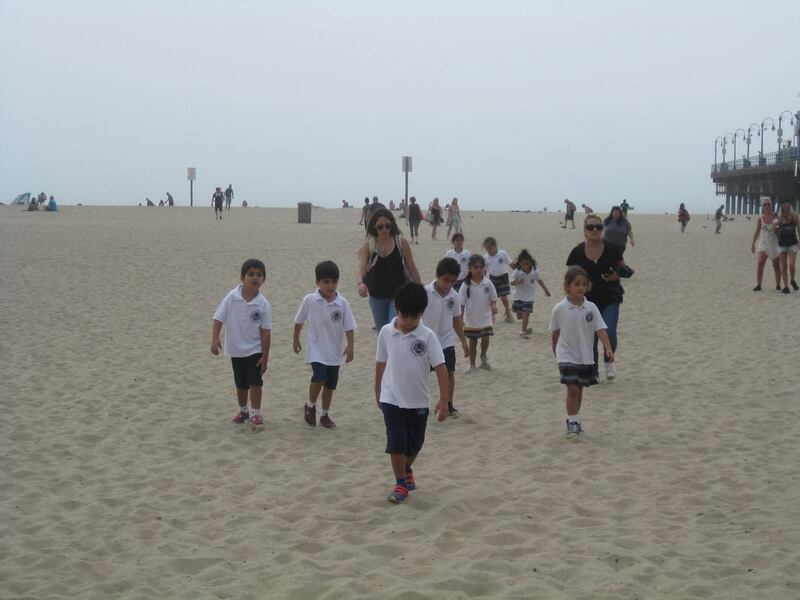 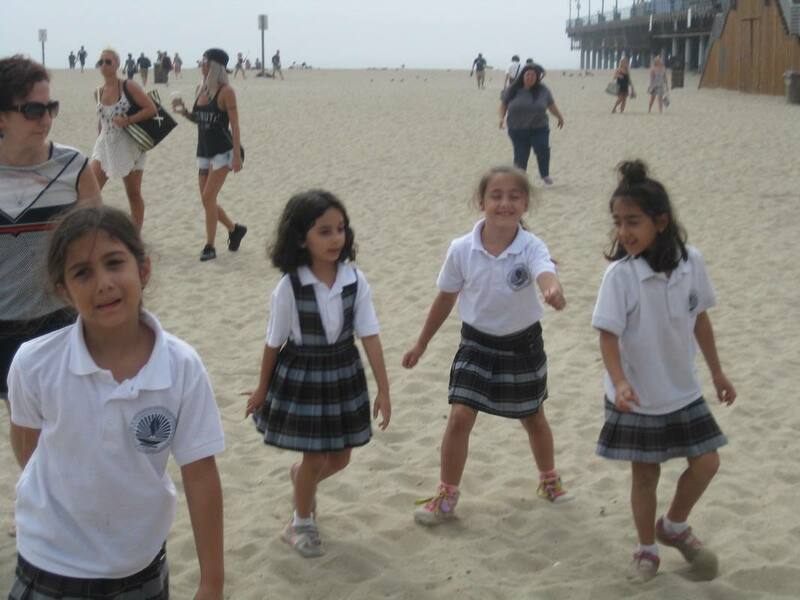 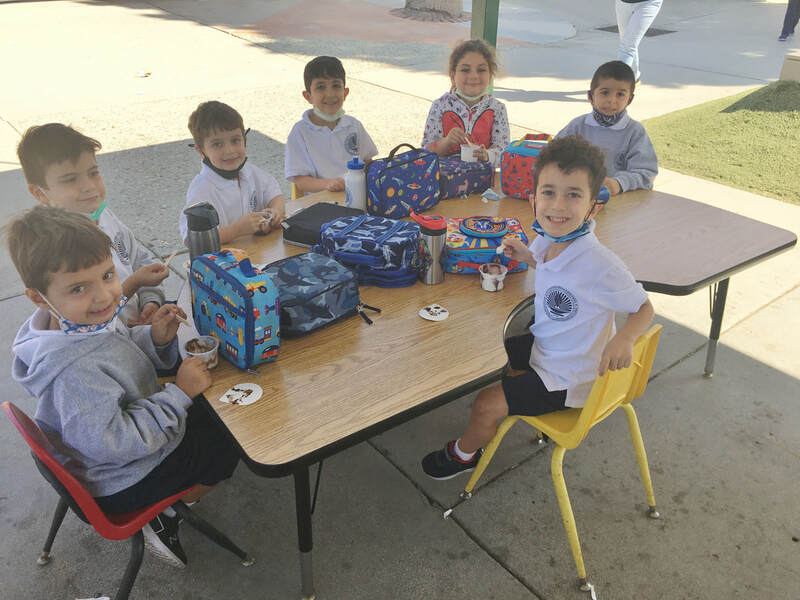 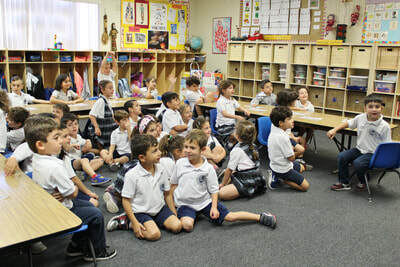 On September 28th, the first grade class went on a trip to the Santa Monica Aquarium, right under the Santa Monica Pier. 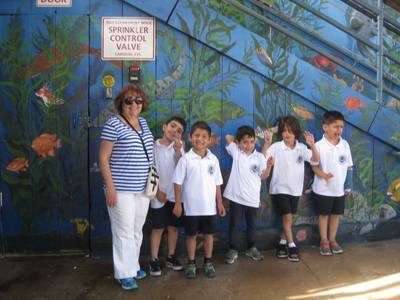 The Students enjoyed touching marine animals such as sea stars, sea urchins, and hermit crabs. 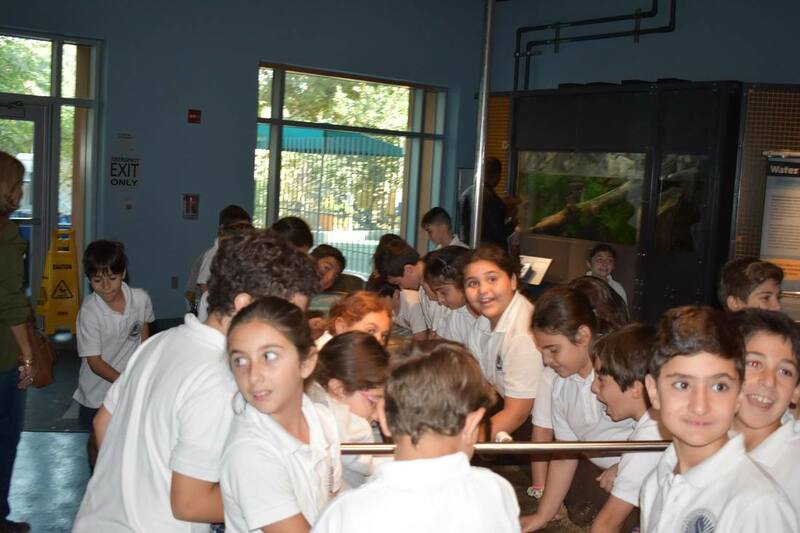 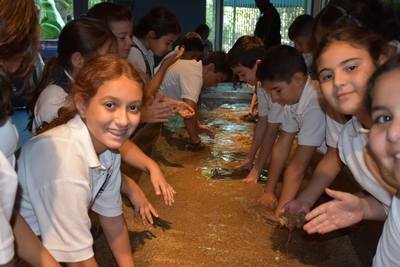 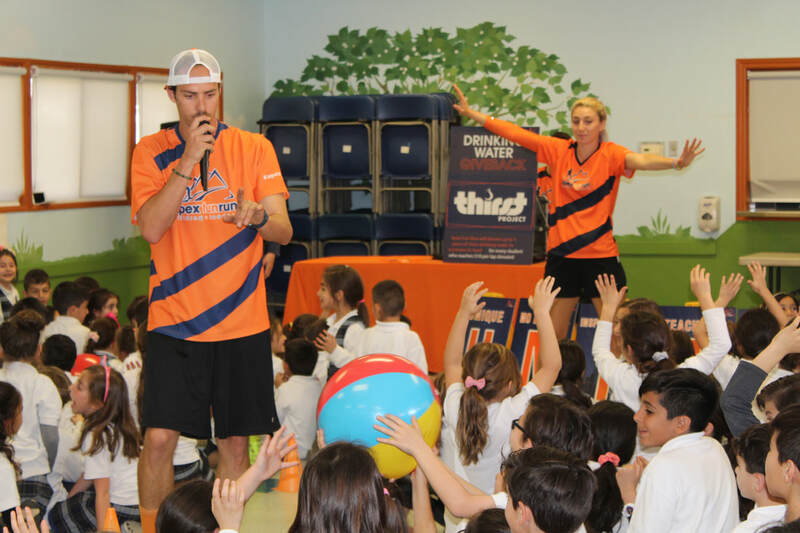 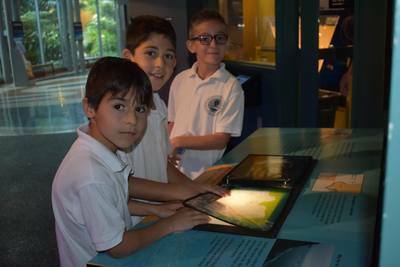 After touring the aquarium, the students had an interactive educational hands on lesson about marine habitats. At the end, the students explored at the beach, got their hands and feet wet as they searched for shells, sand crabs, and kelp. 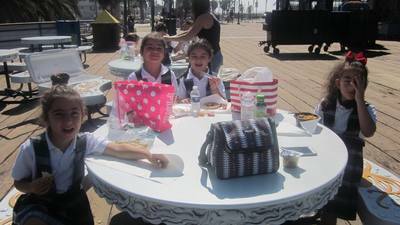 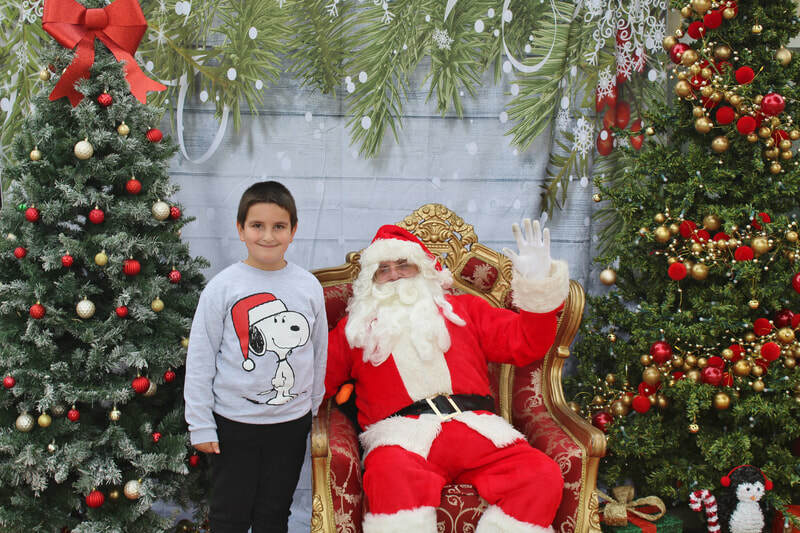 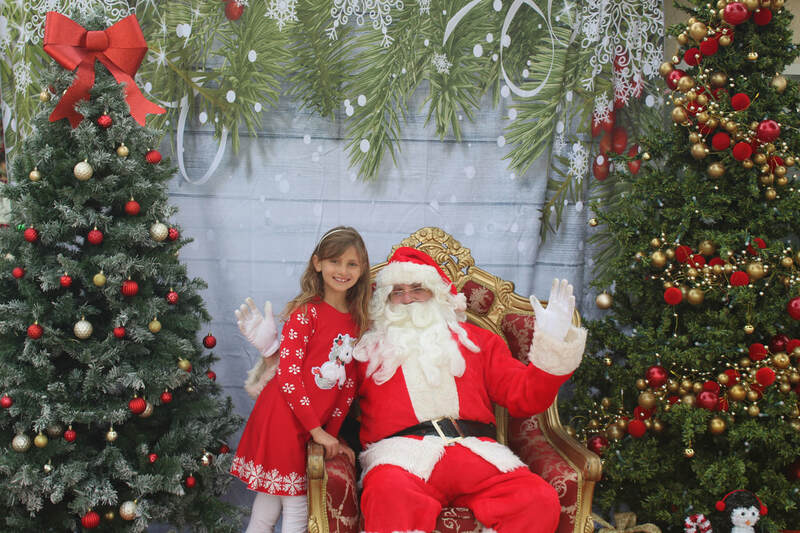 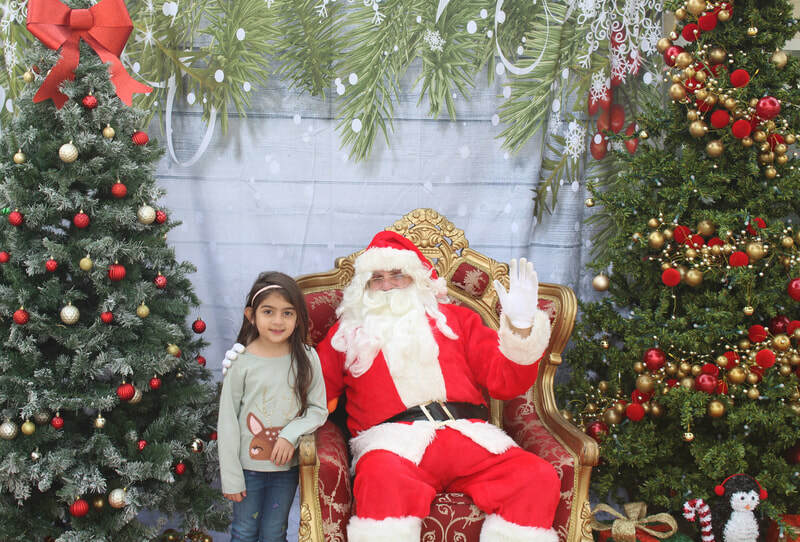 They had a fun filled memorable day.